Newstead Major Muster put the Capital 'A' into Awesome. 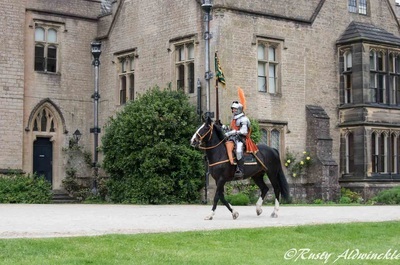 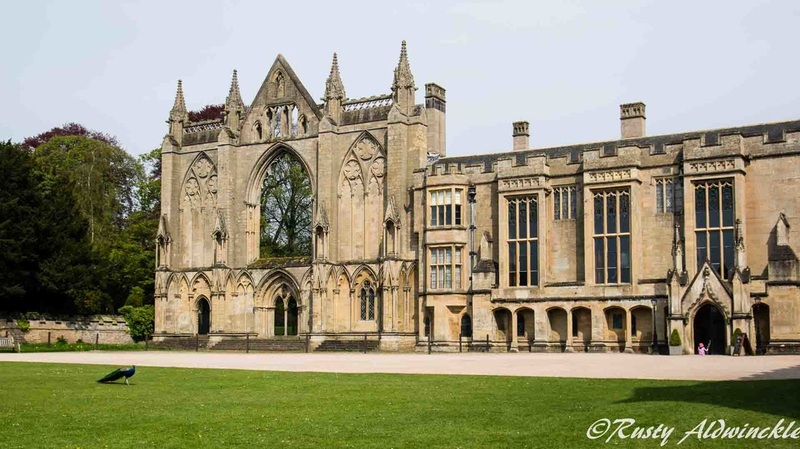 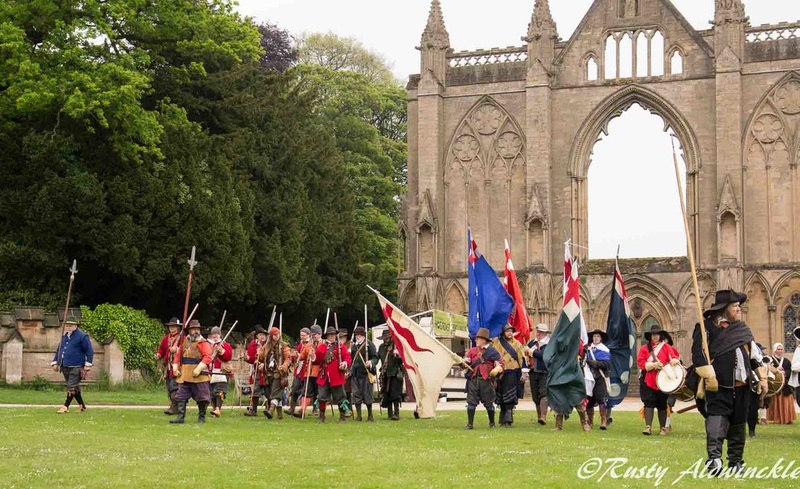 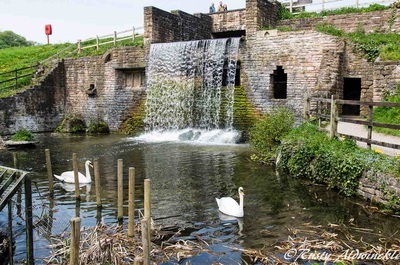 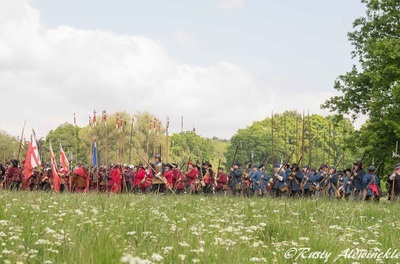 Glorious weather with a glorious venue, large Living History supported by various Regiments and Military Units taking part in Drill. 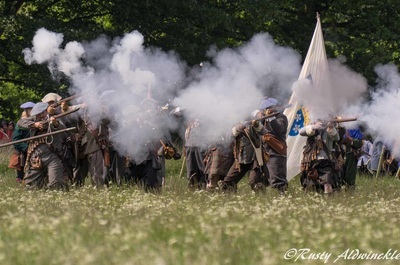 So my thanks go to London Brigade, Lilburnes, Pickerings, Manchesters and Hawkins Regiment for their Military displays. 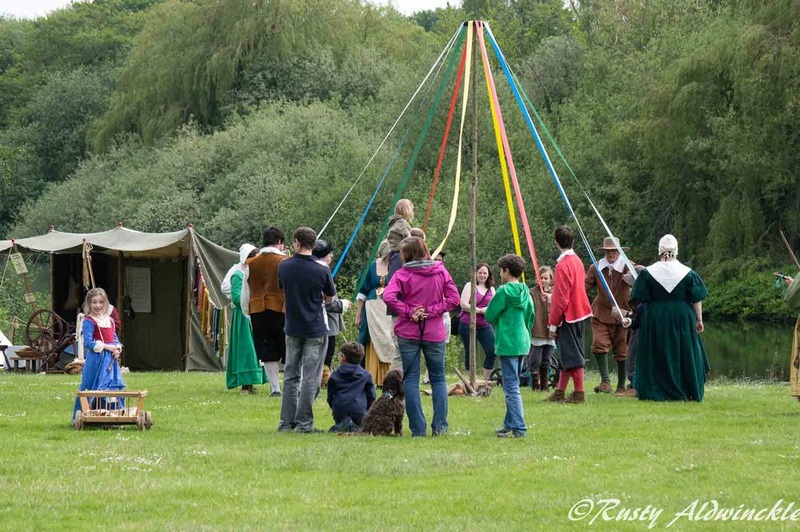 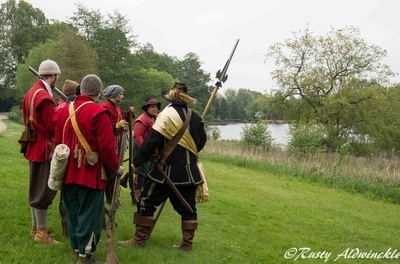 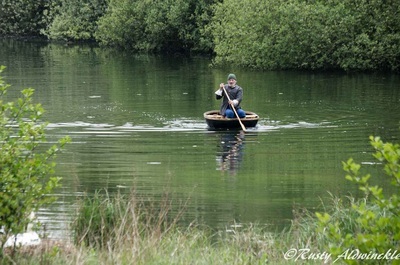 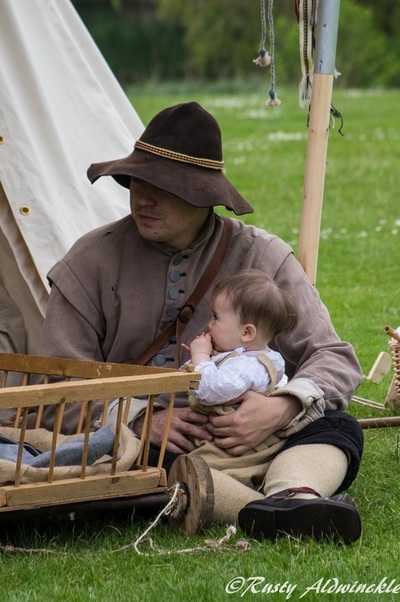 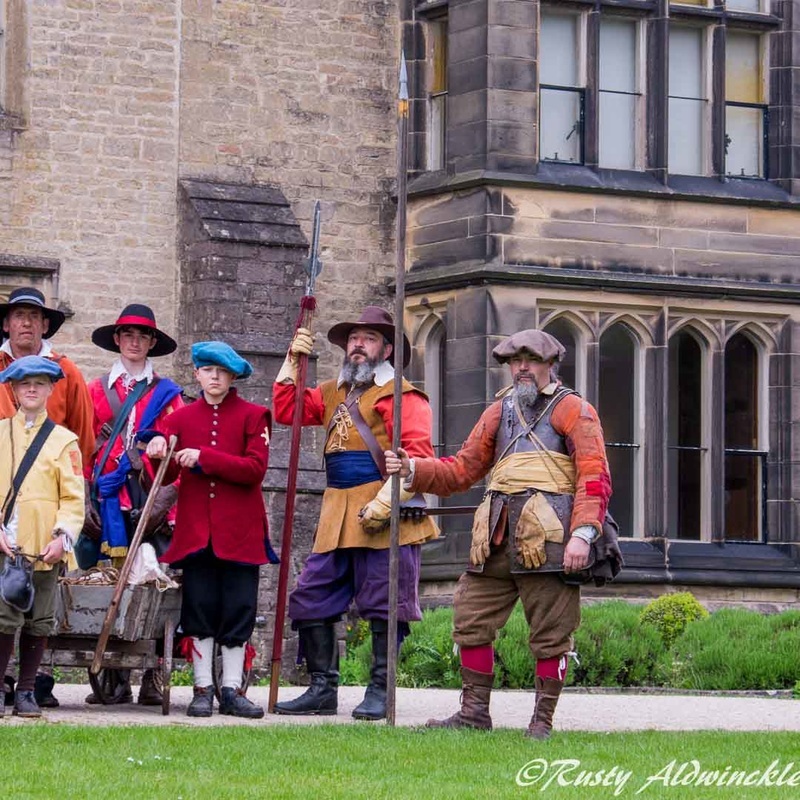 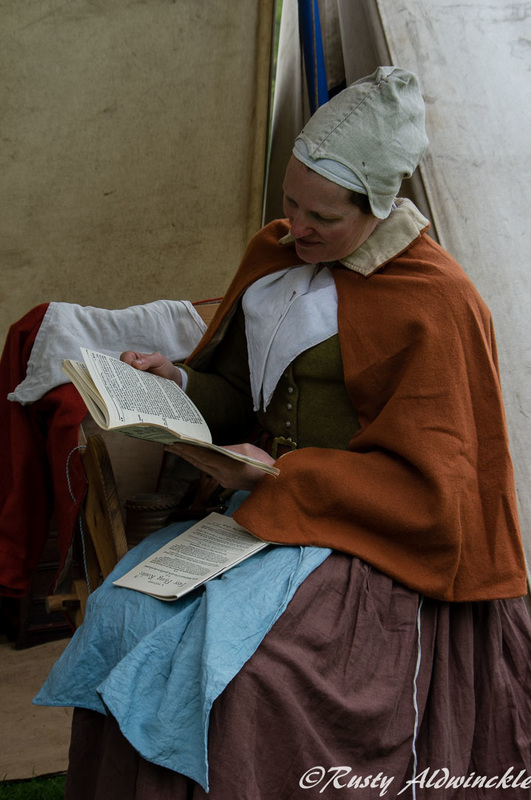 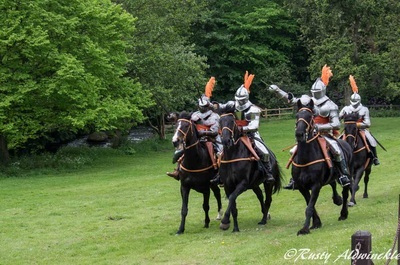 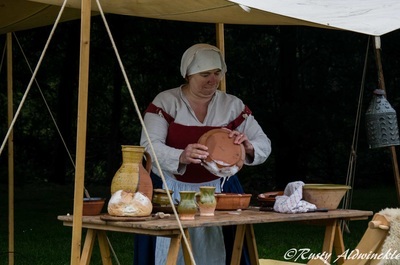 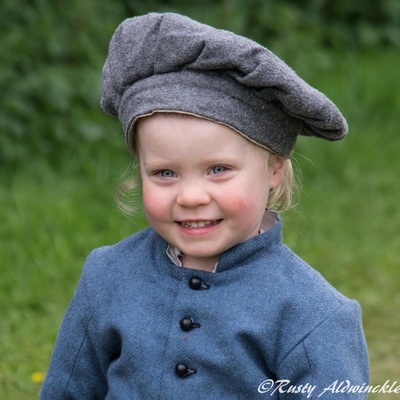 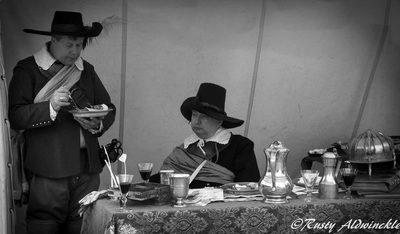 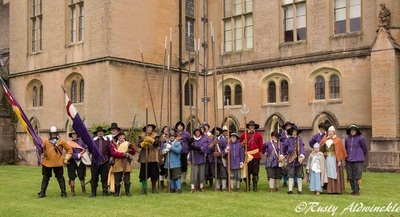 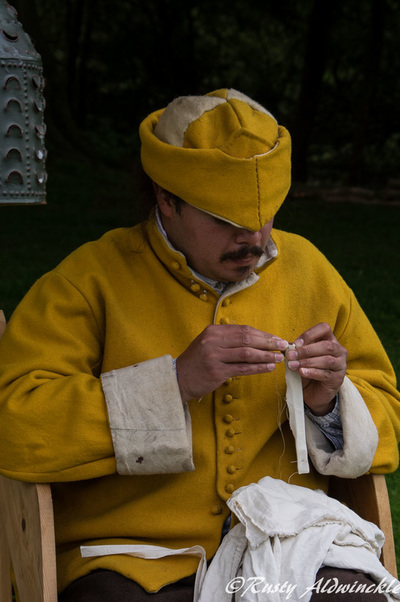 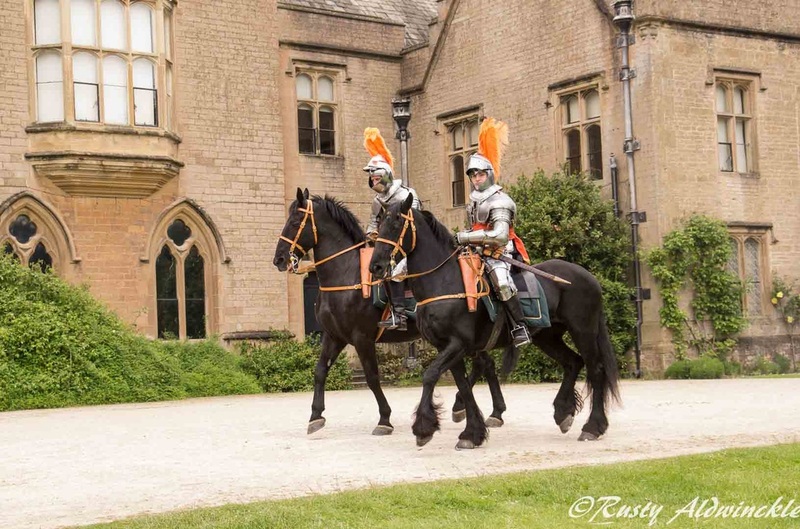 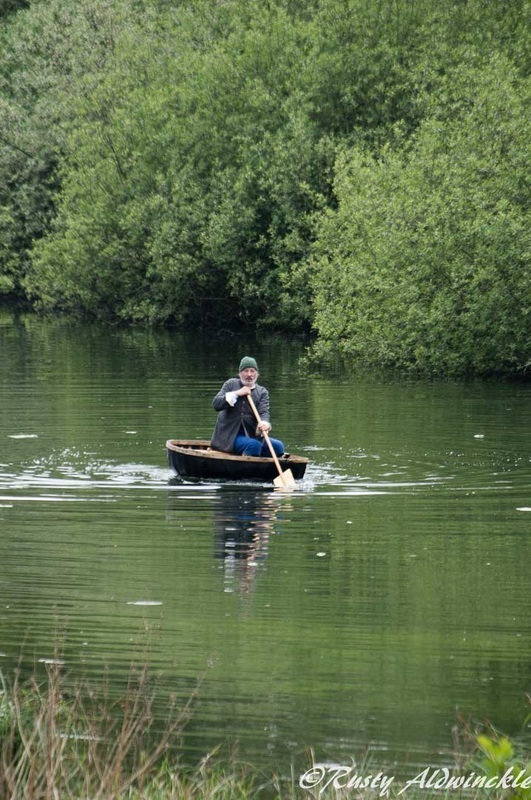 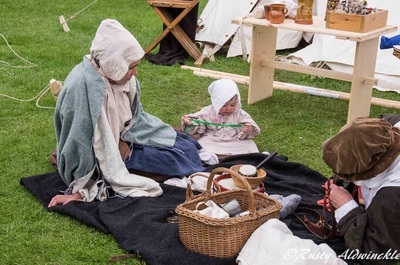 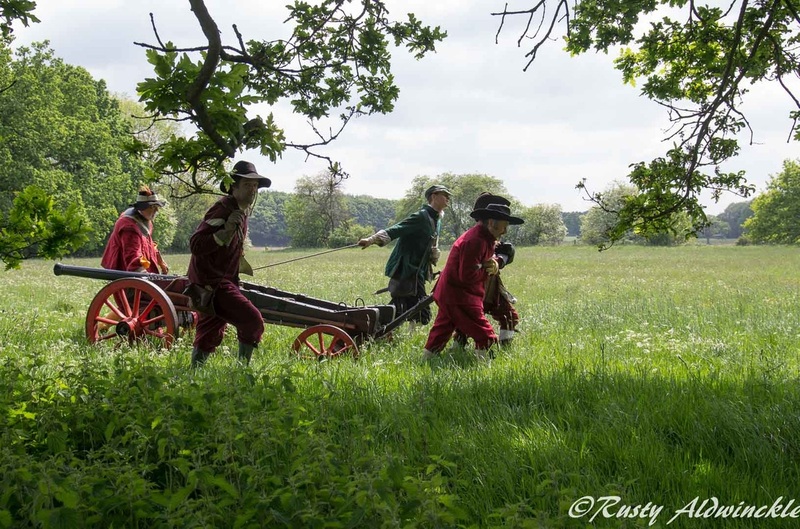 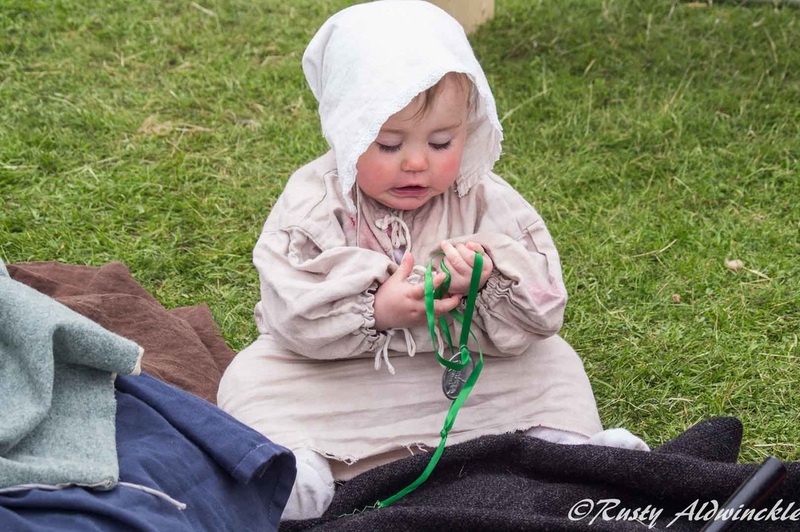 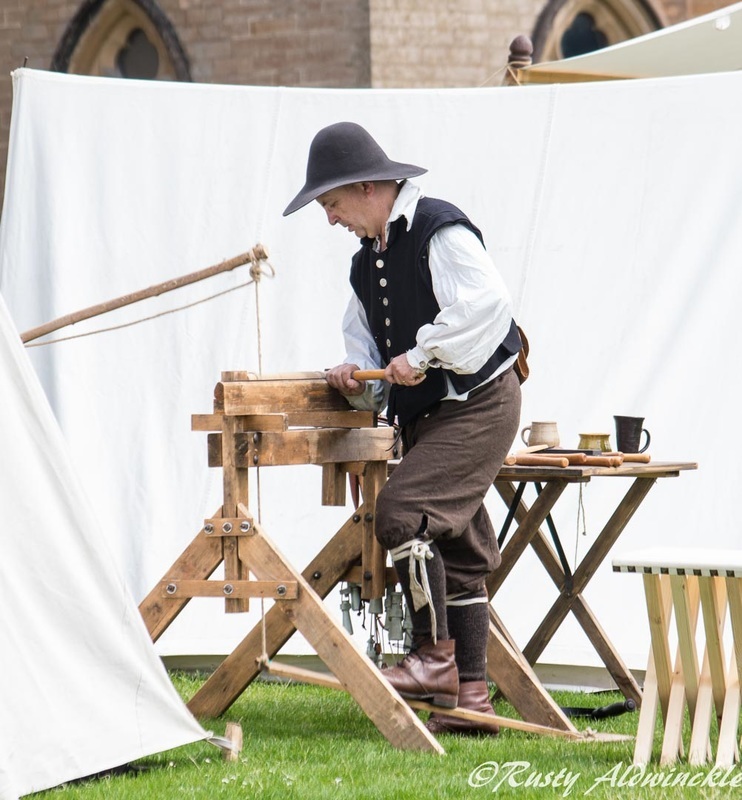 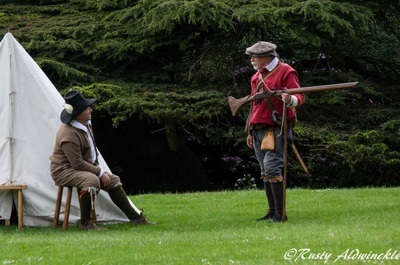 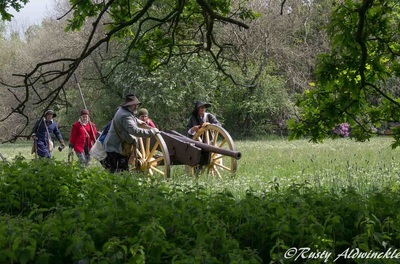 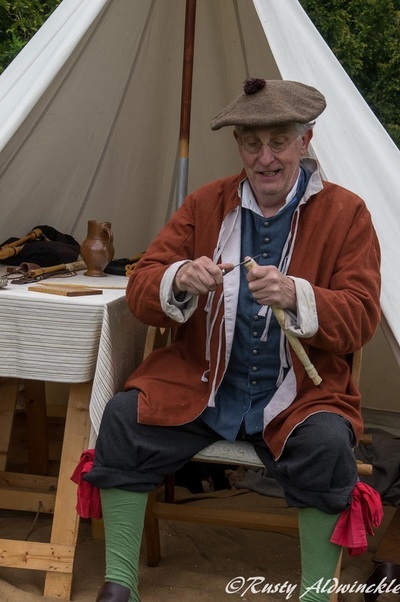 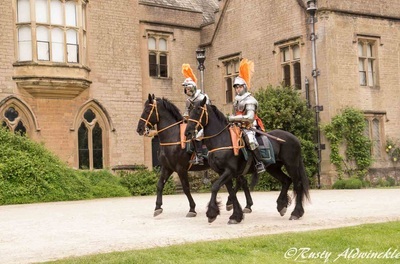 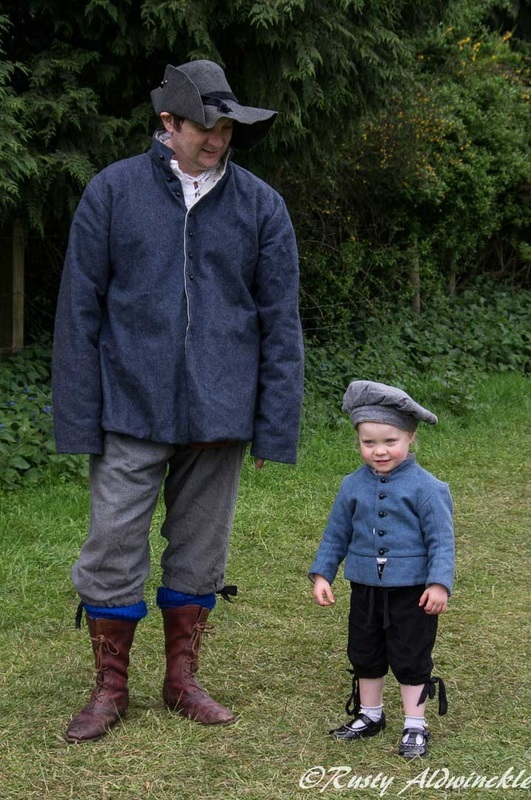 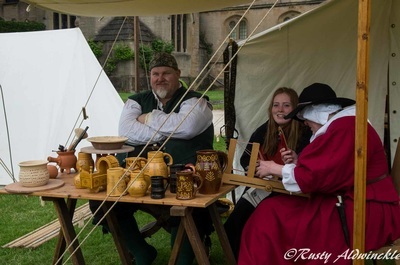 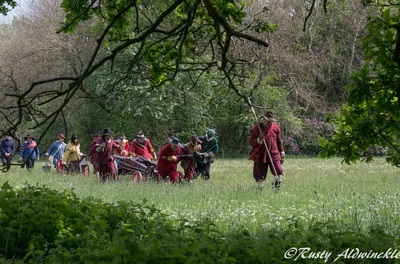 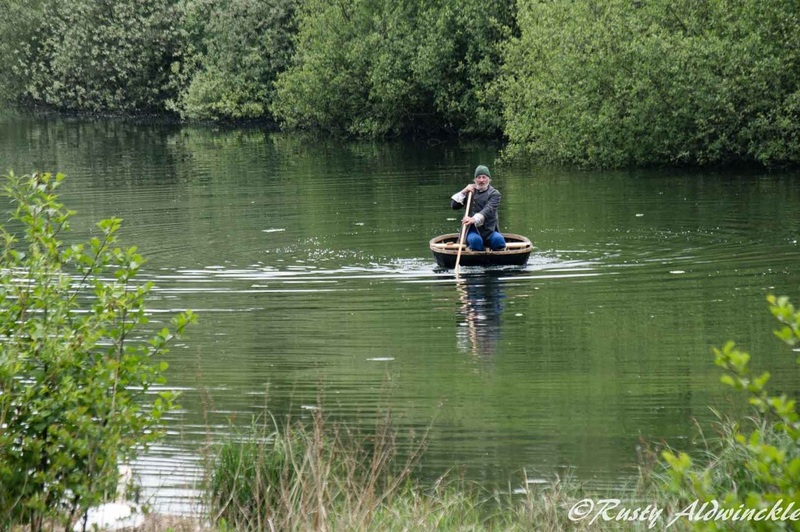 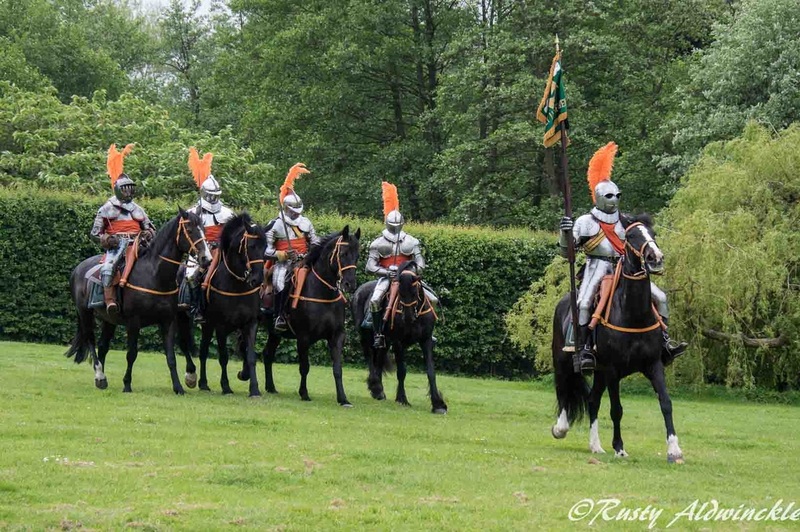 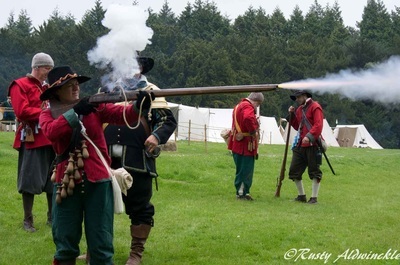 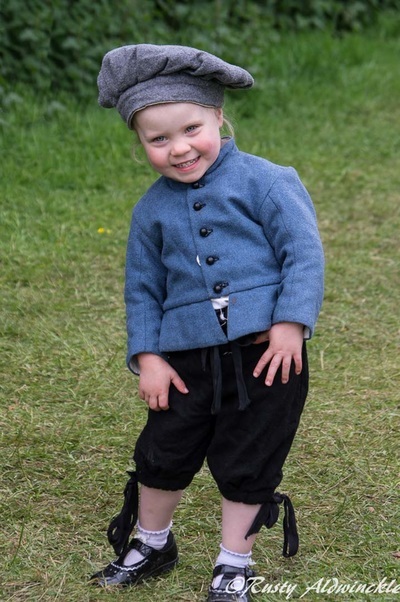 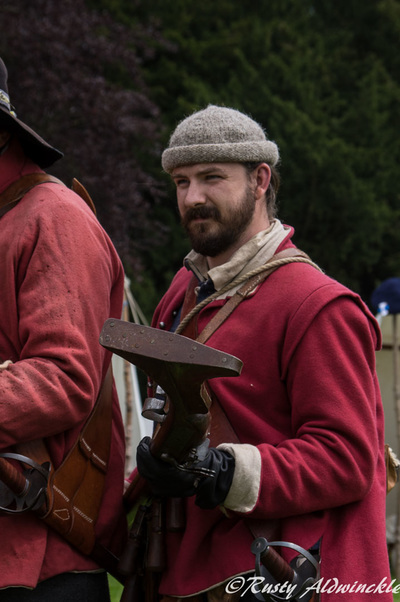 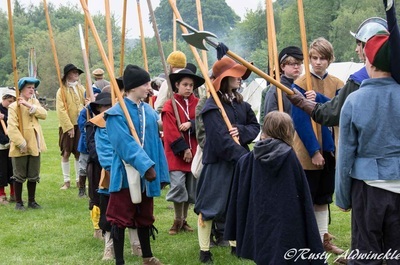 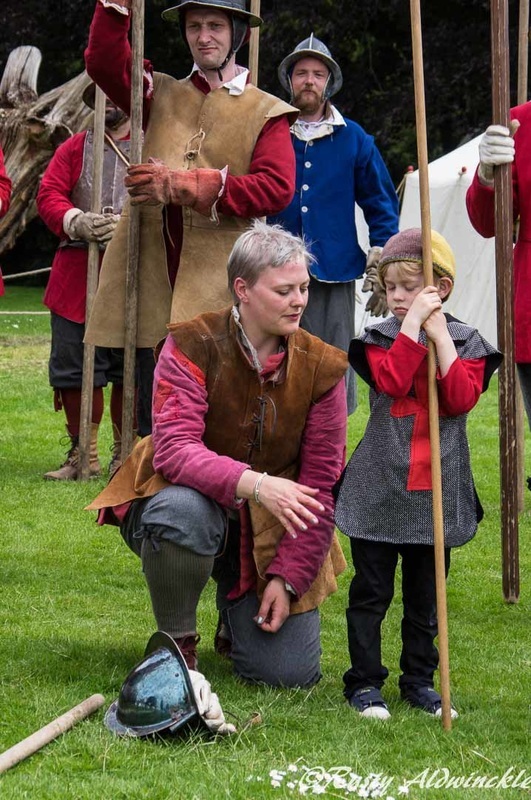 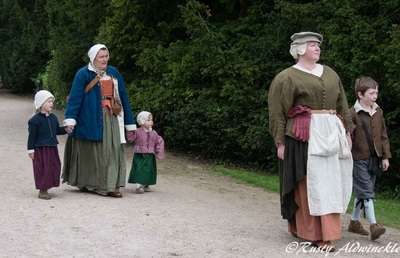 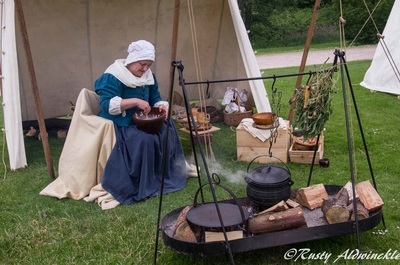 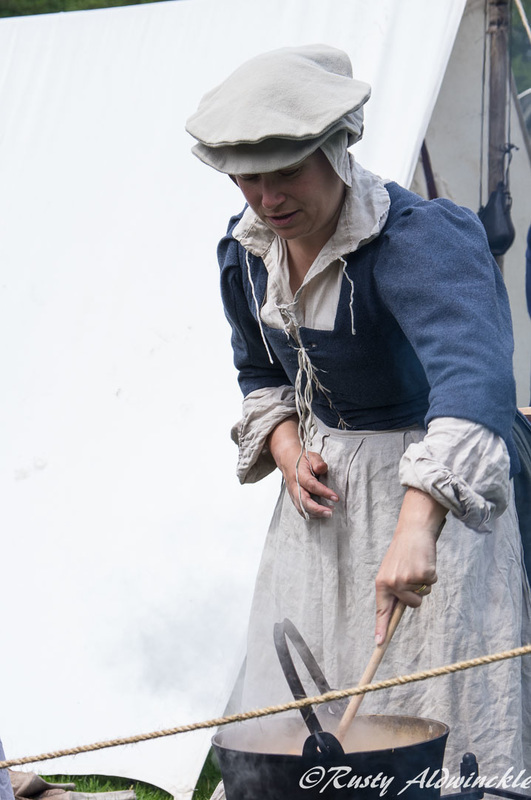 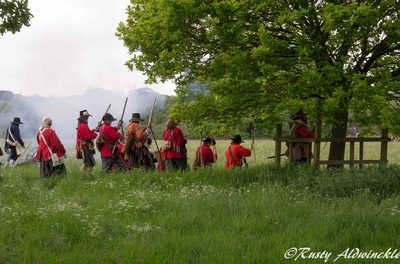 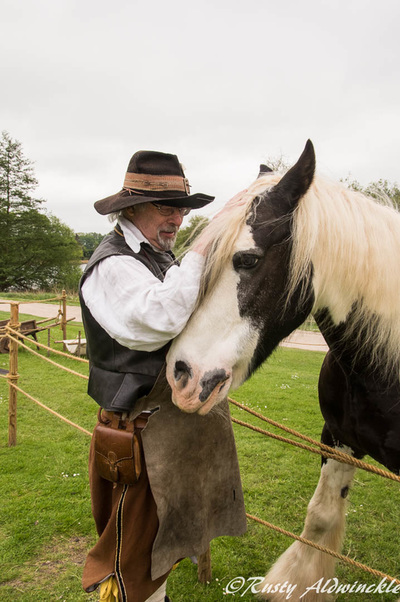 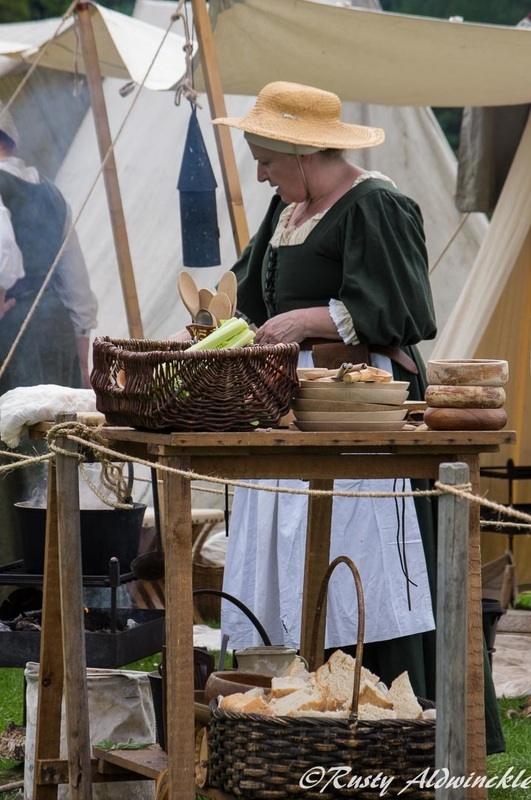 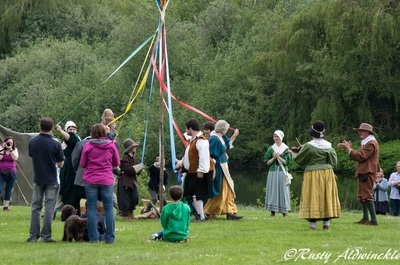 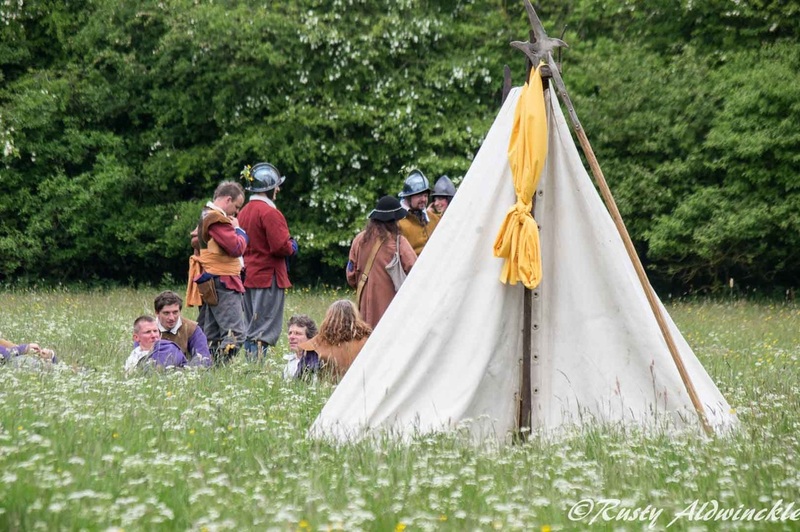 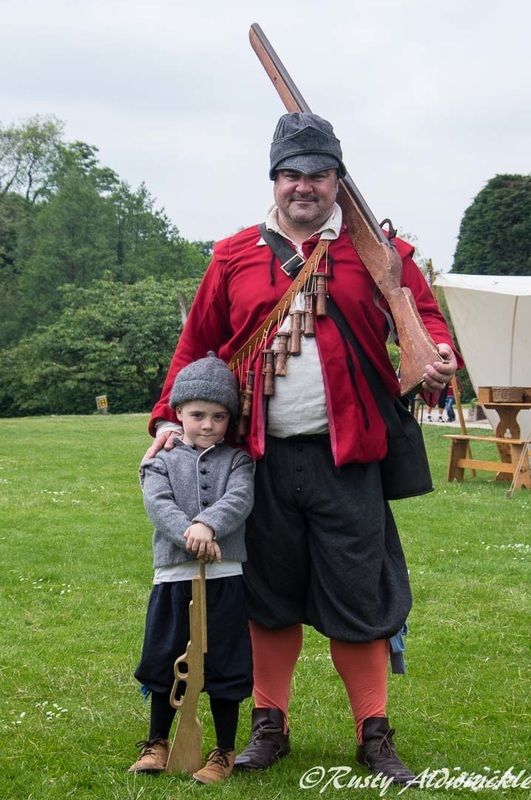 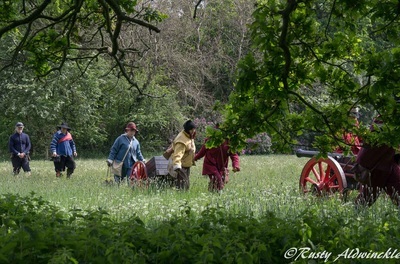 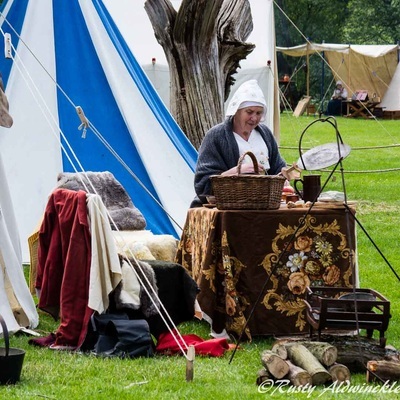 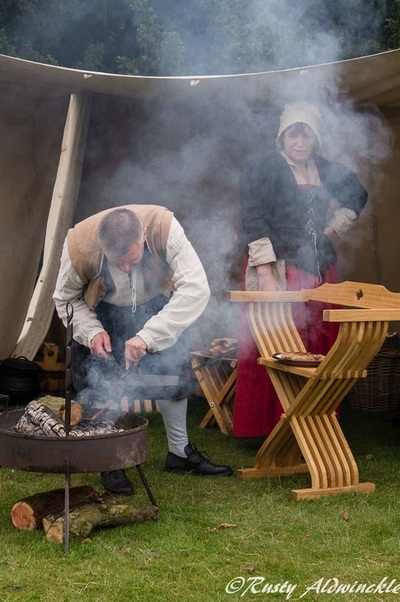 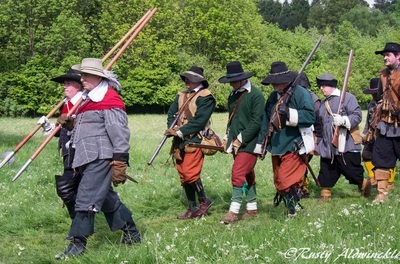 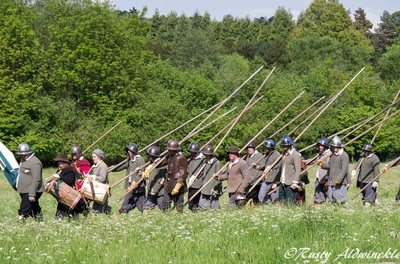 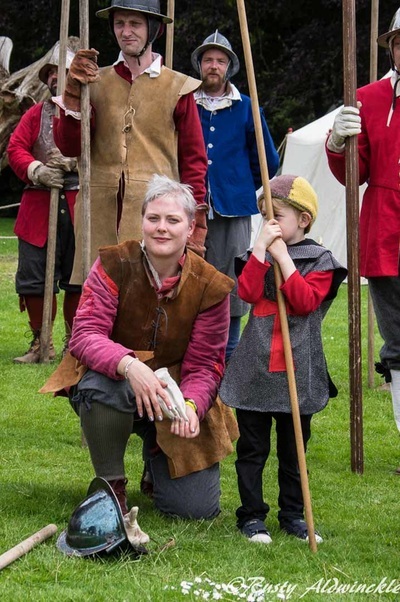 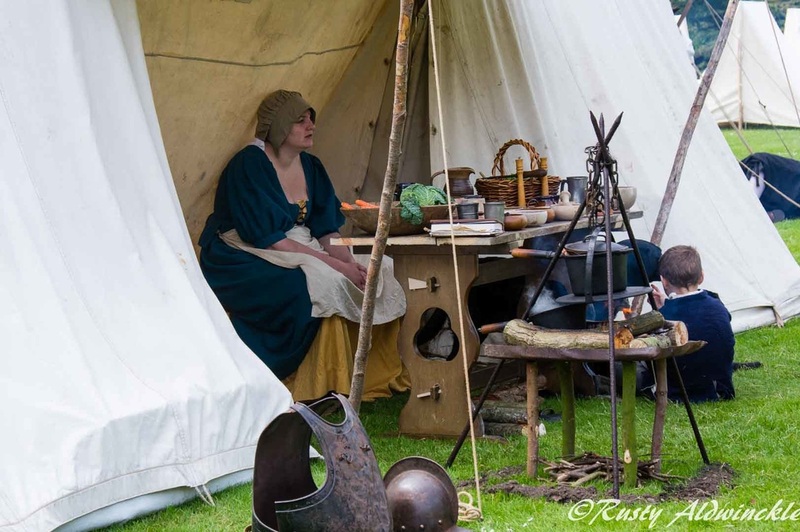 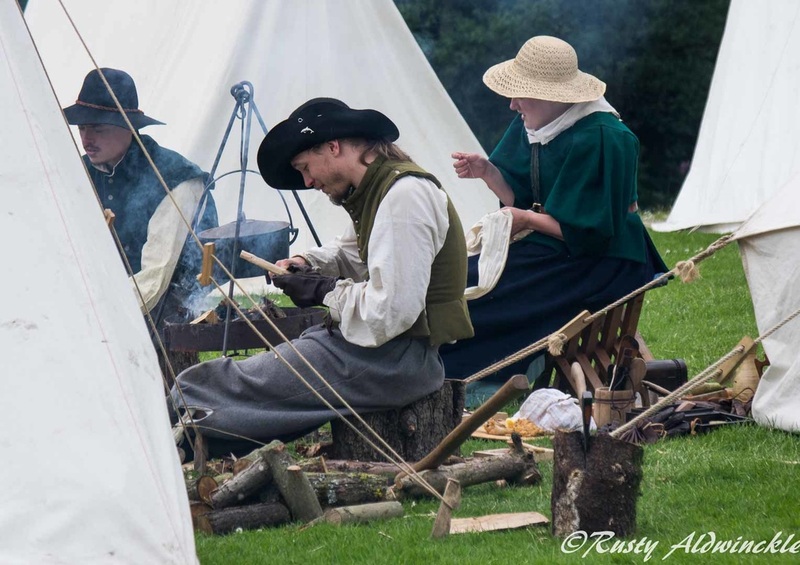 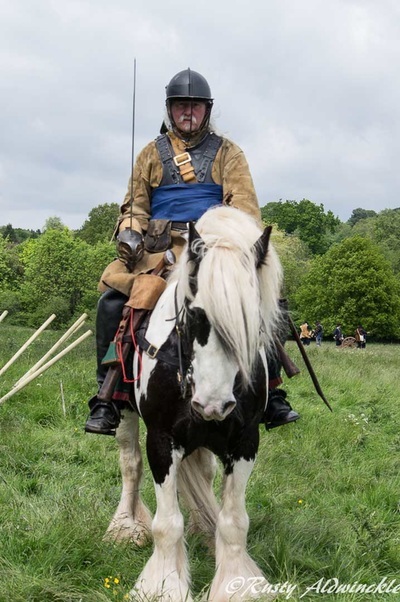 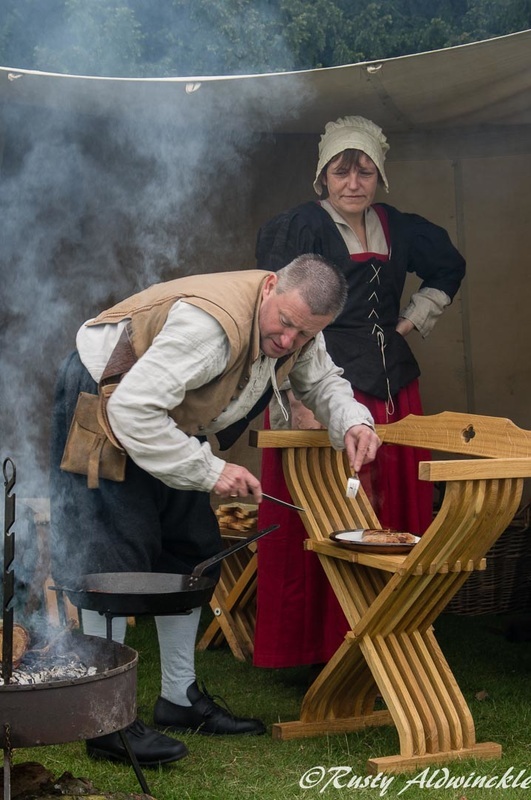 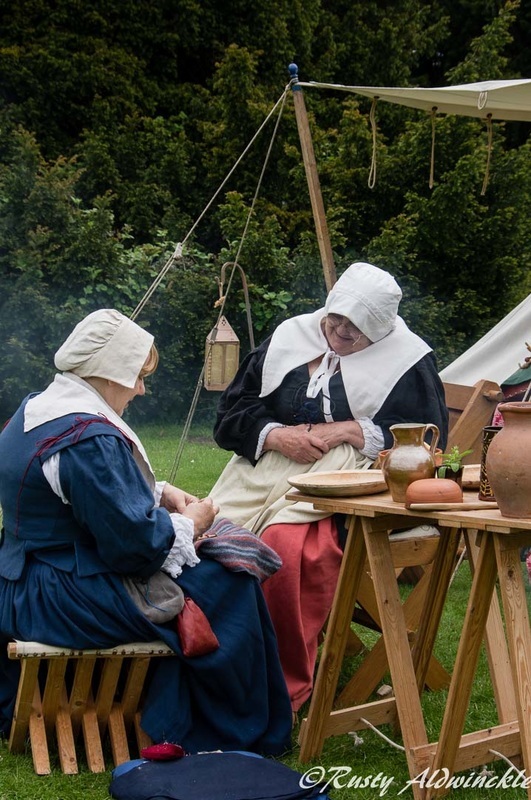 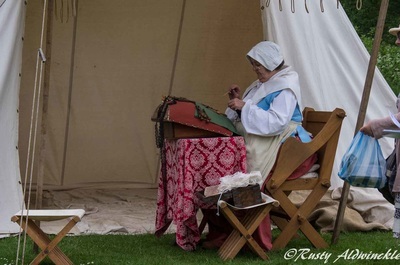 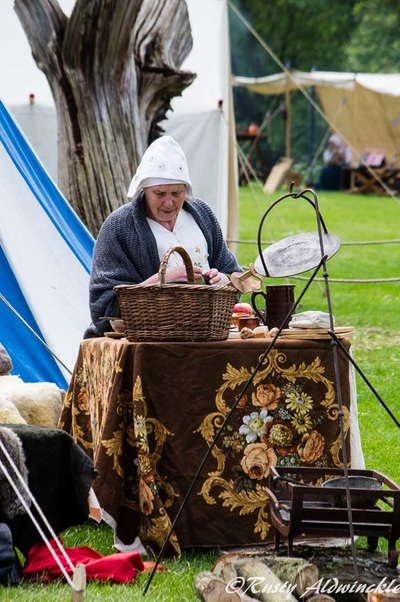 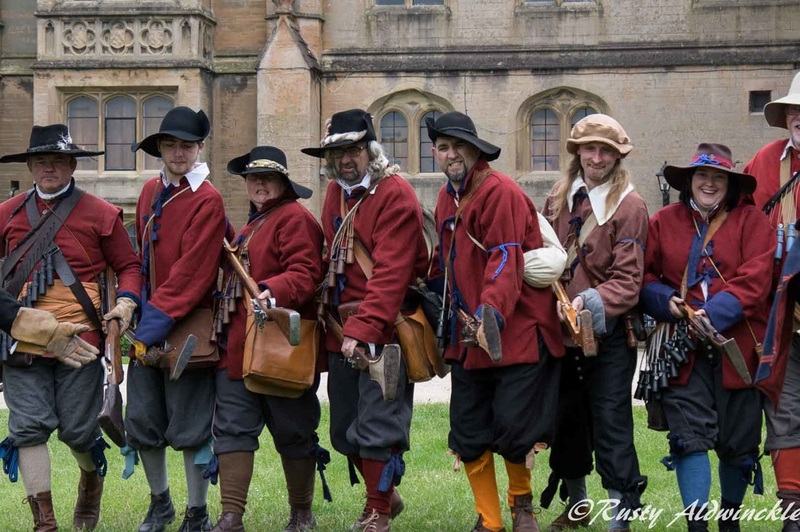 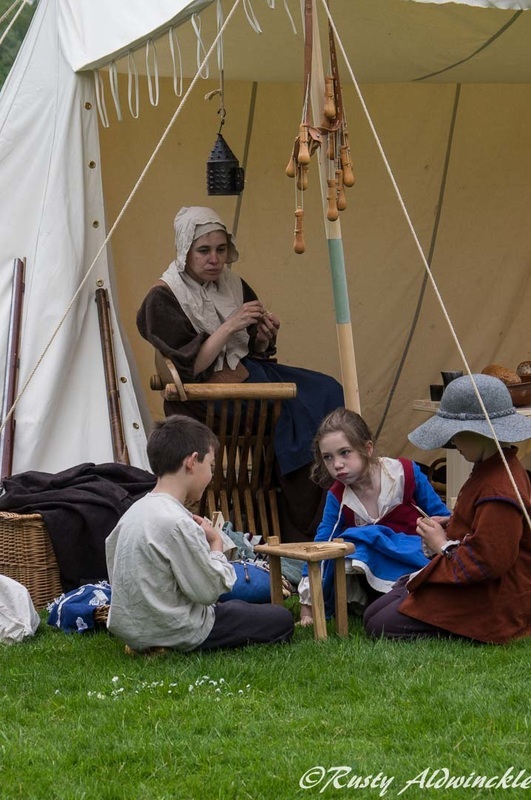 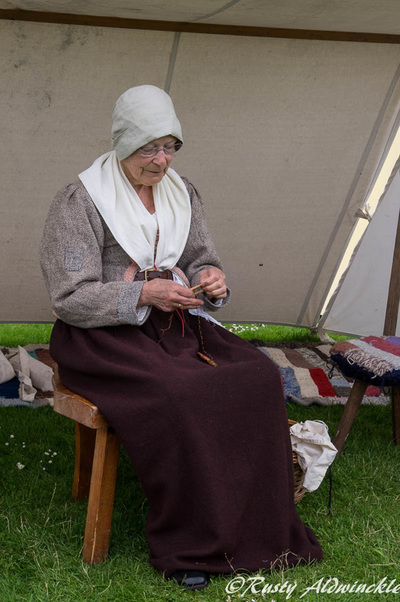 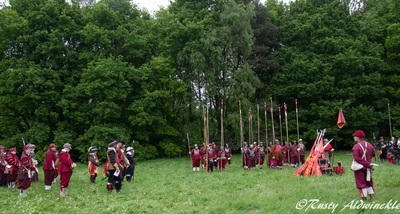 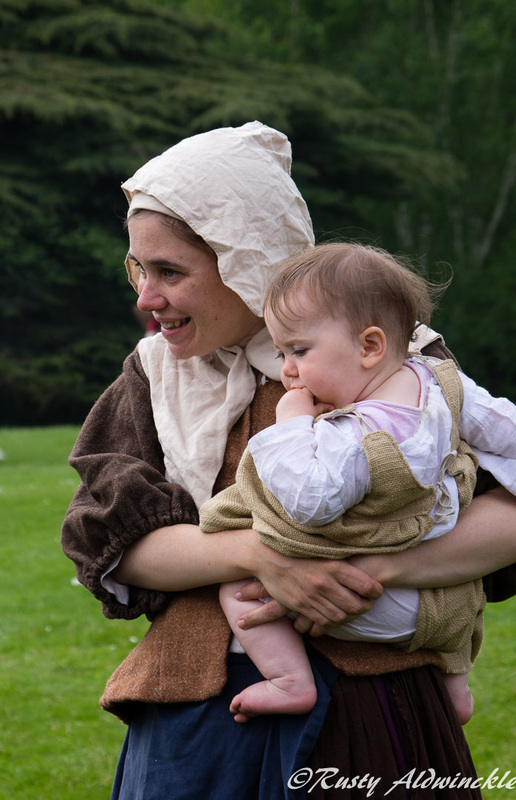 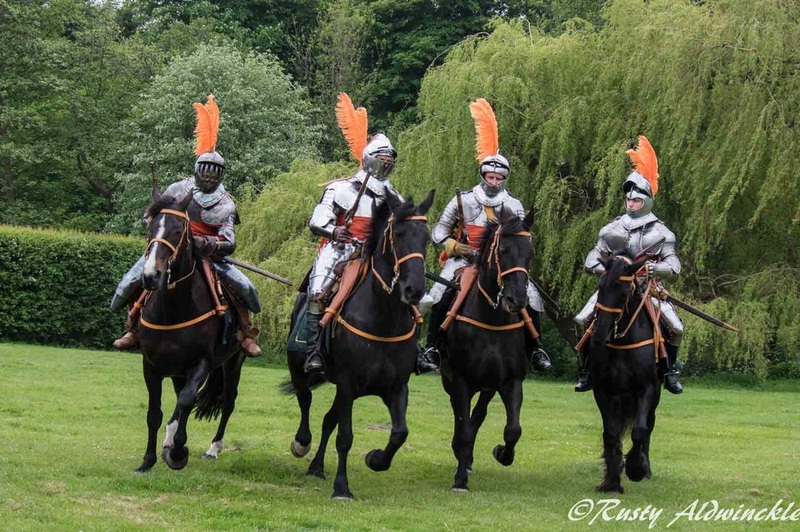 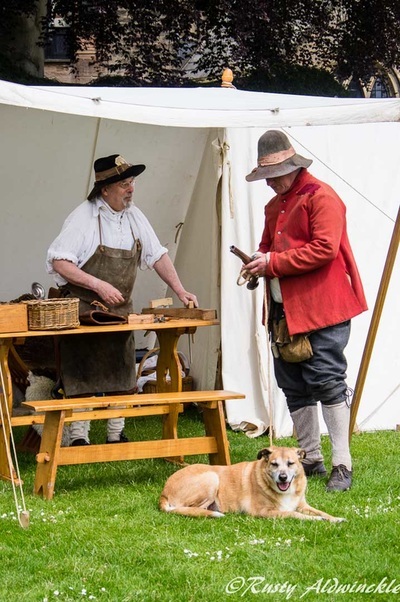 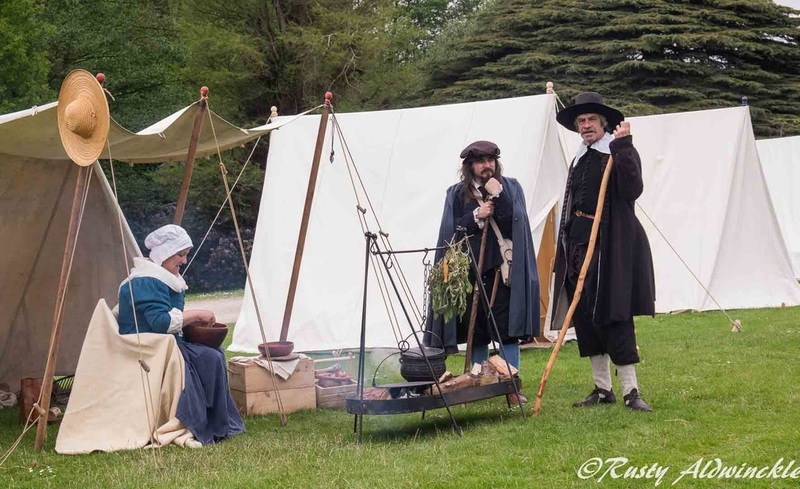 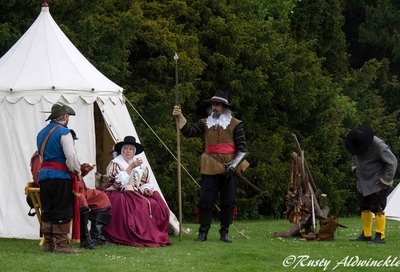 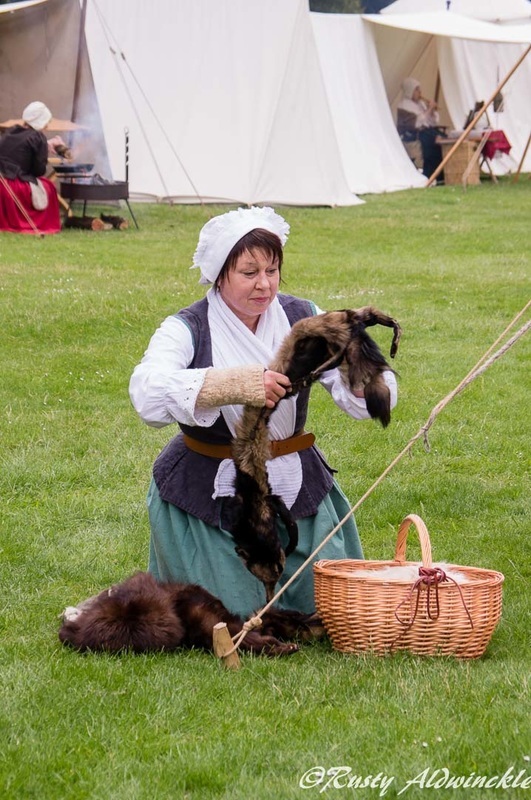 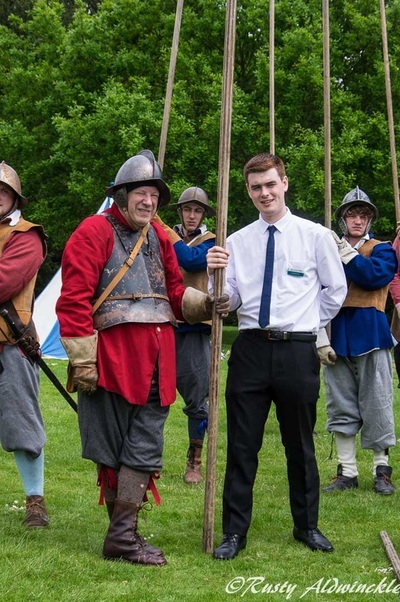 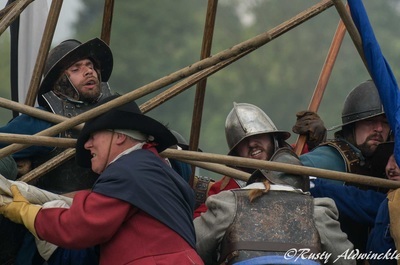 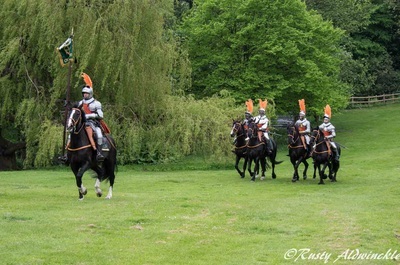 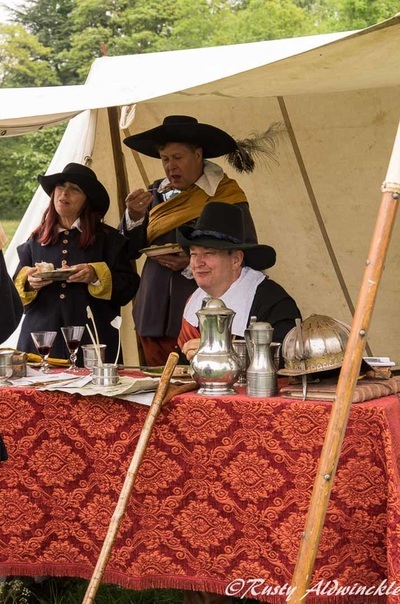 My thanks also the Apprentices, there presence on the Living History Camp was fantastic too see. 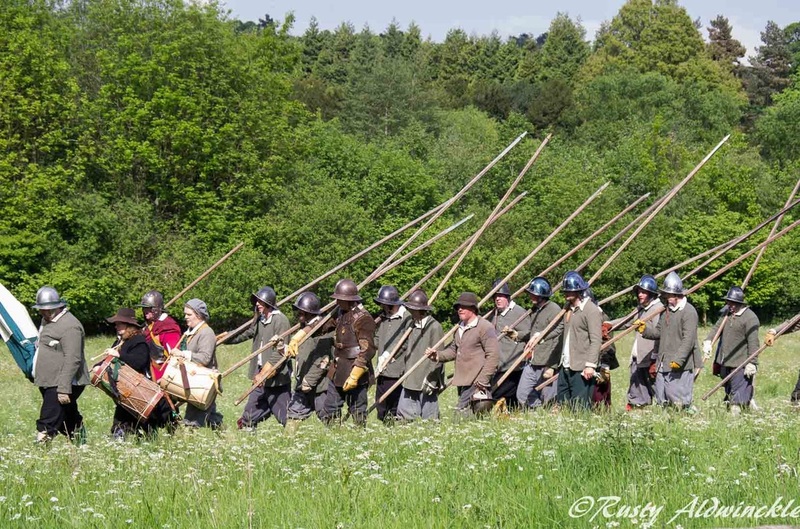 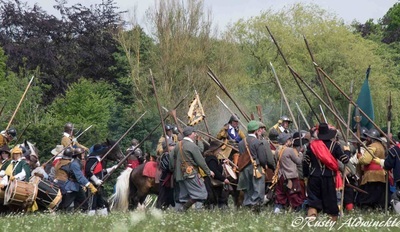 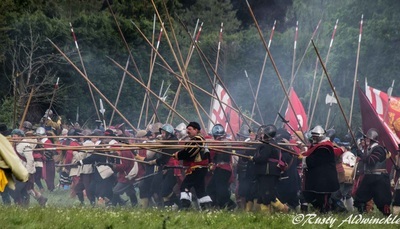 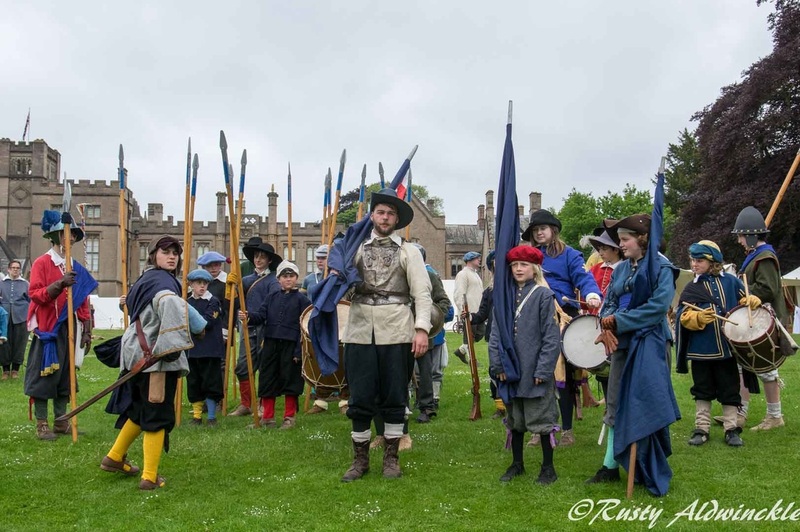 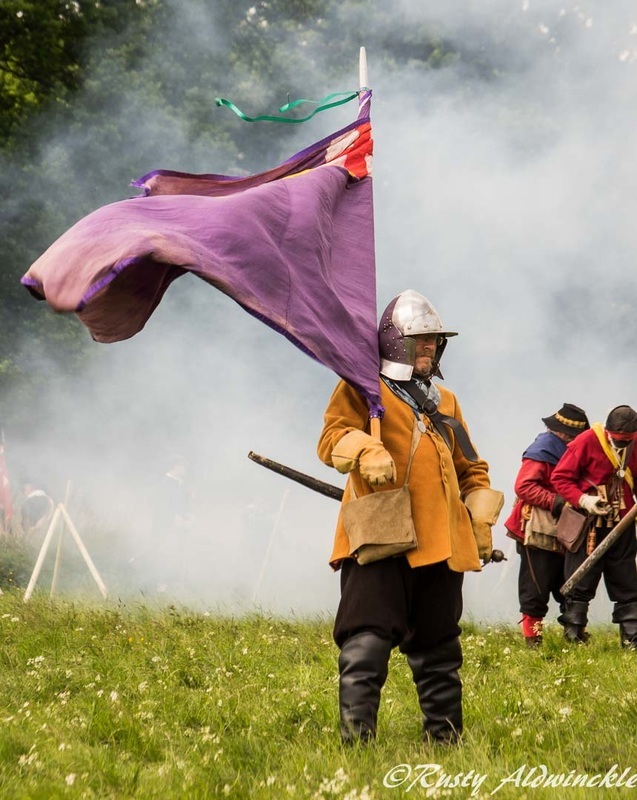 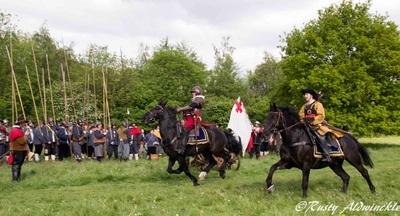 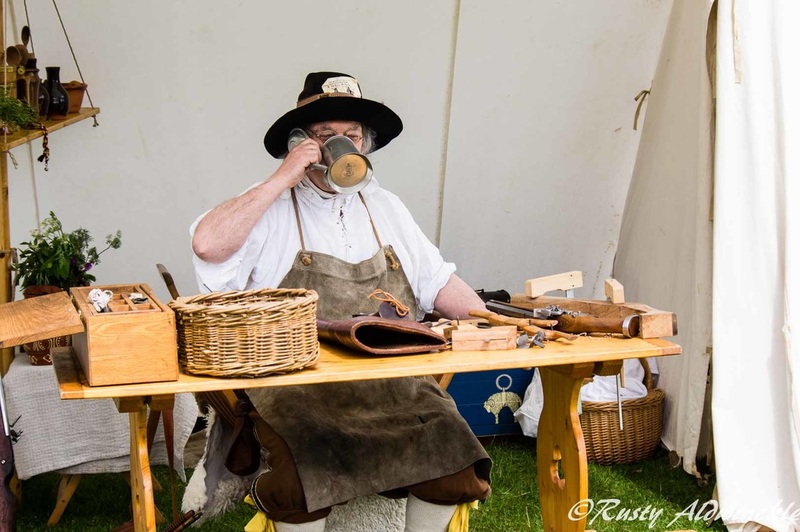 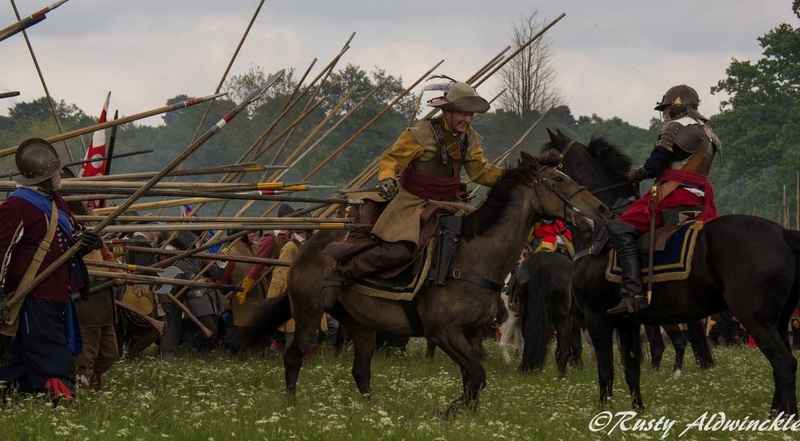 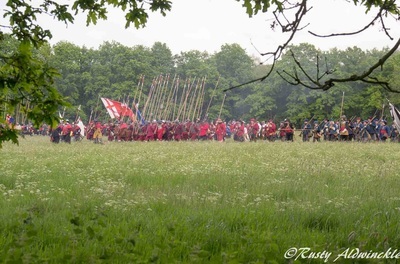 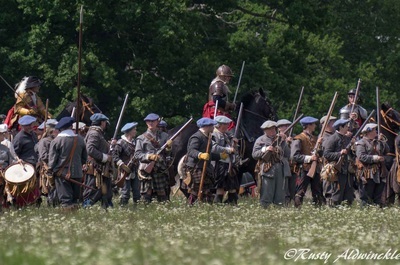 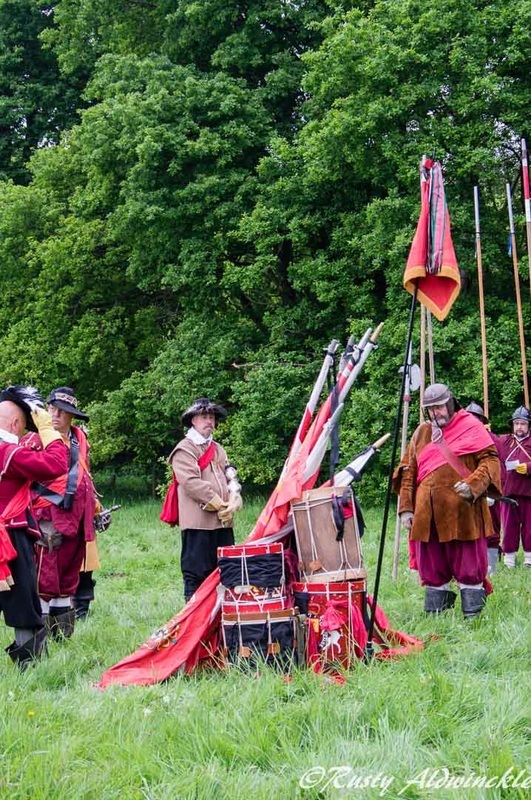 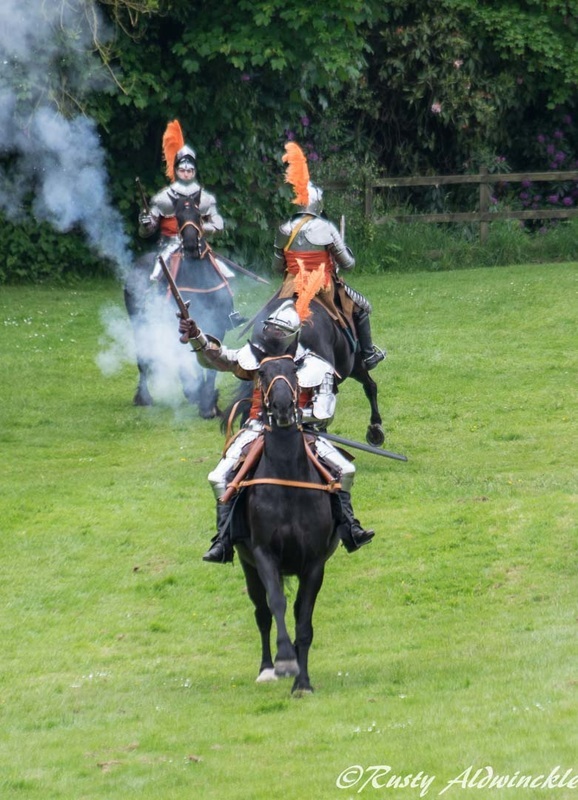 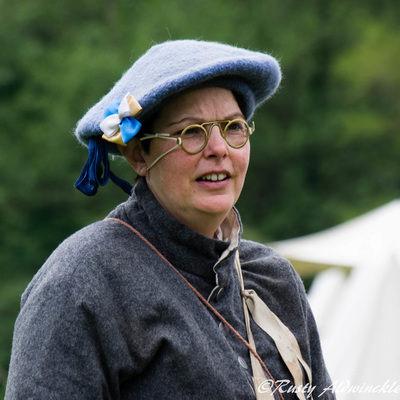 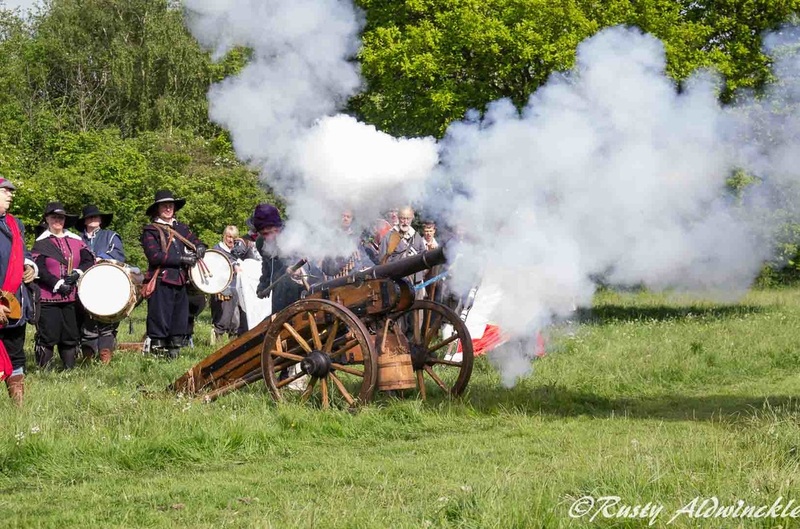 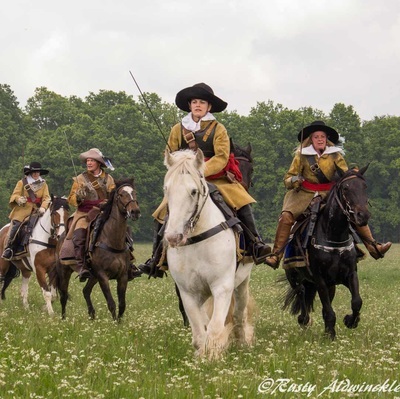 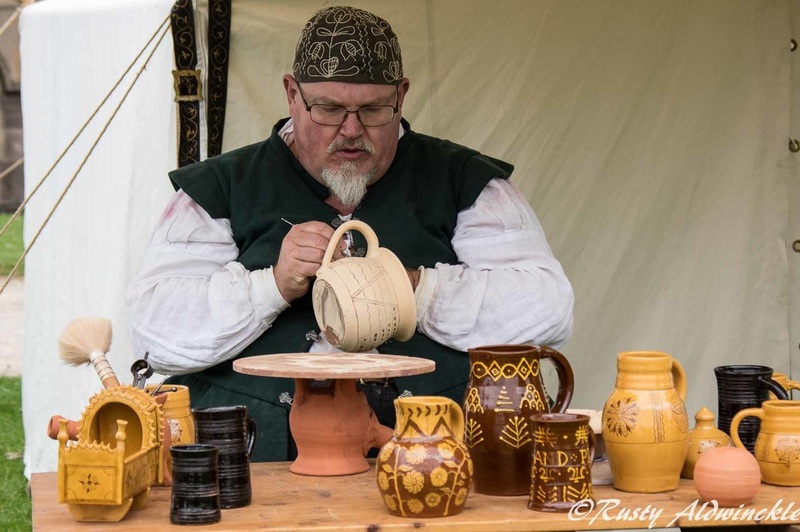 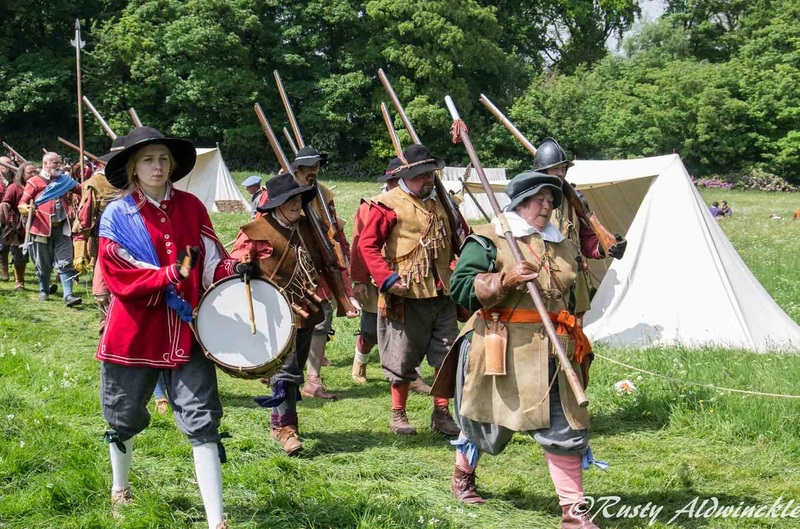 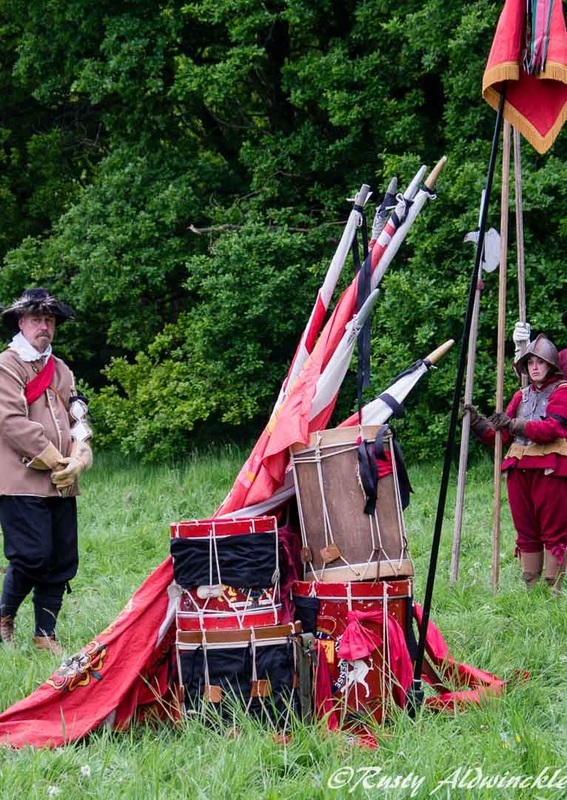 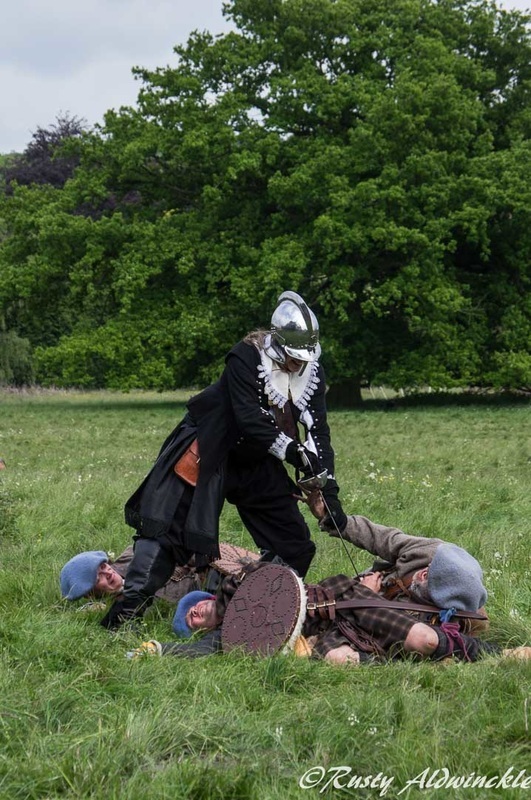 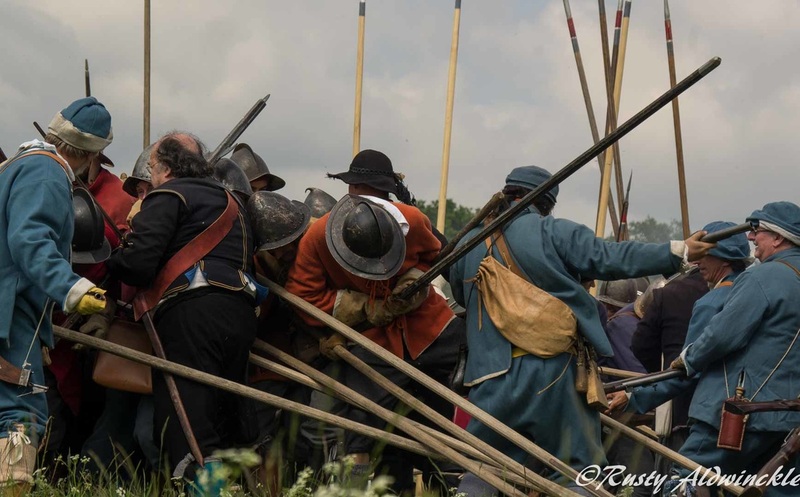 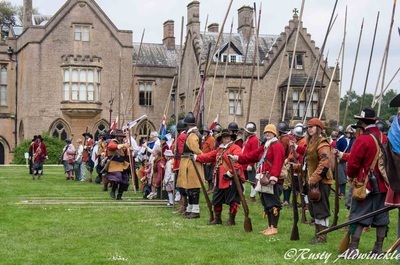 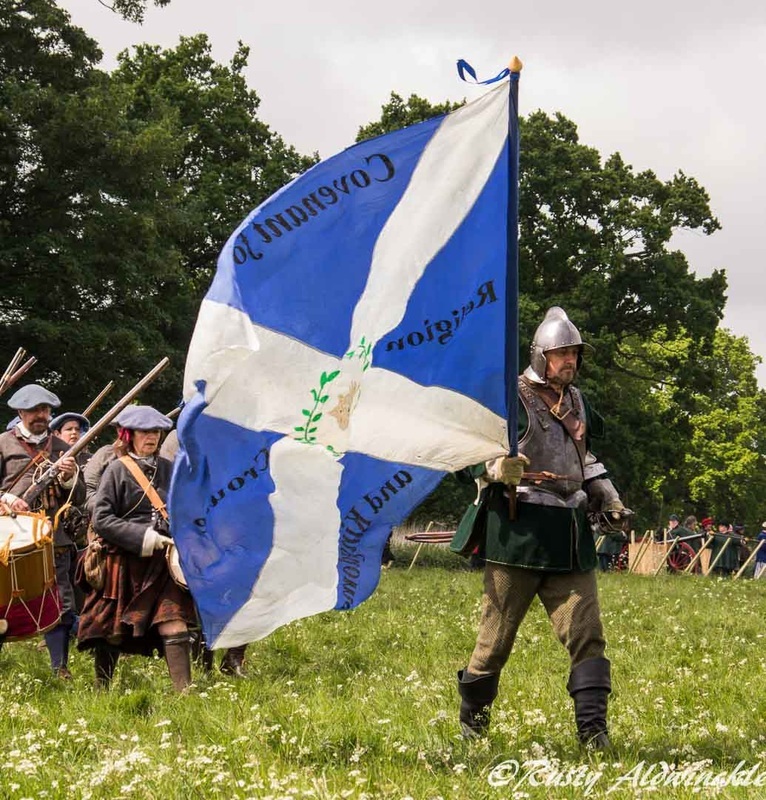 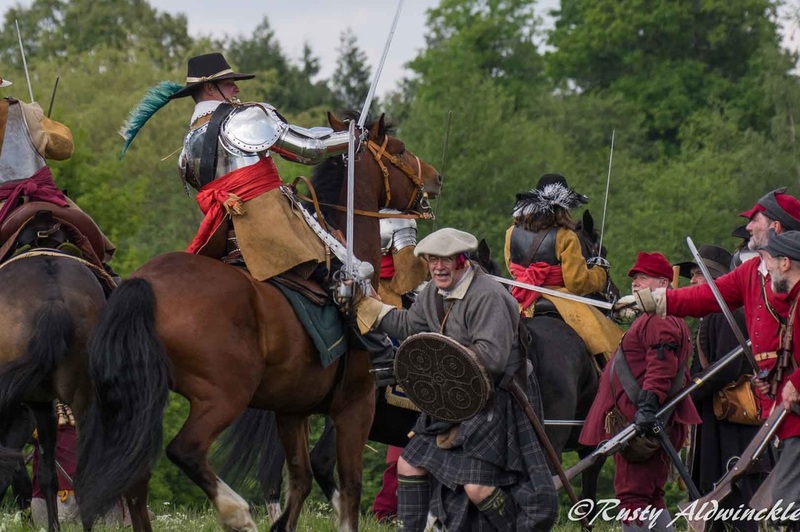 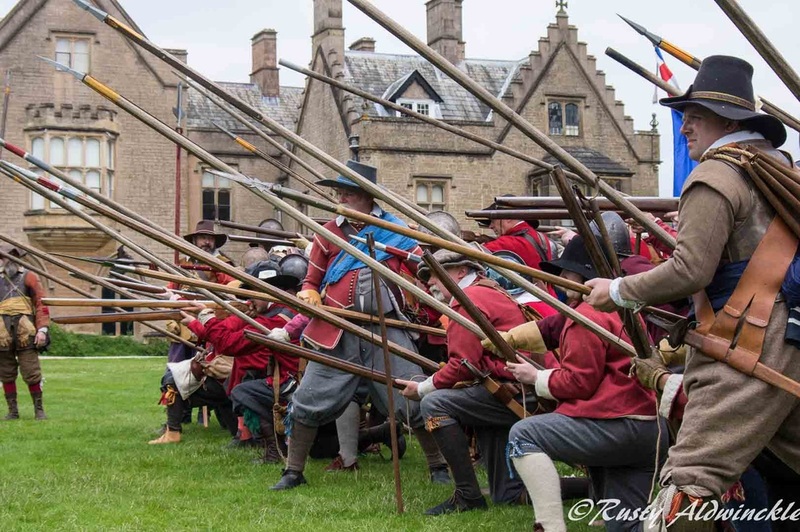 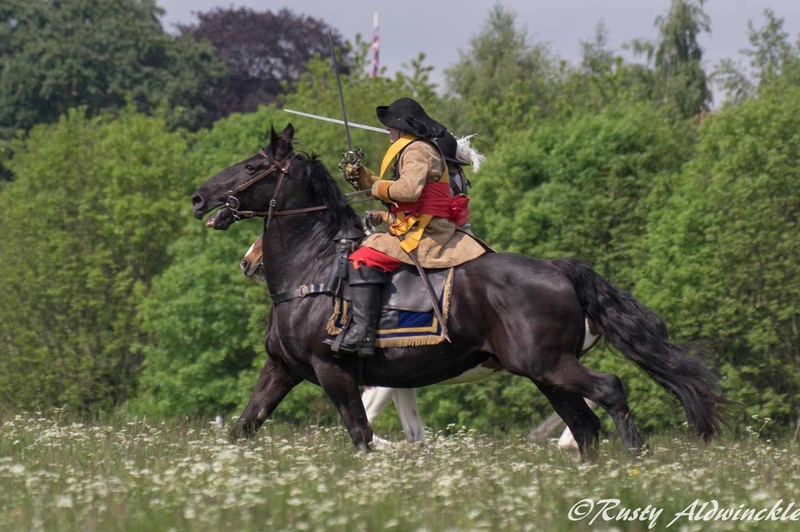 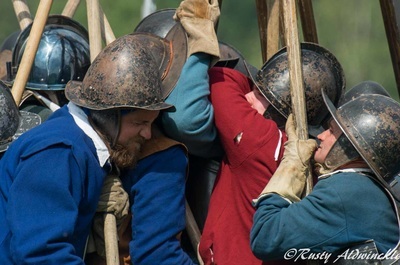 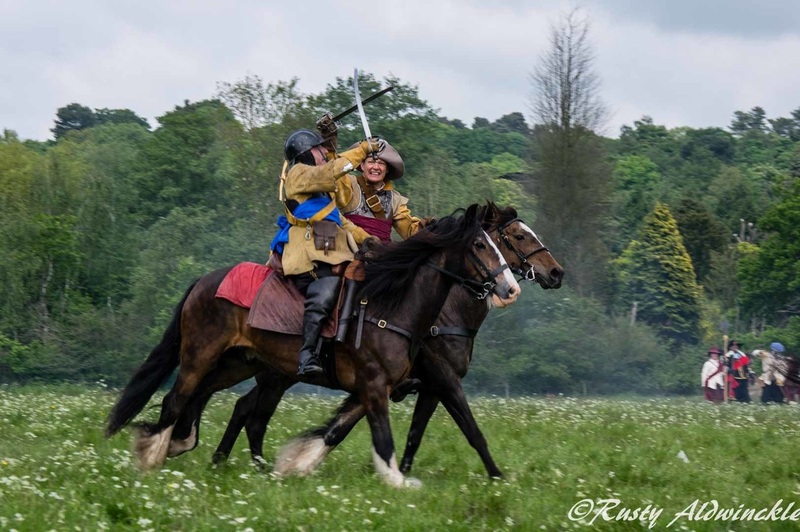 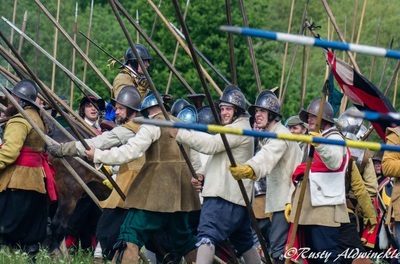 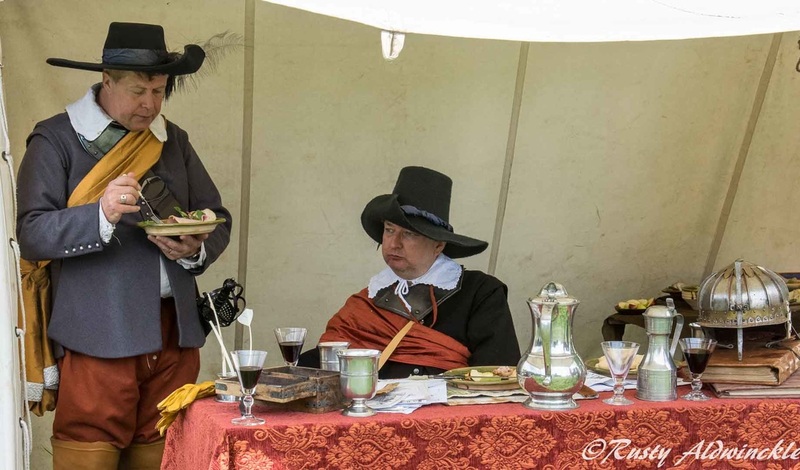 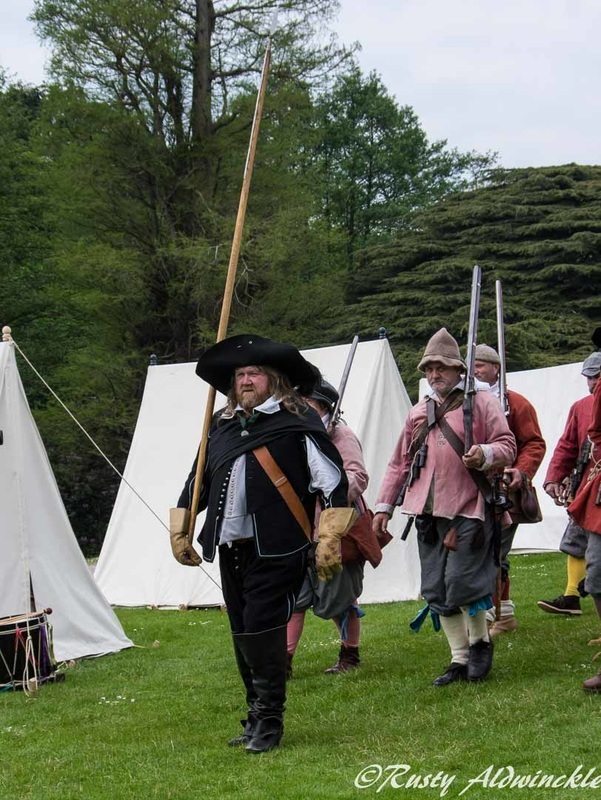 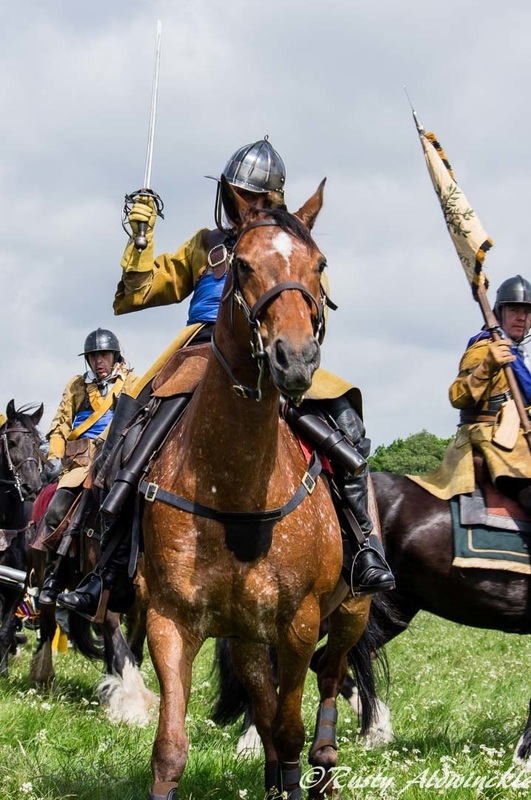 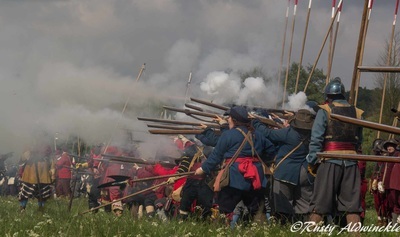 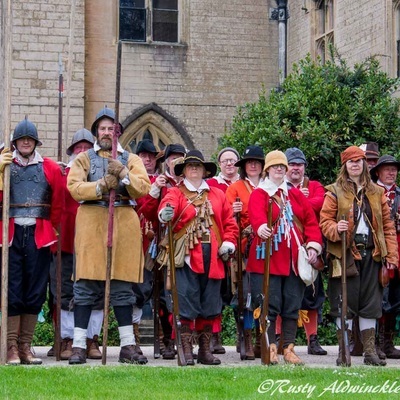 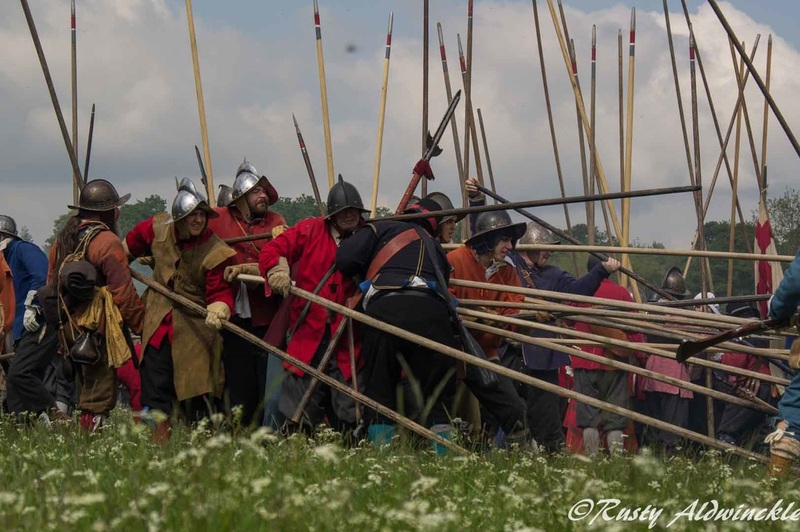 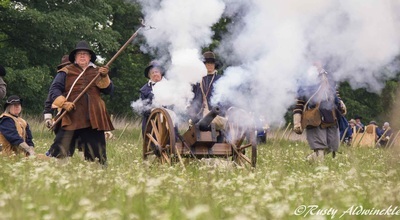 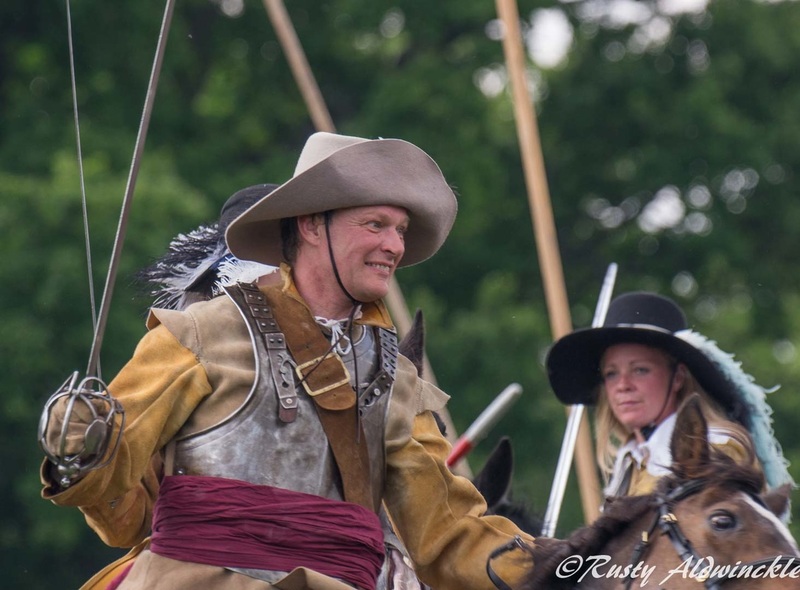 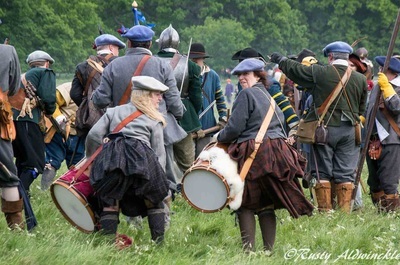 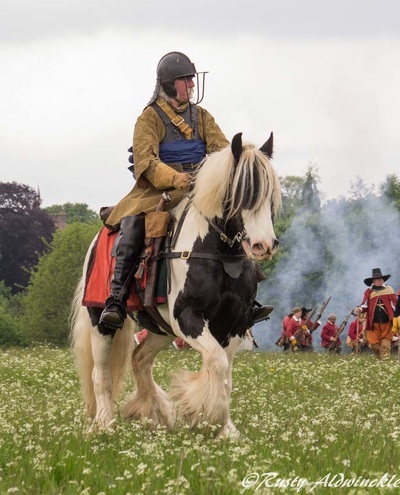 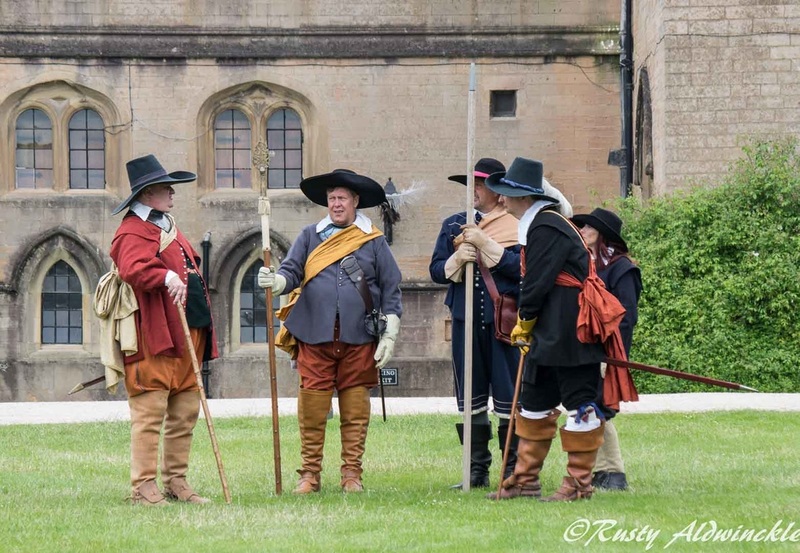 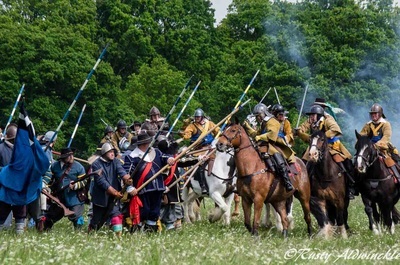 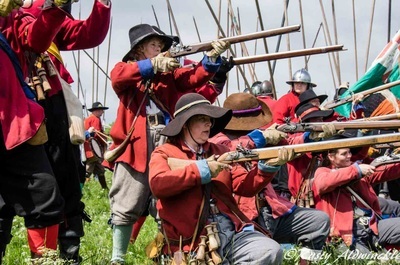 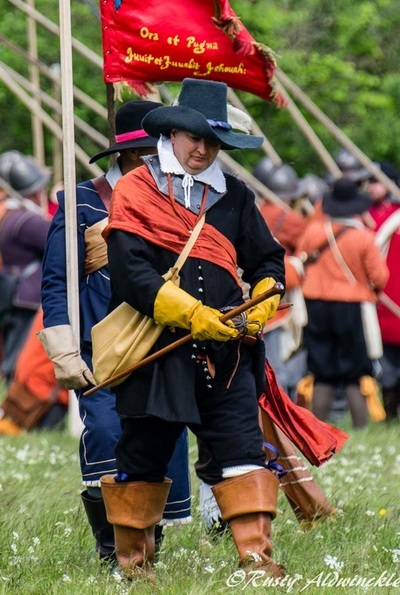 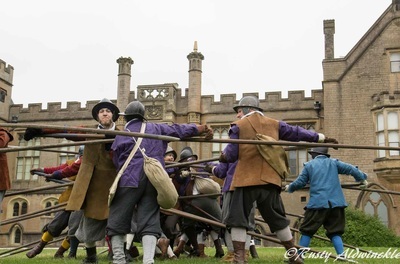 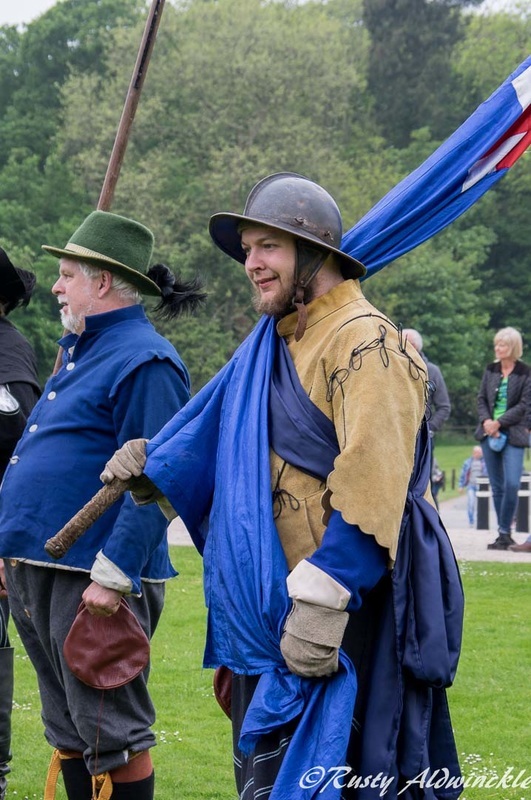 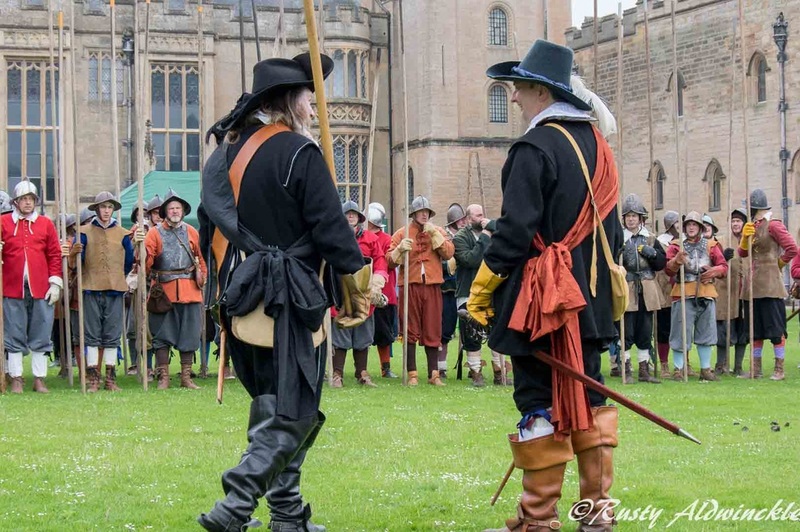 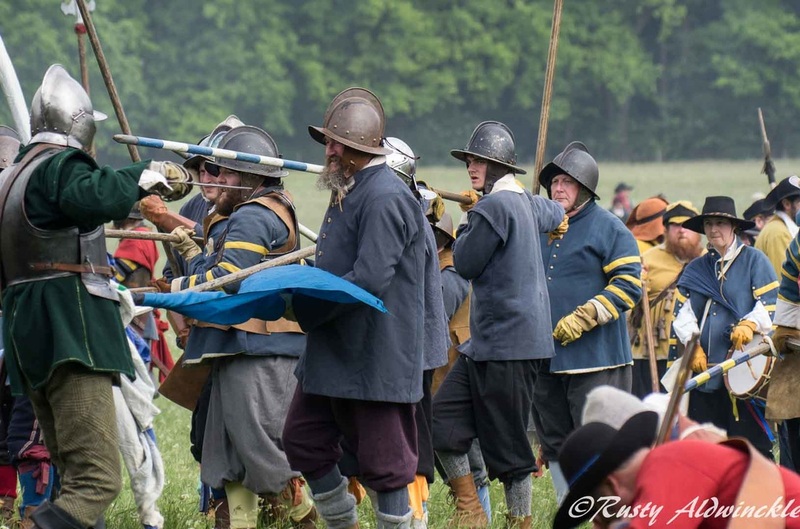 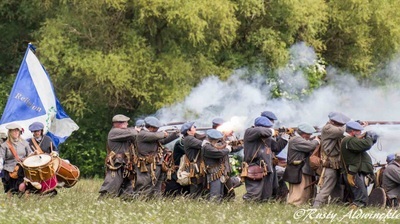 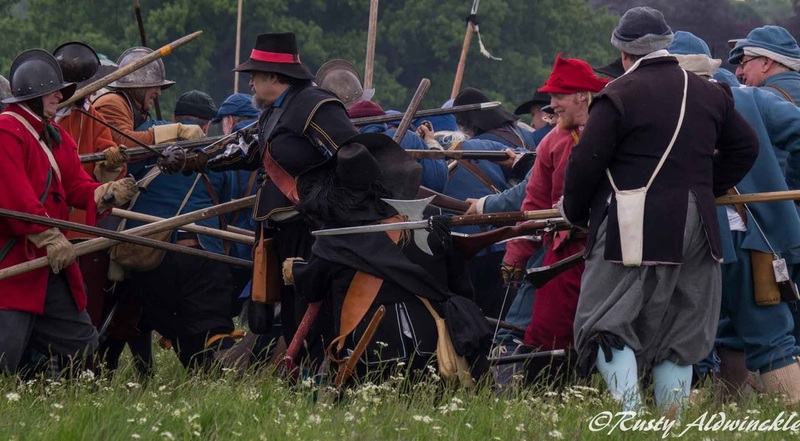 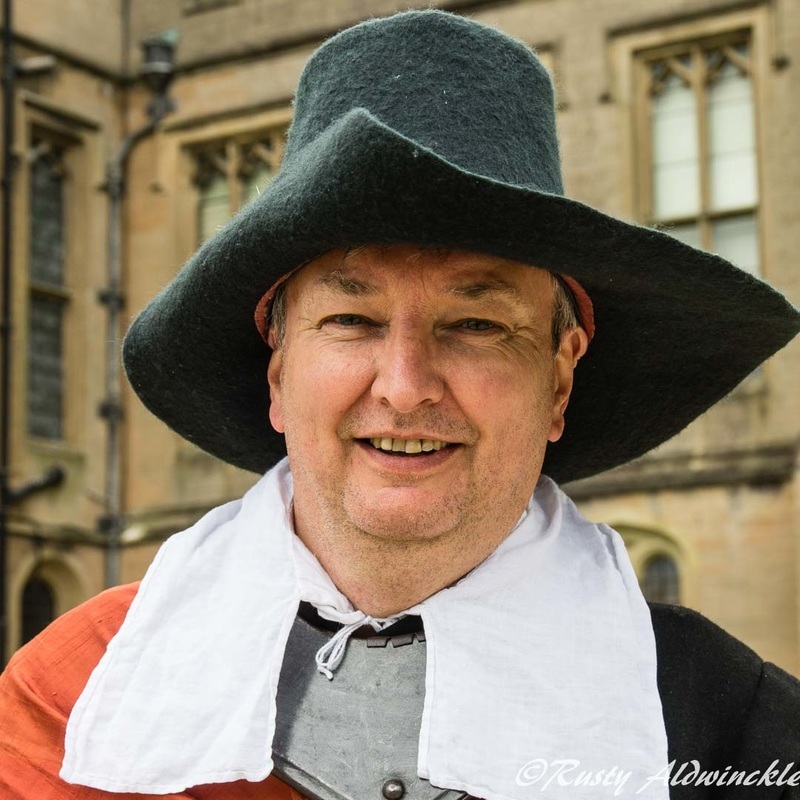 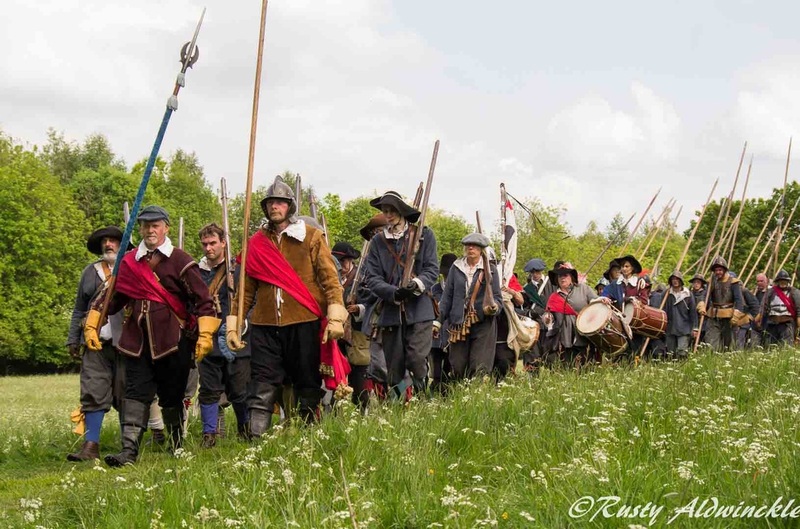 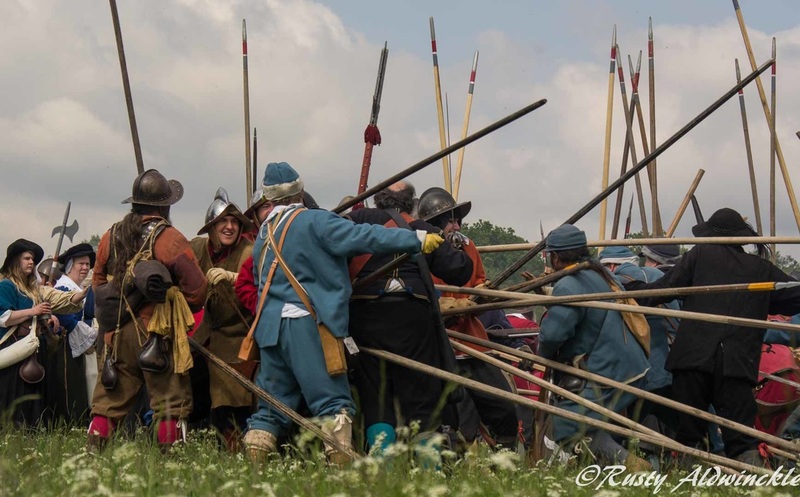 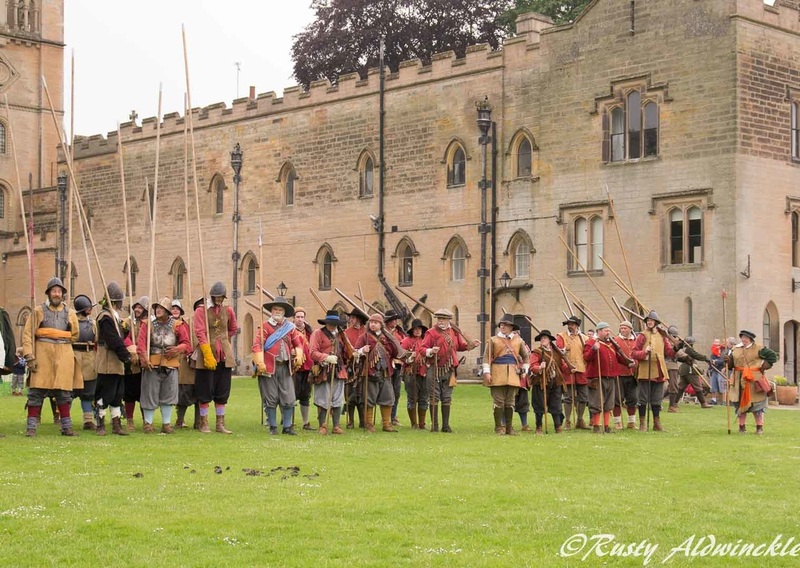 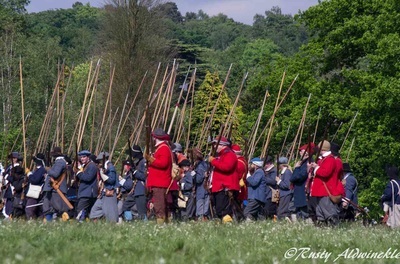 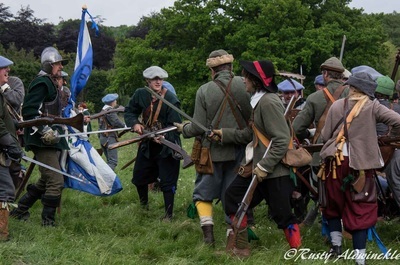 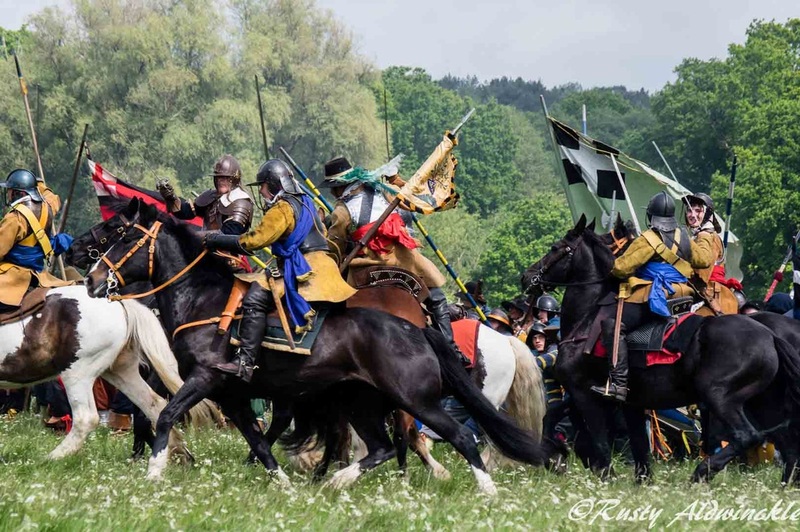 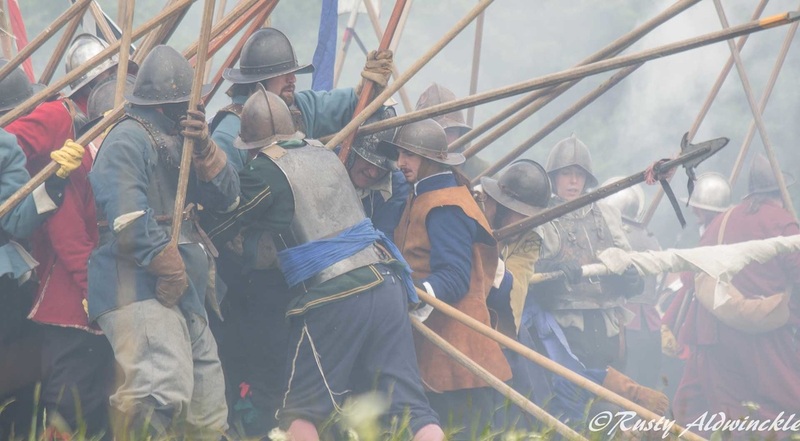 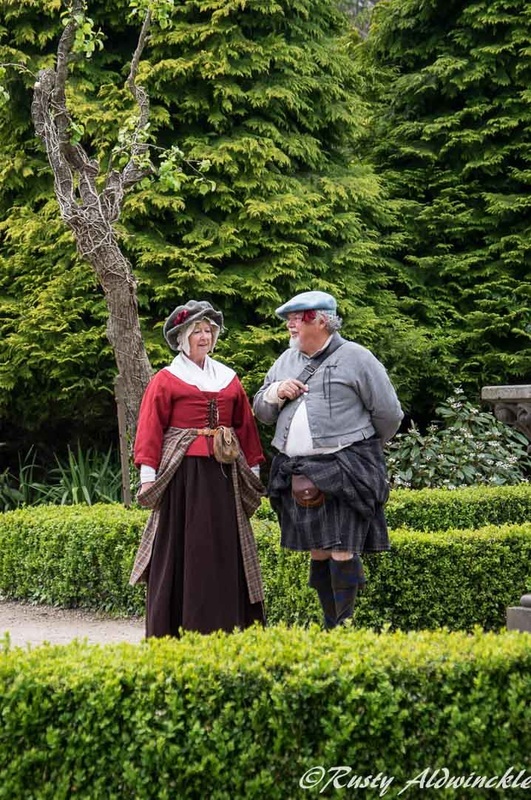 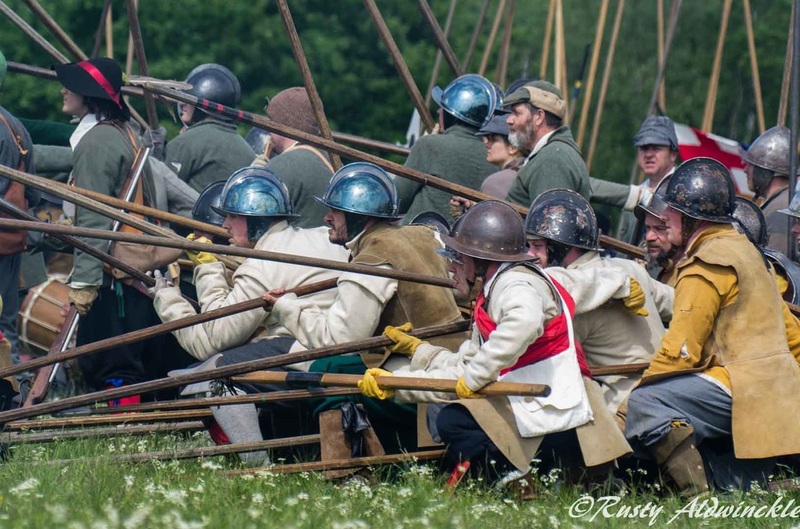 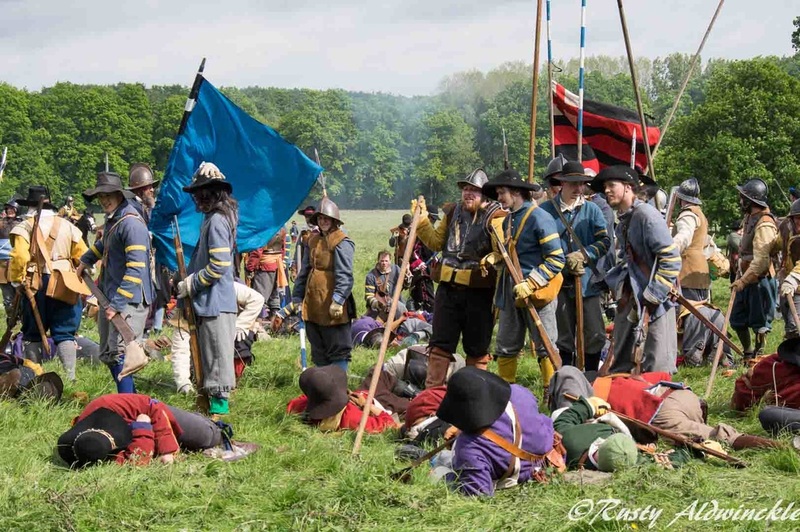 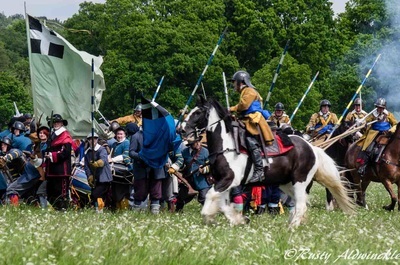 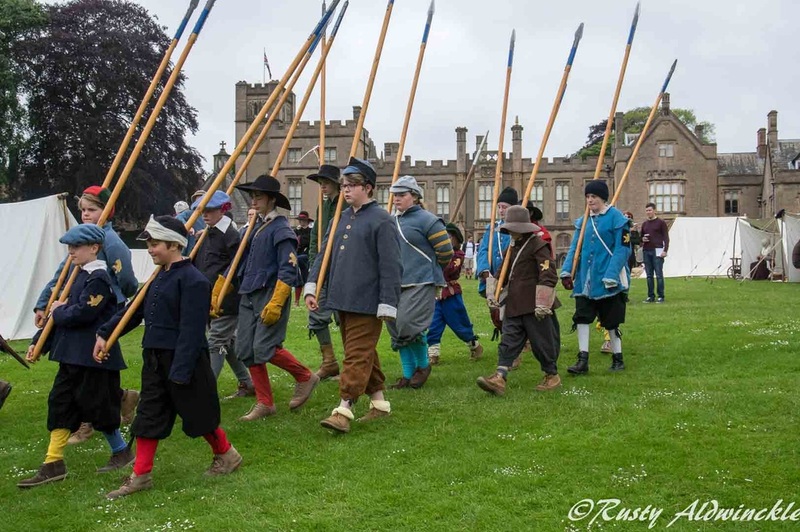 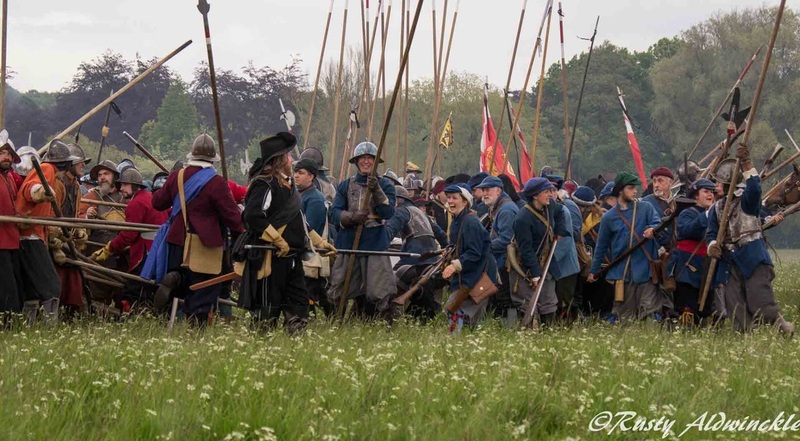 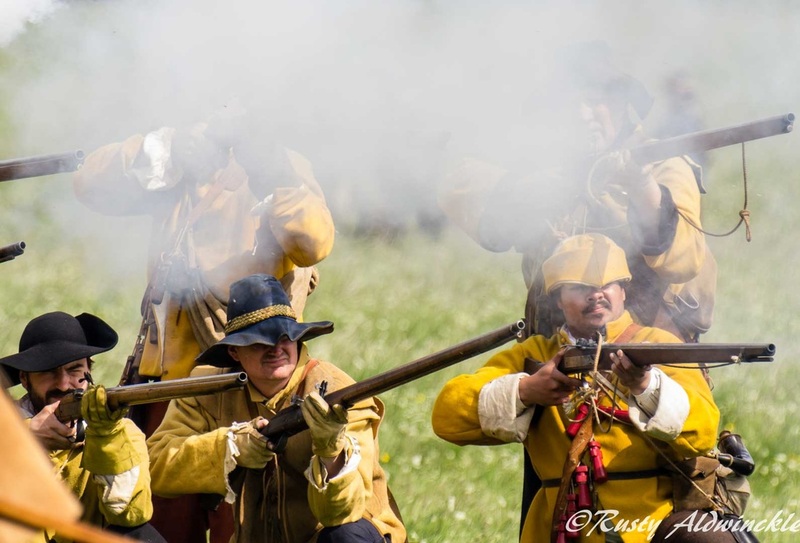 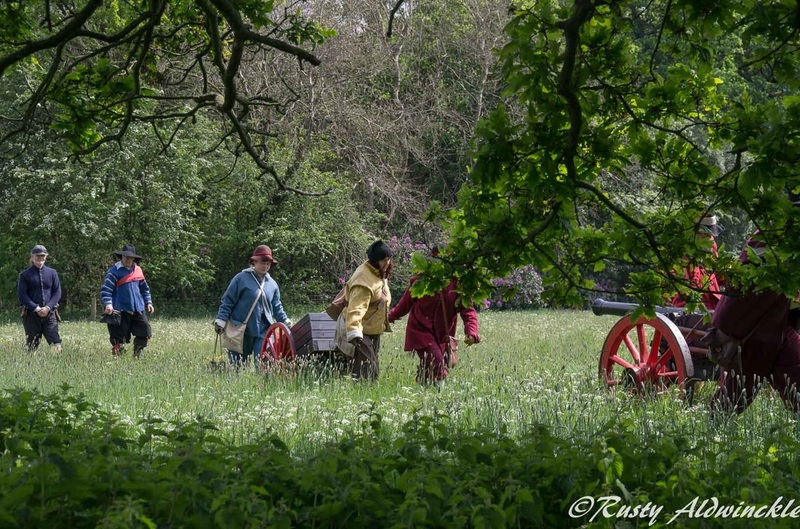 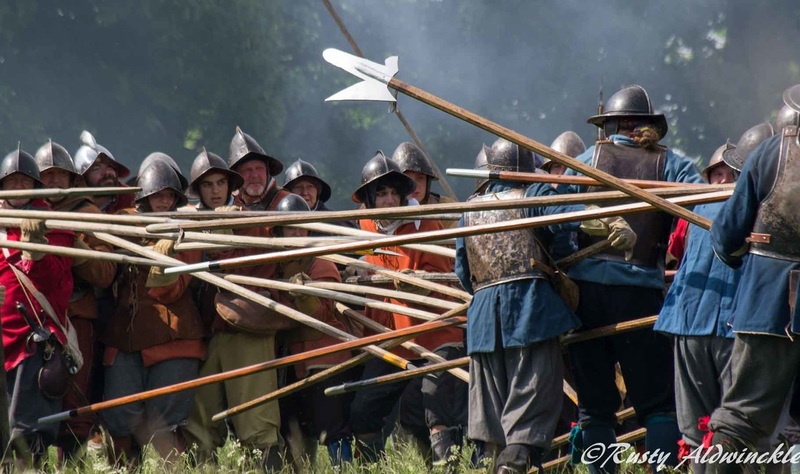 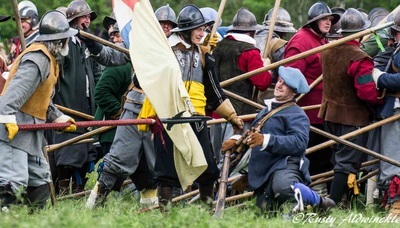 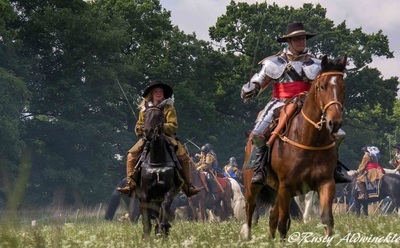 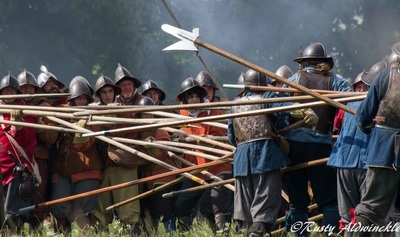 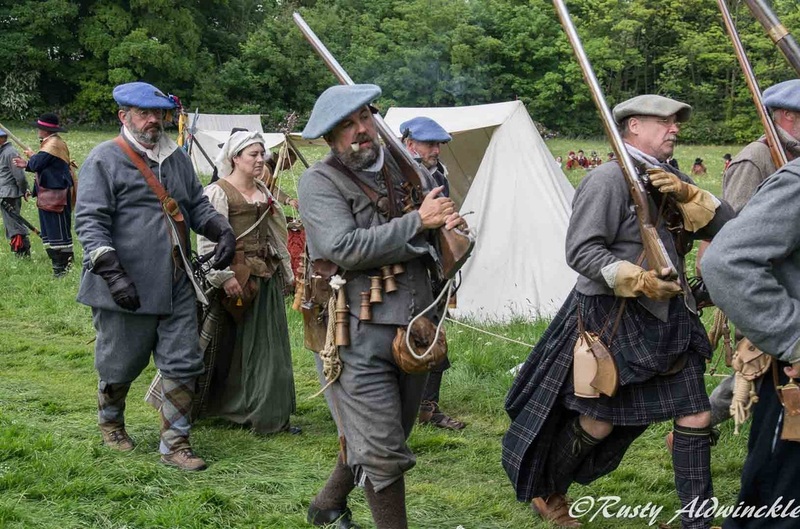 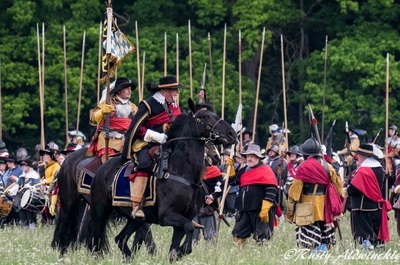 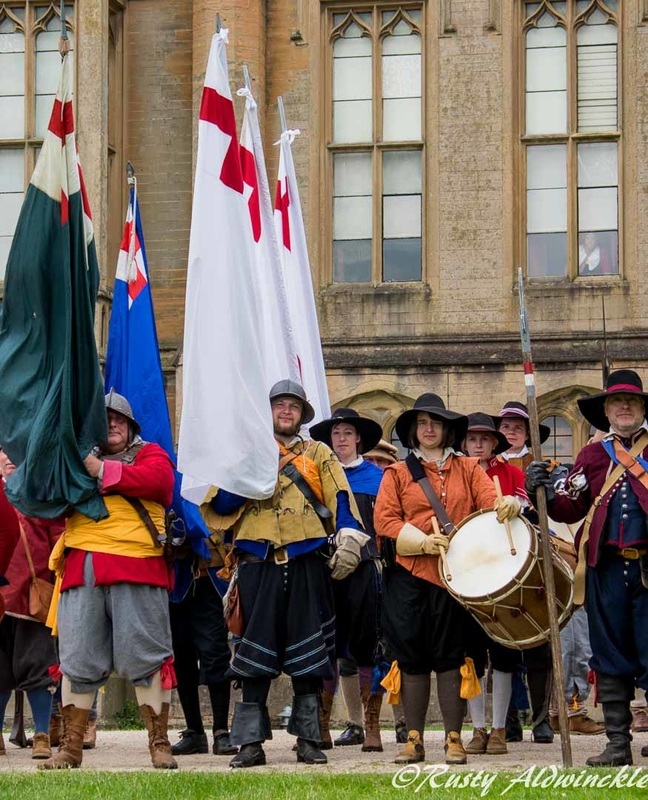 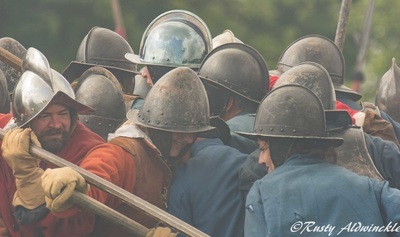 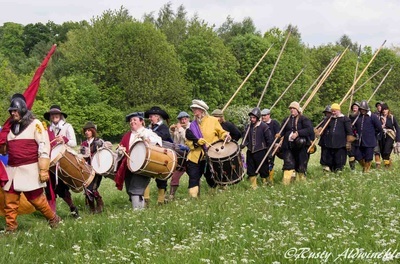 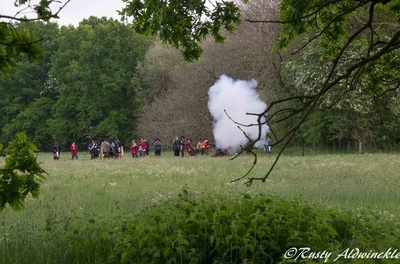 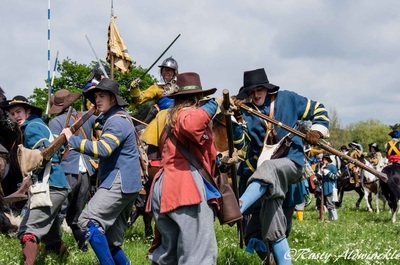 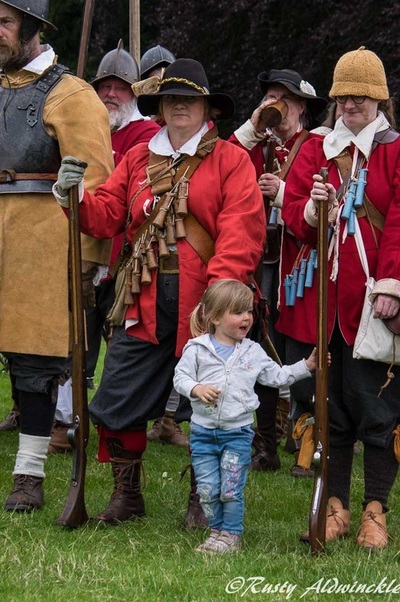 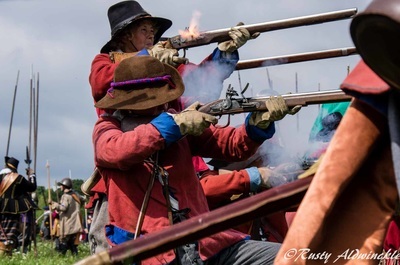 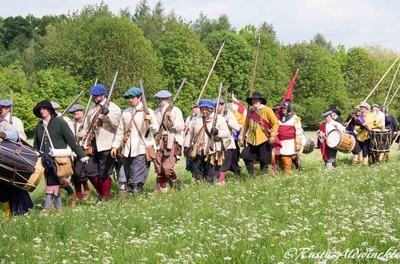 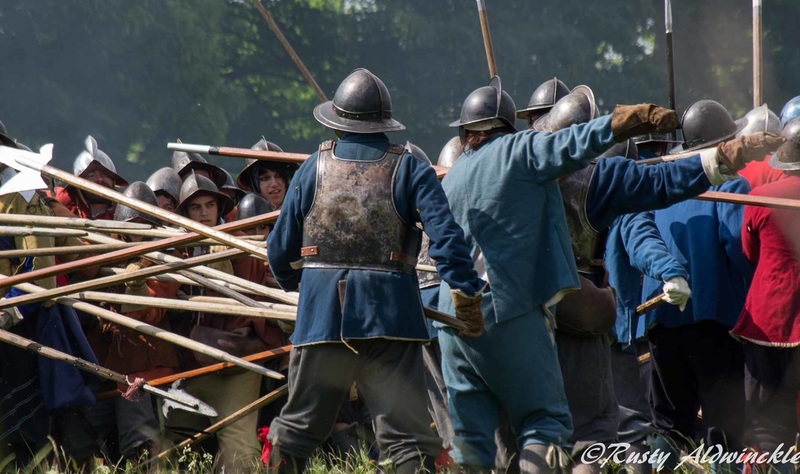 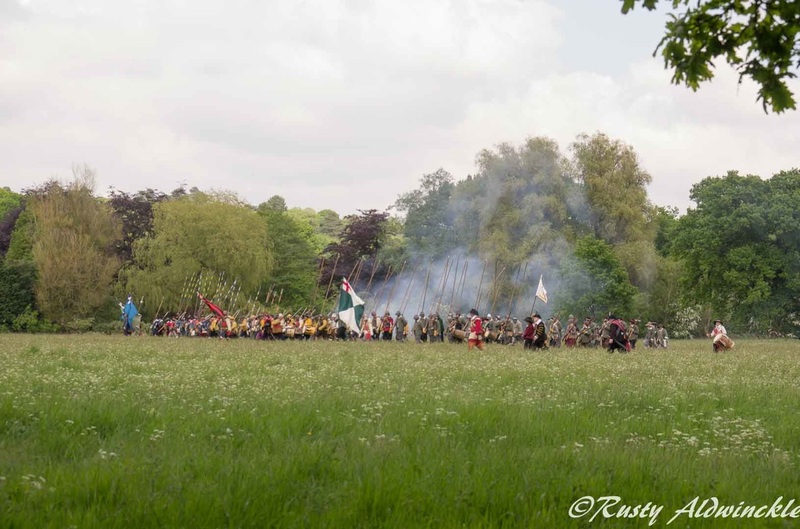 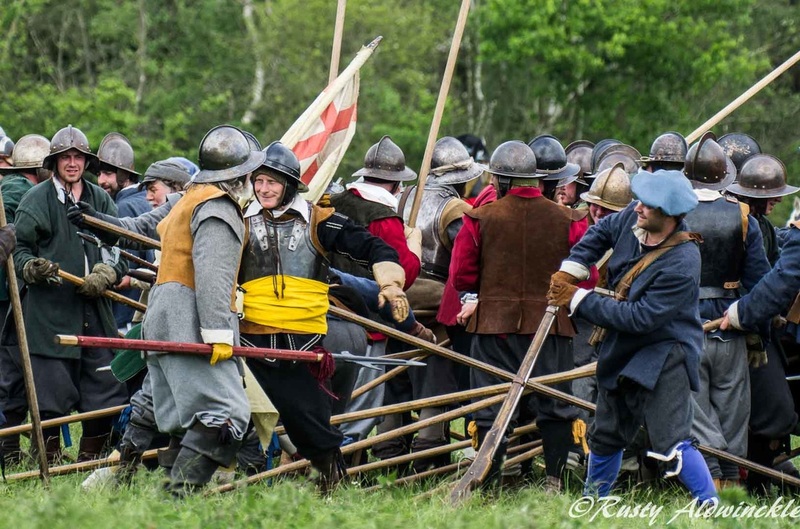 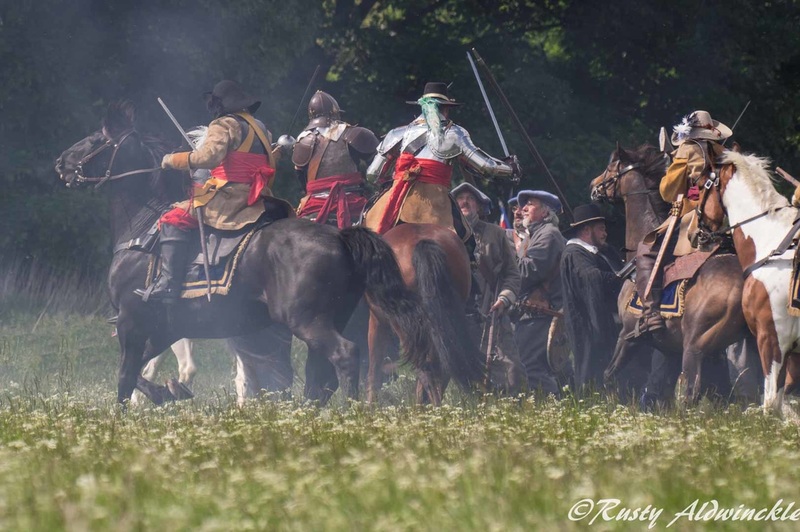 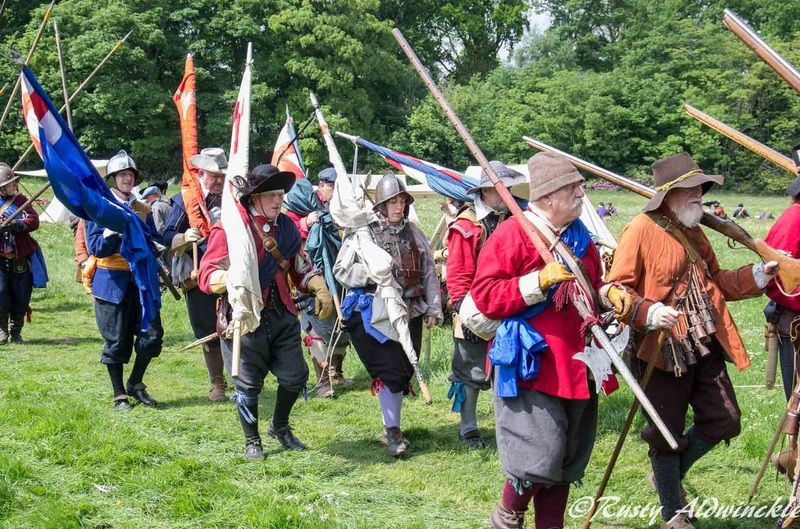 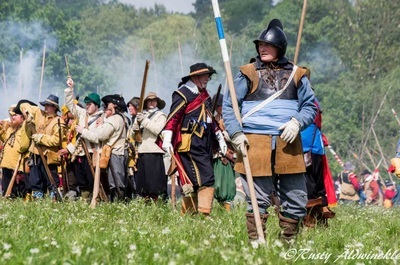 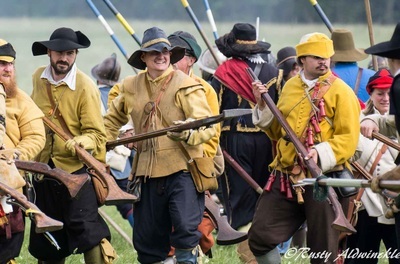 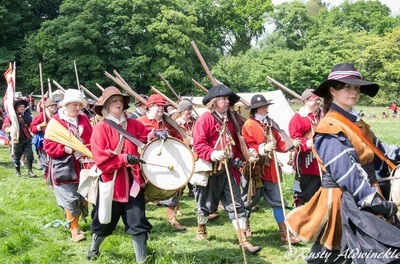 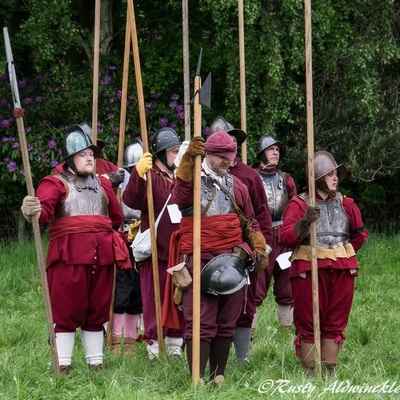 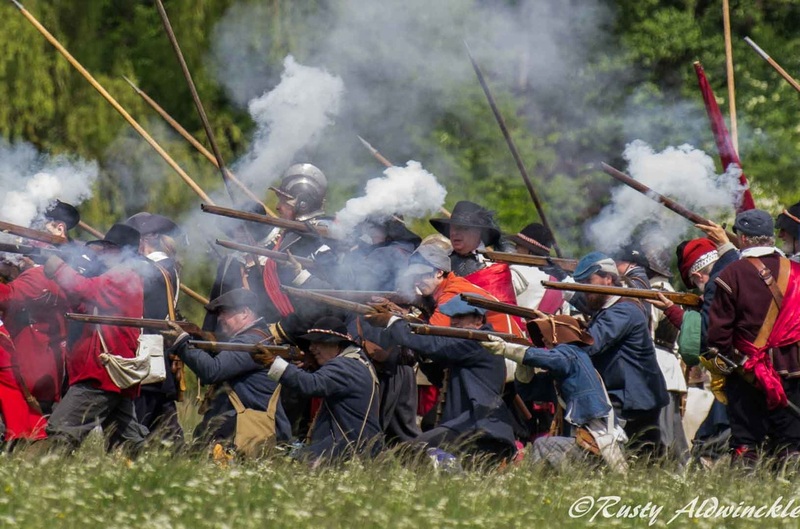 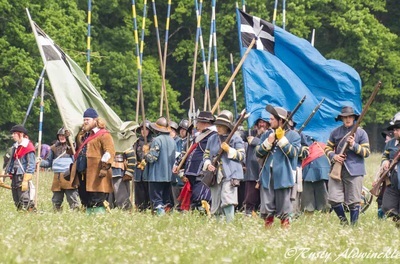 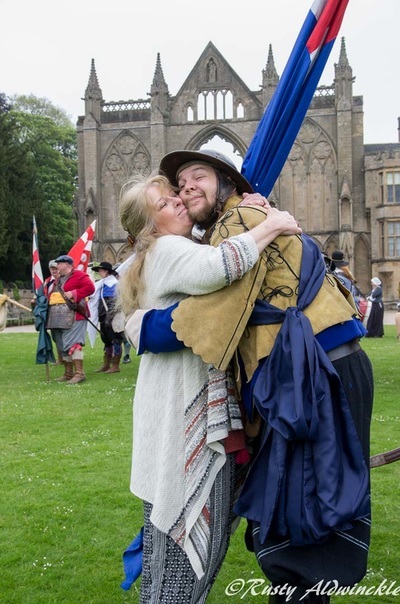 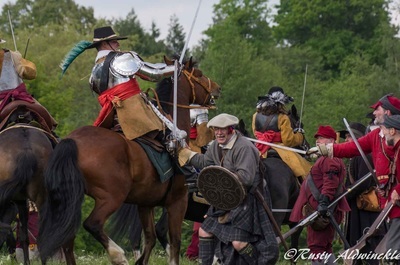 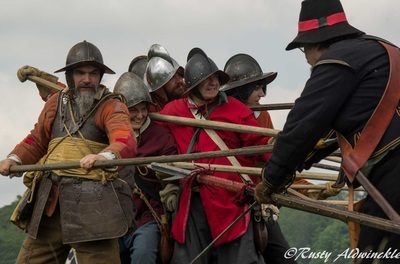 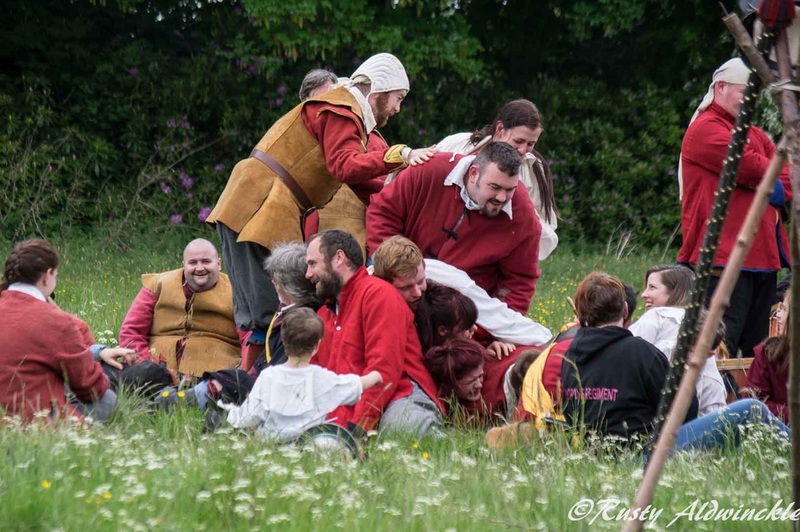 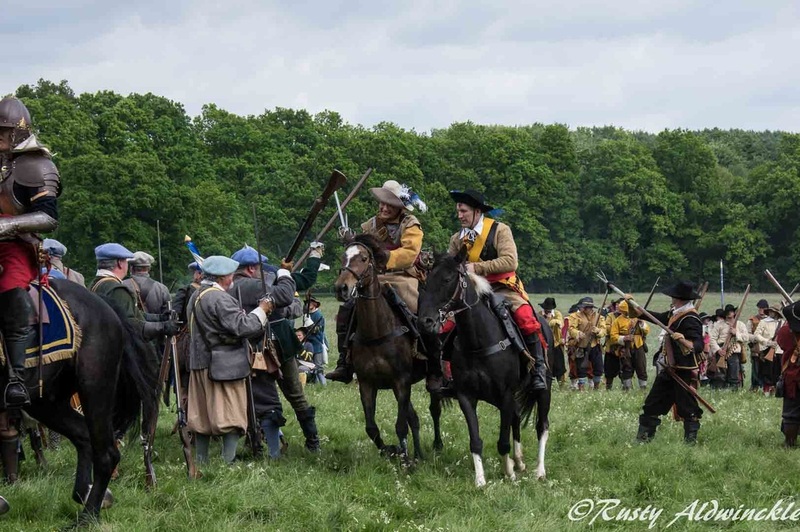 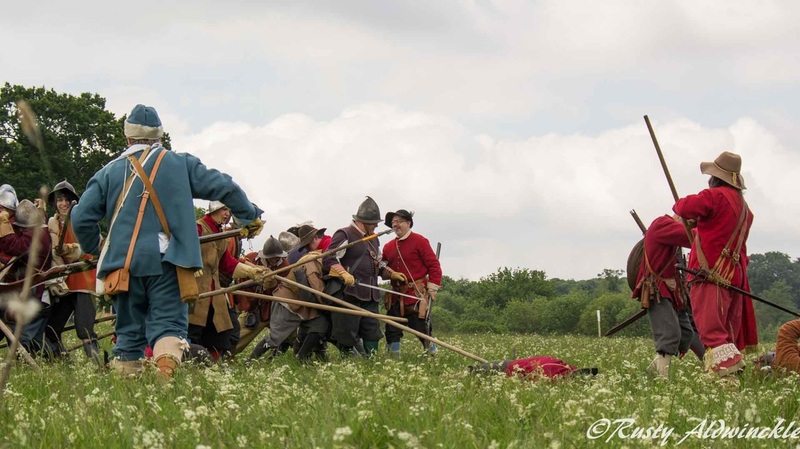 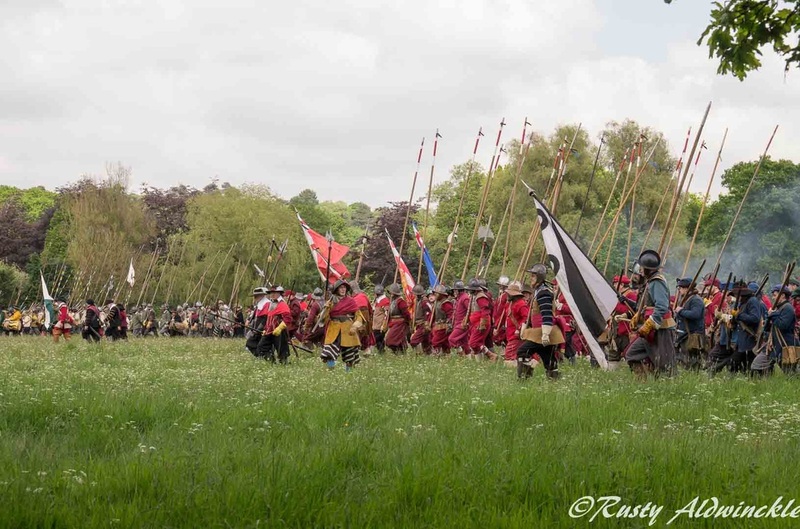 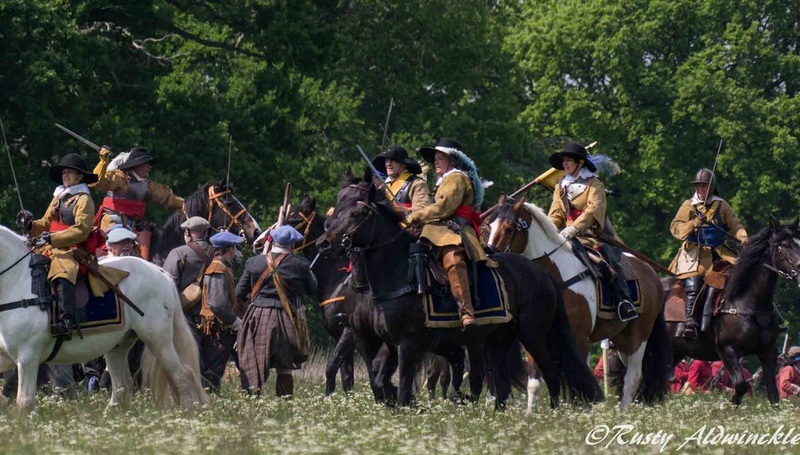 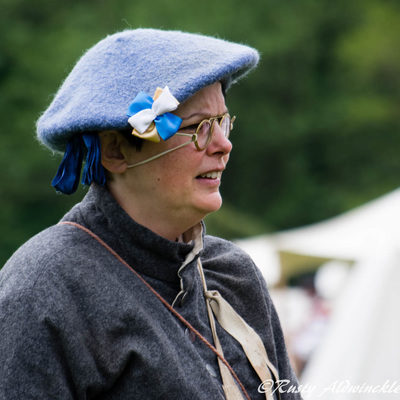 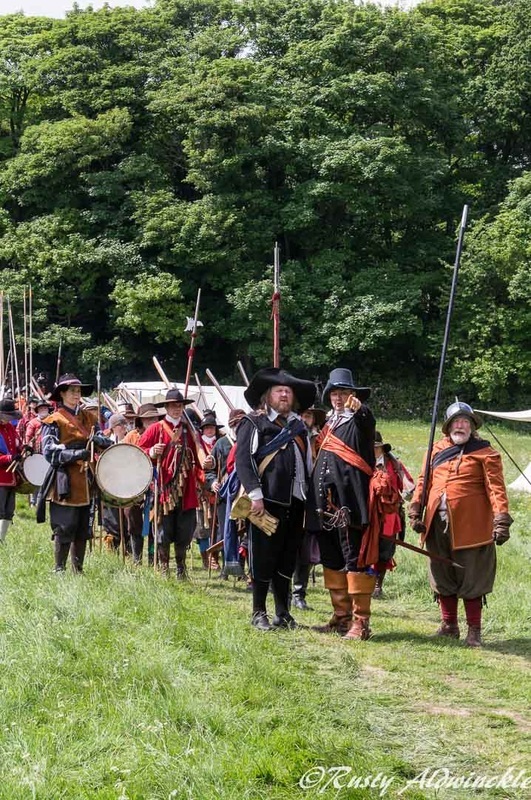 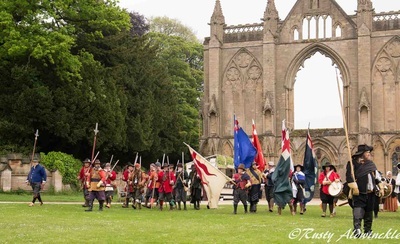 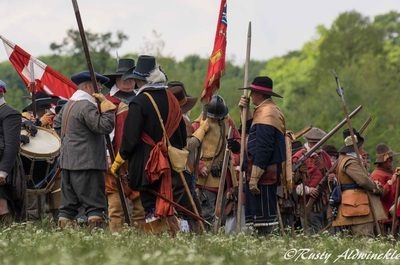 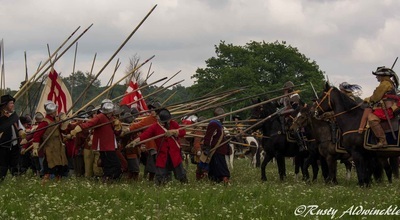 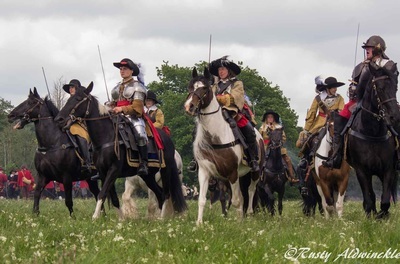 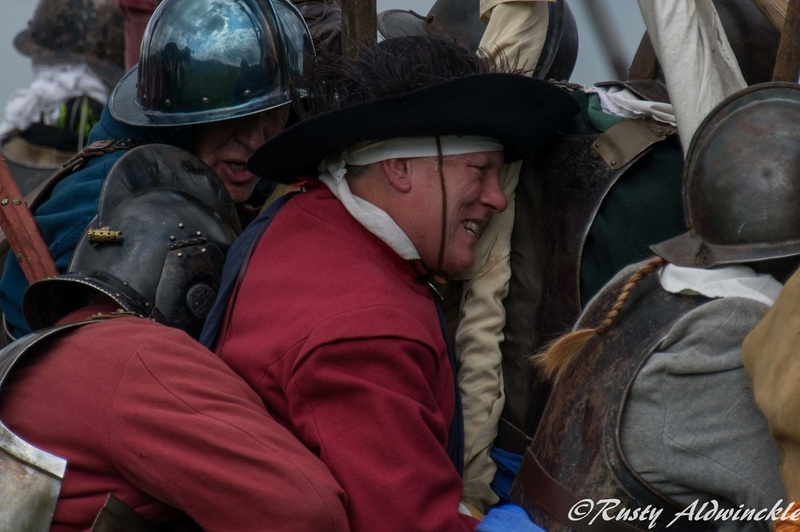 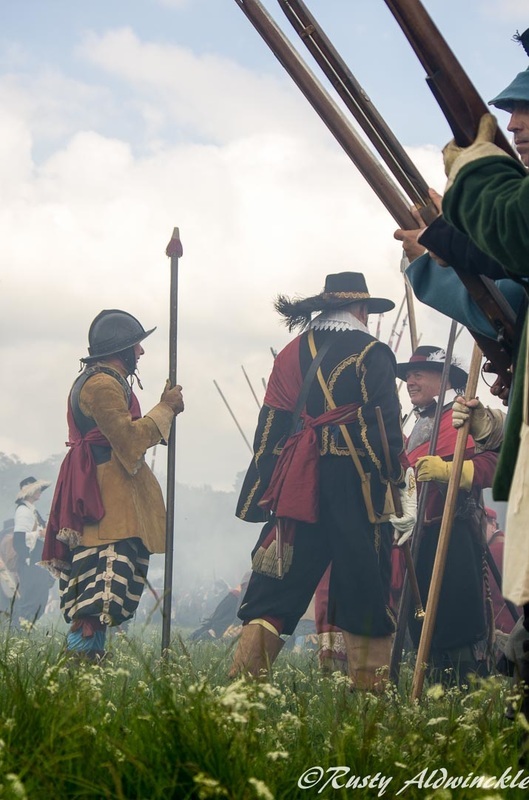 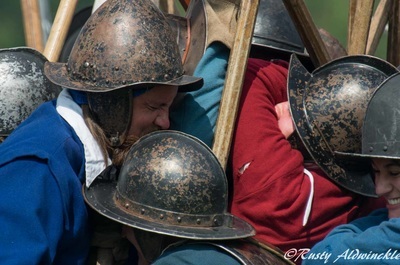 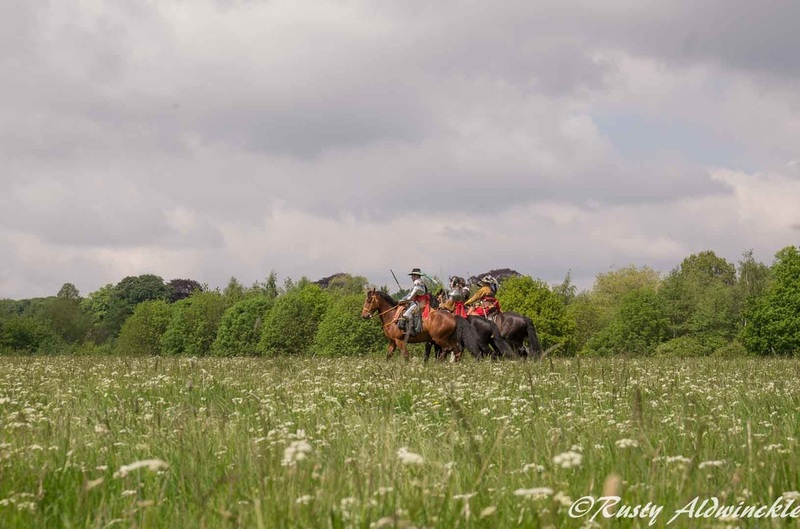 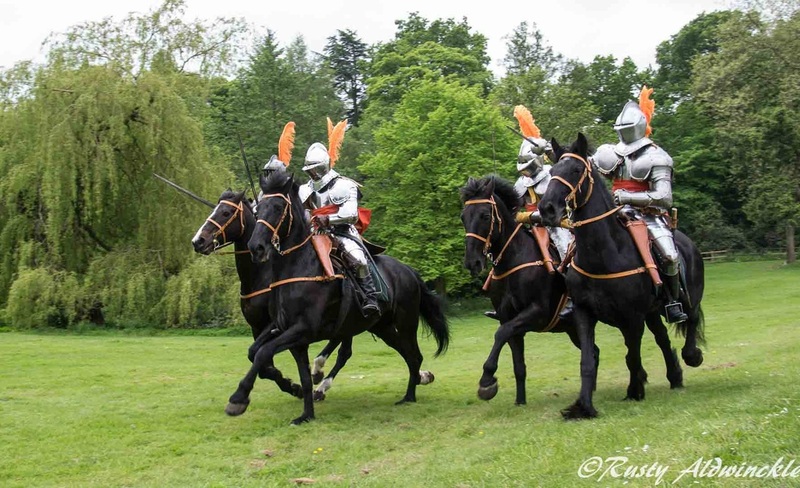 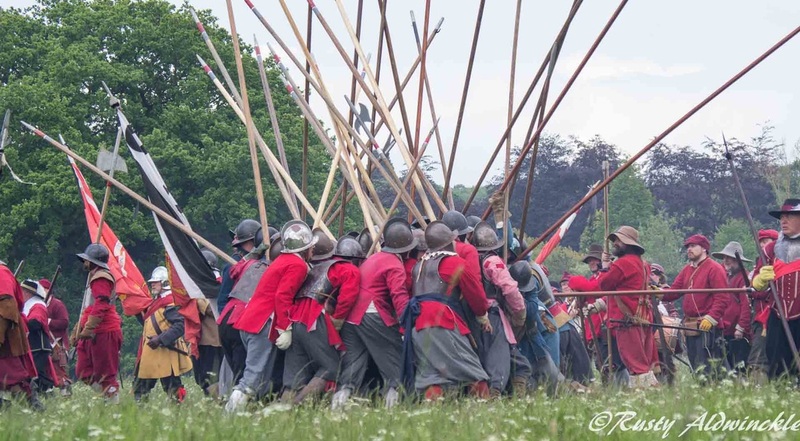 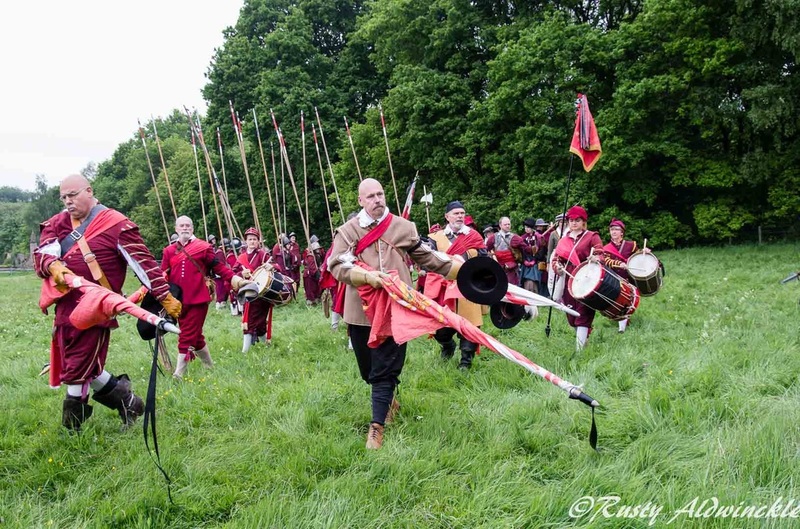 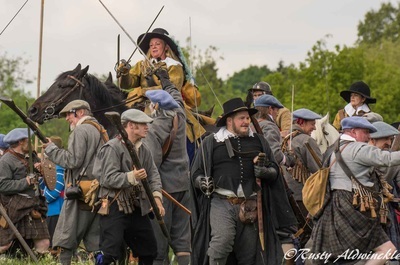 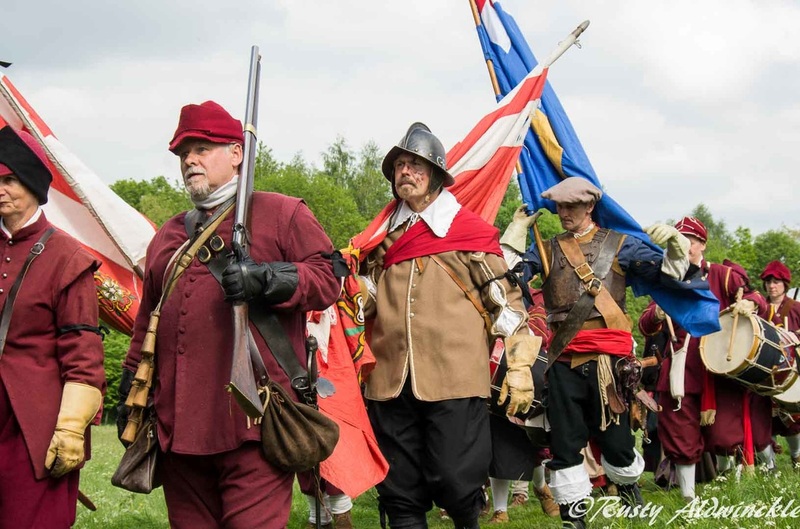 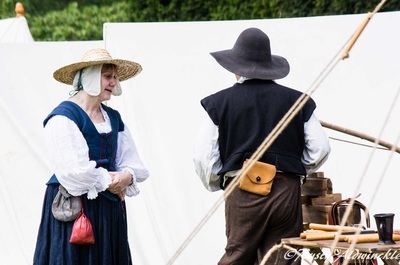 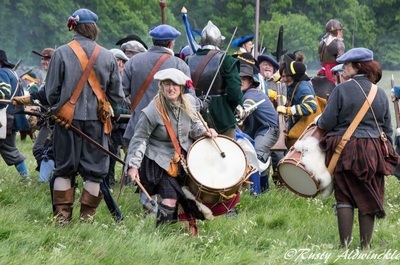 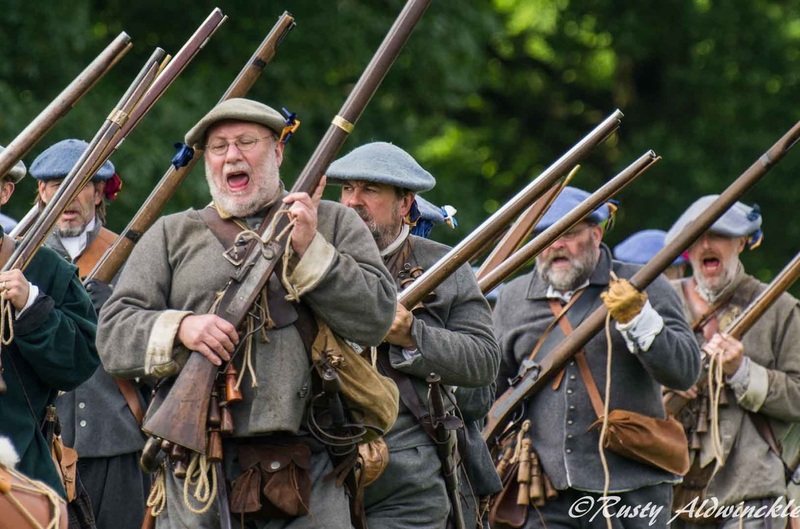 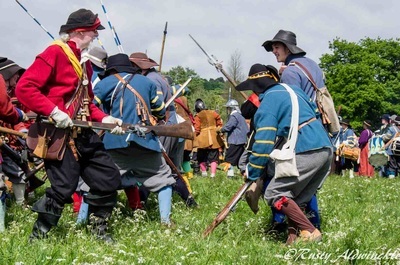 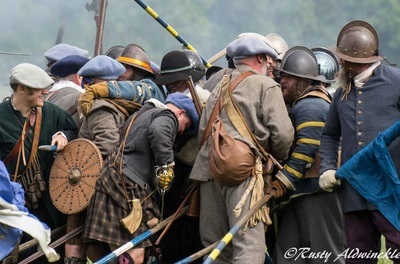 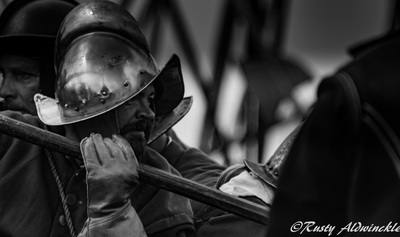 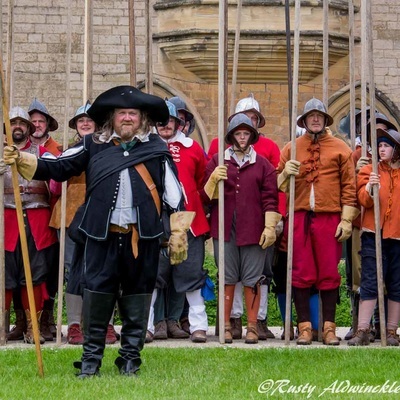 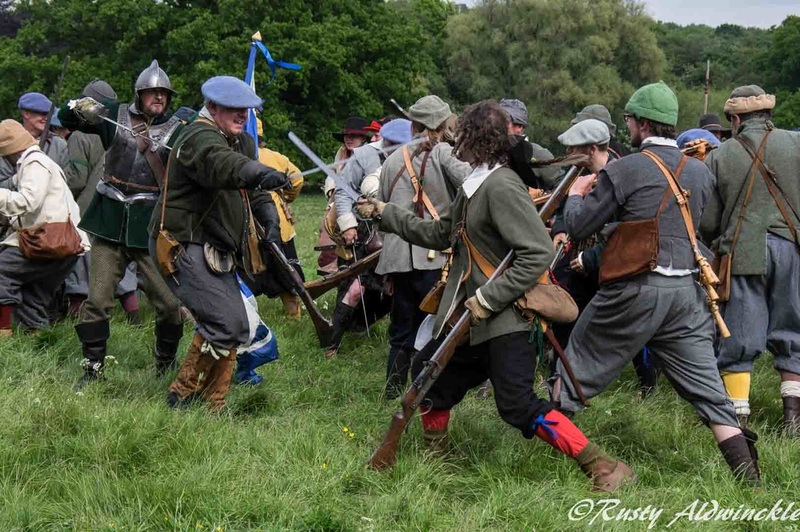 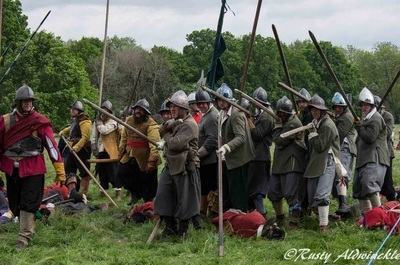 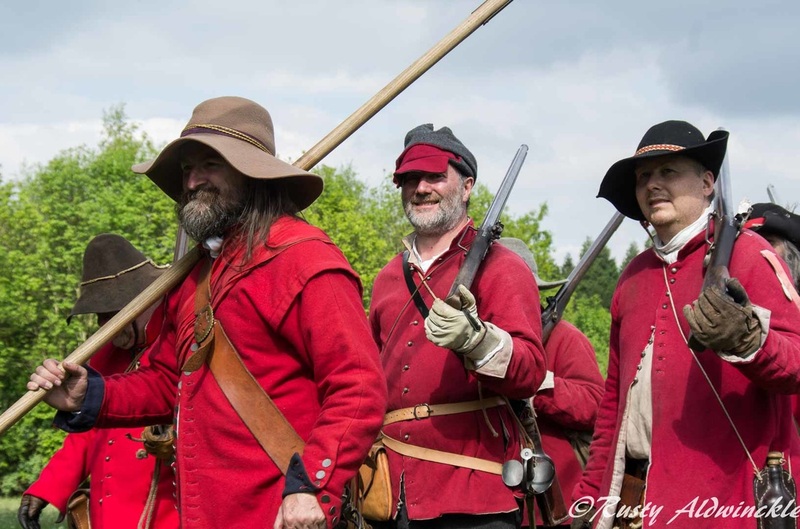 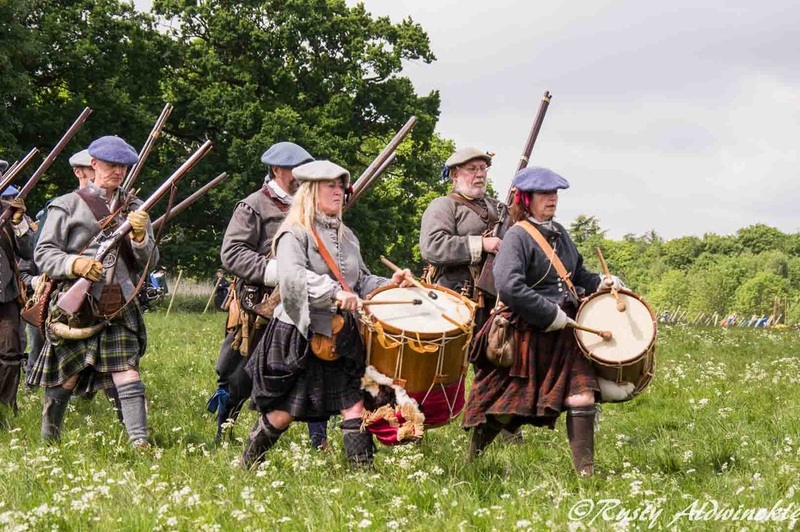 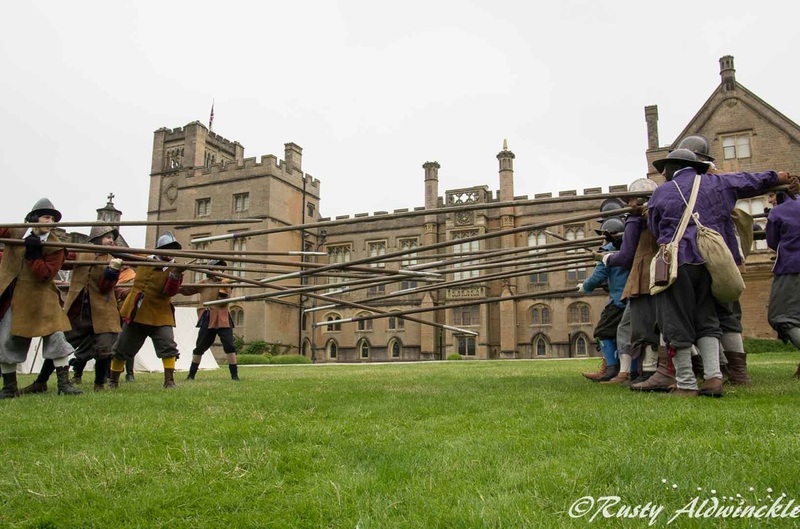 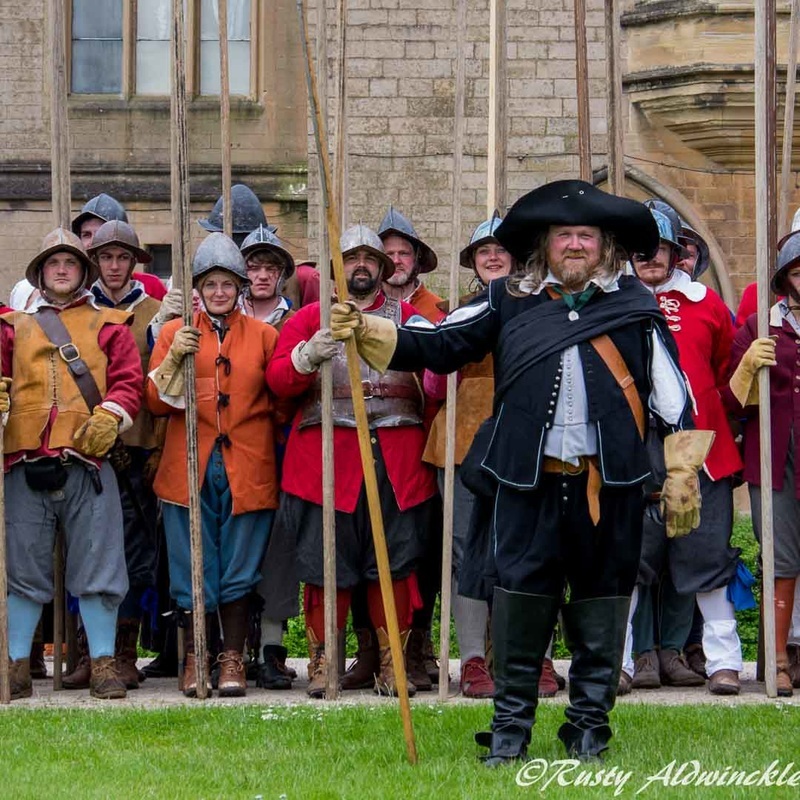 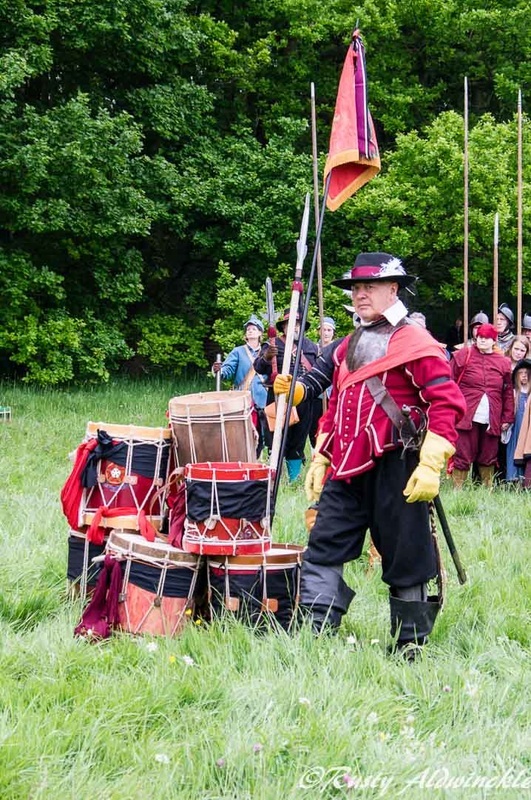 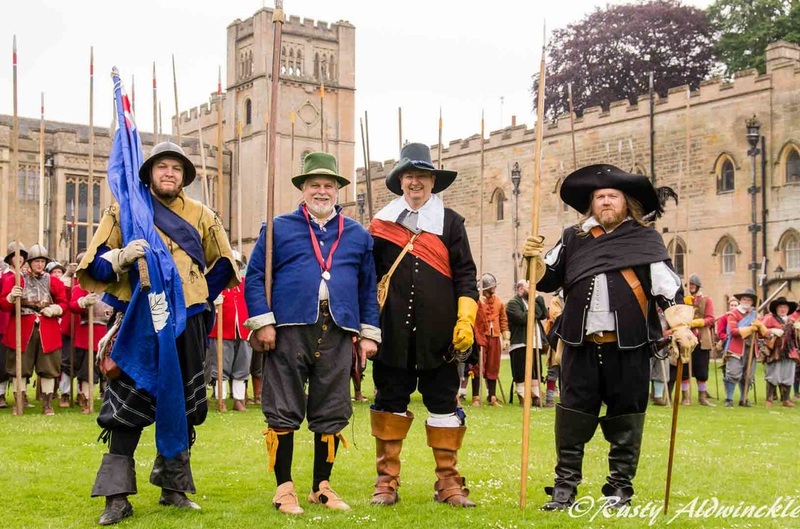 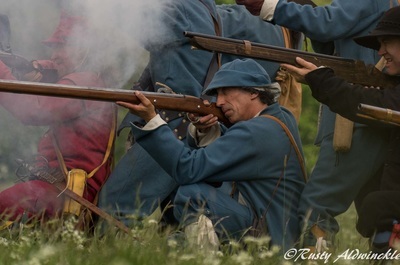 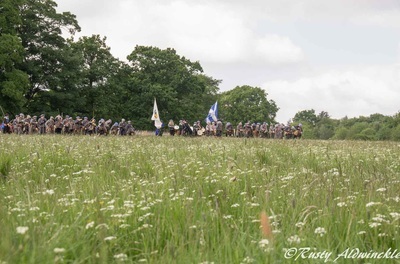 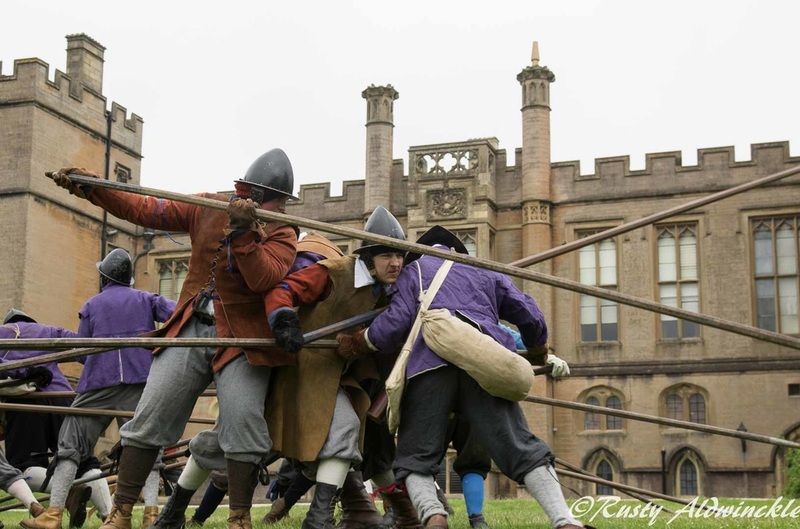 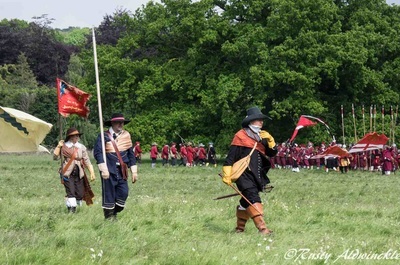 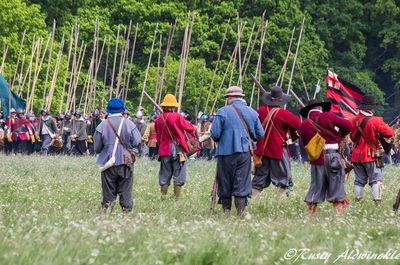 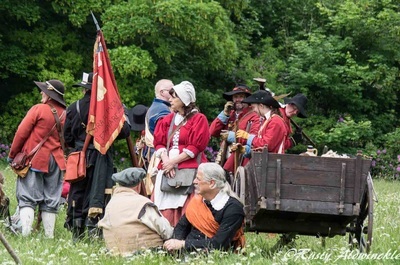 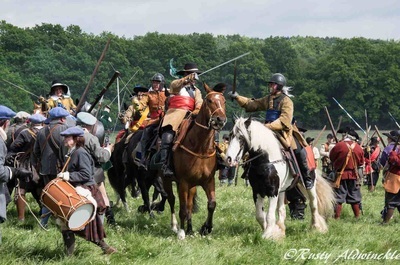 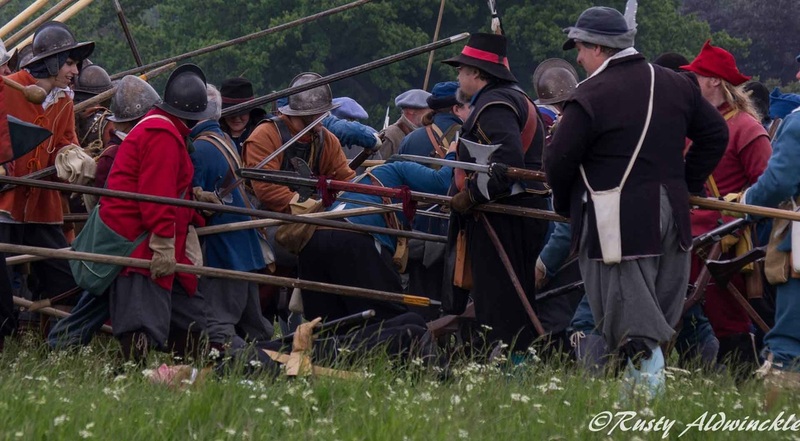 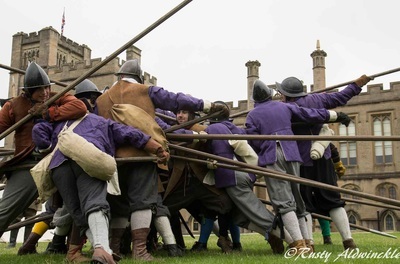 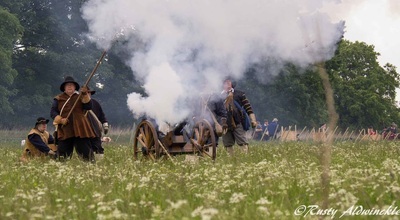 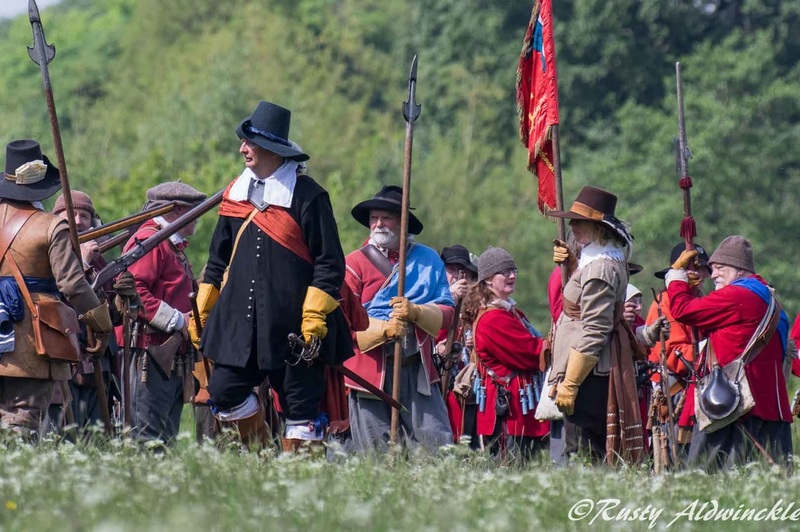 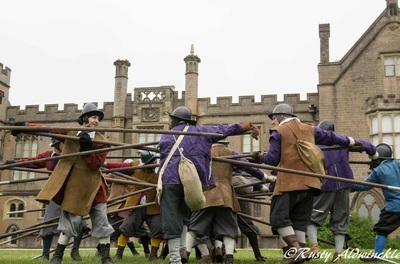 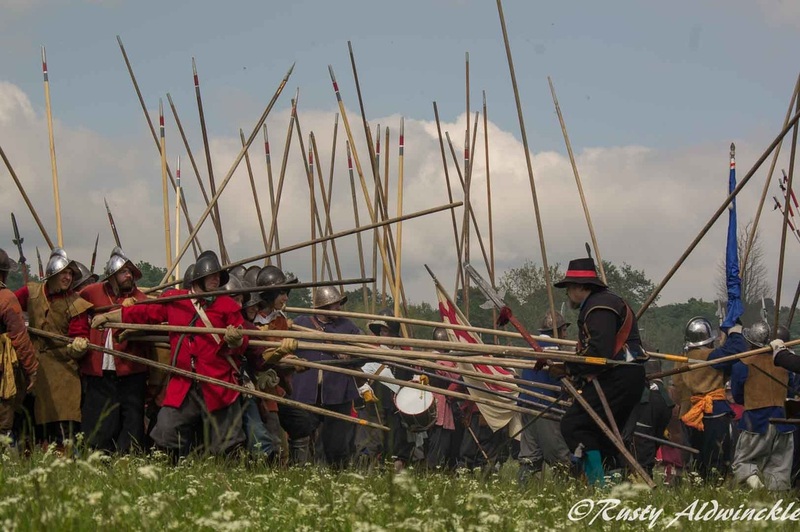 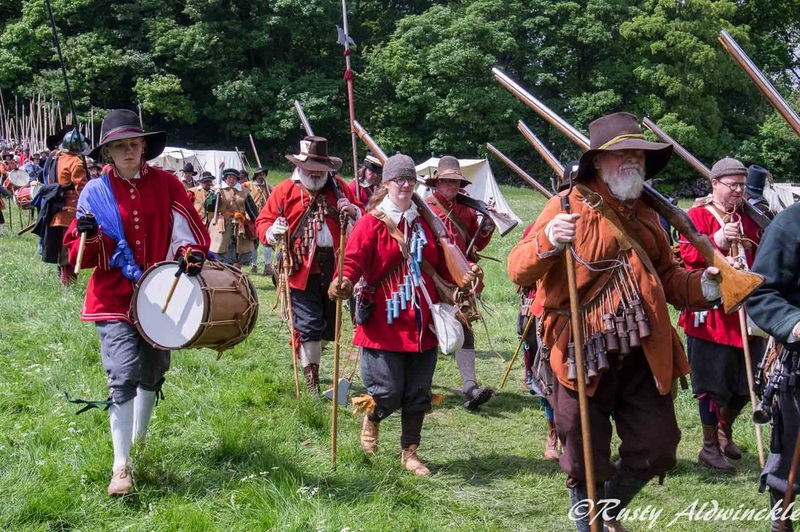 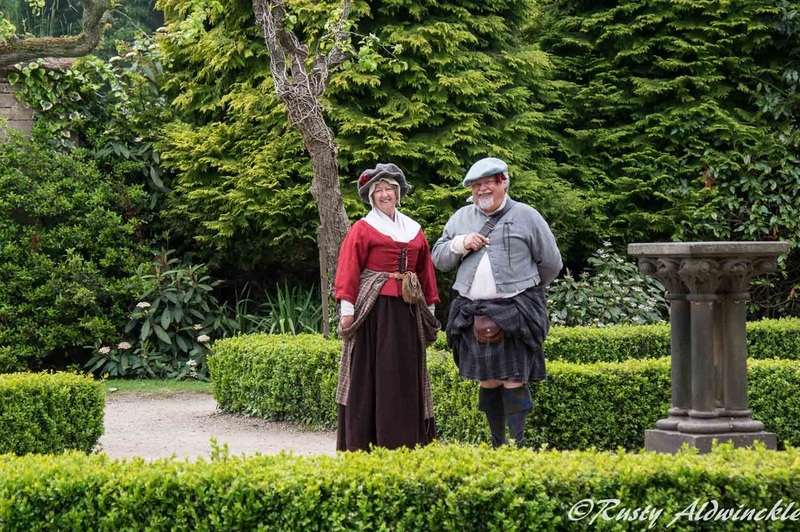 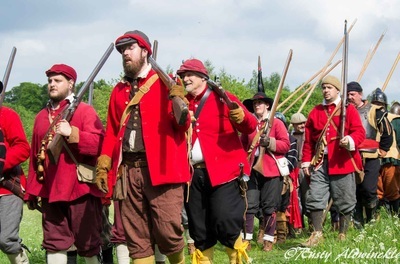 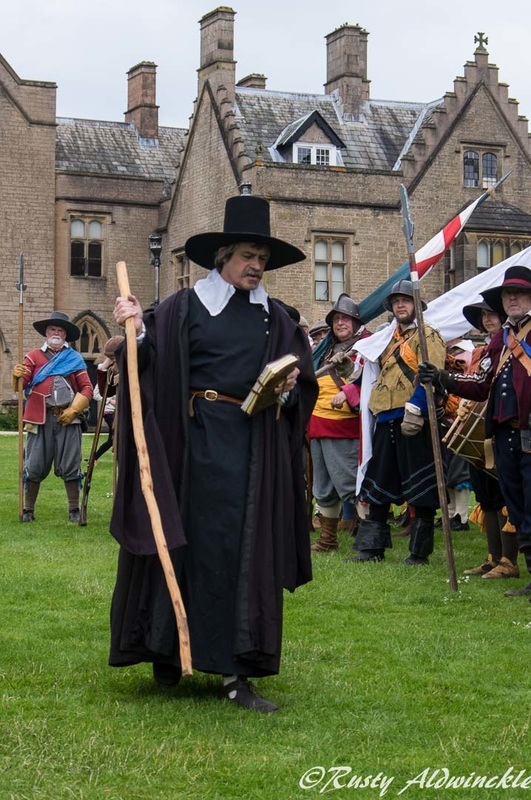 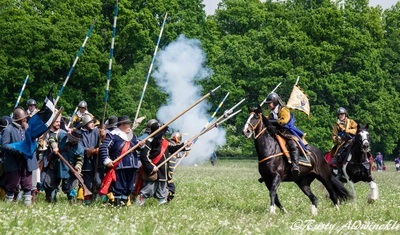 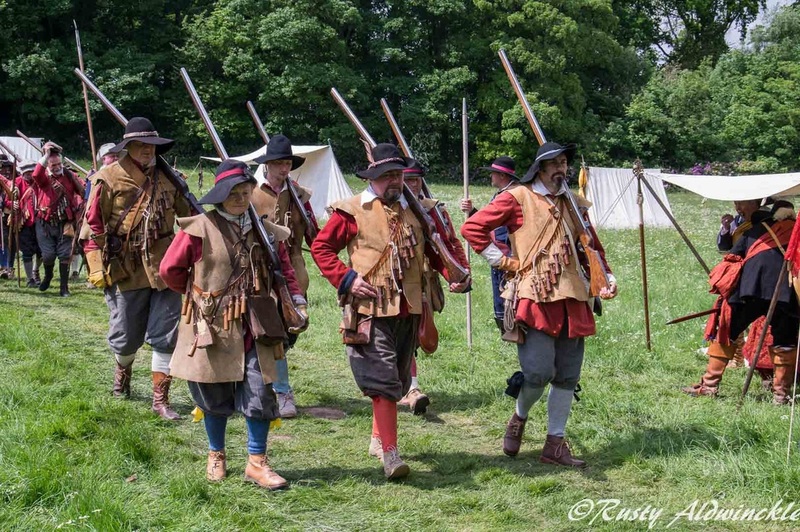 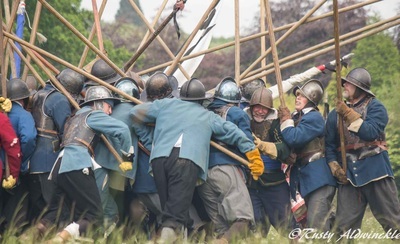 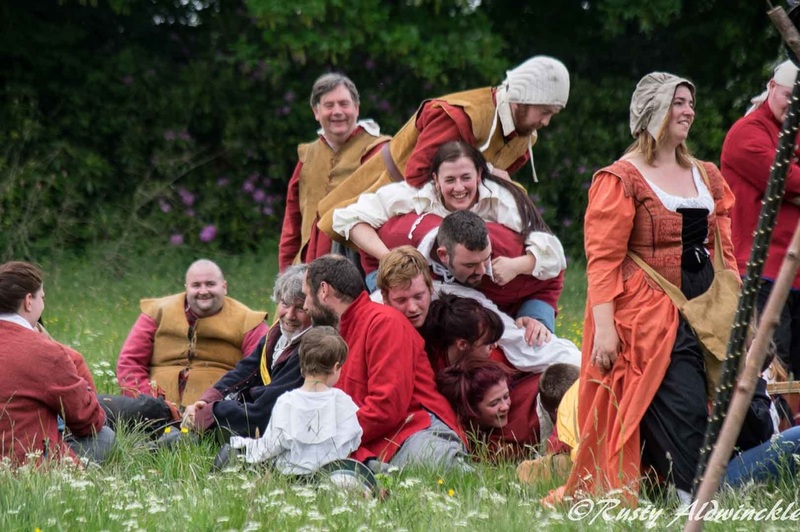 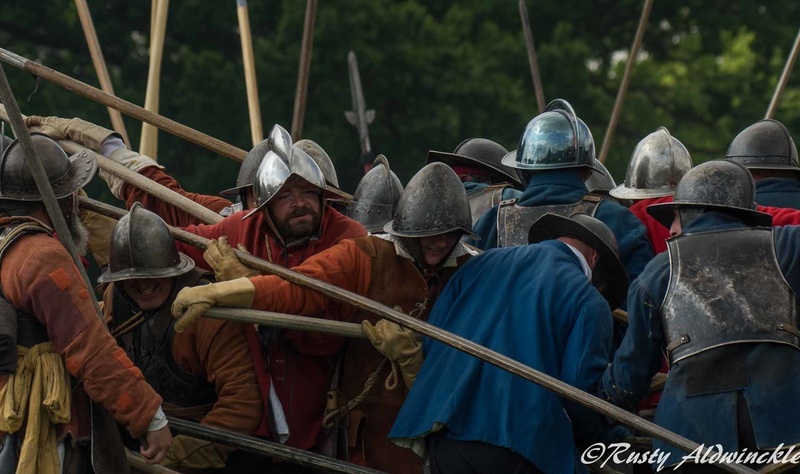 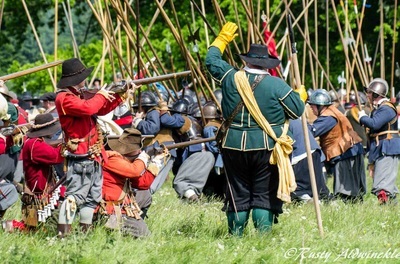 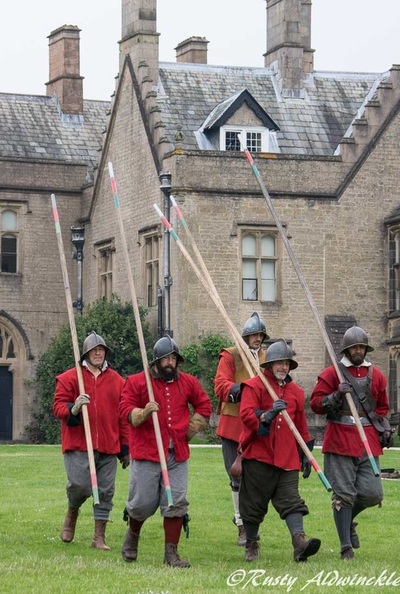 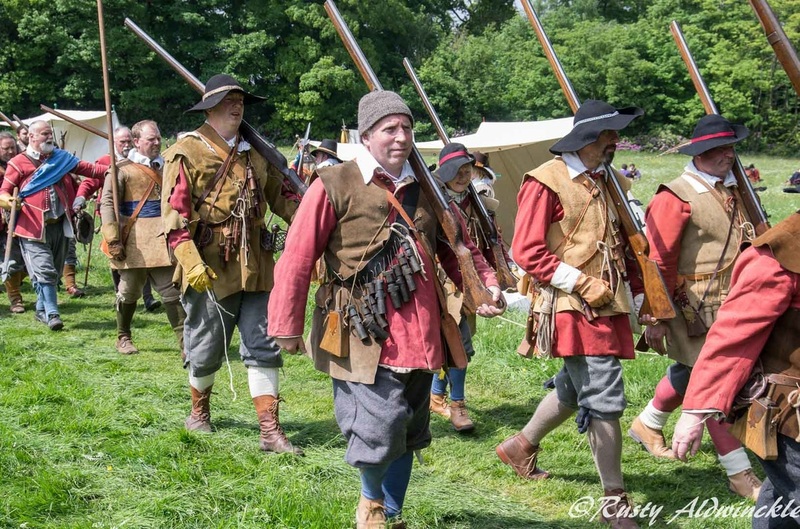 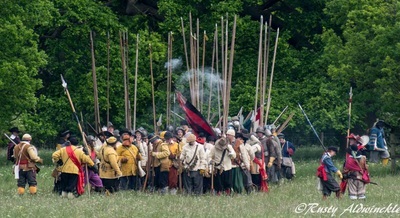 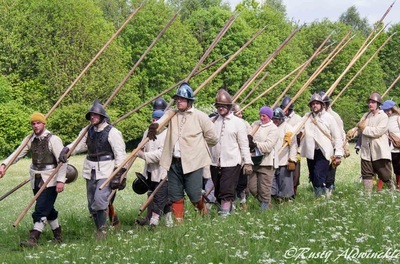 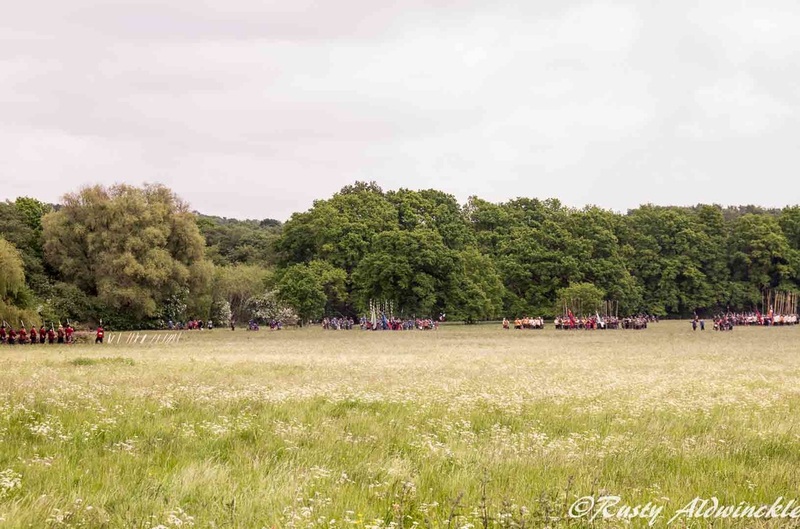 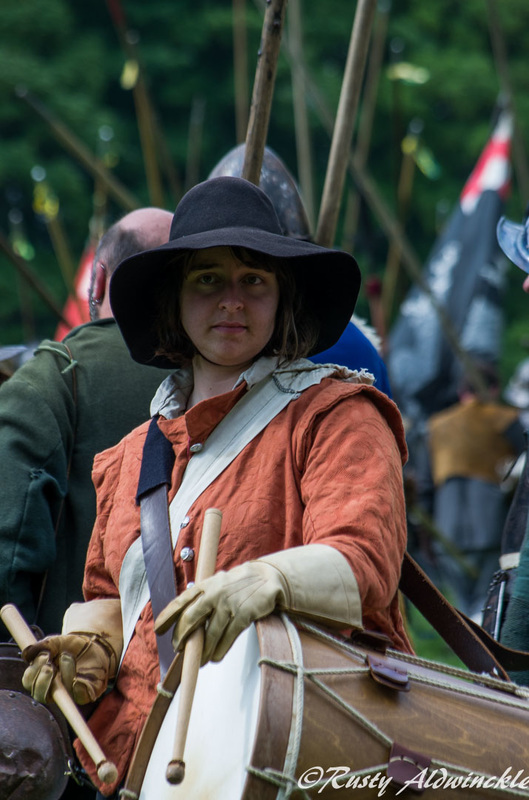 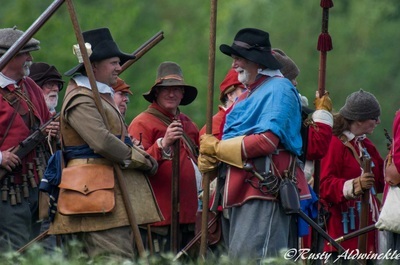 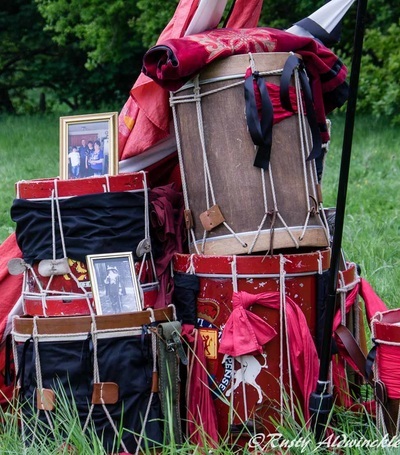 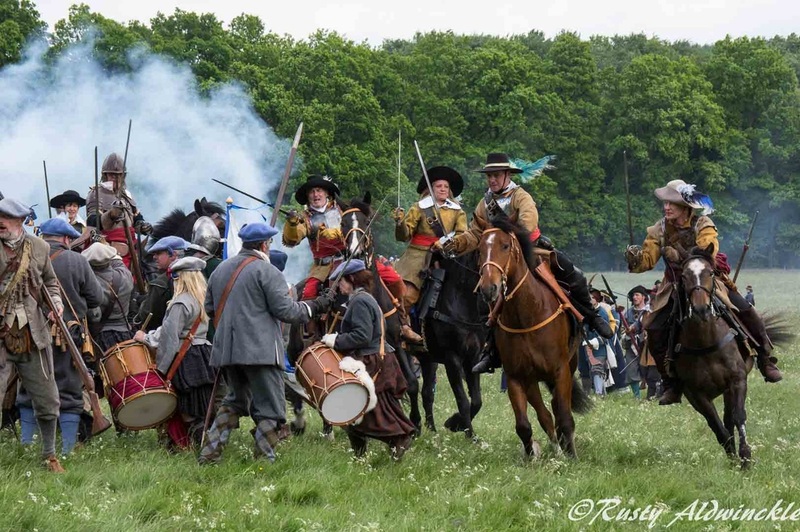 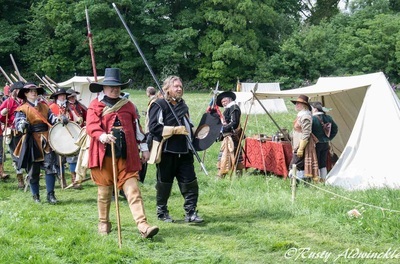 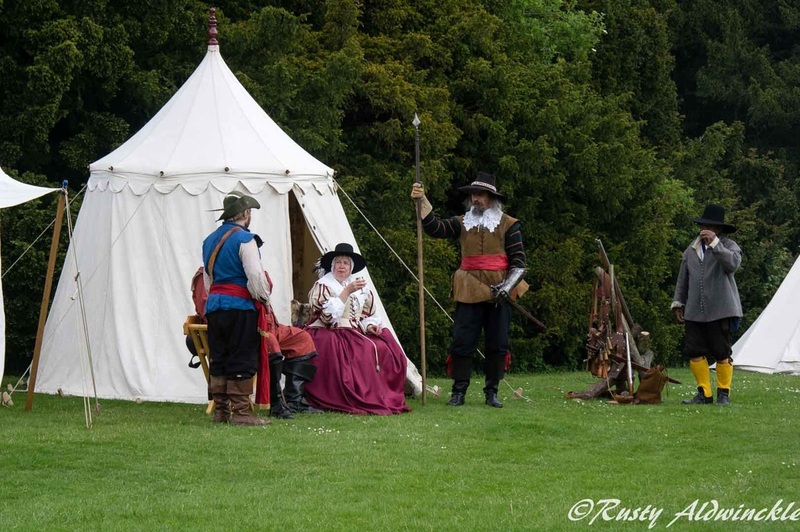 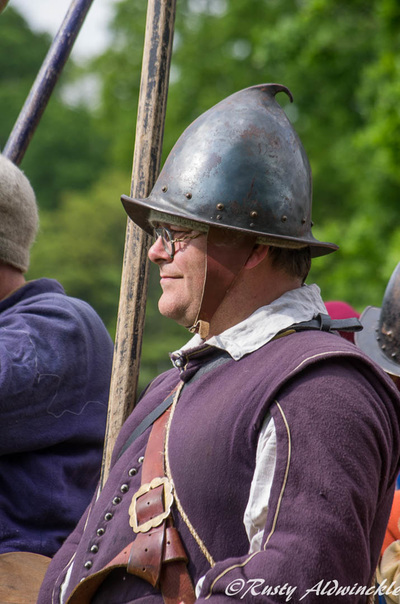 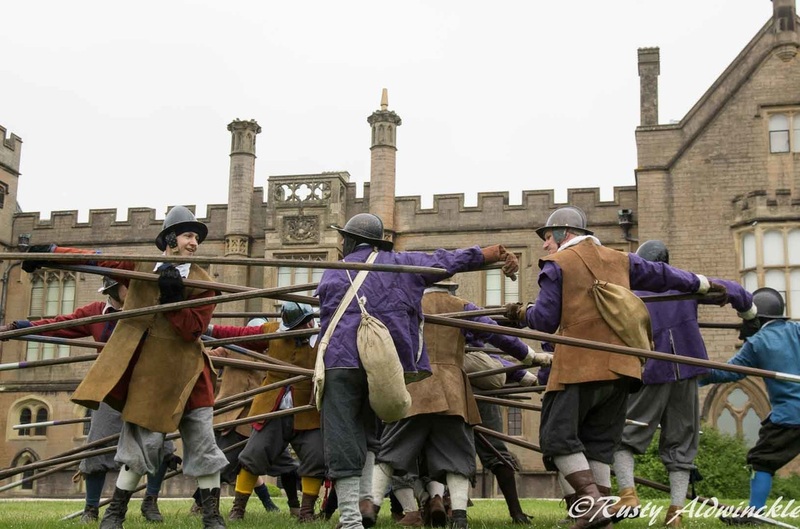 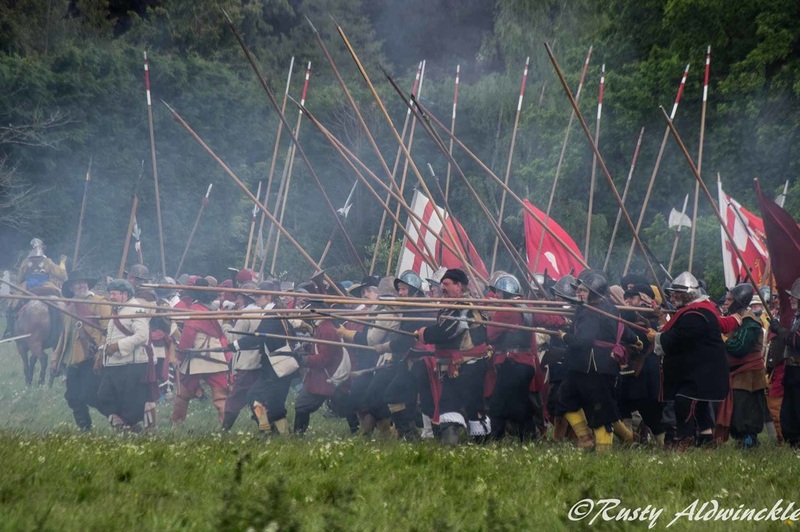 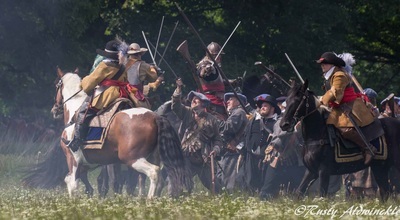 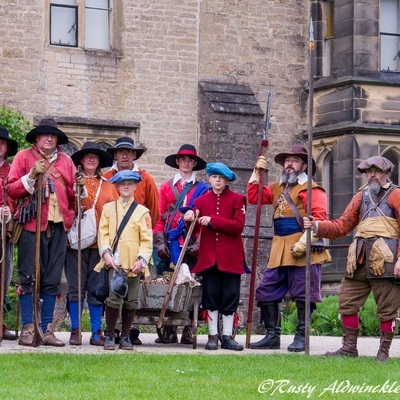 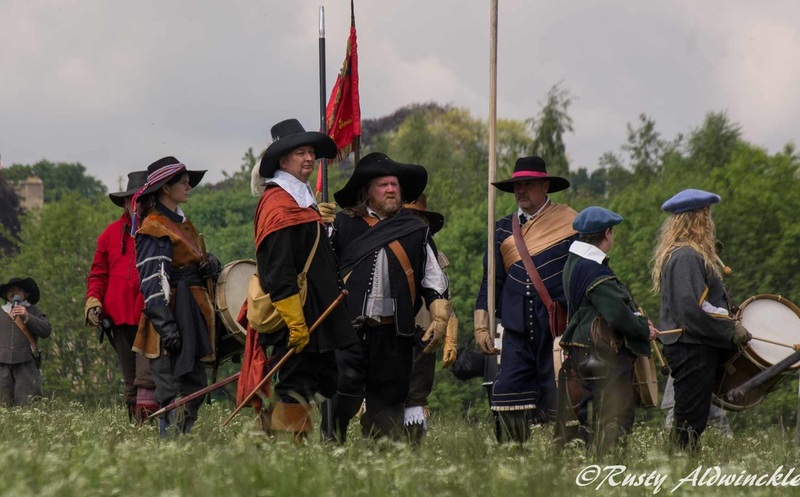 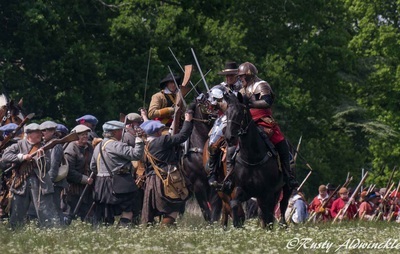 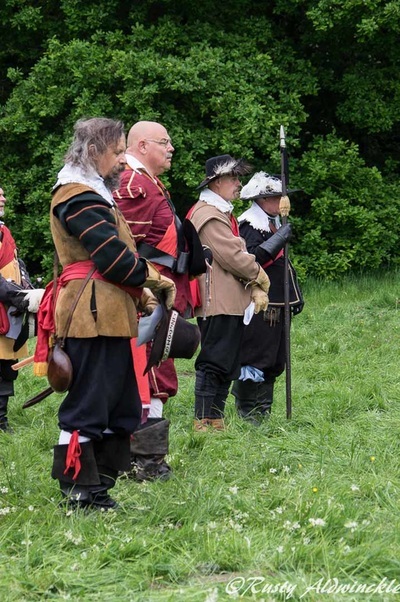 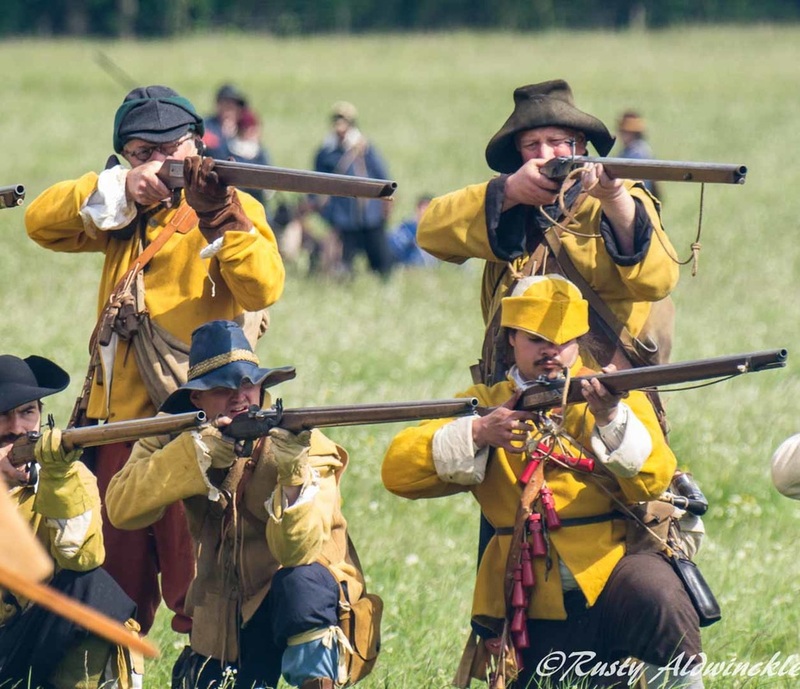 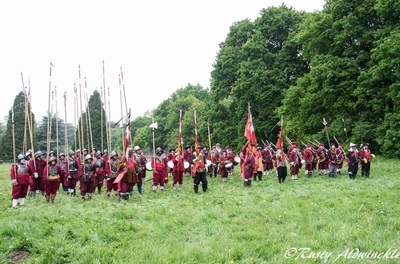 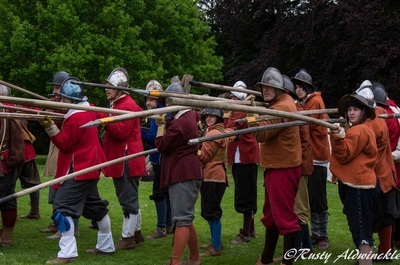 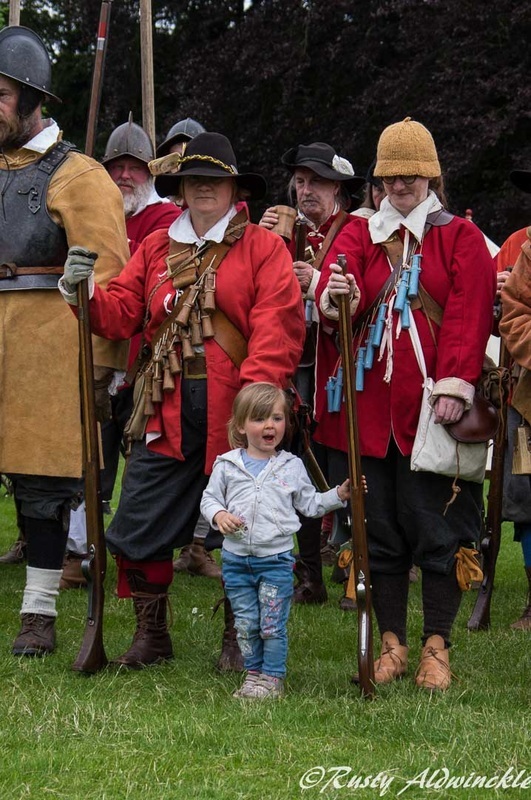 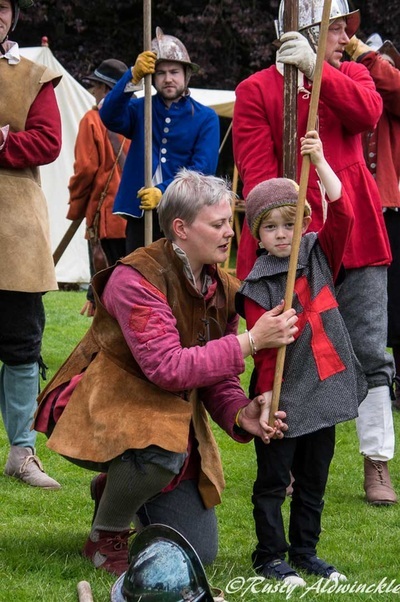 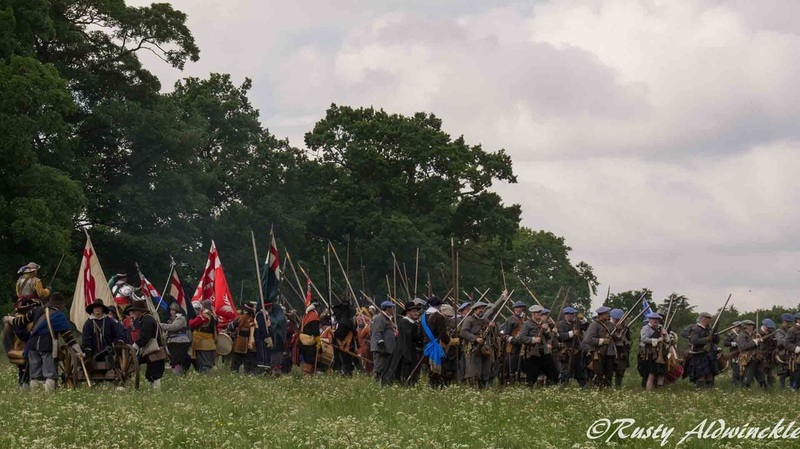 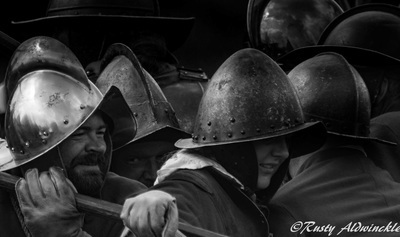 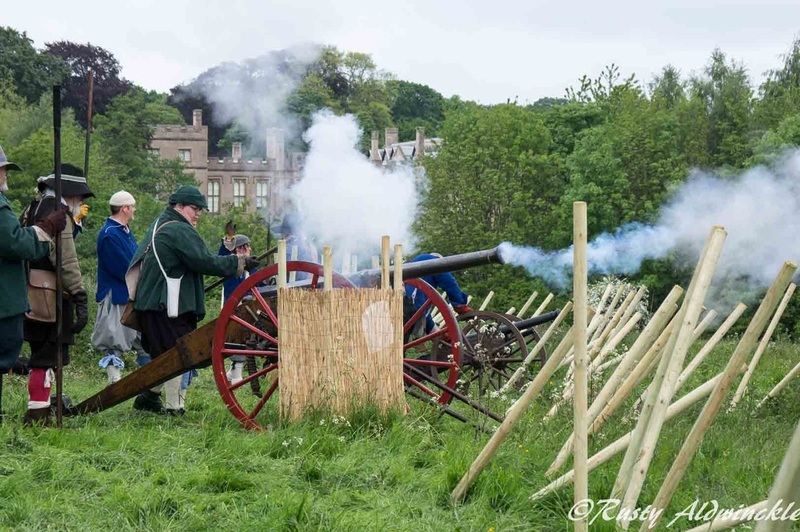 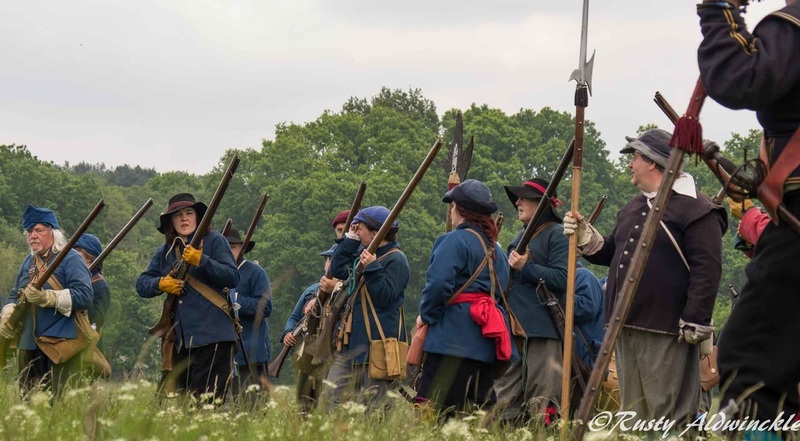 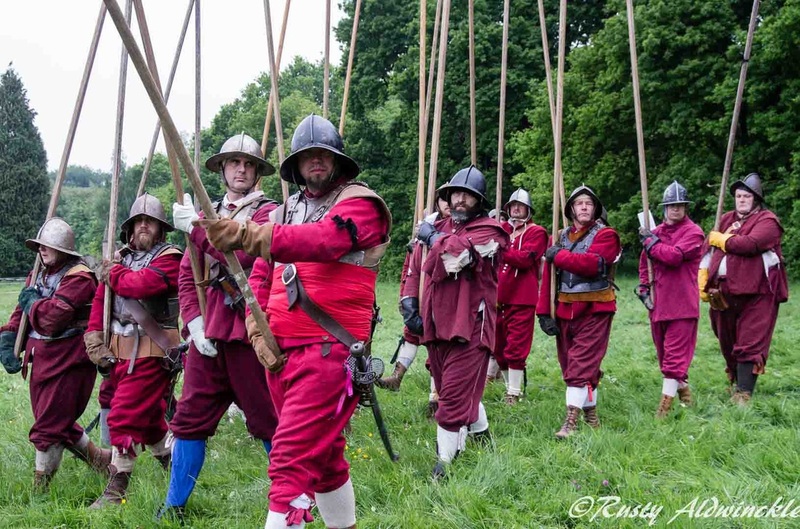 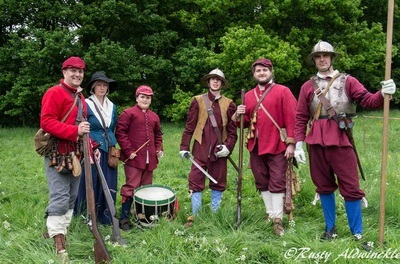 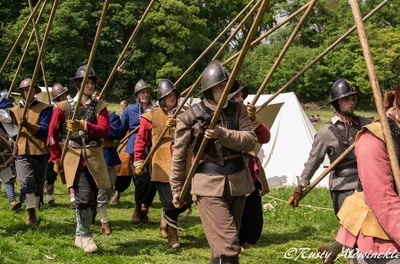 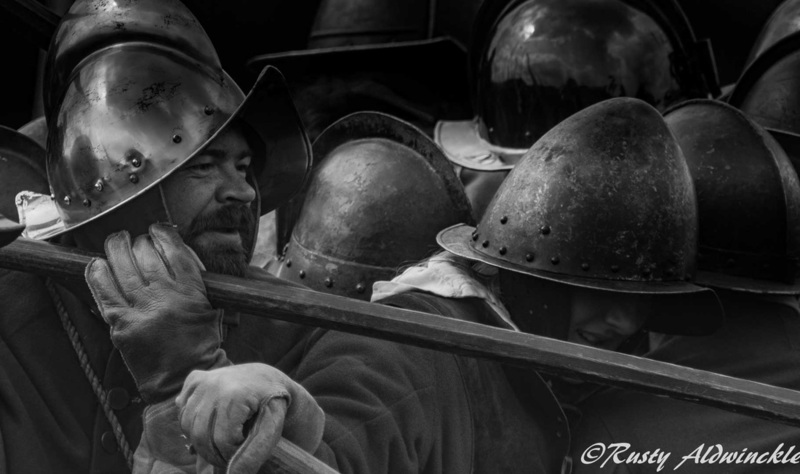 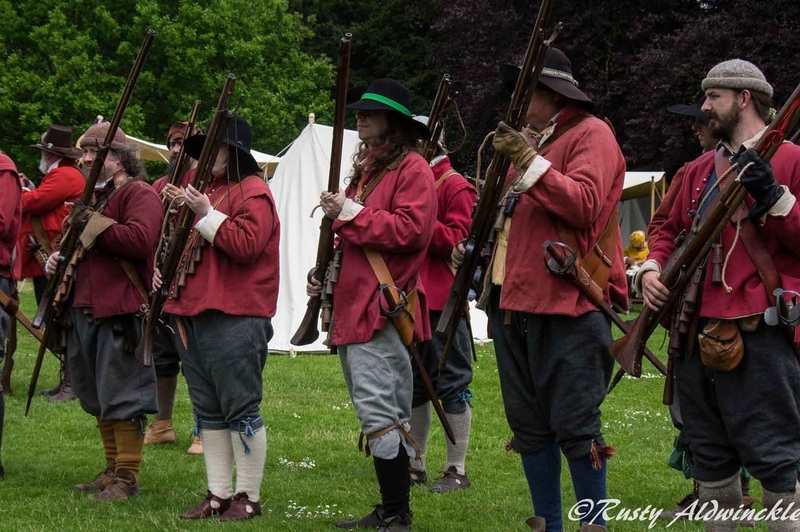 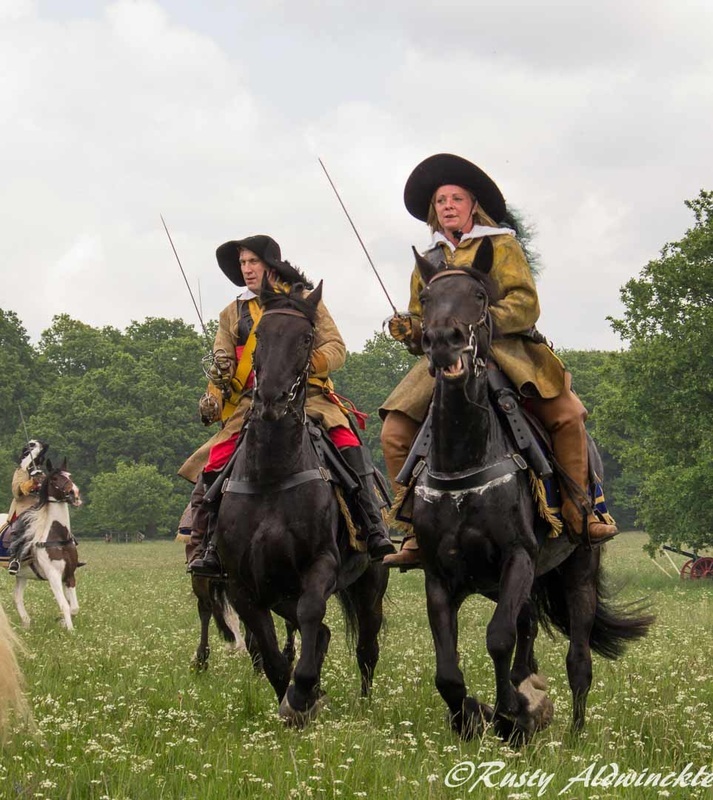 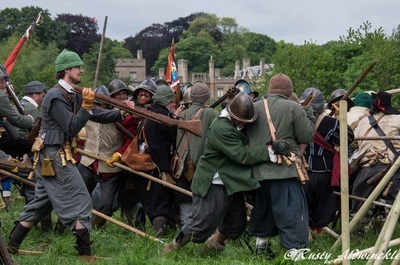 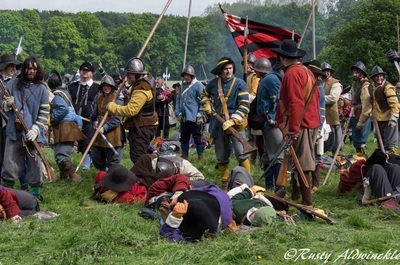 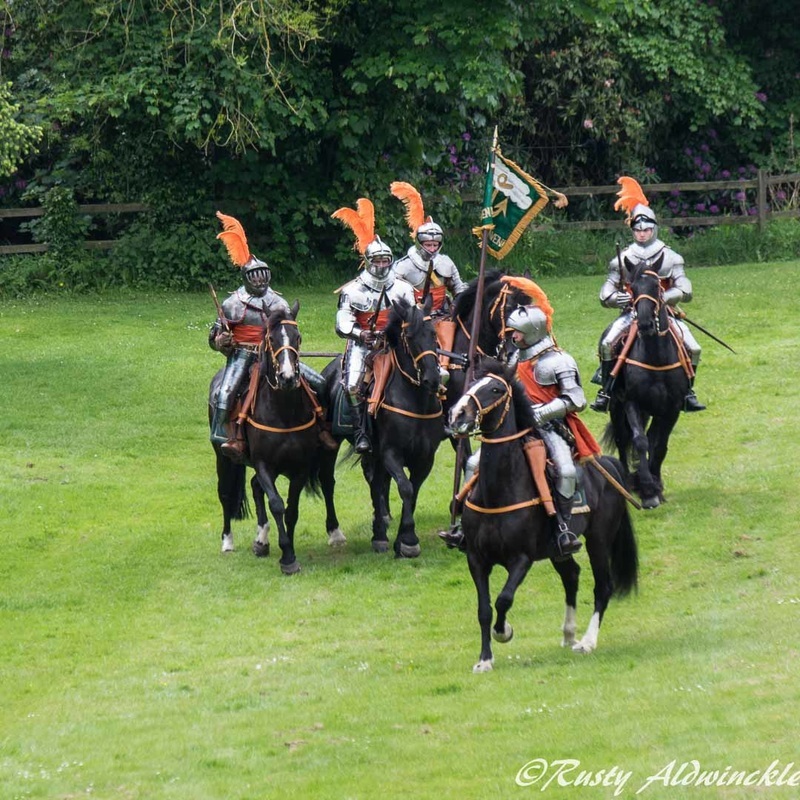 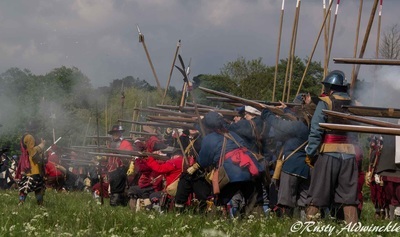 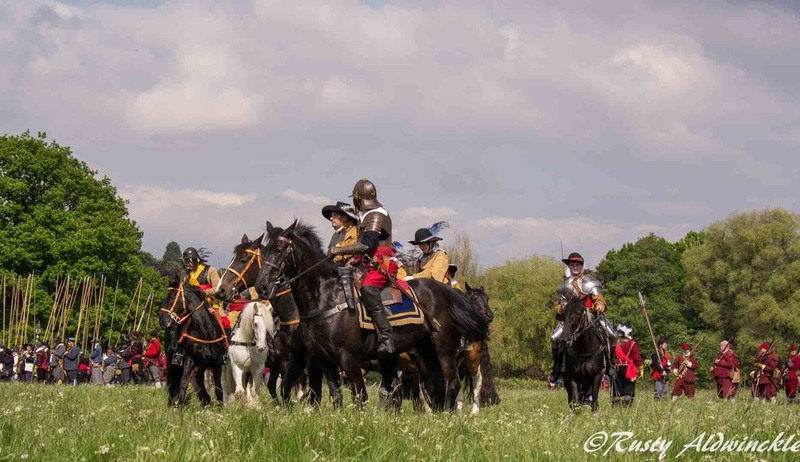 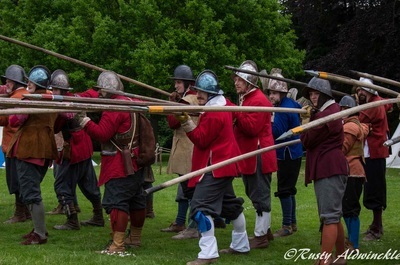 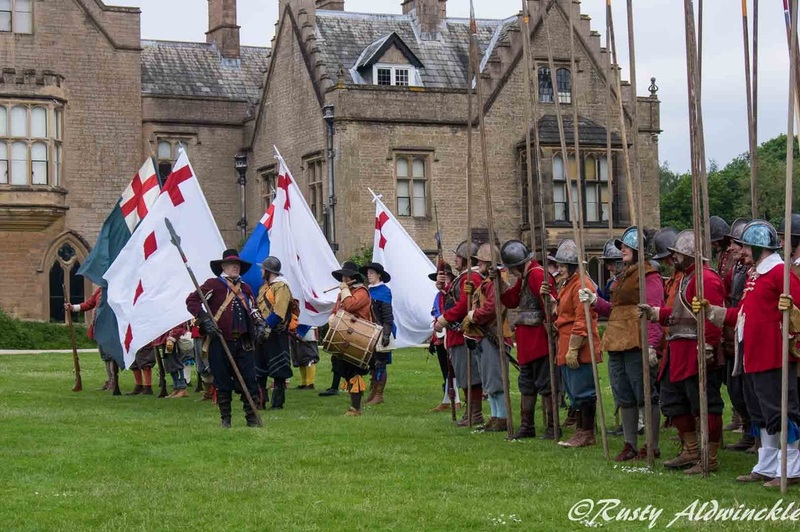 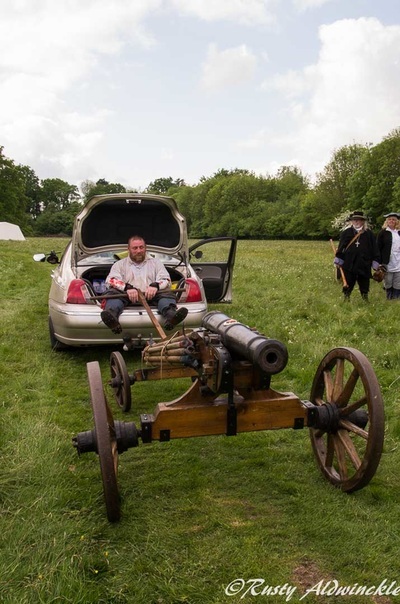 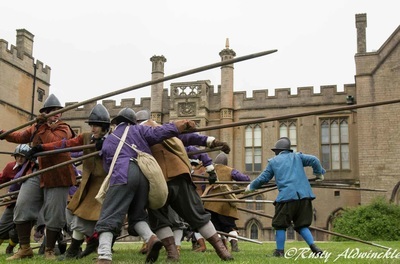 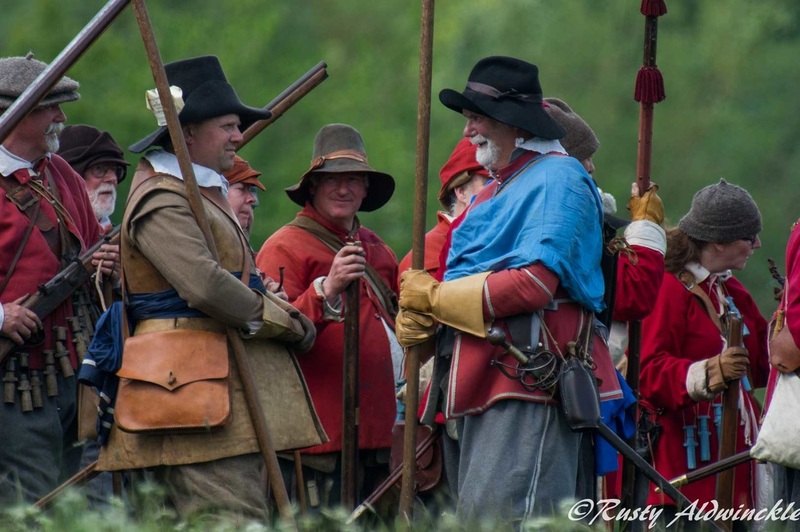 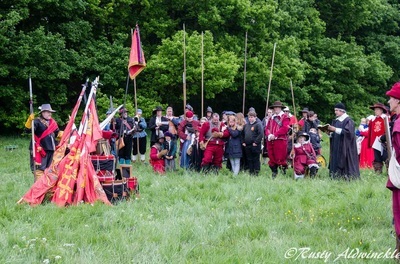 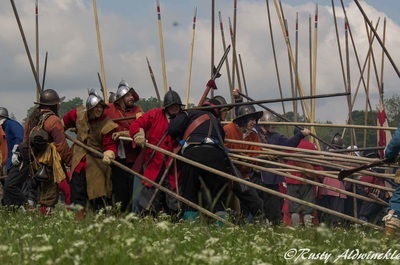 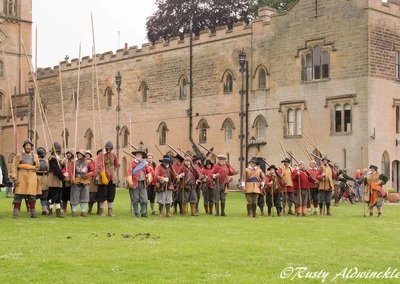 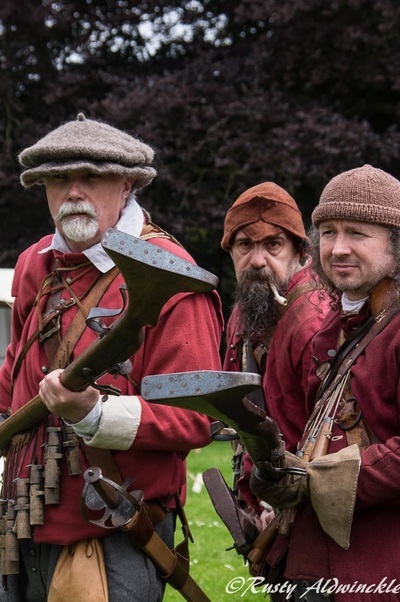 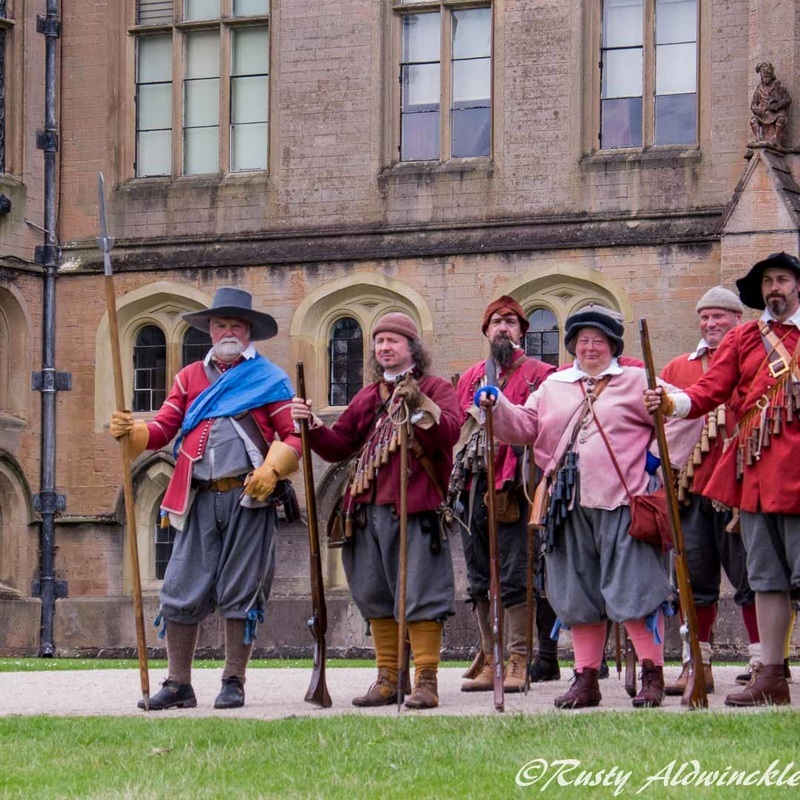 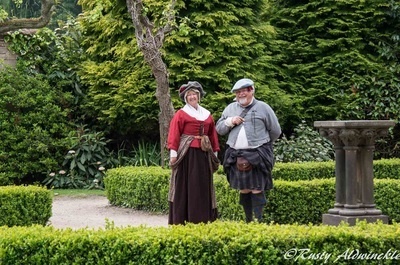 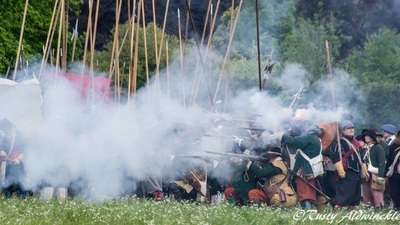 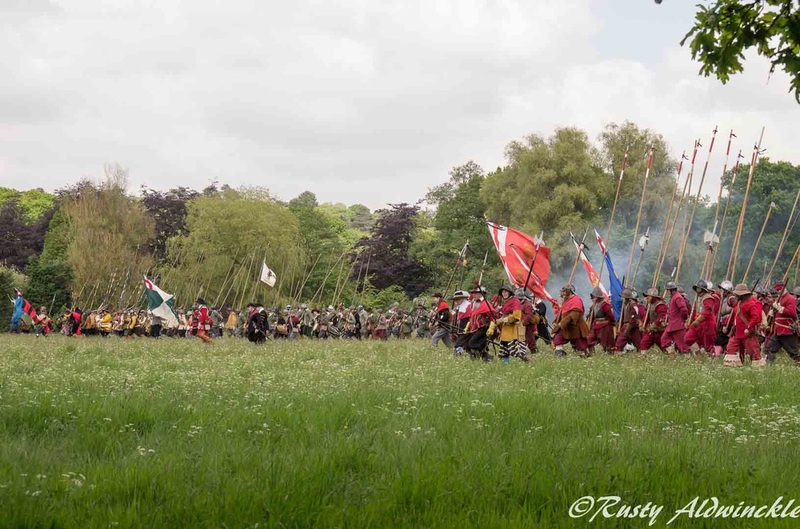 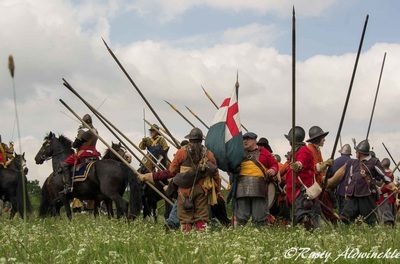 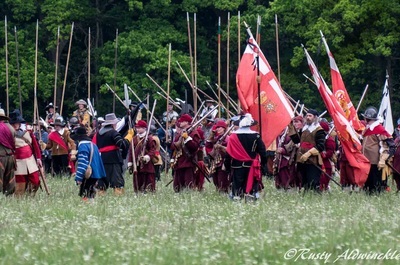 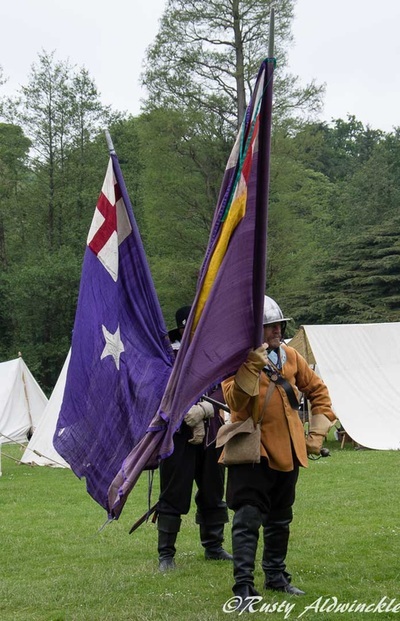 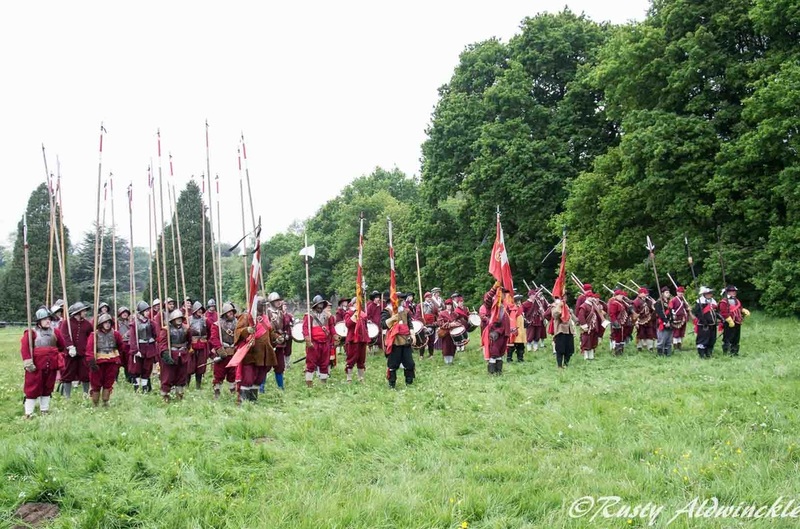 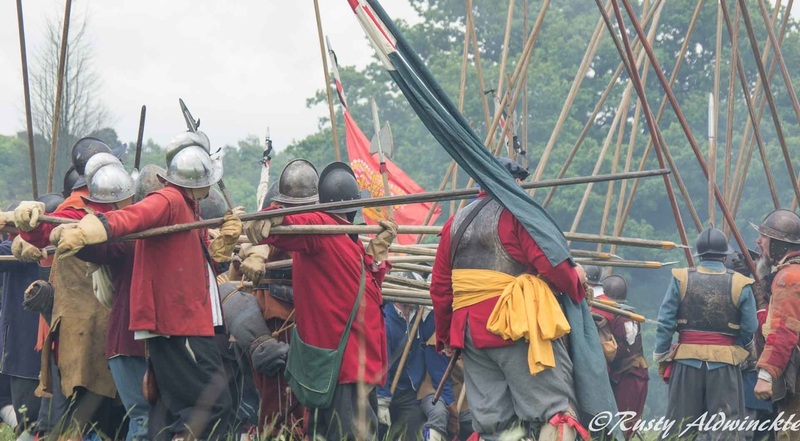 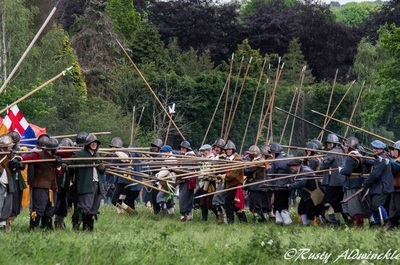 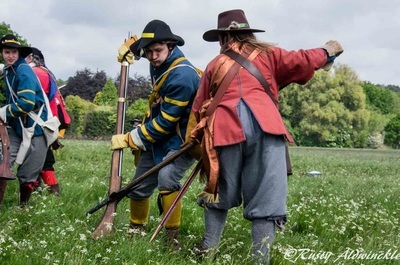 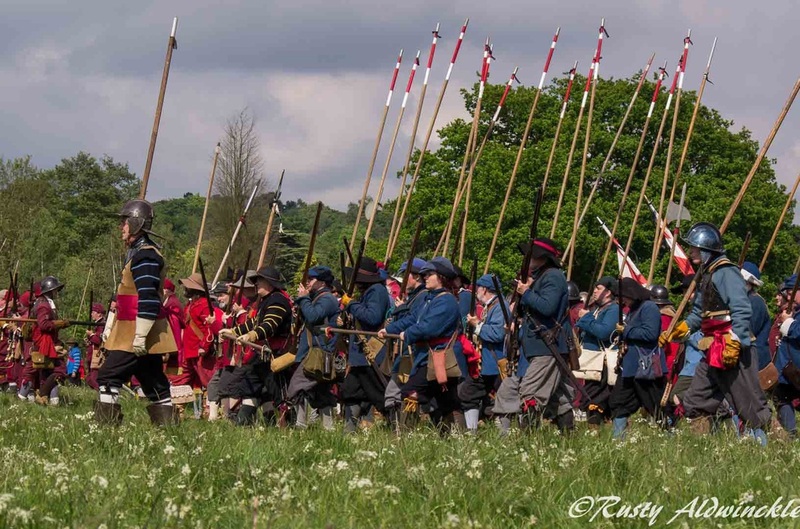 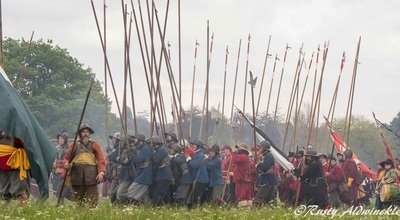 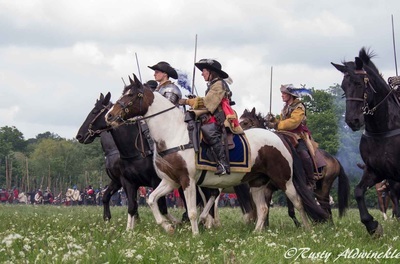 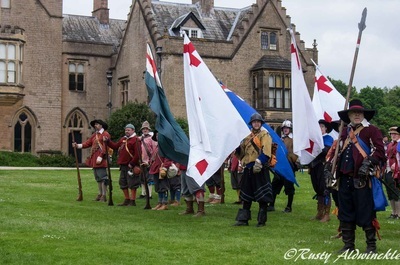 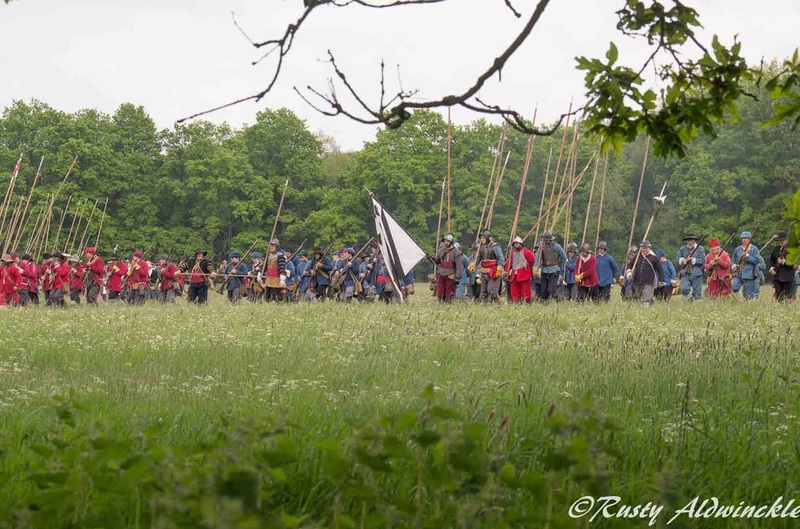 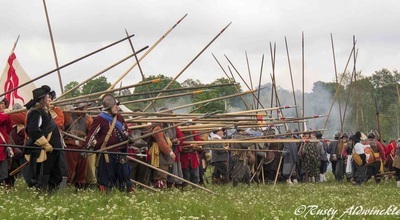 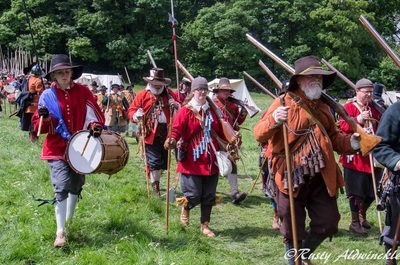 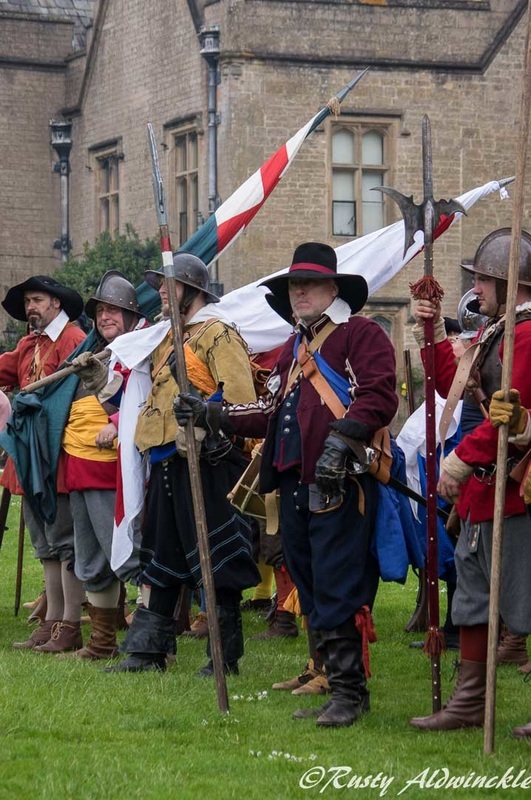 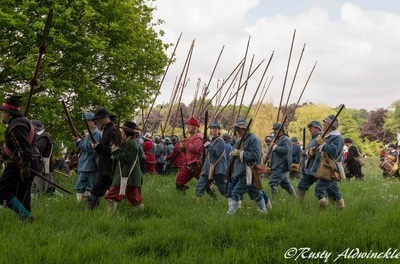 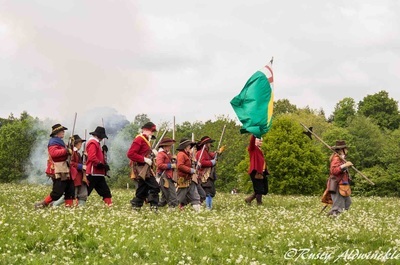 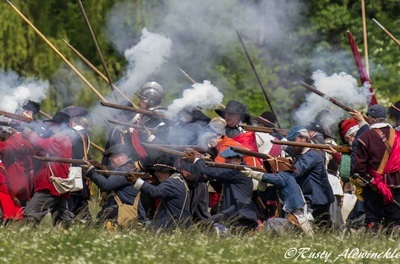 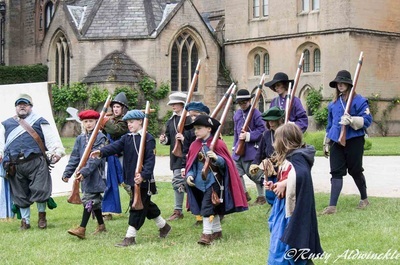 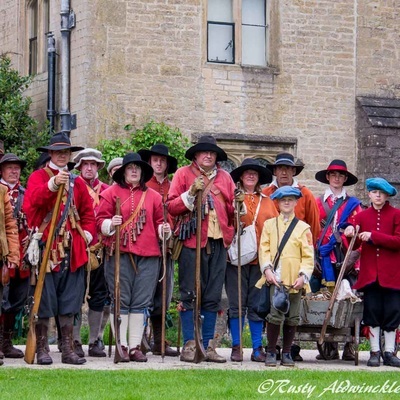 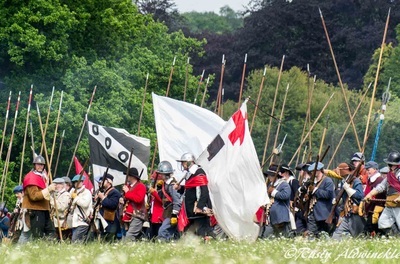 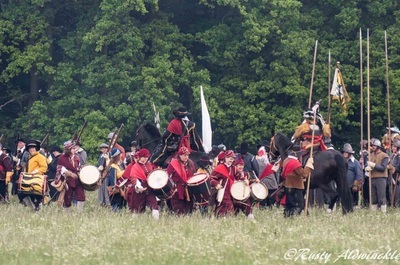 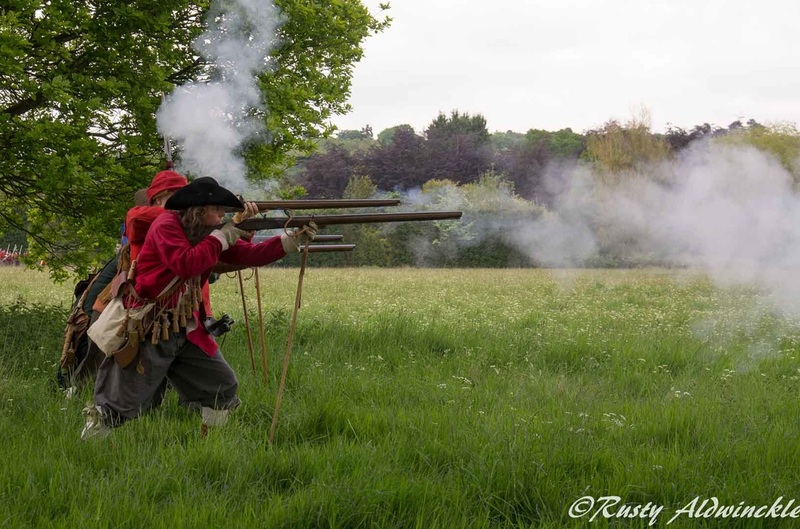 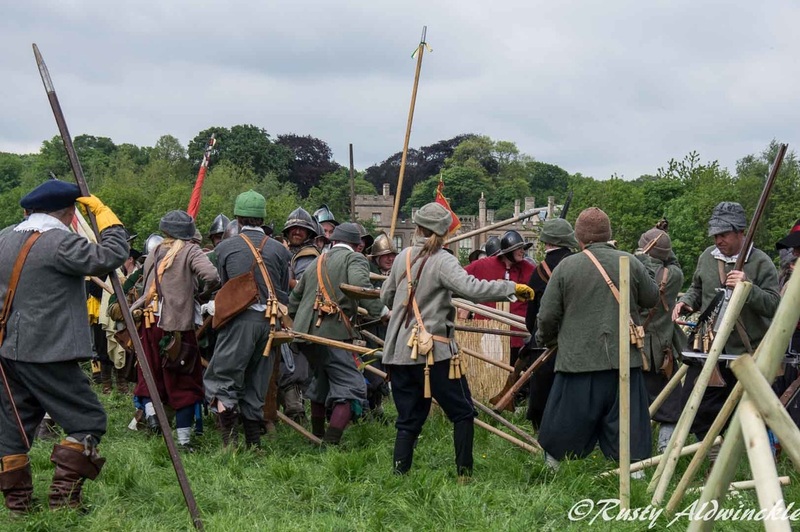 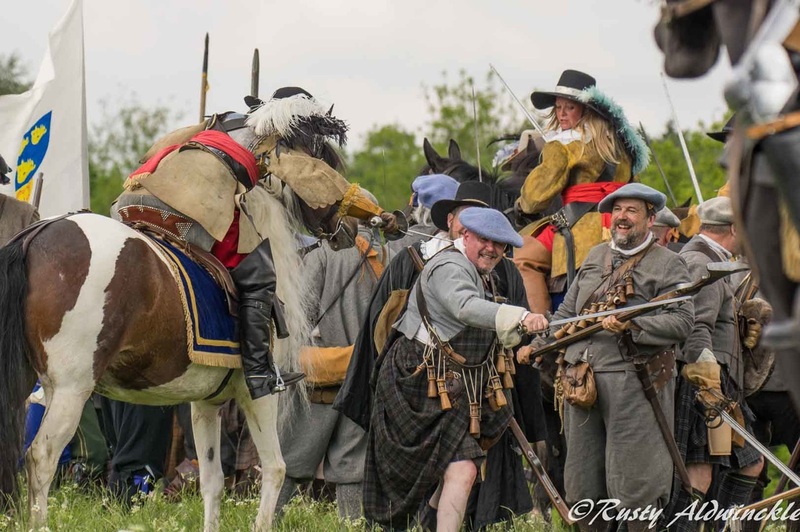 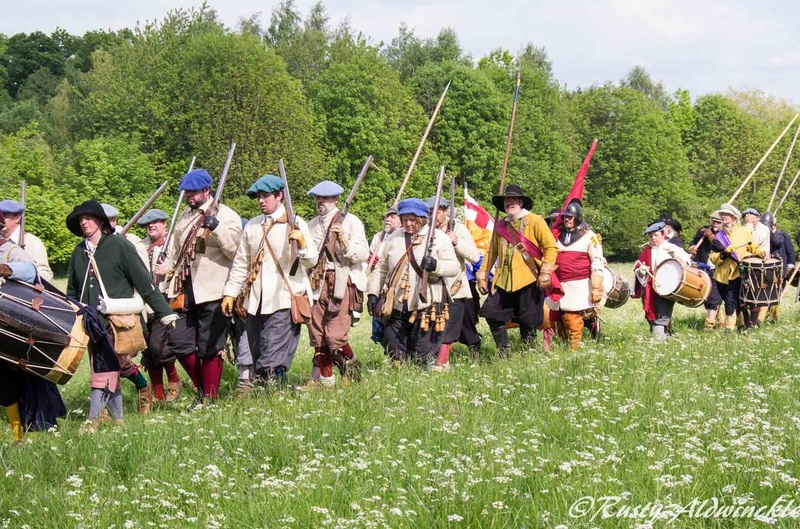 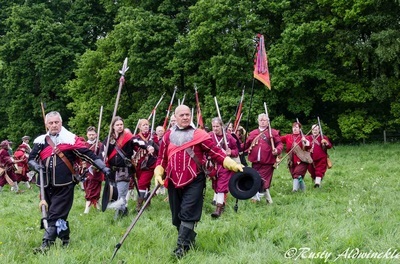 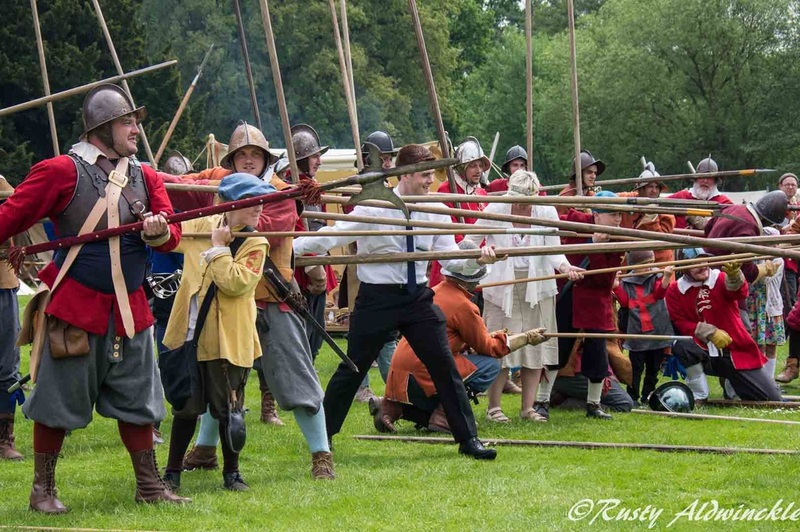 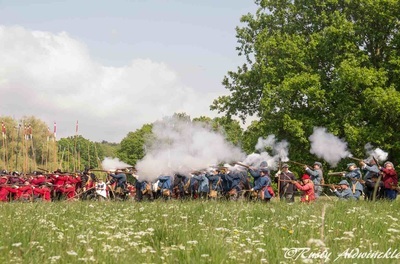 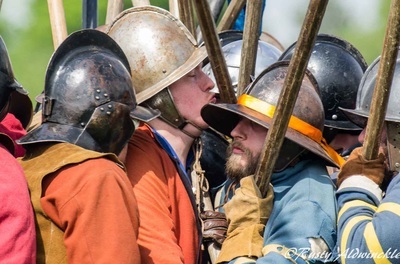 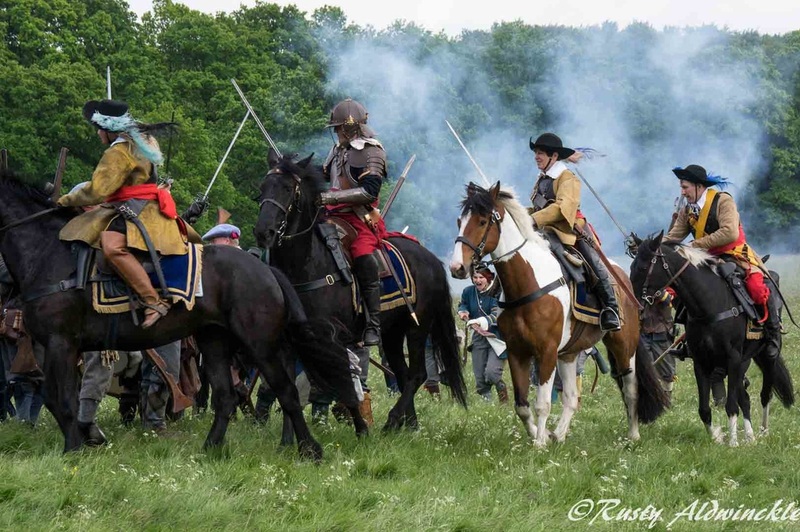 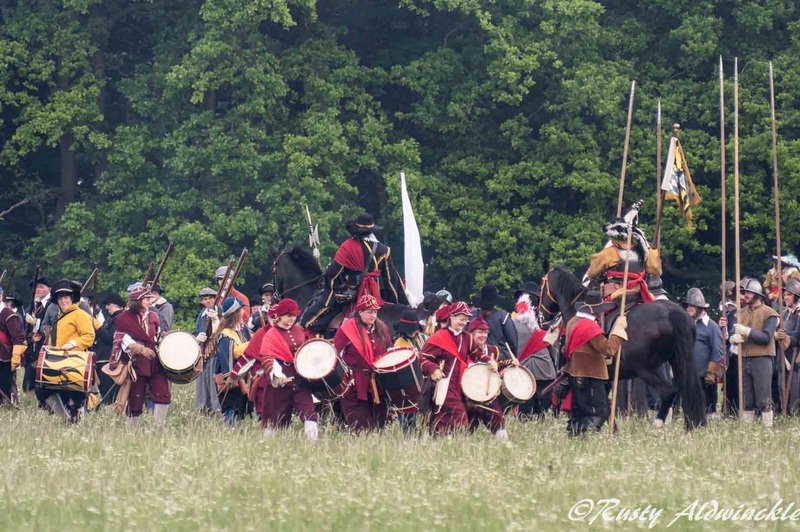 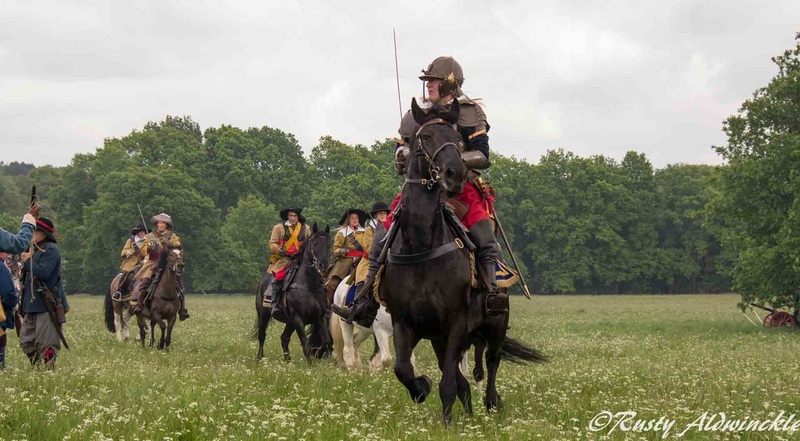 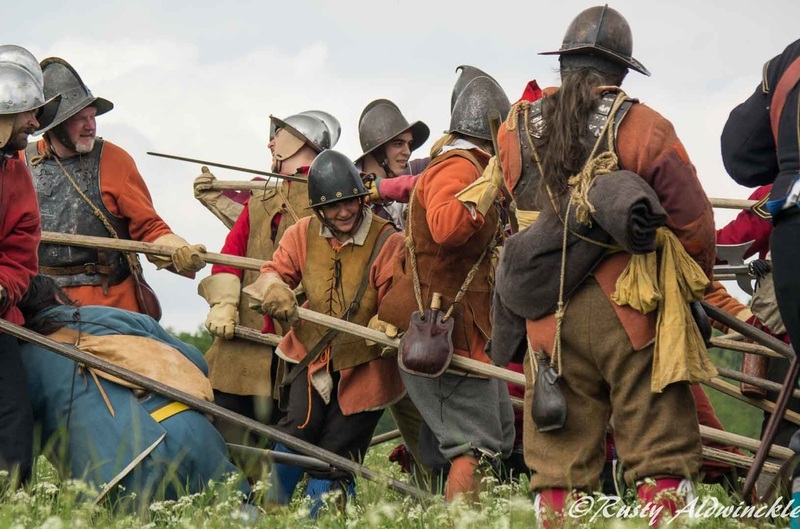 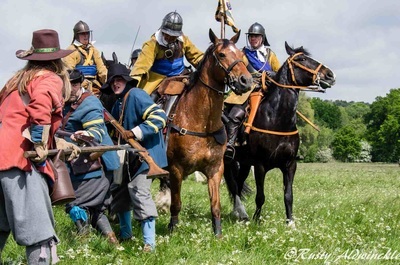 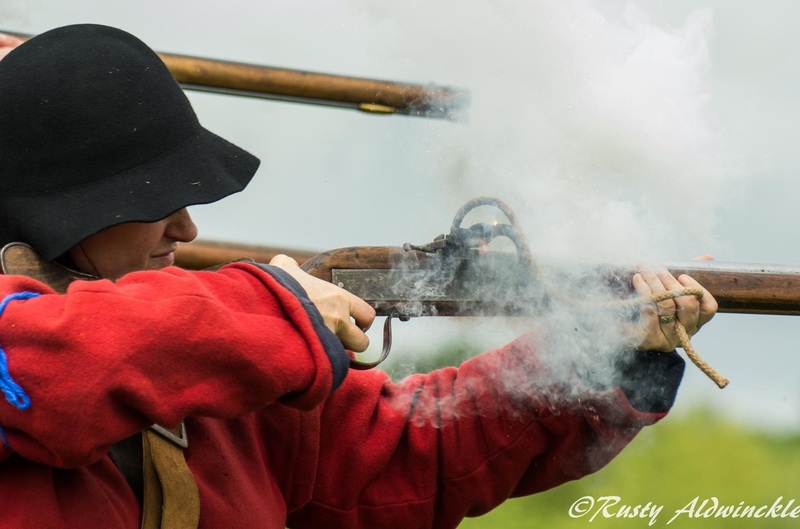 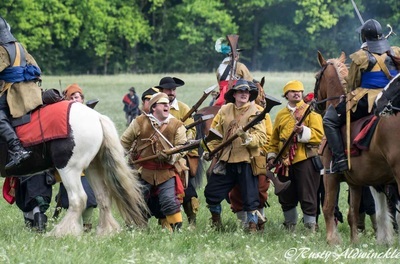 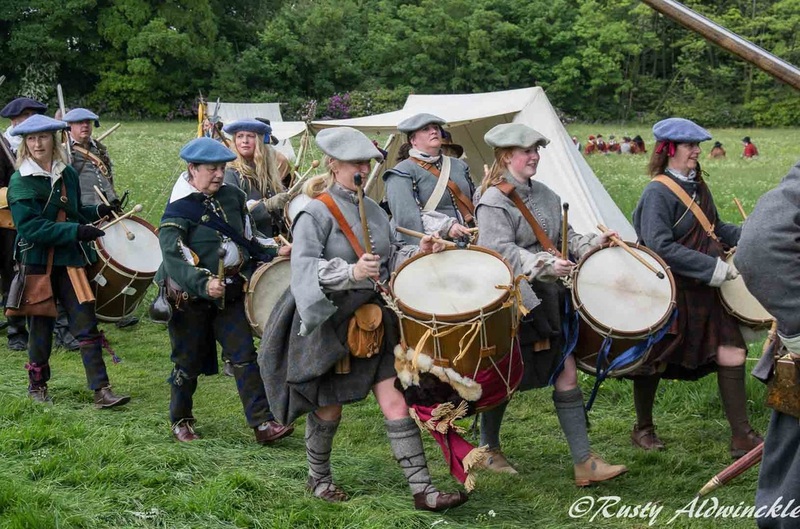 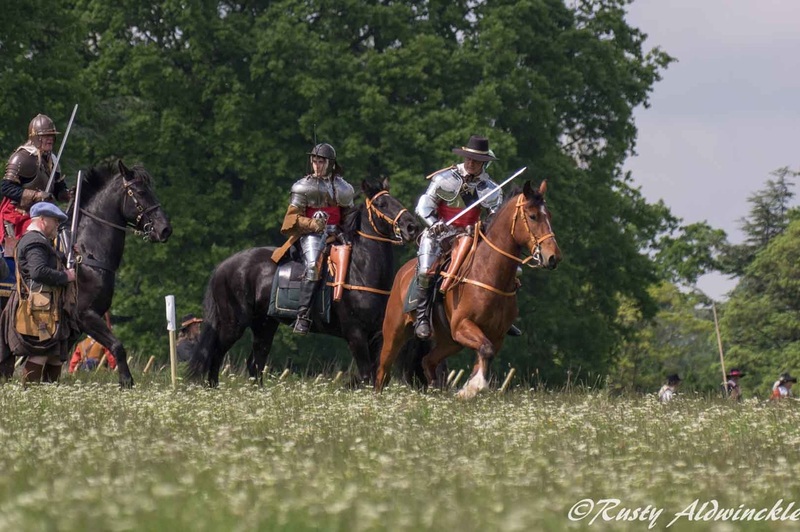 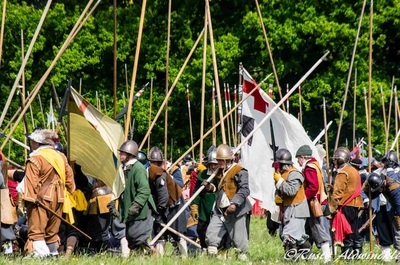 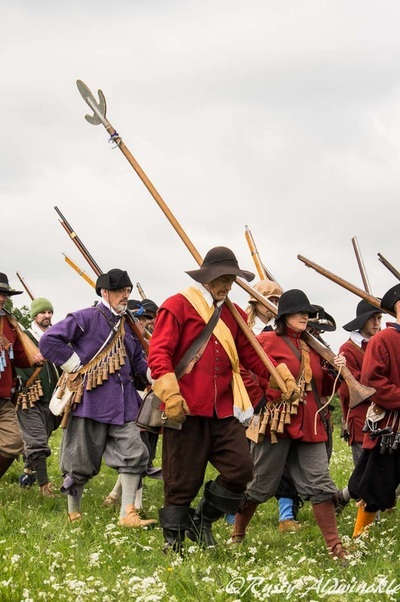 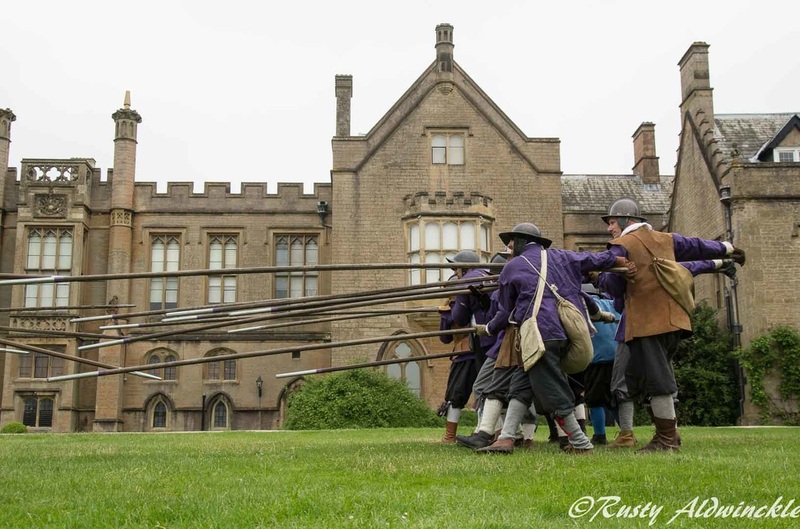 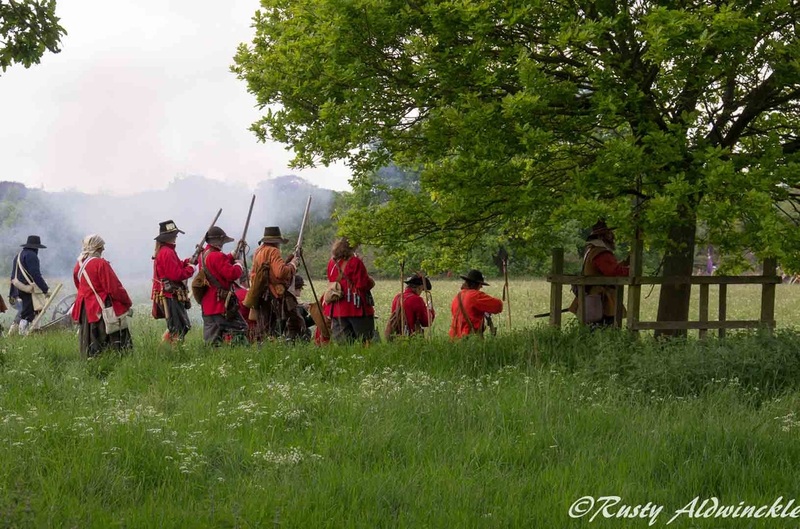 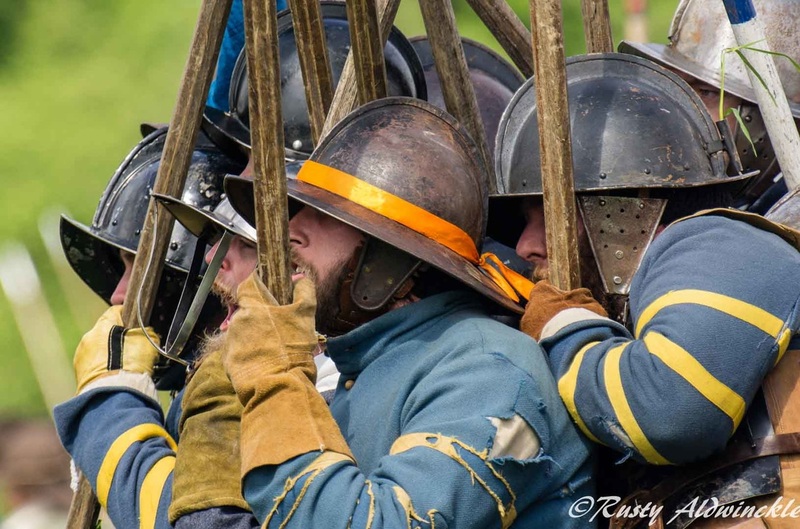 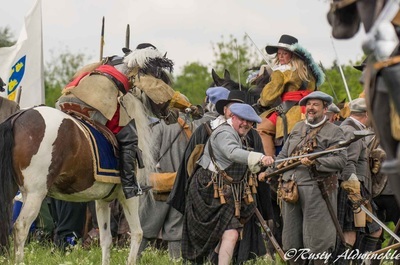 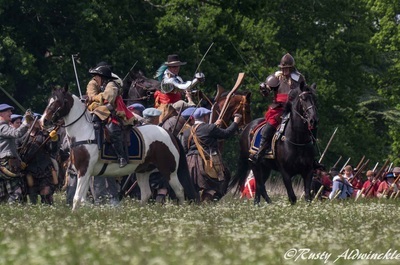 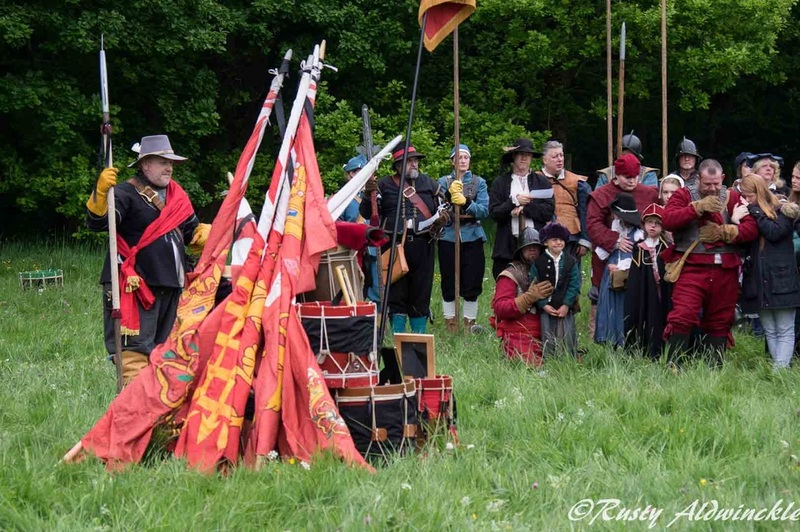 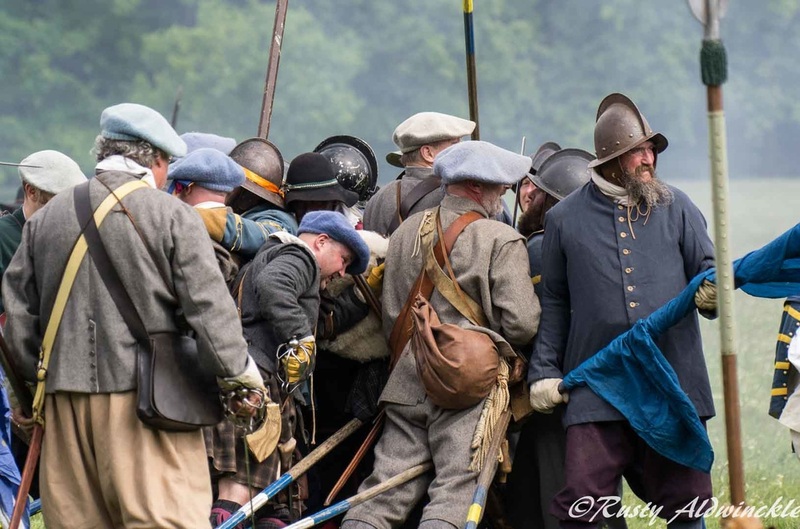 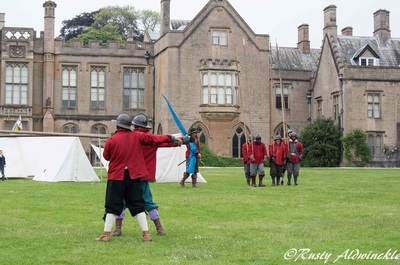 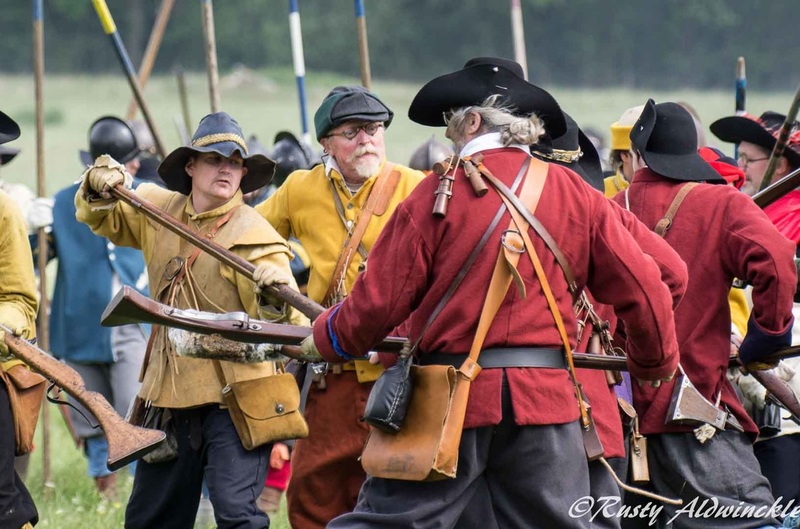 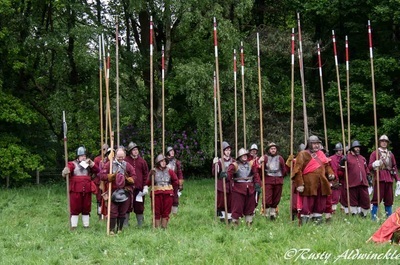 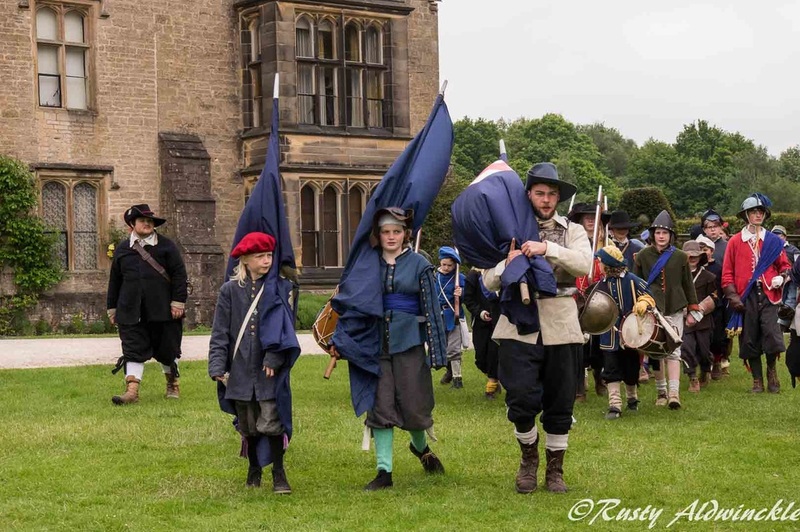 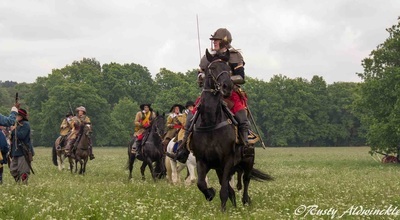 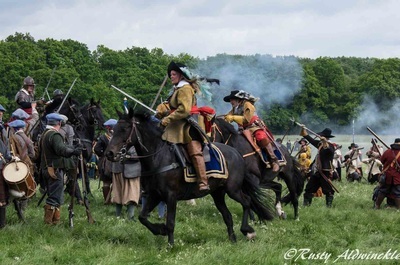 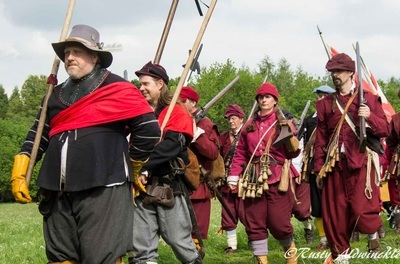 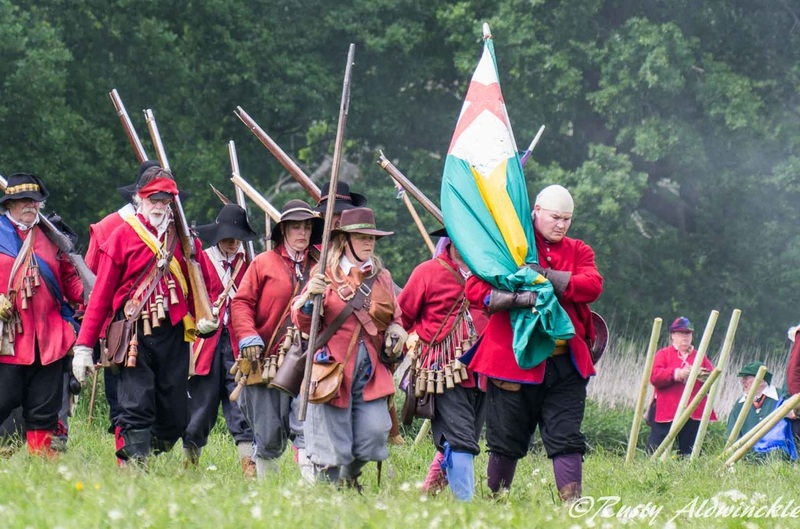 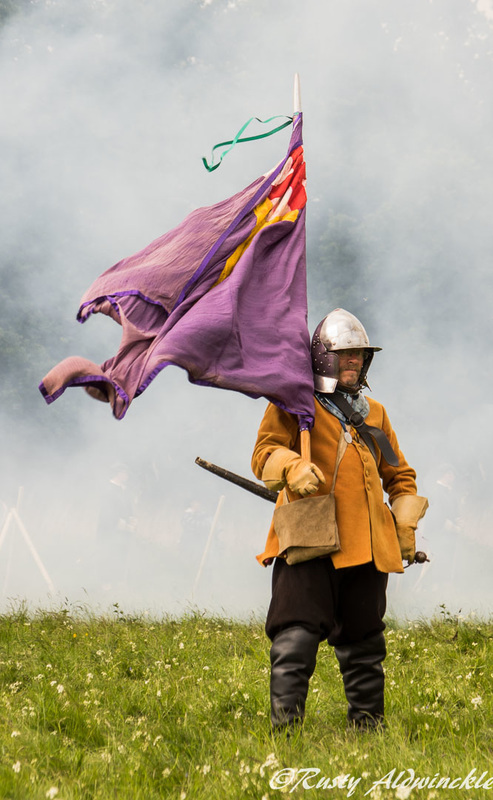 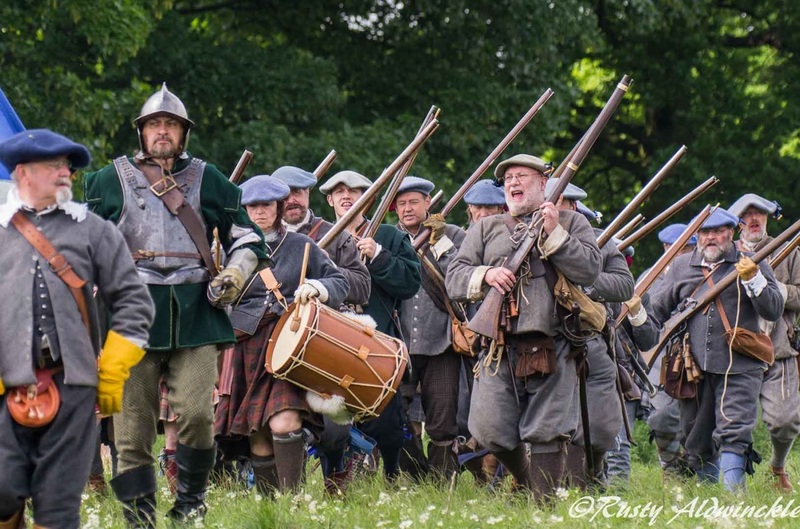 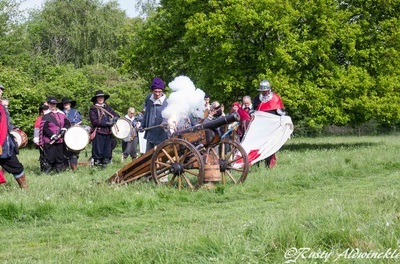 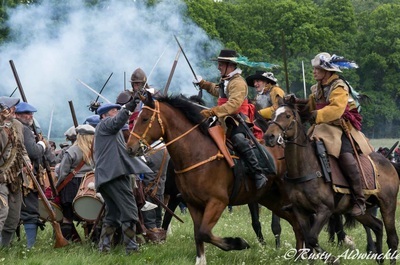 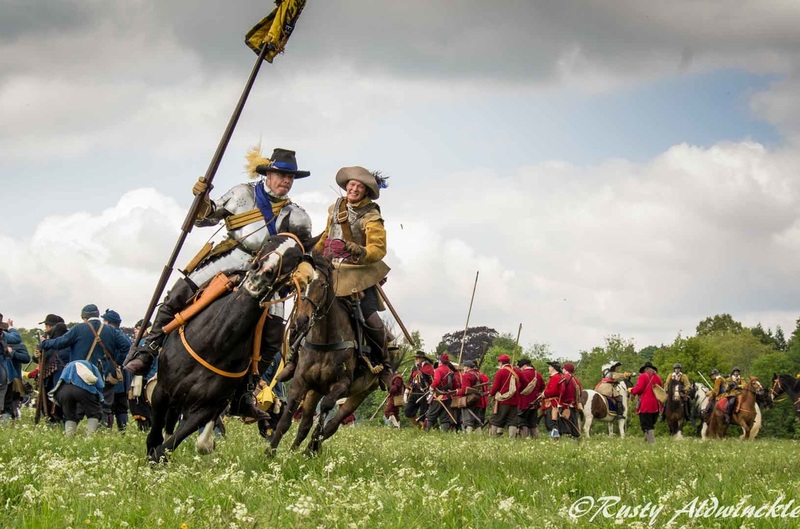 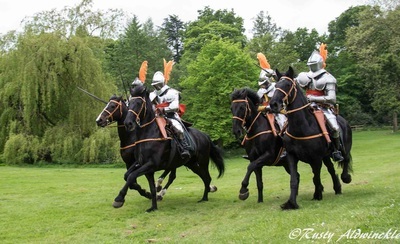 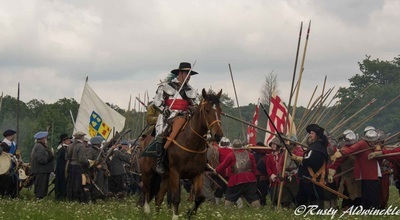 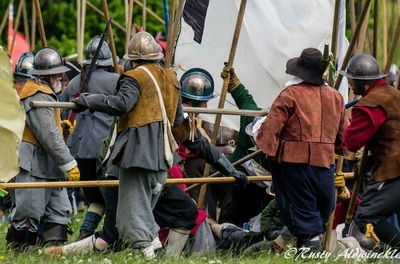 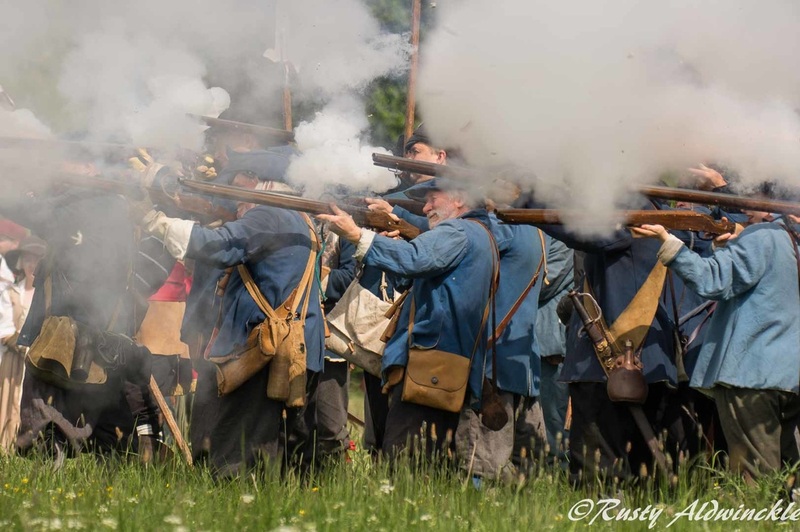 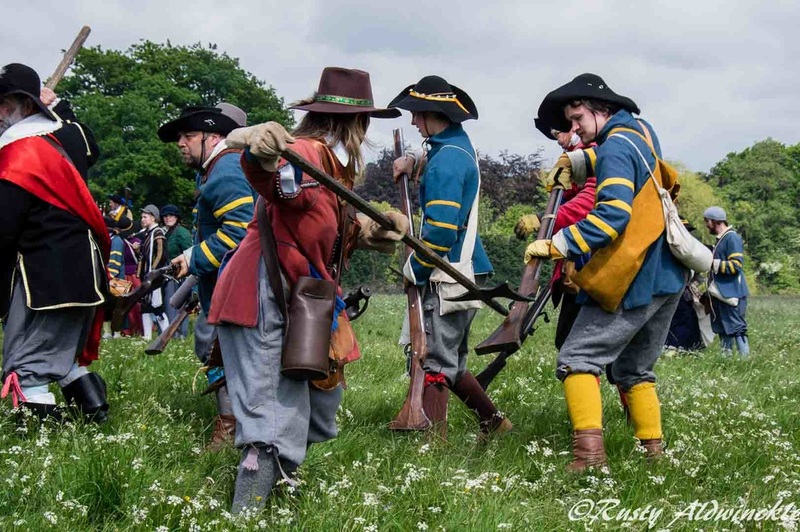 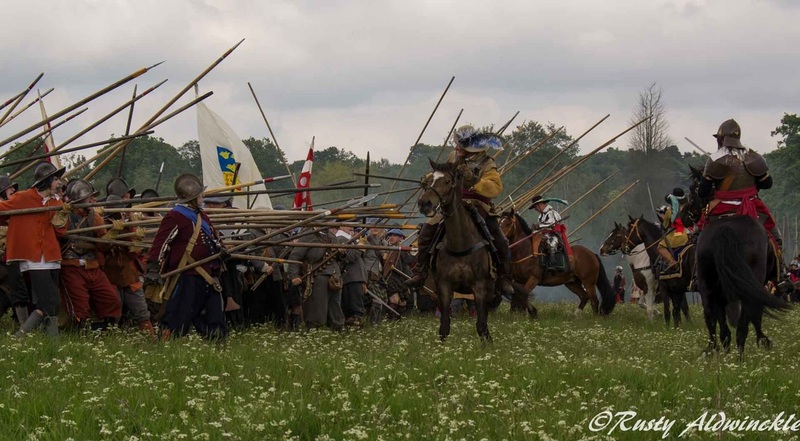 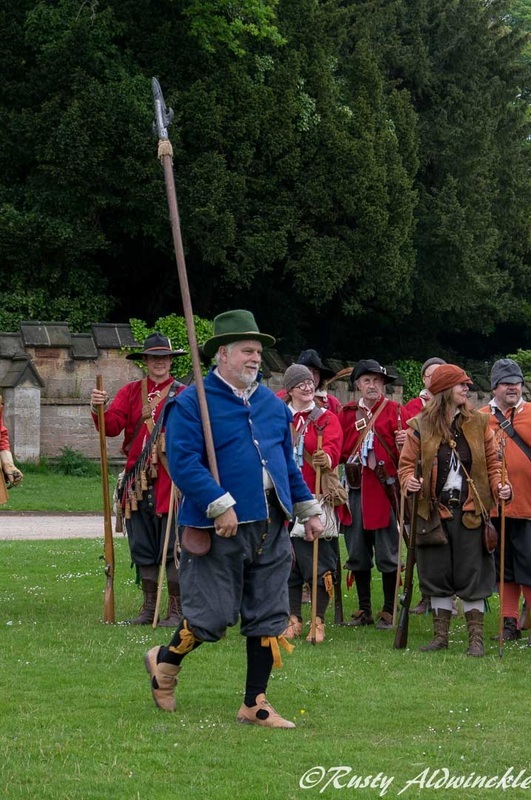 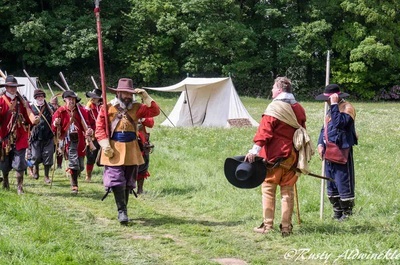 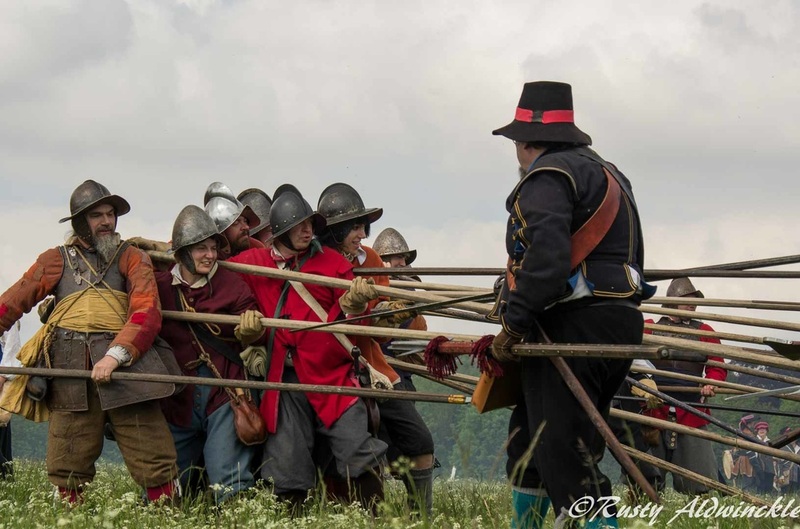 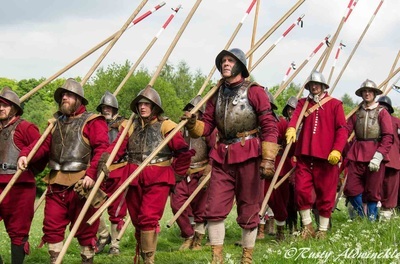 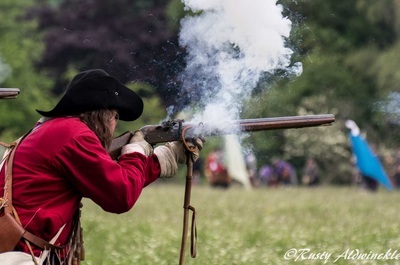 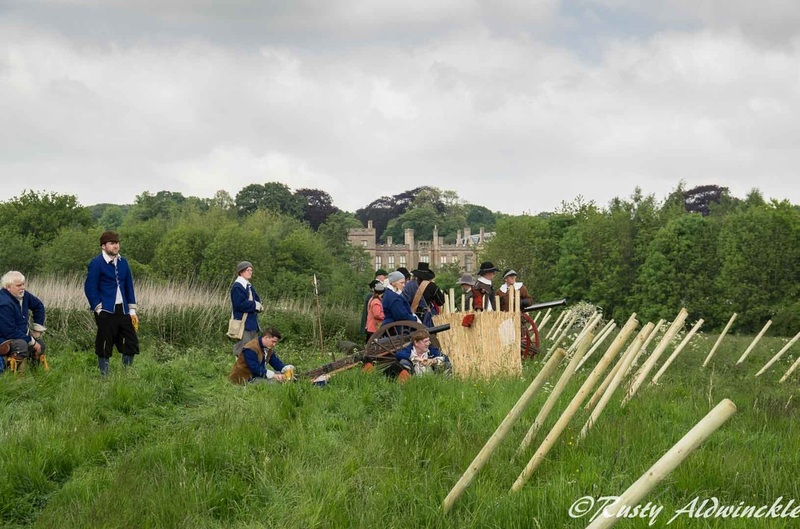 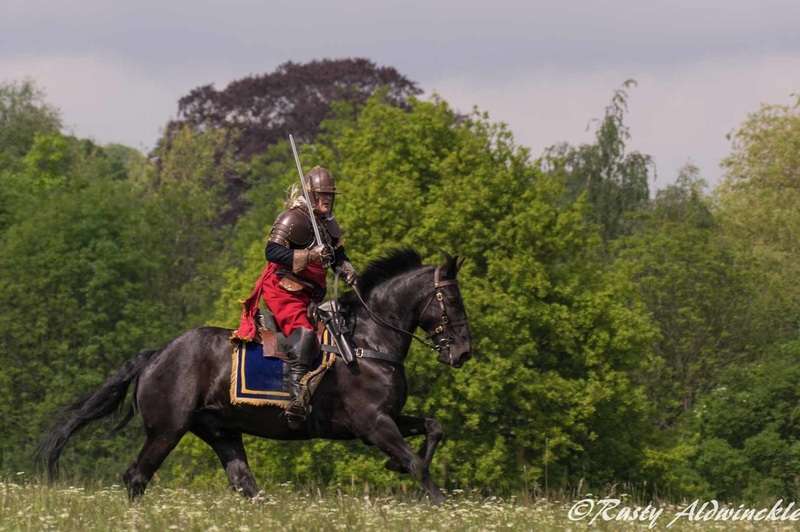 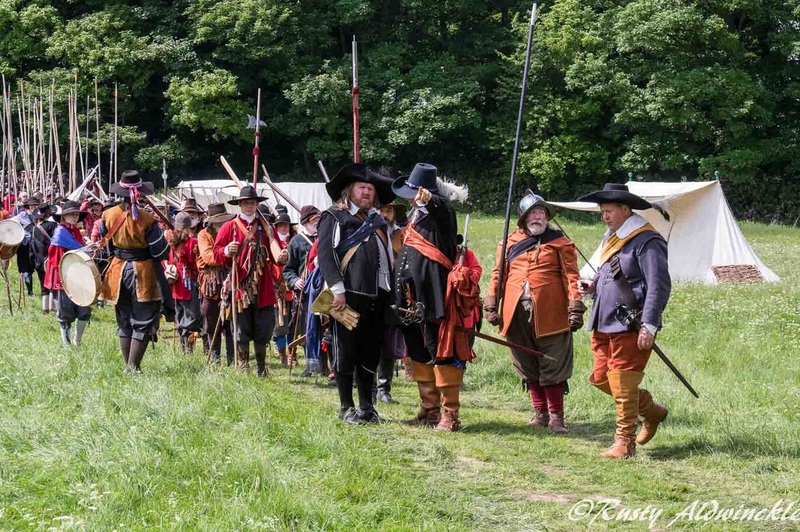 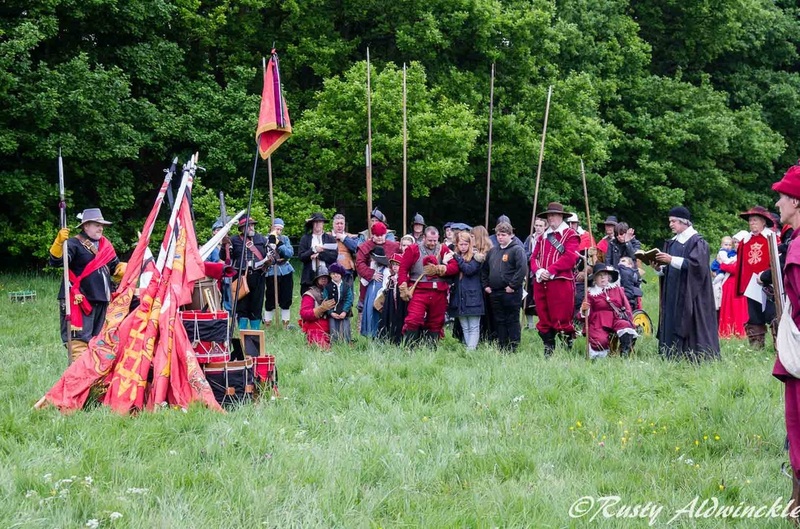 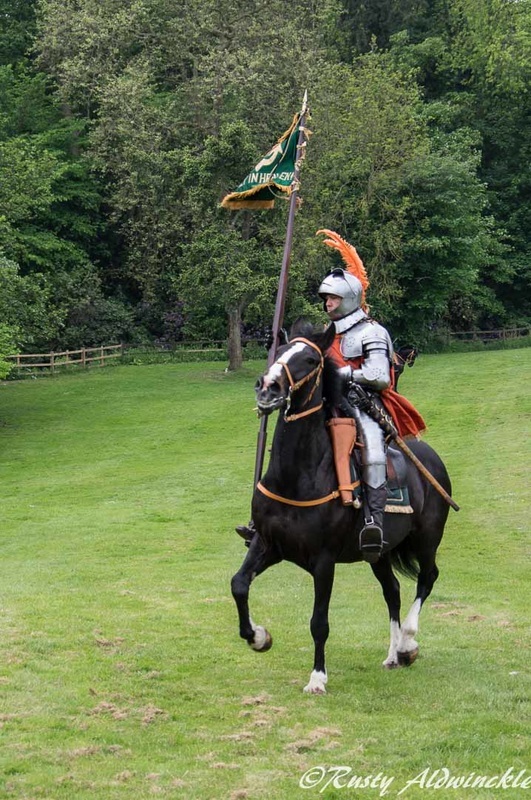 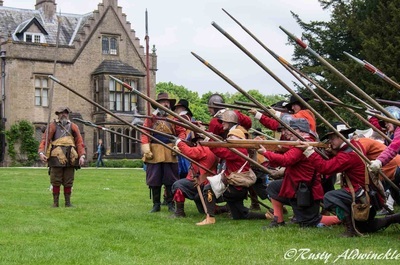 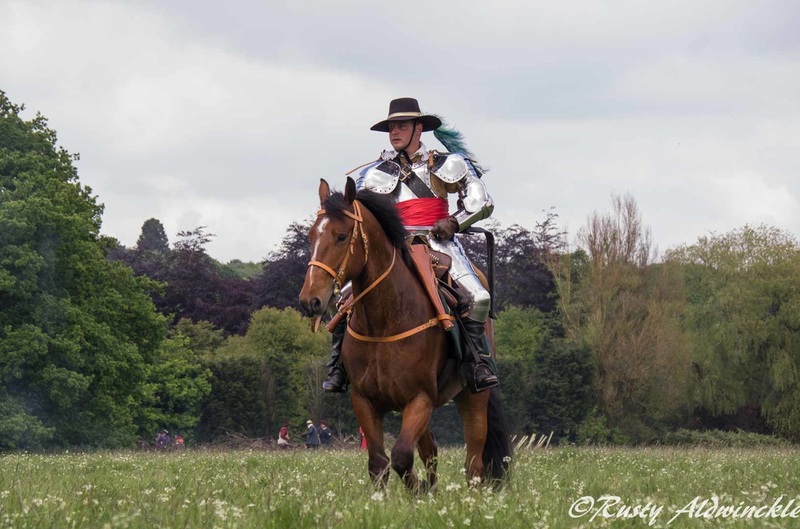 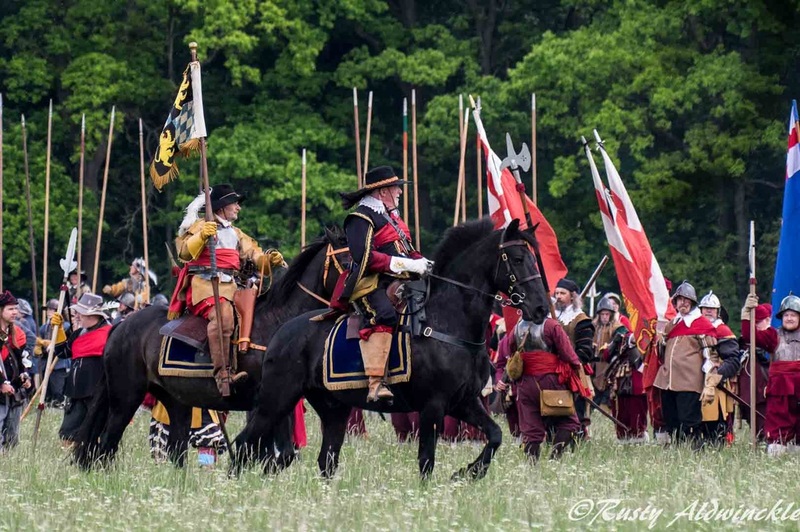 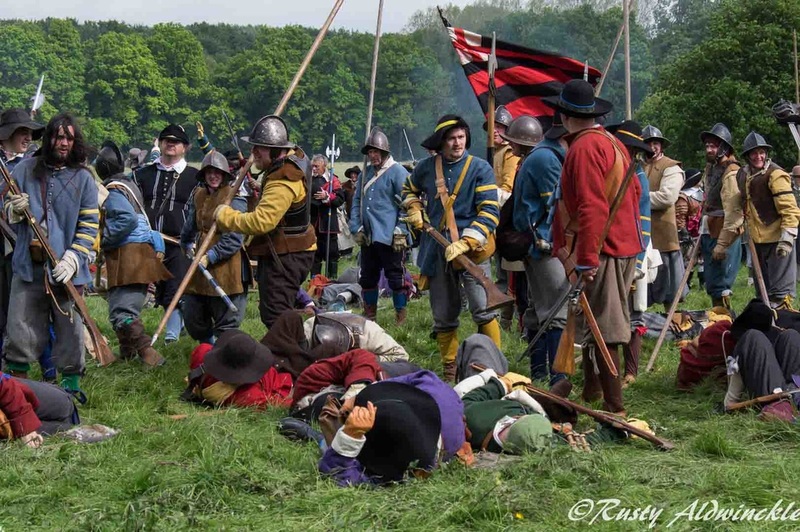 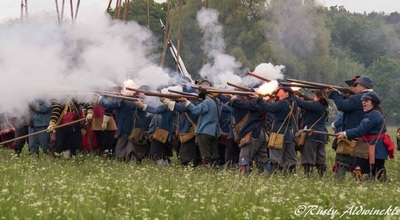 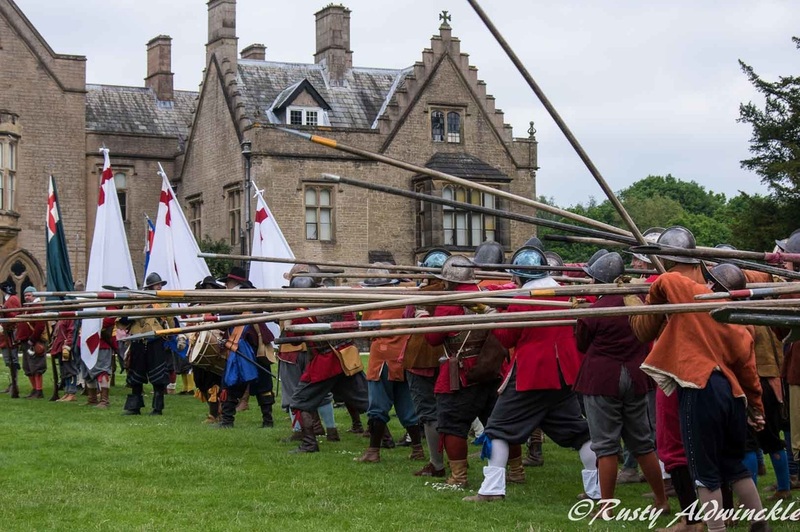 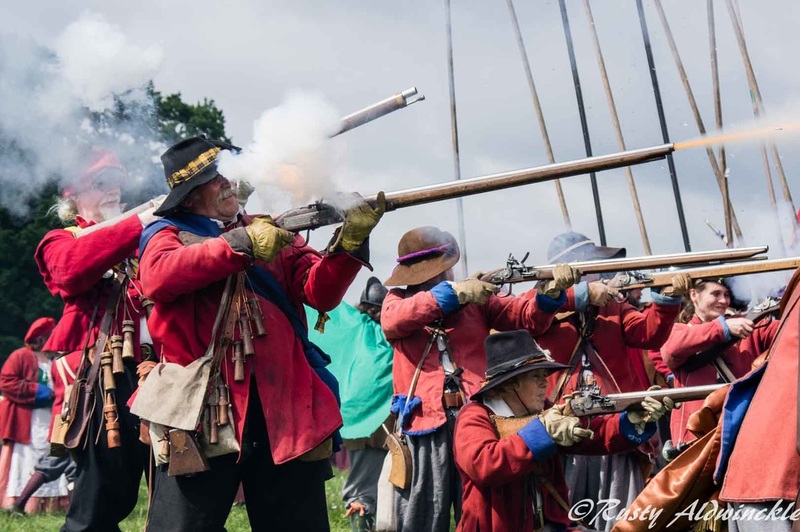 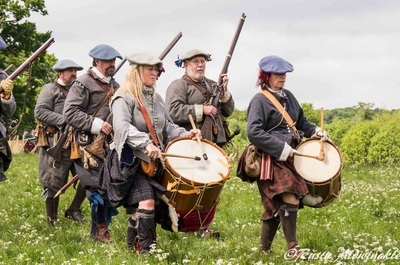 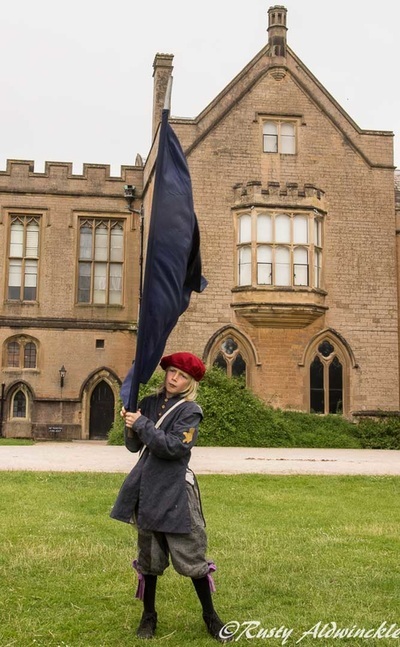 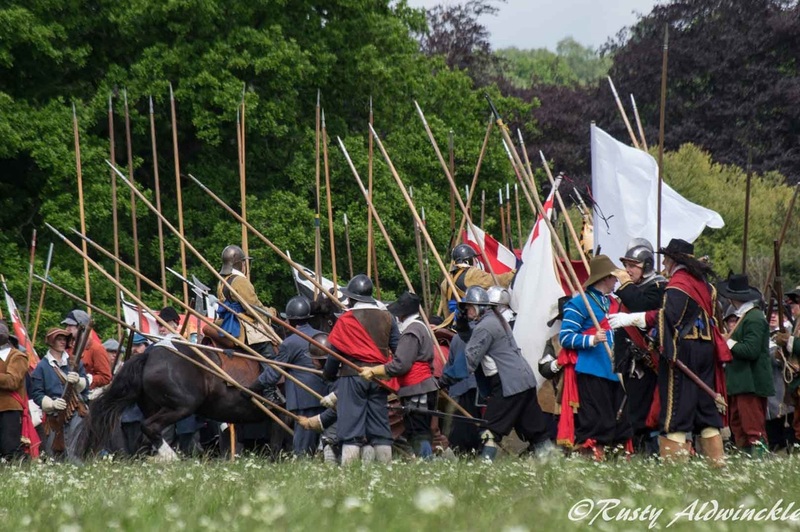 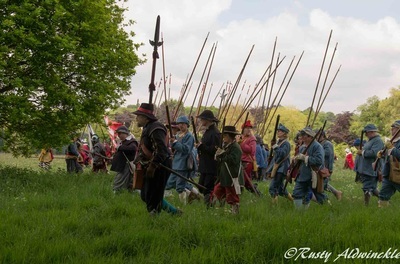 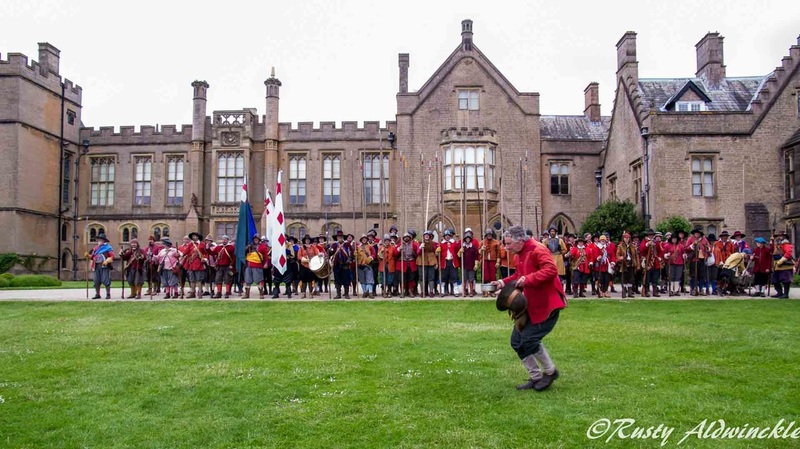 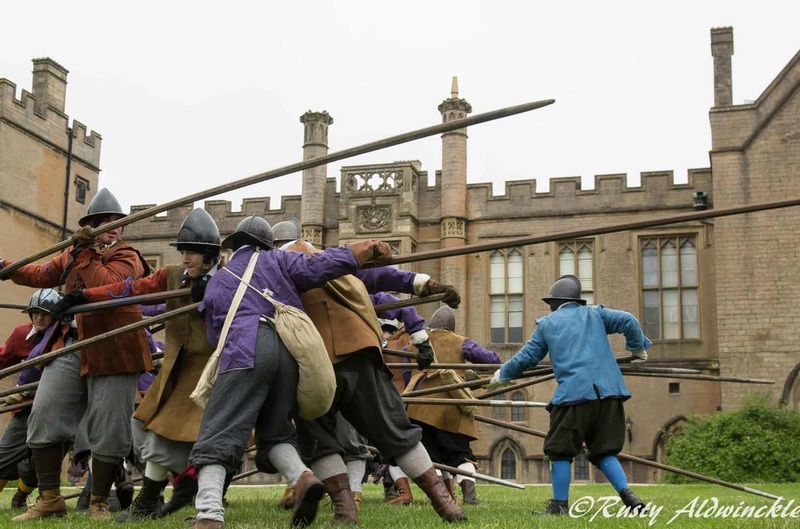 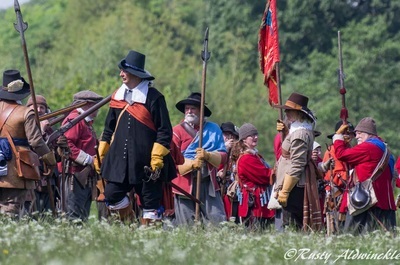 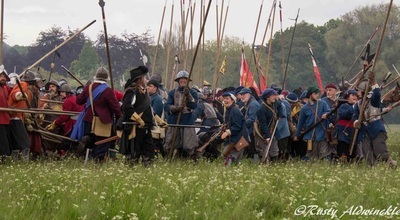 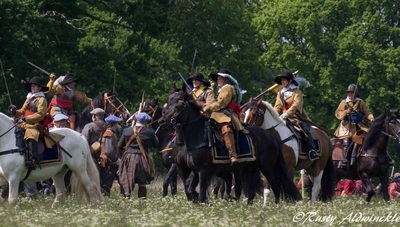 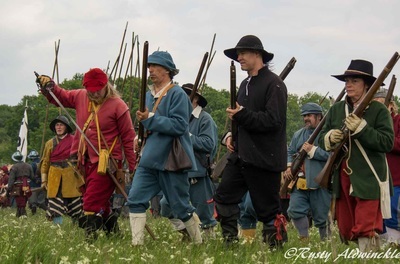 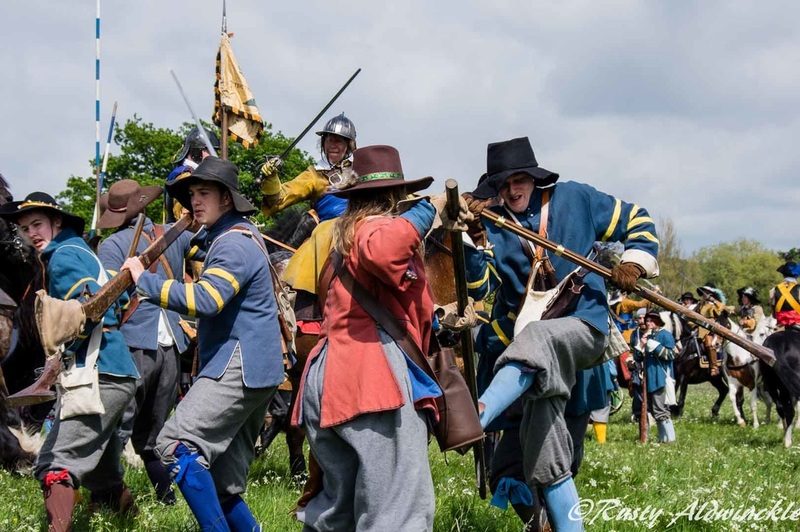 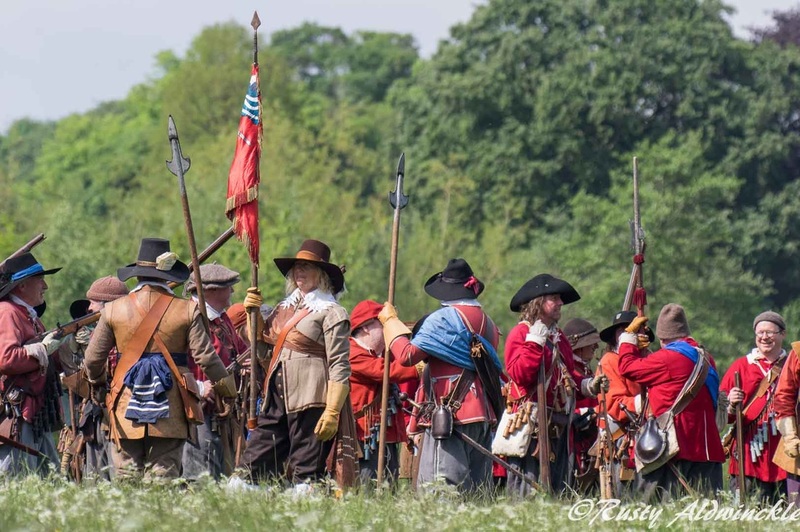 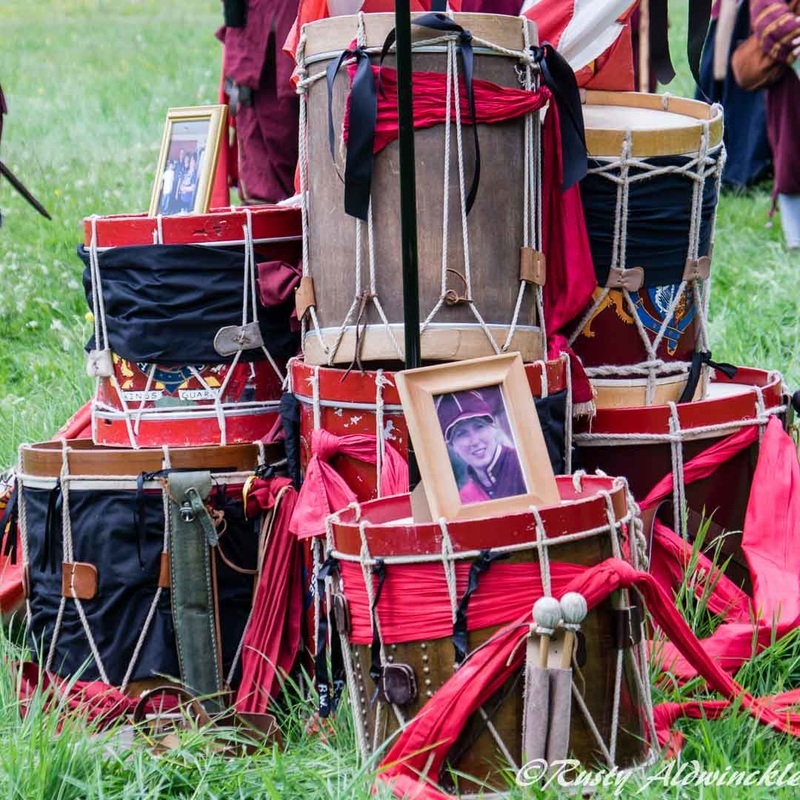 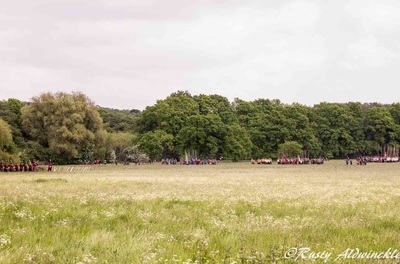 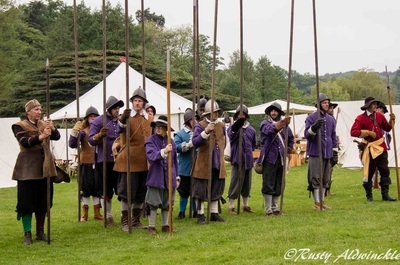 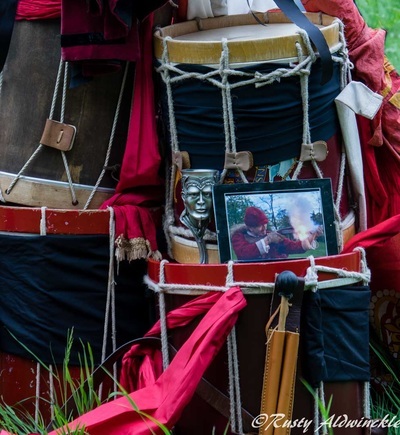 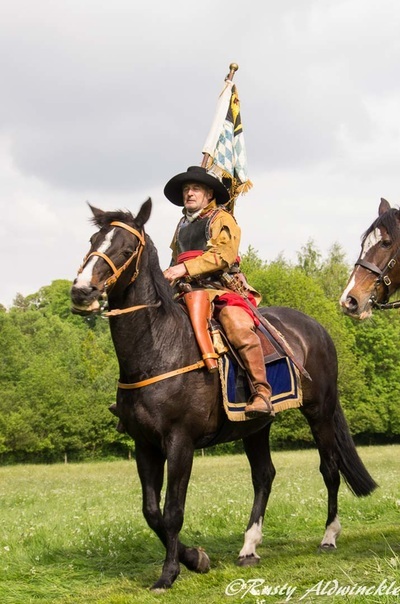 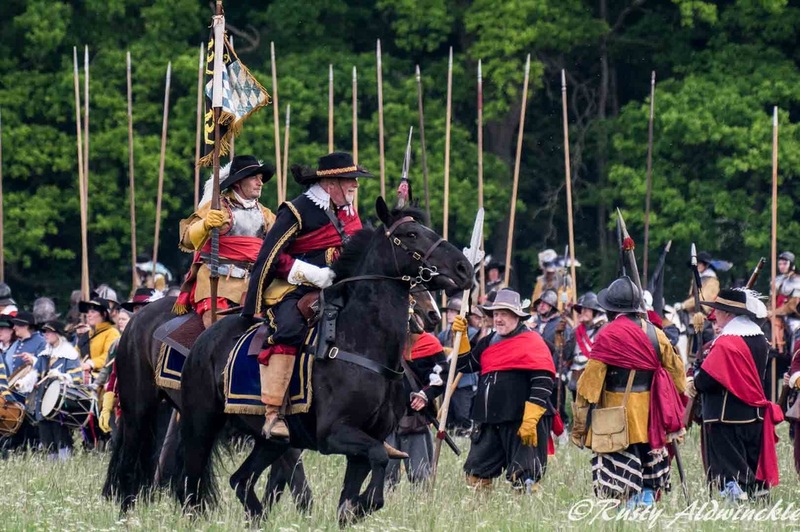 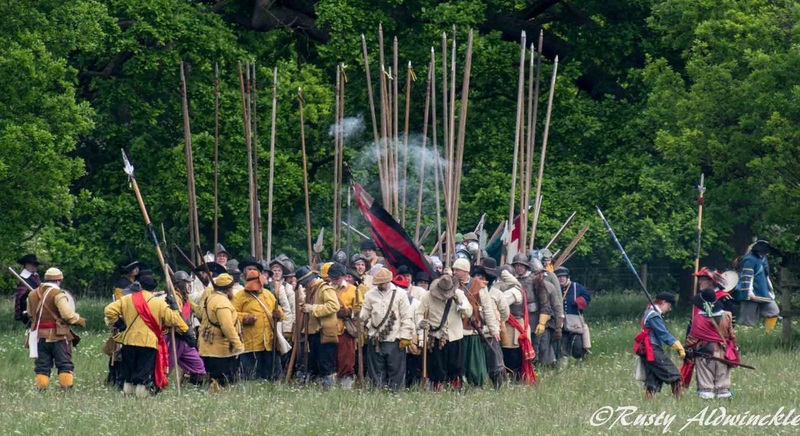 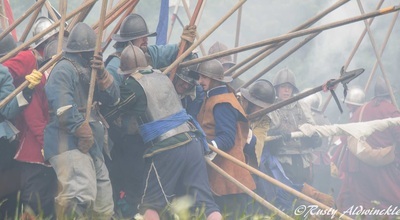 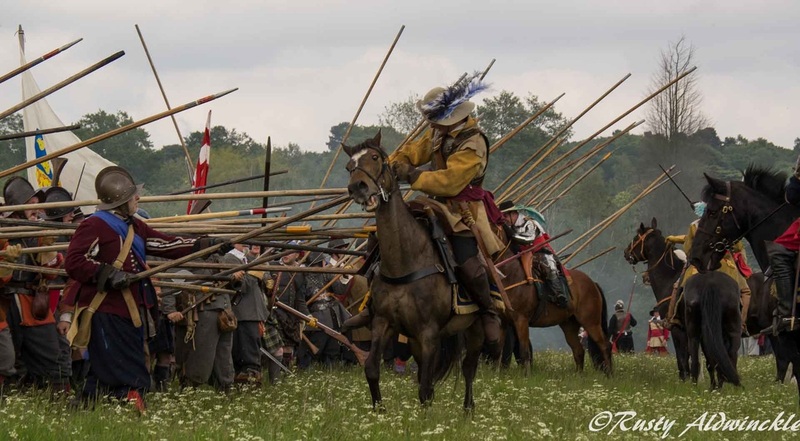 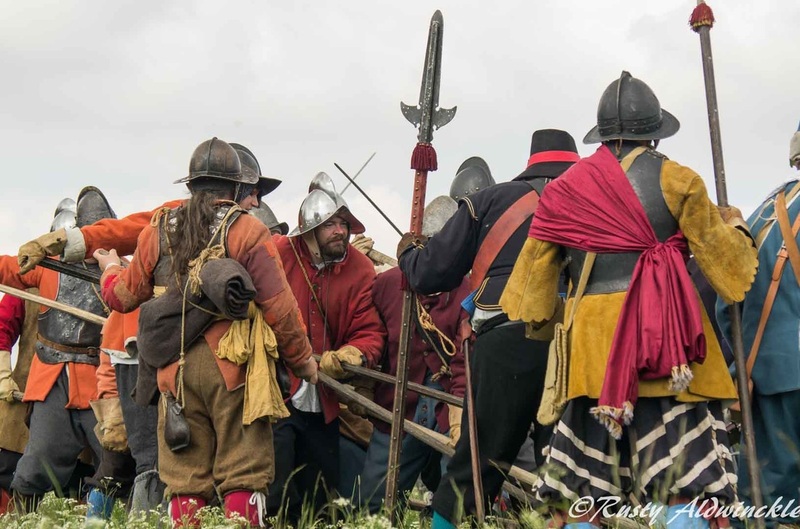 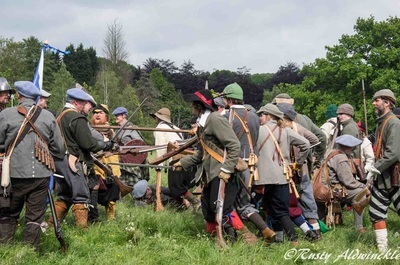 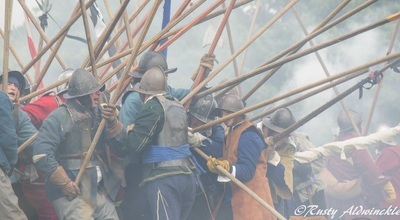 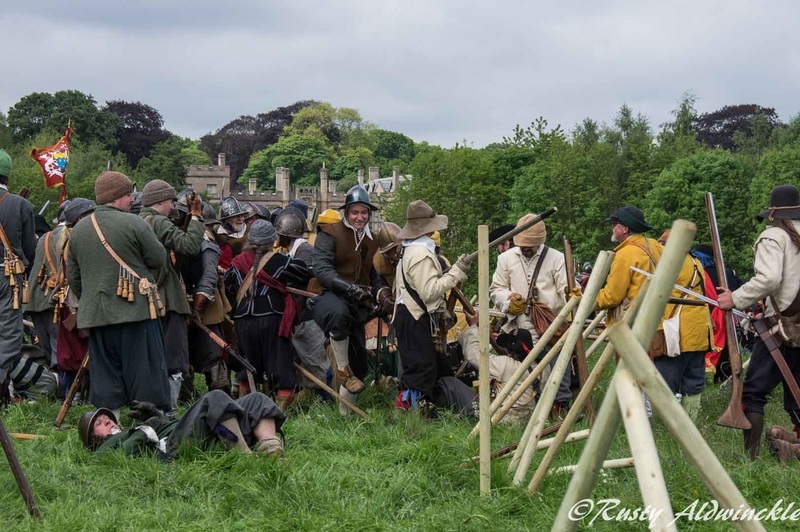 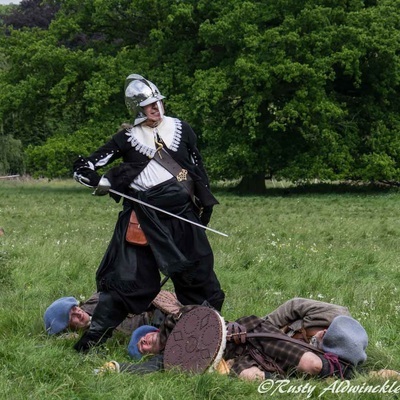 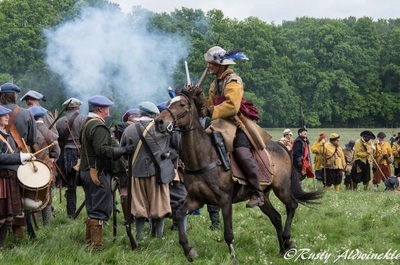 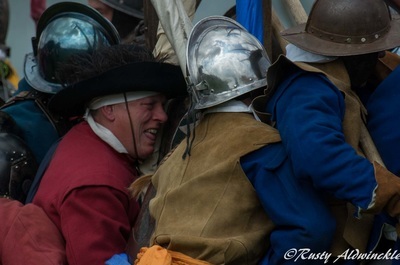 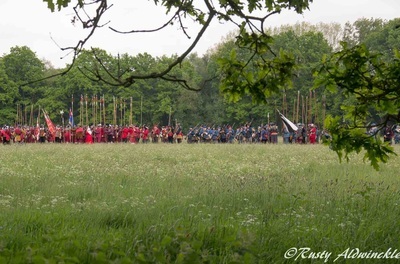 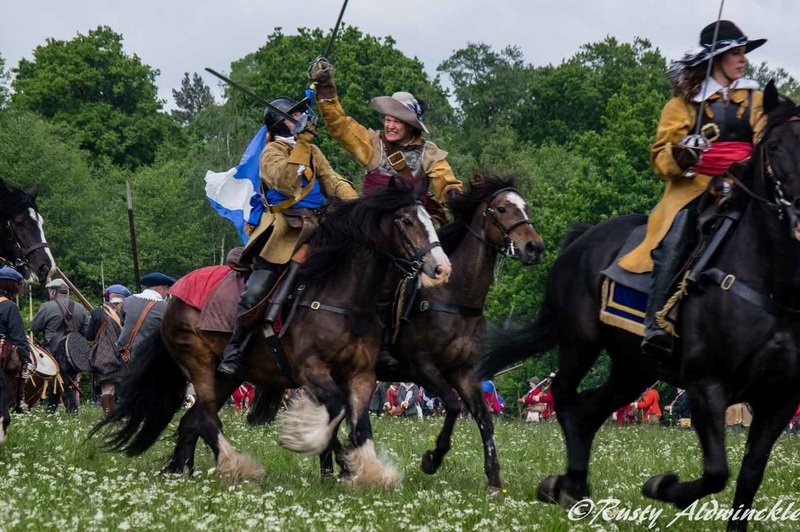 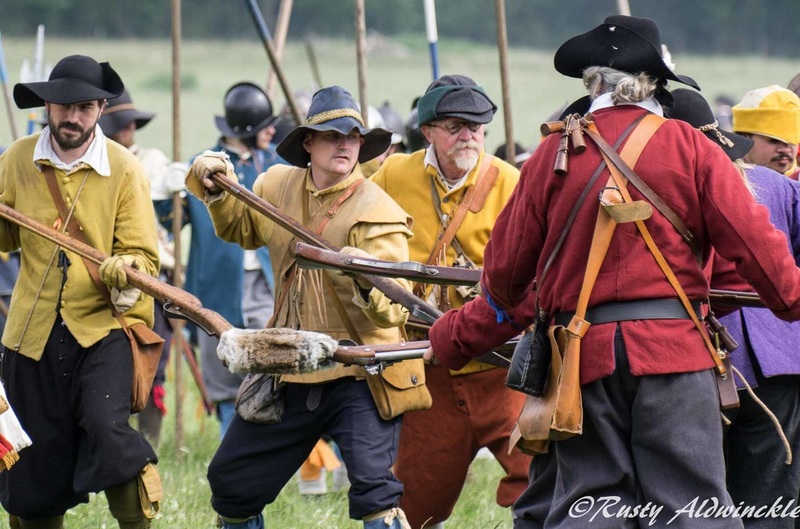 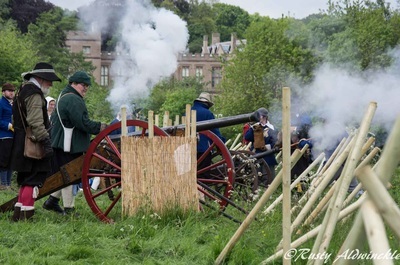 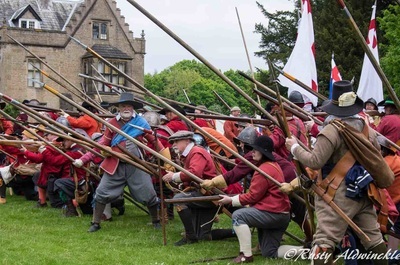 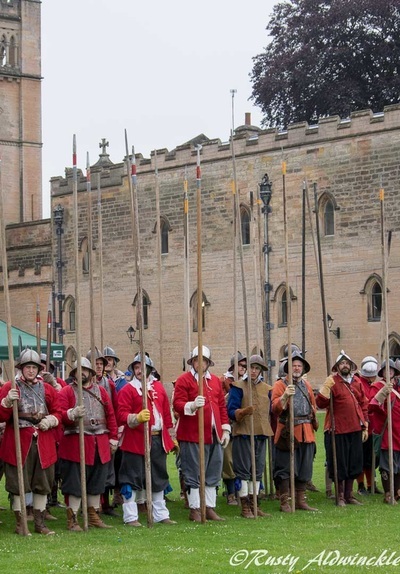 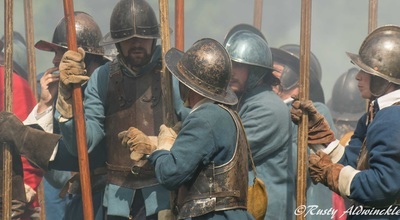 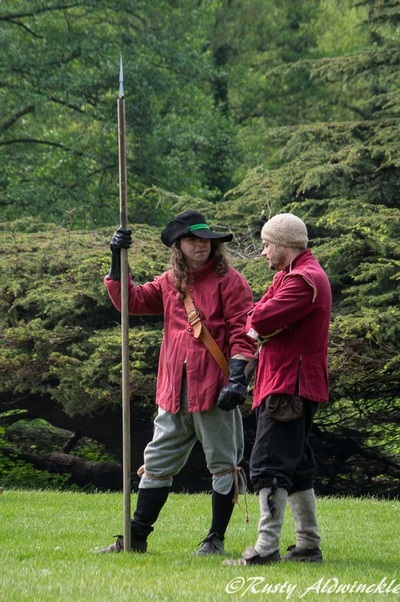 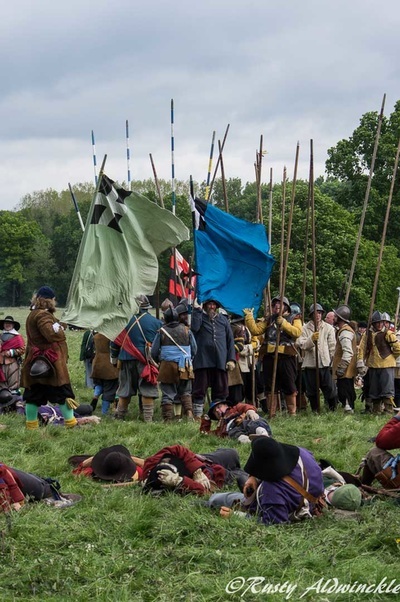 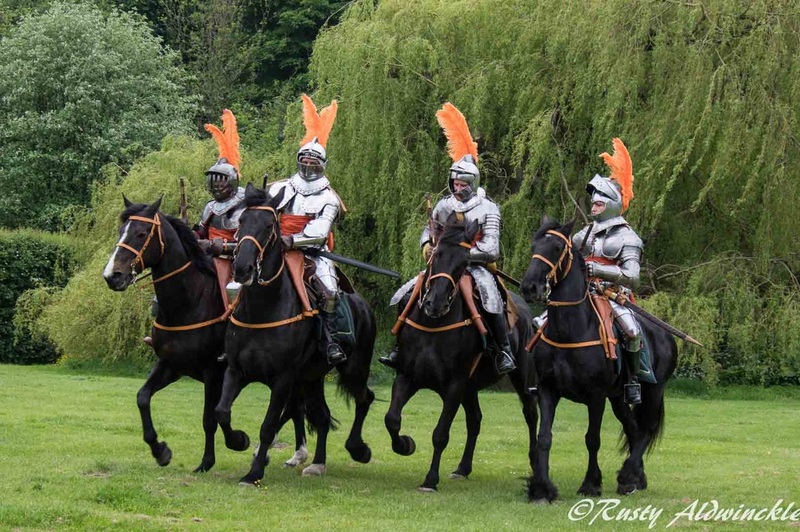 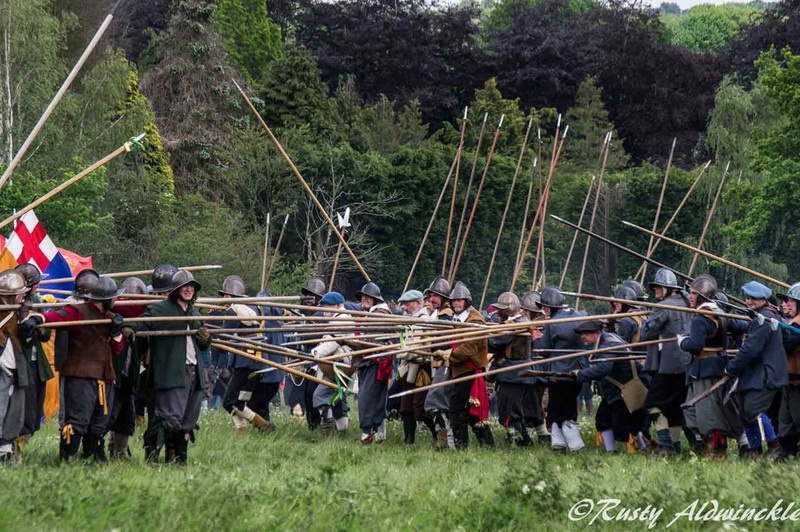 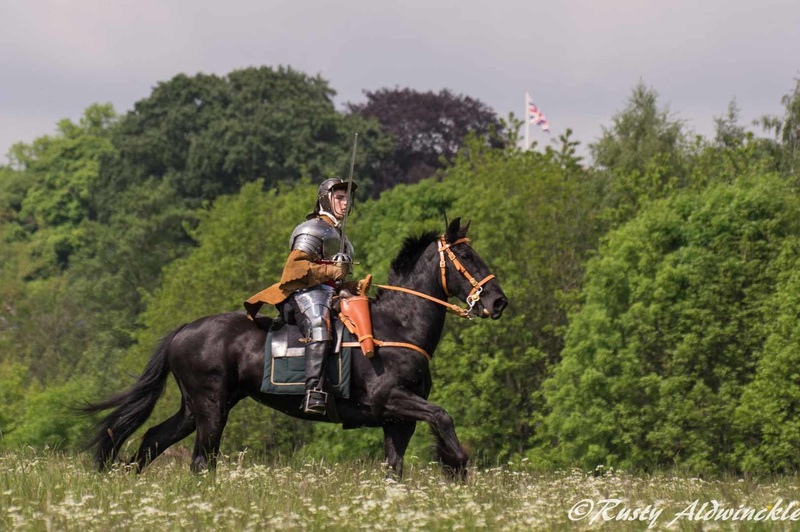 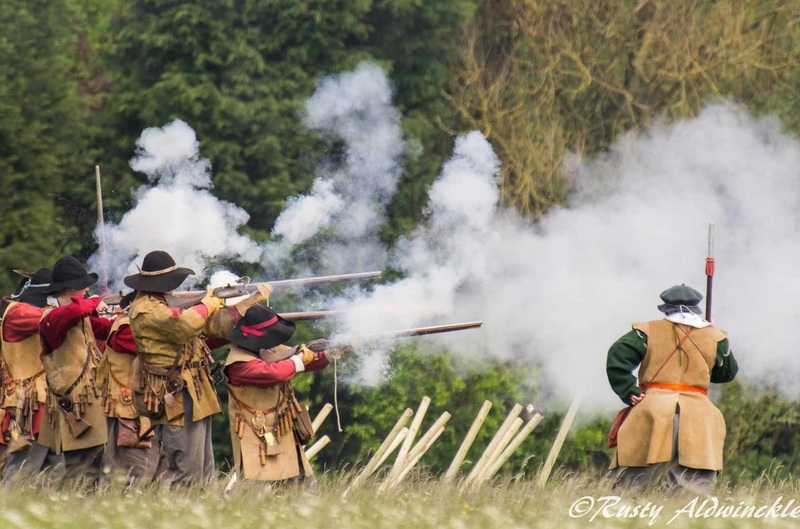 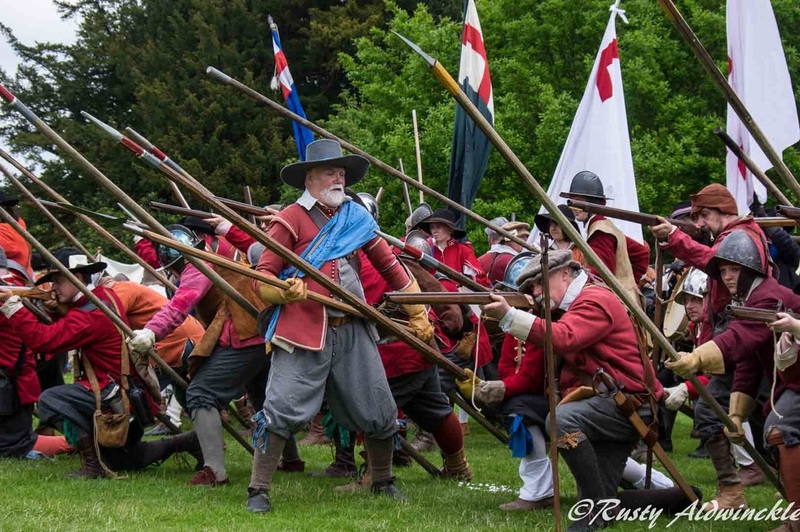 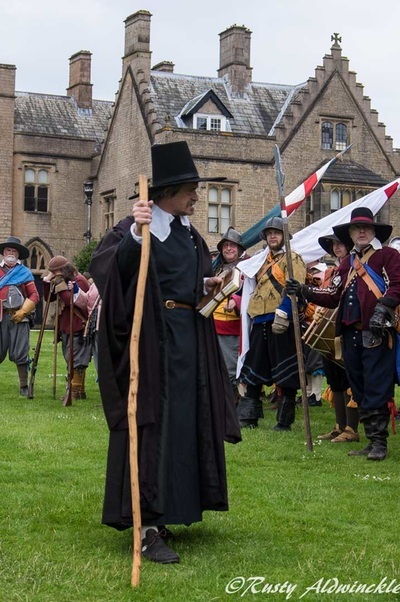 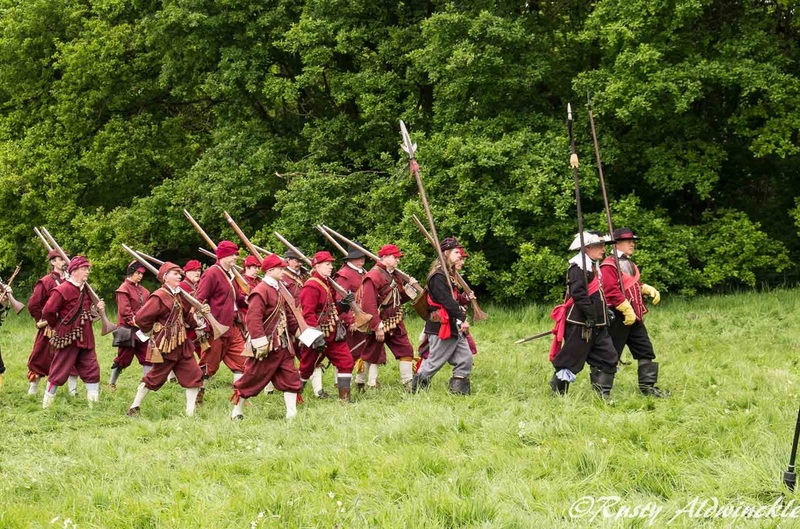 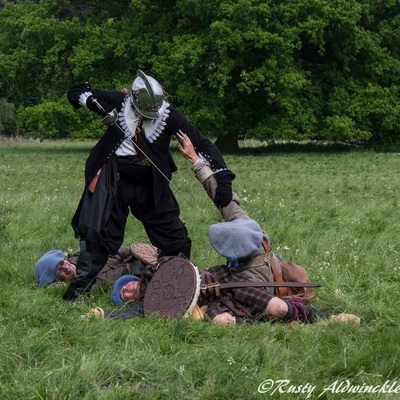 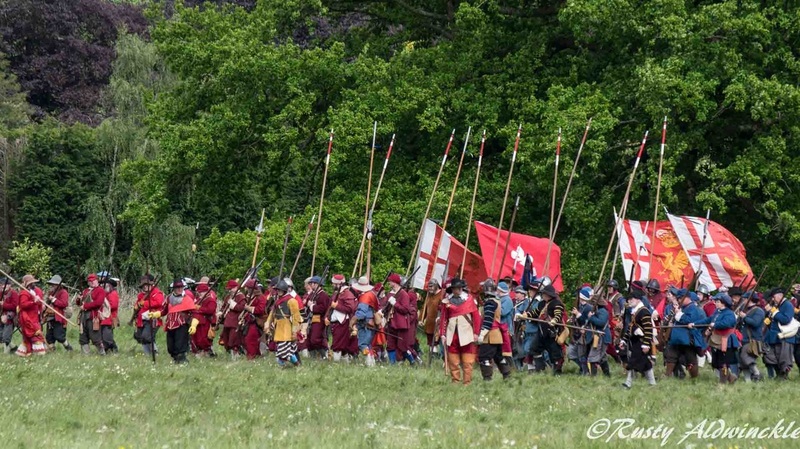 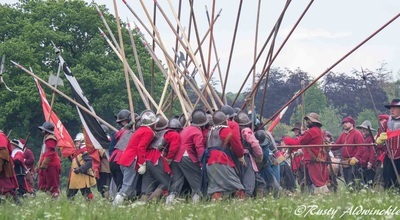 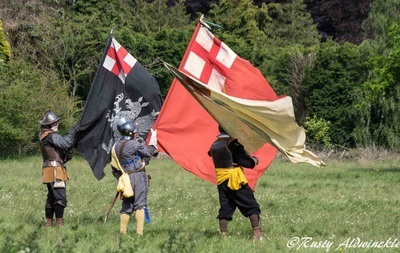 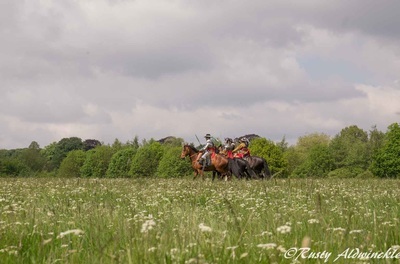 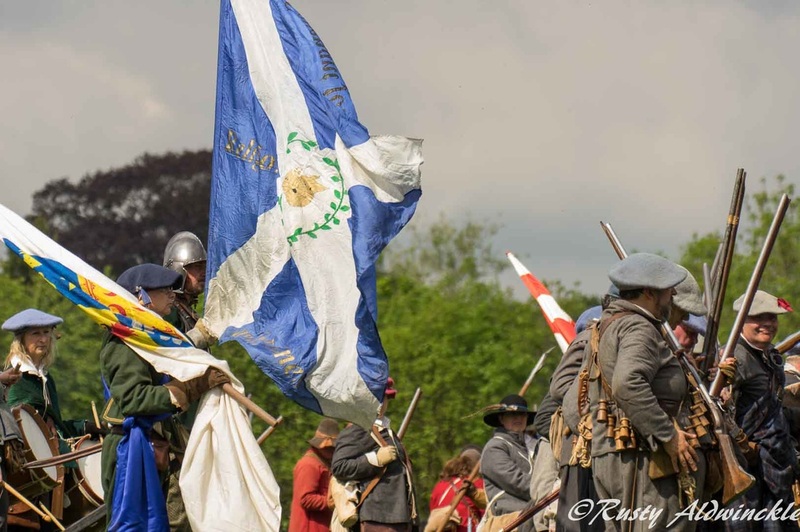 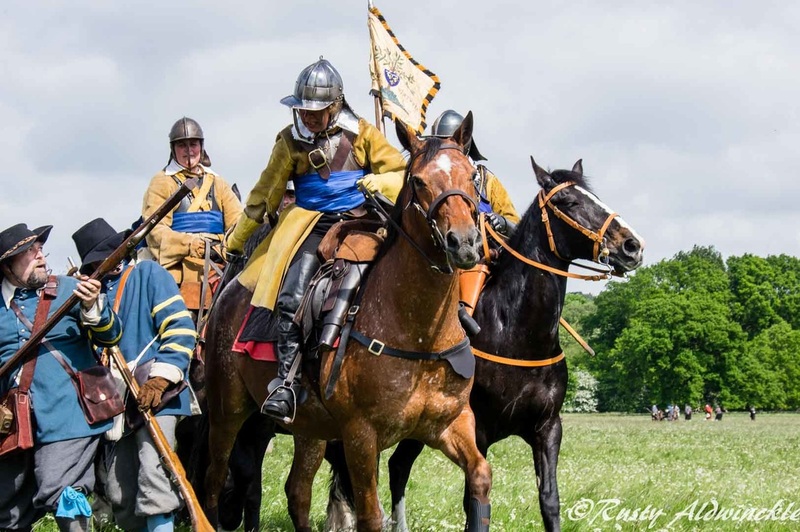 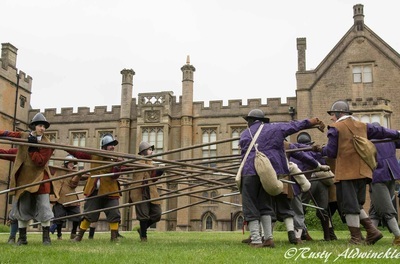 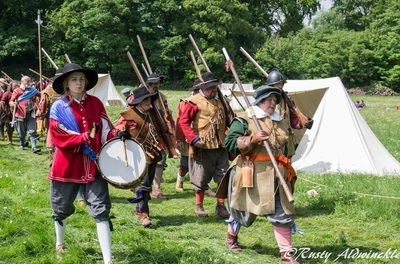 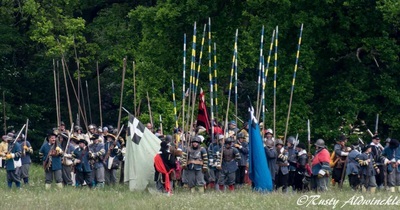 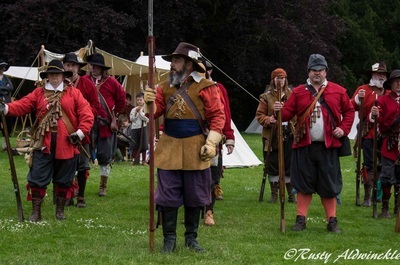 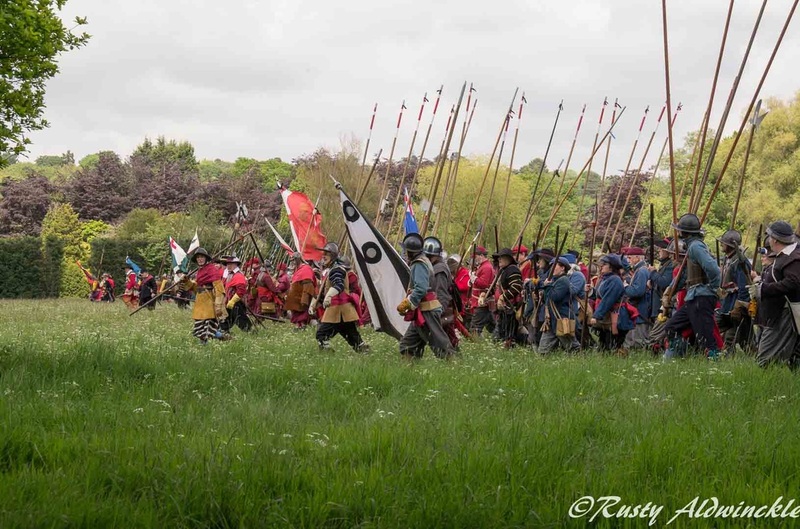 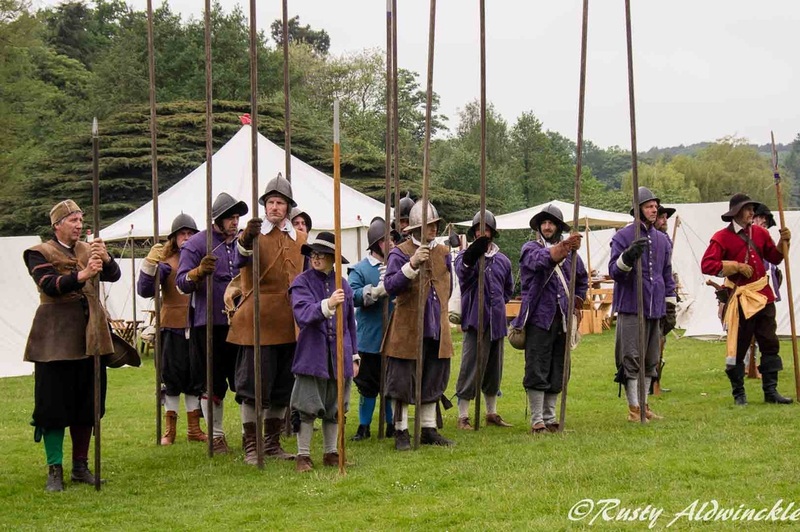 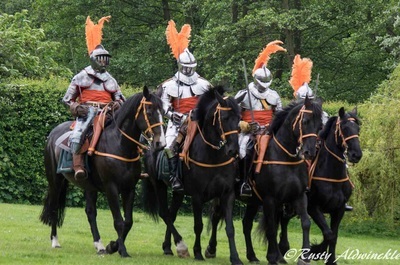 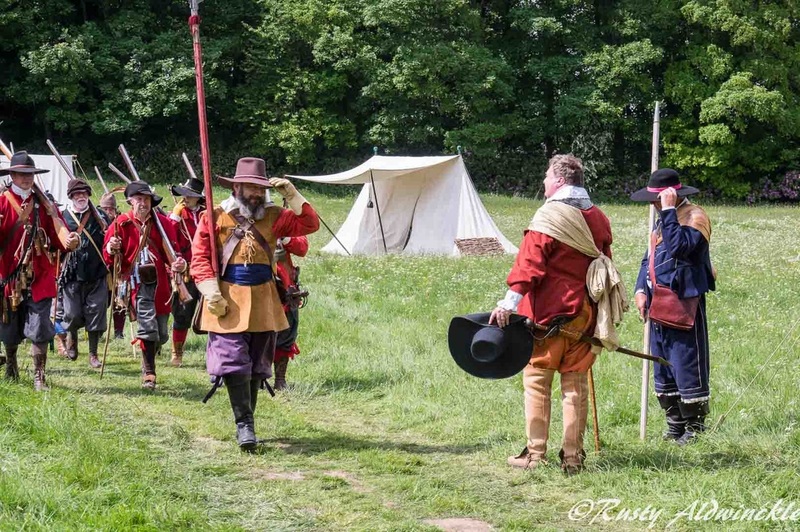 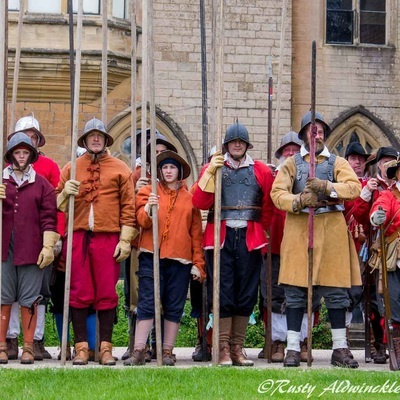 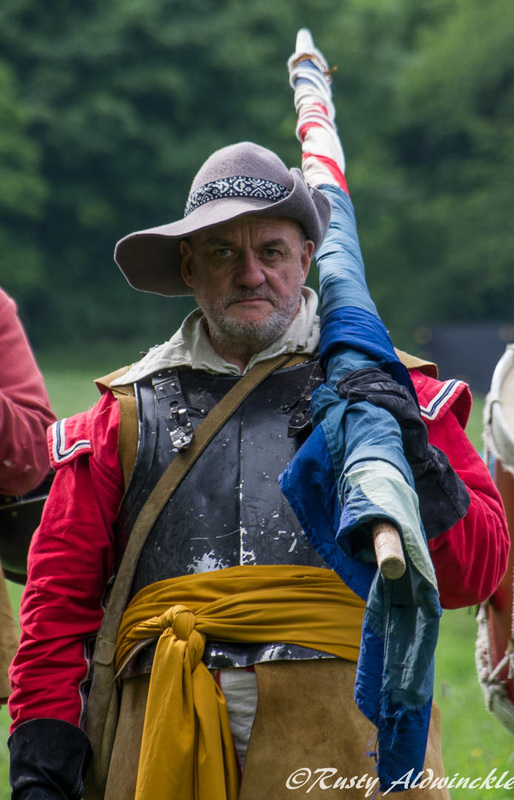 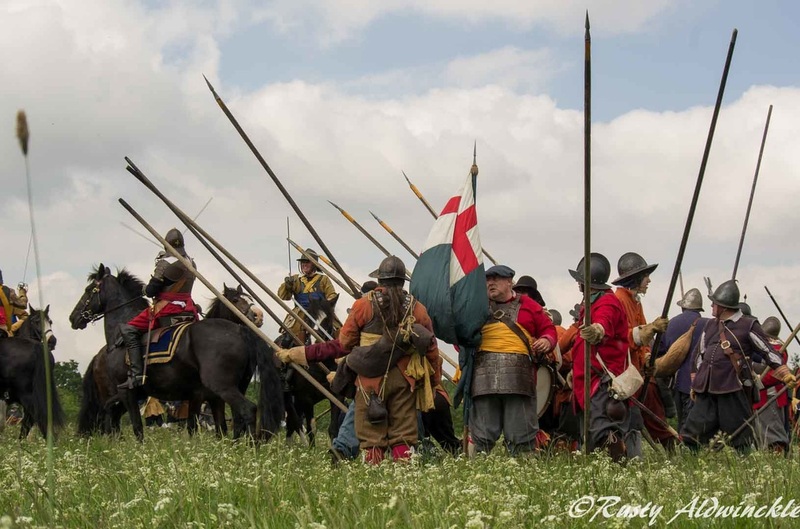 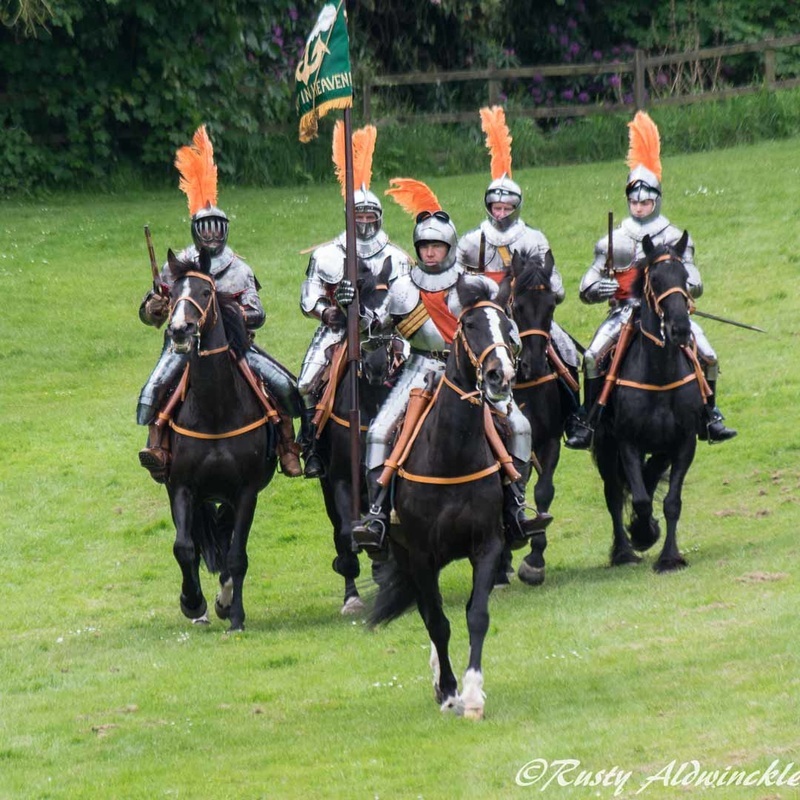 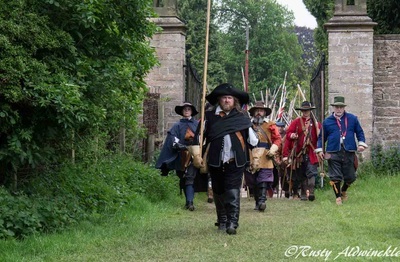 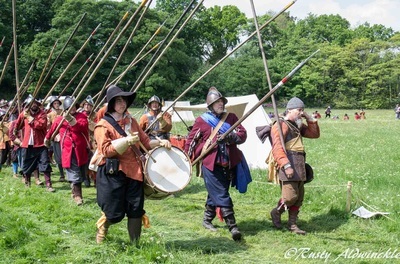 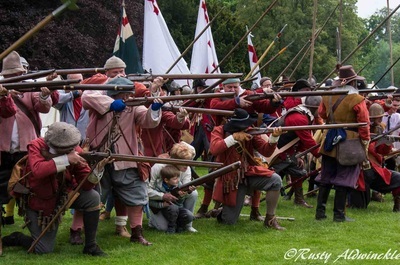 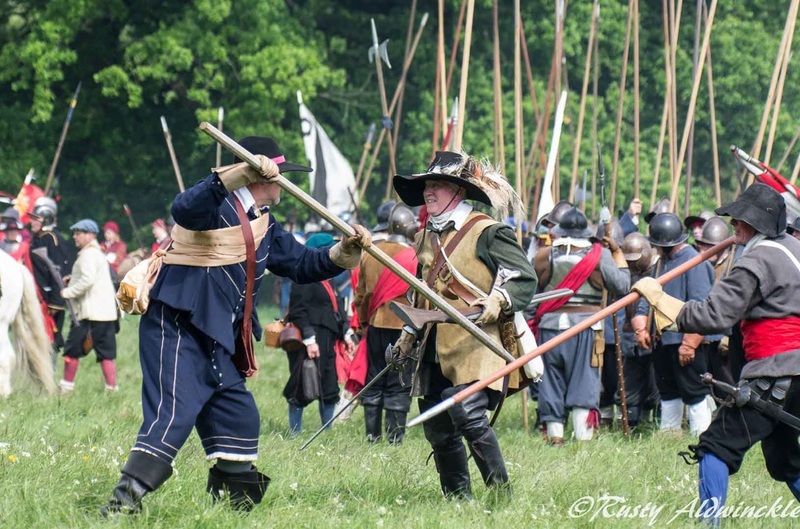 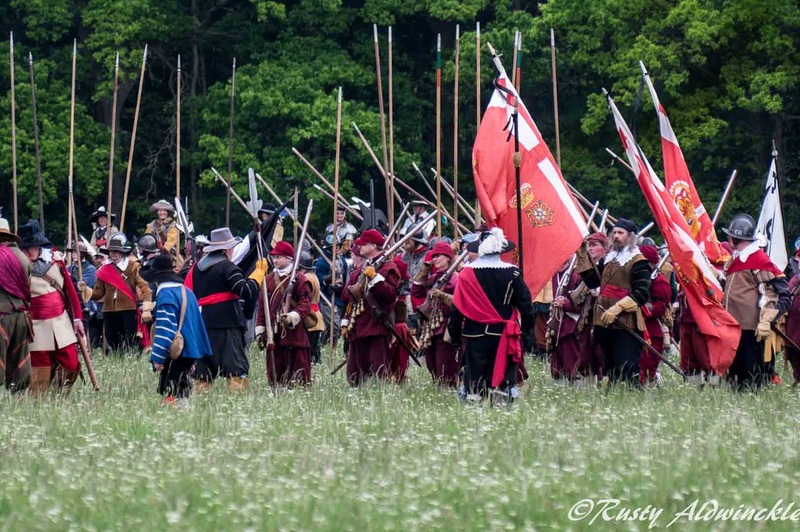 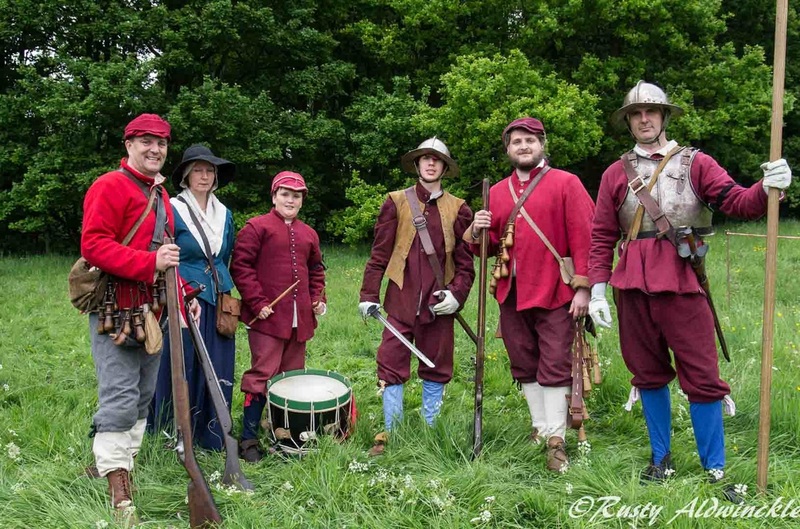 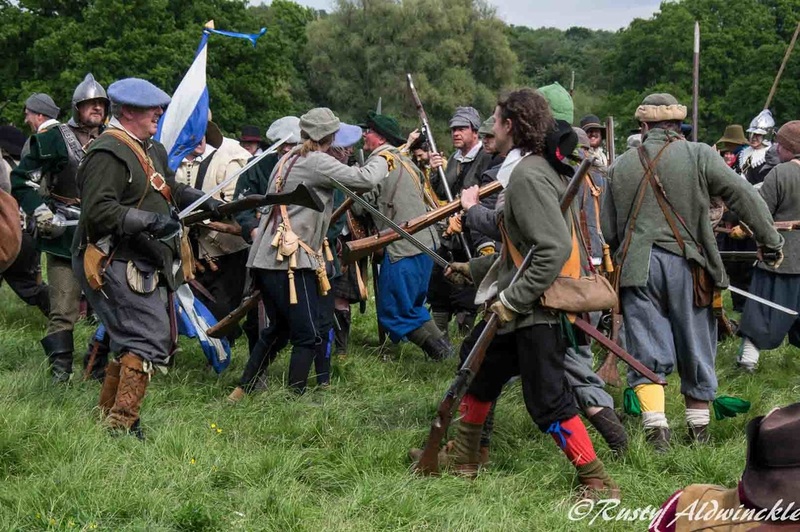 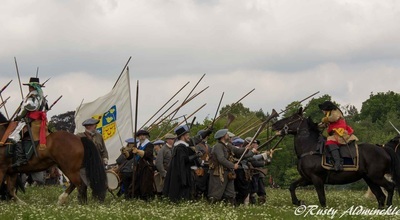 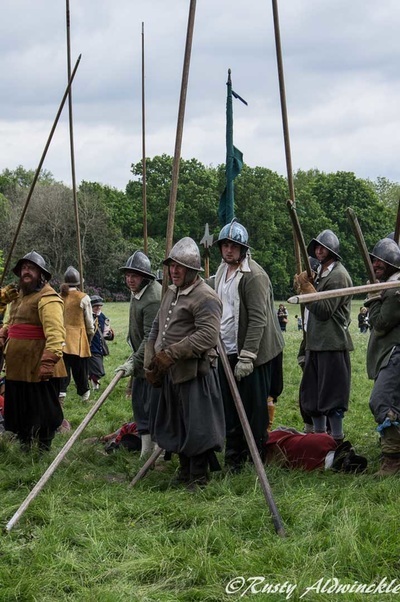 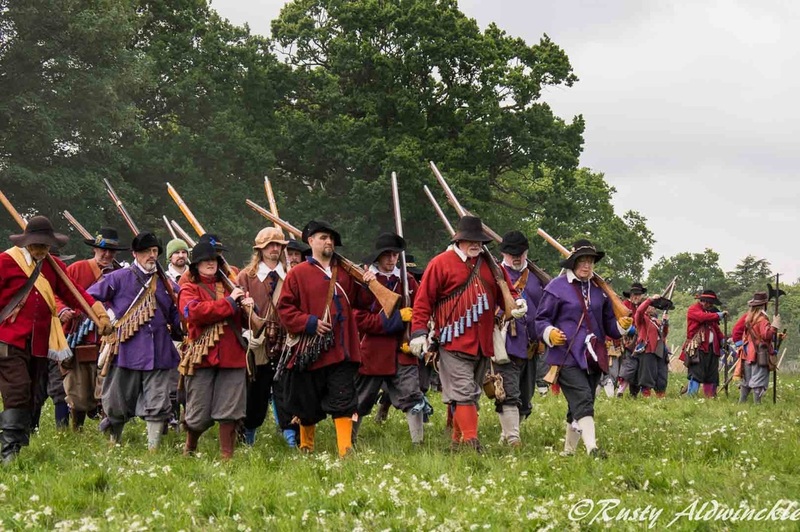 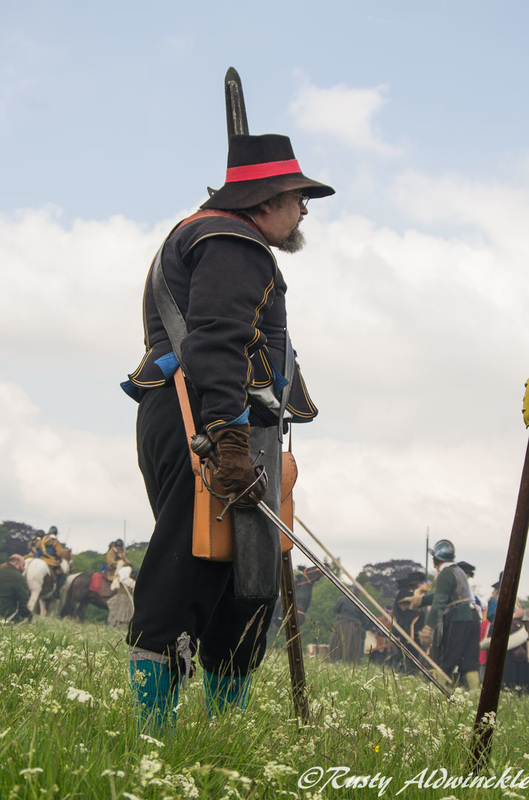 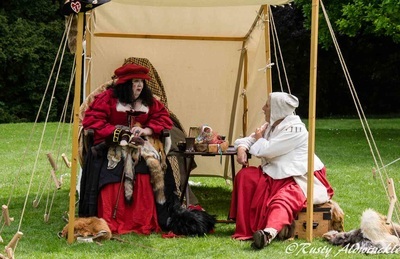 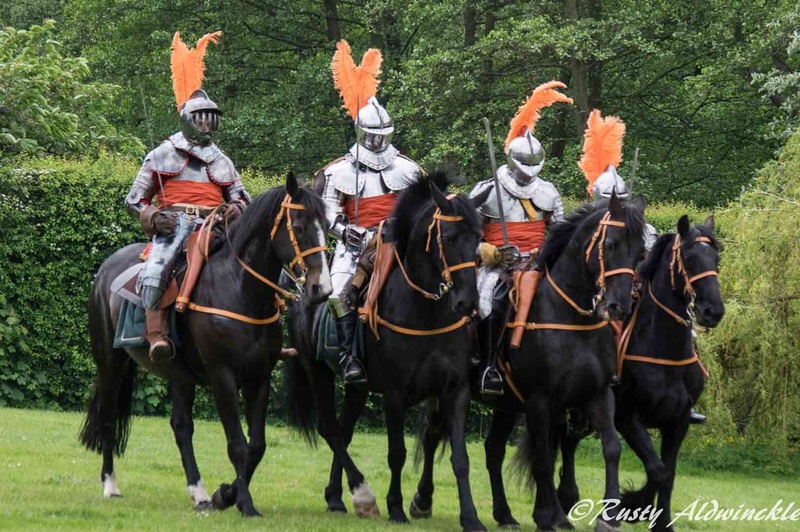 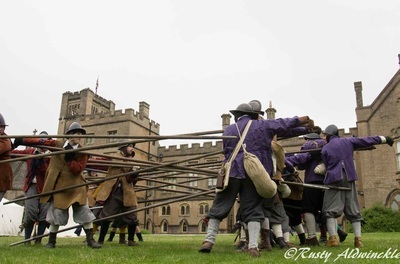 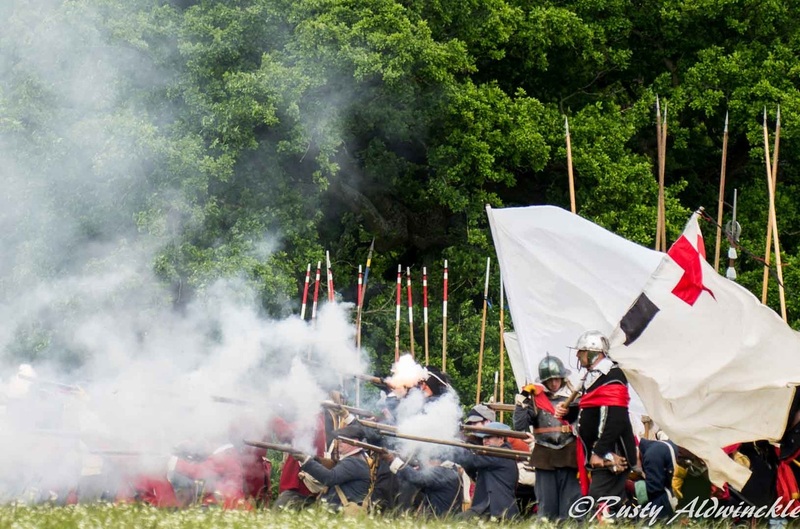 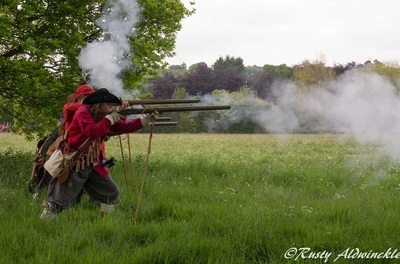 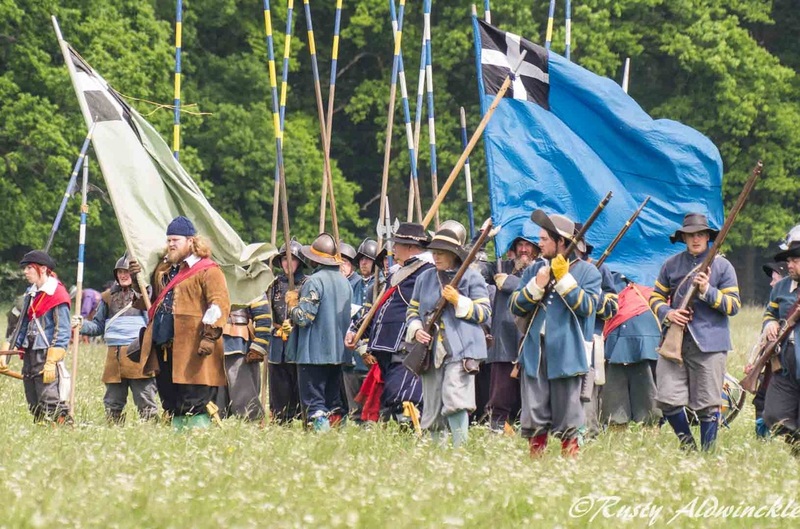 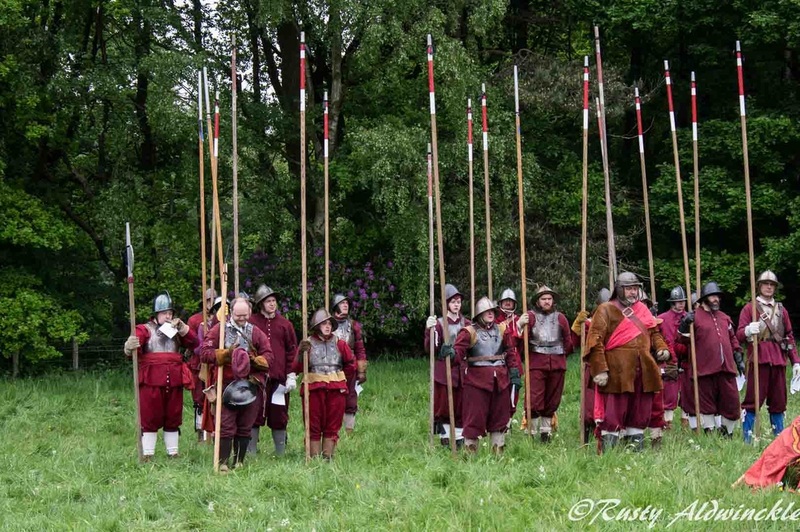 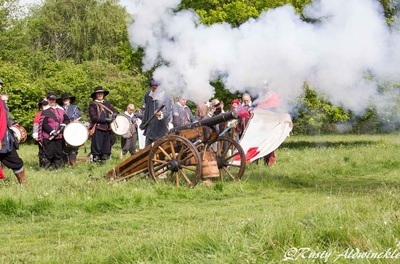 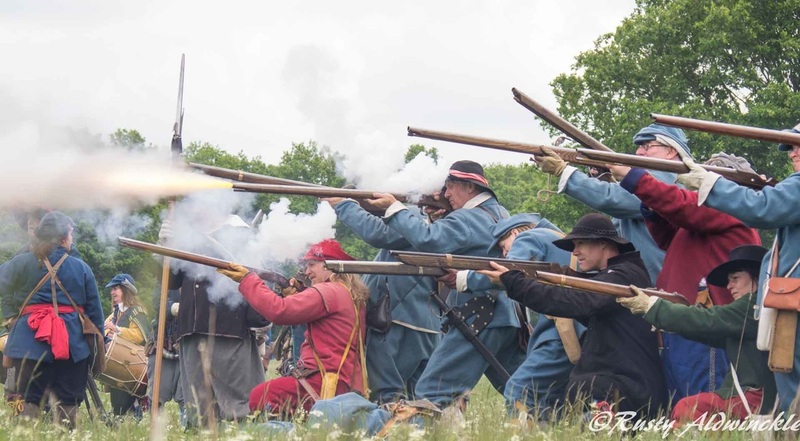 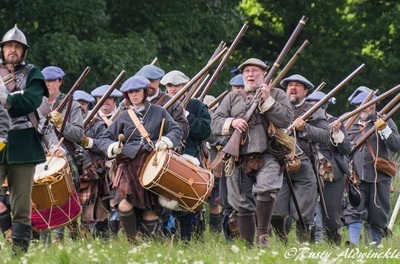 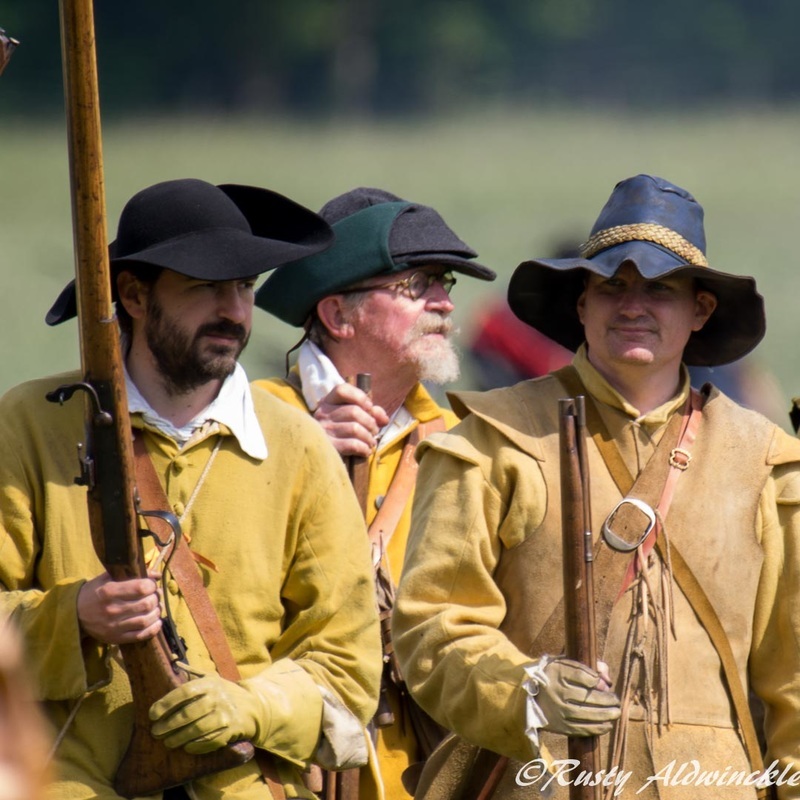 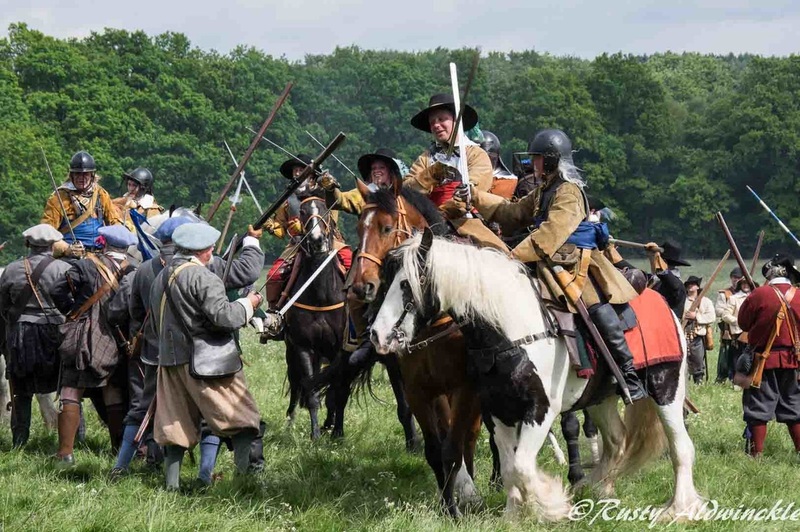 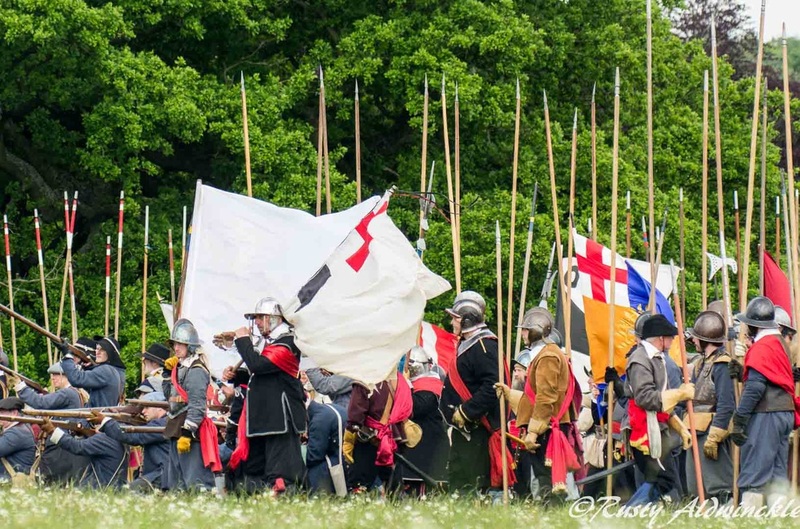 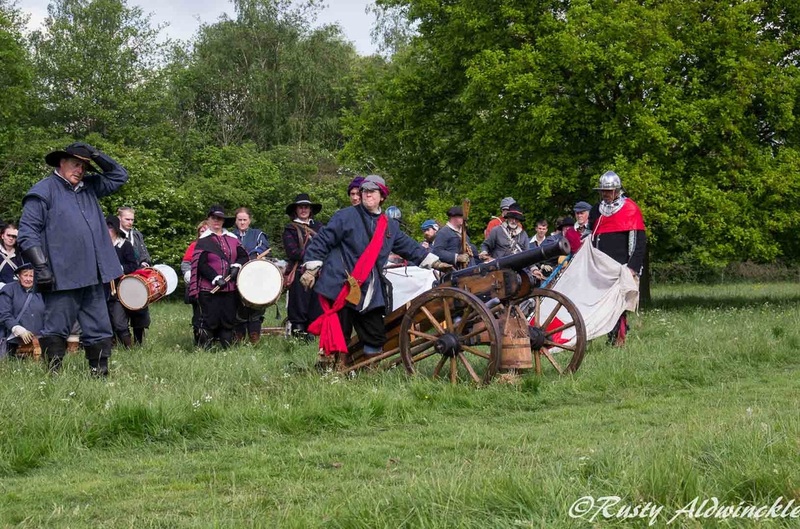 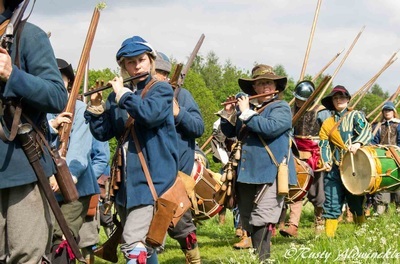 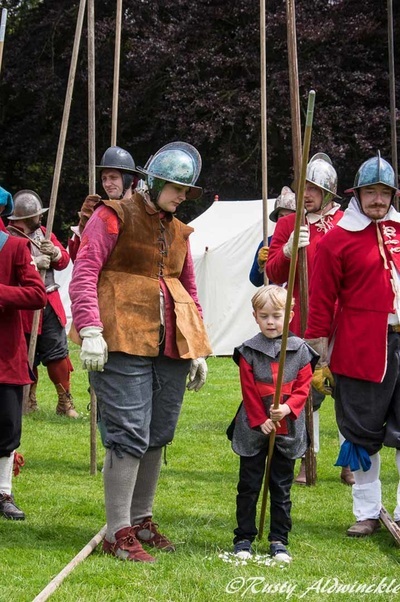 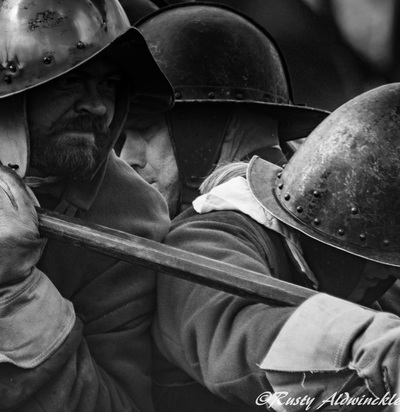 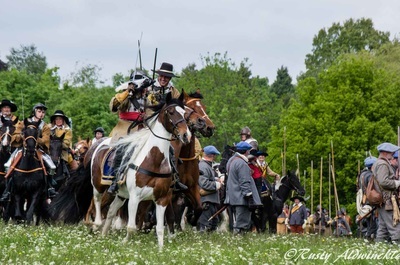 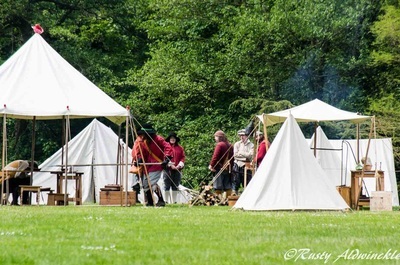 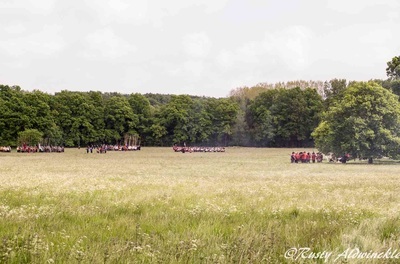 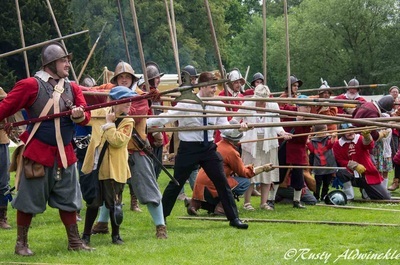 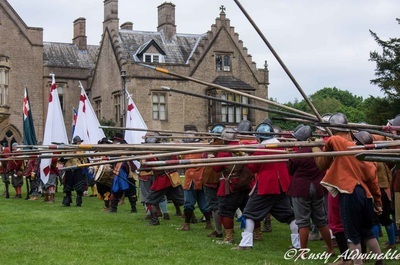 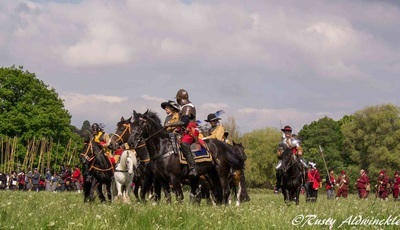 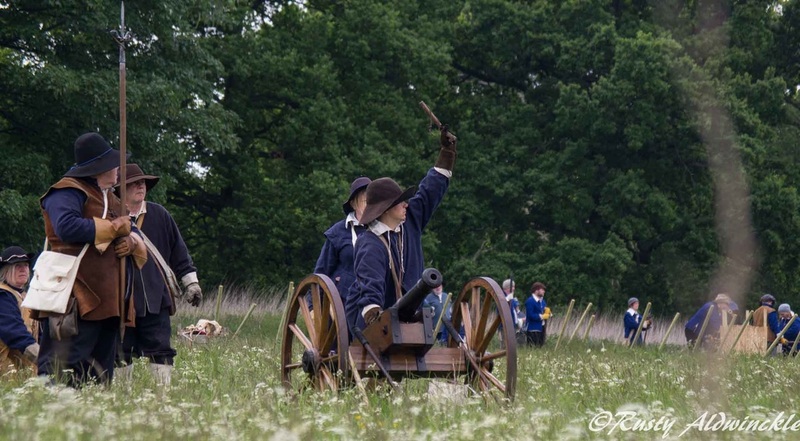 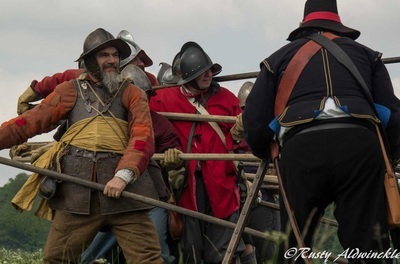 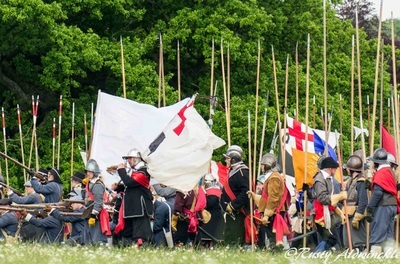 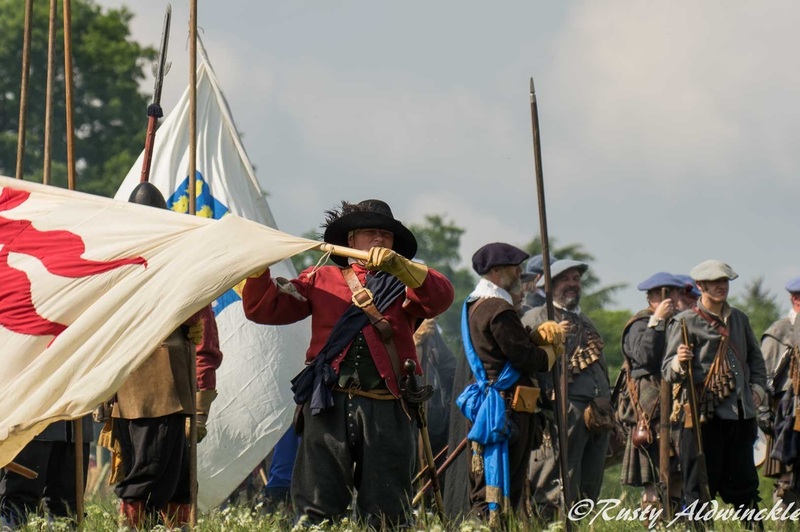 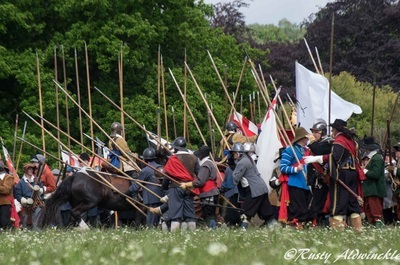 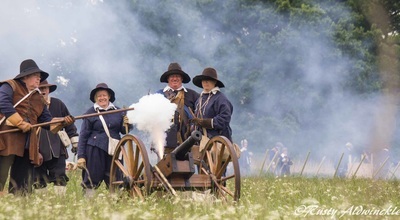 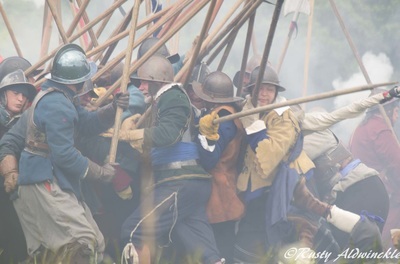 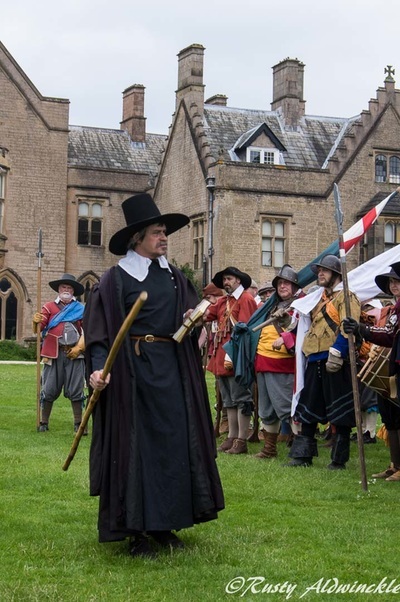 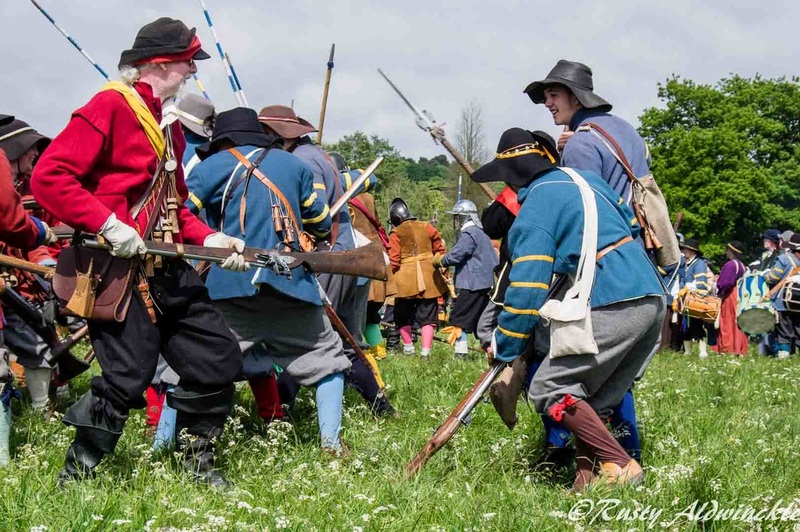 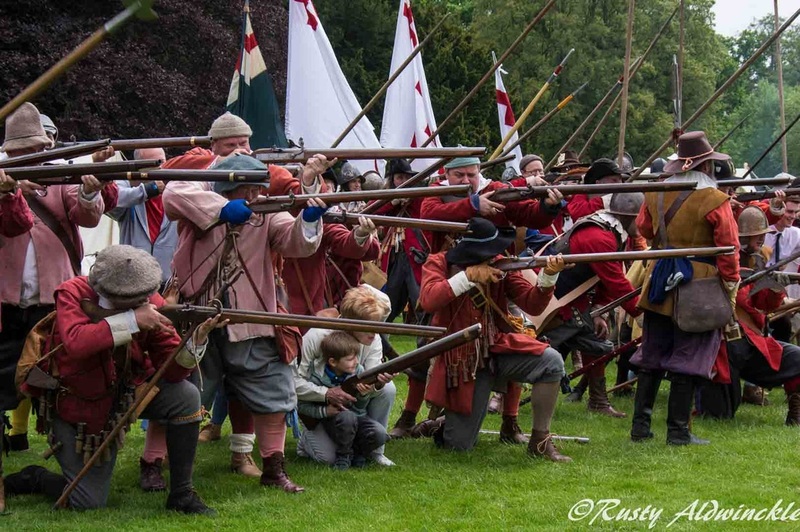 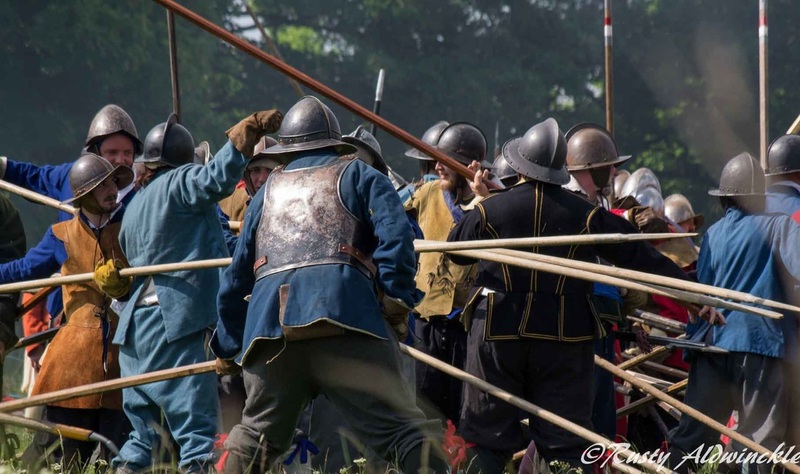 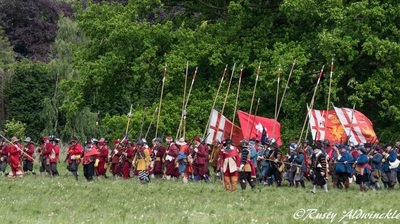 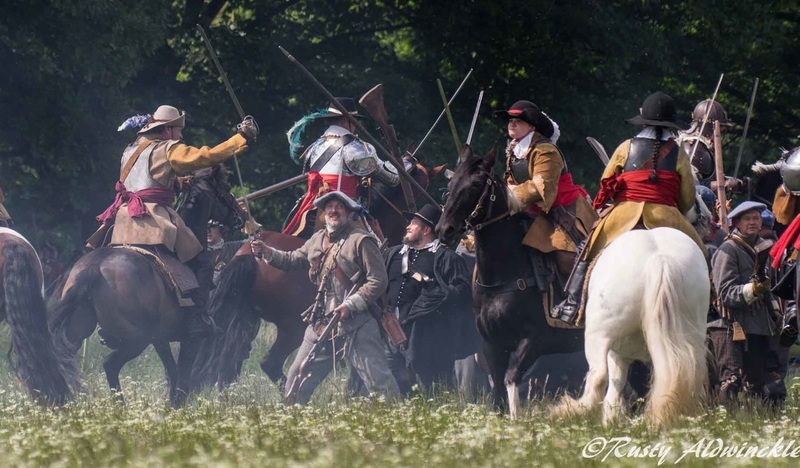 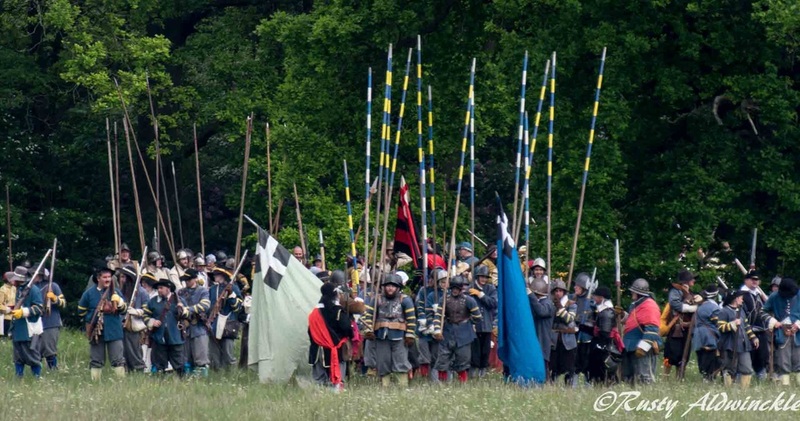 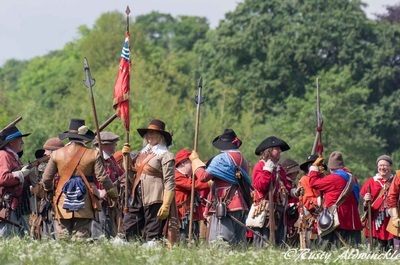 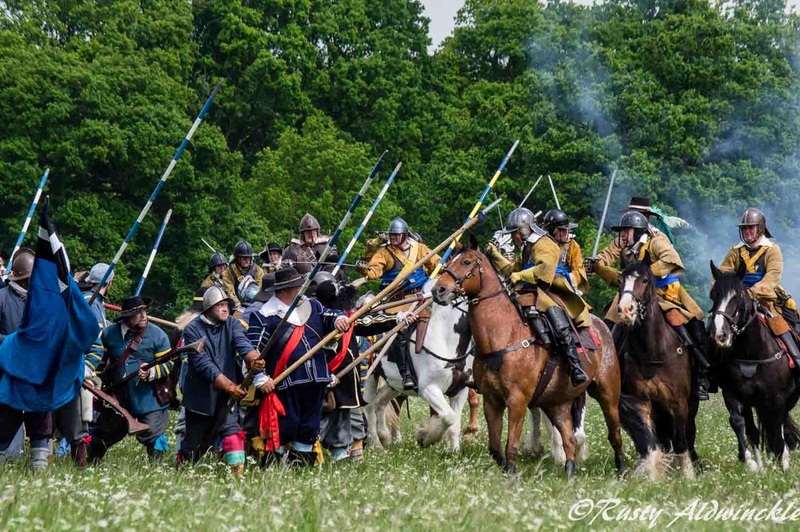 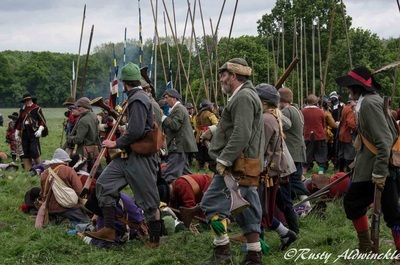 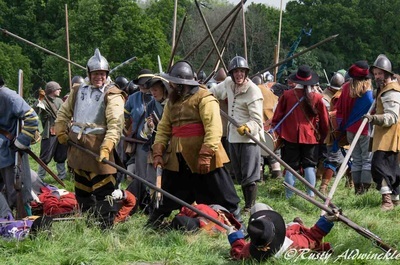 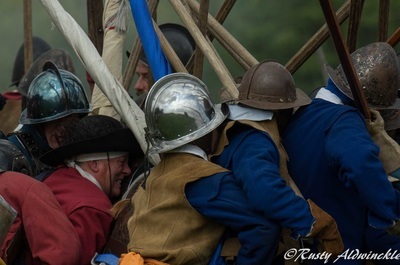 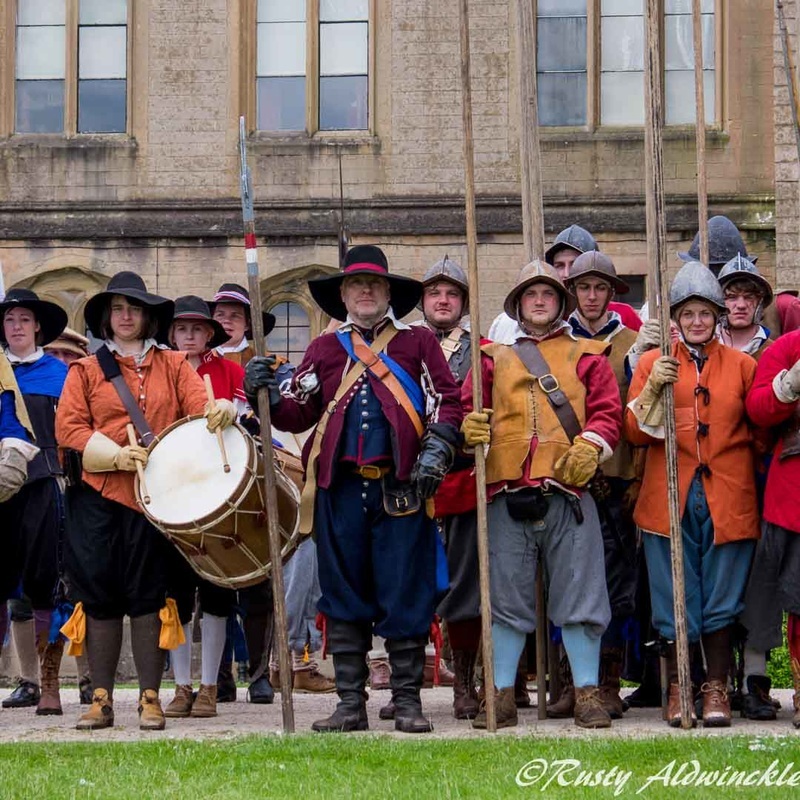 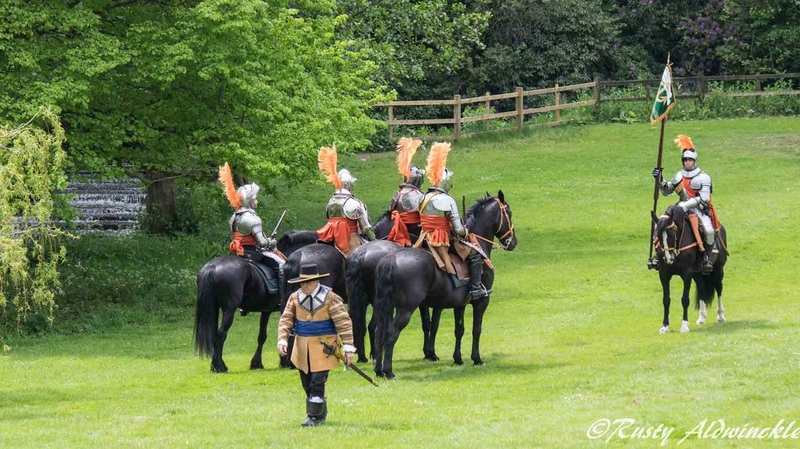 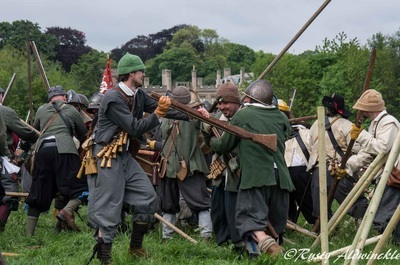 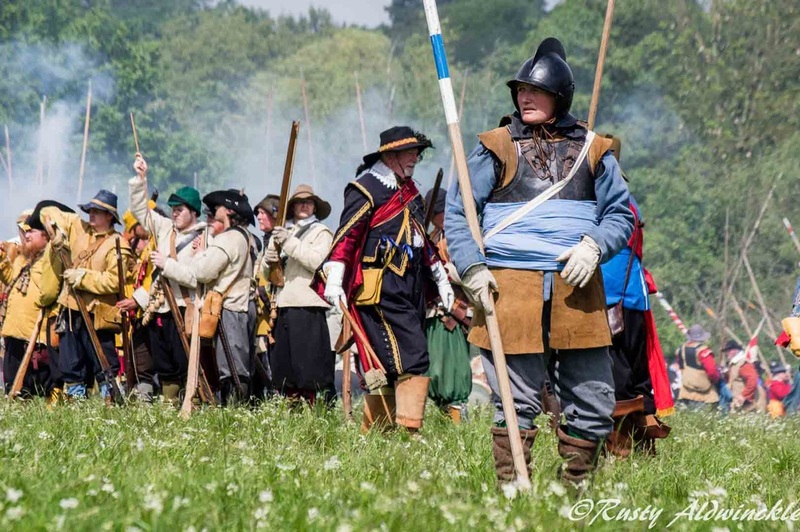 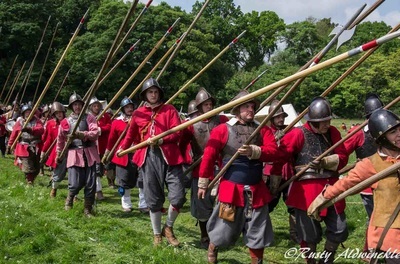 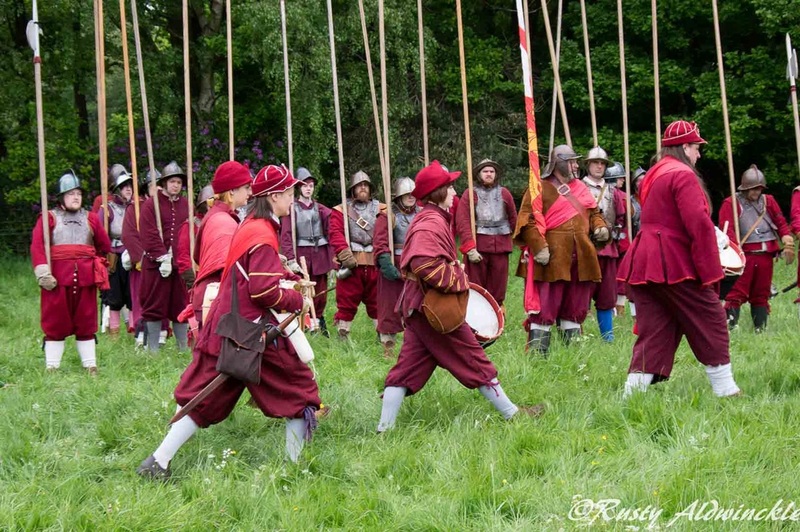 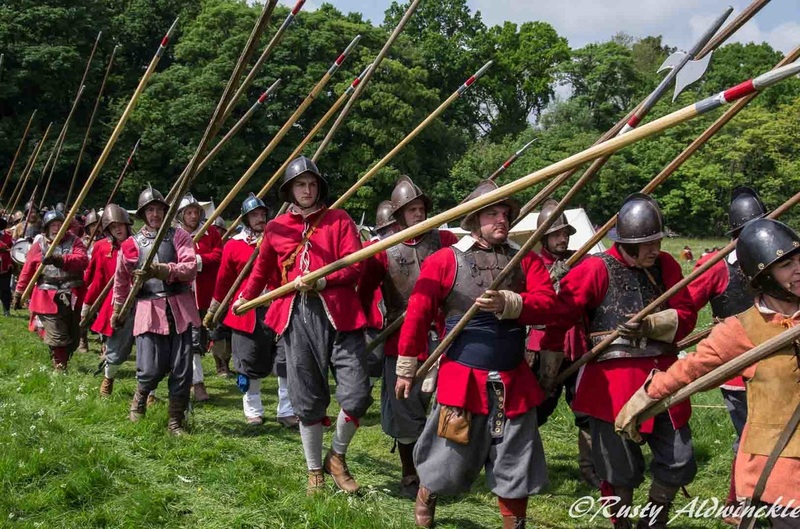 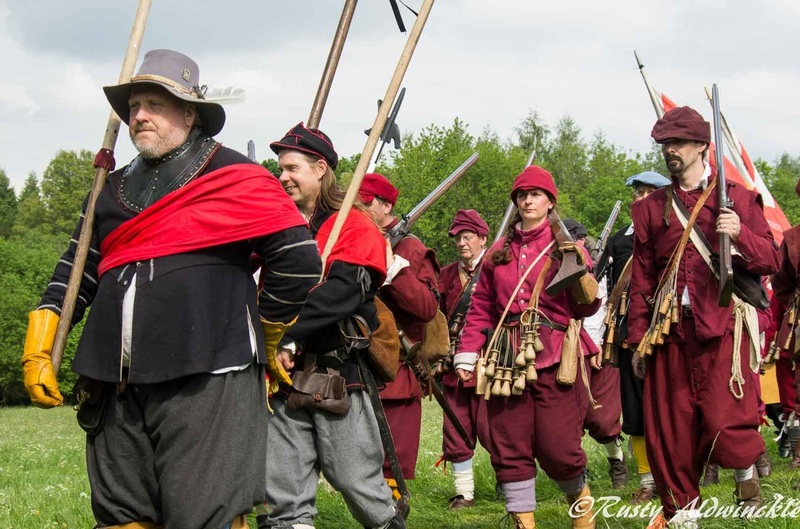 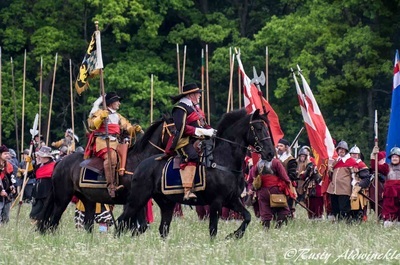 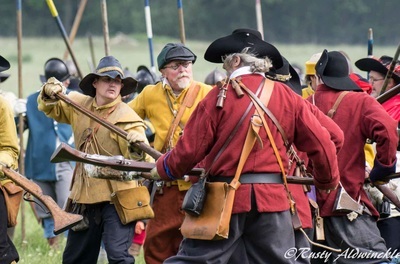 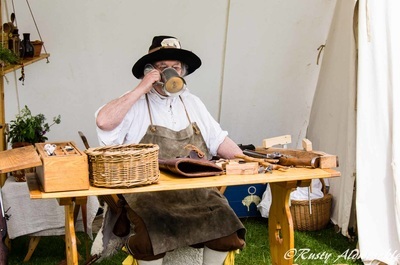 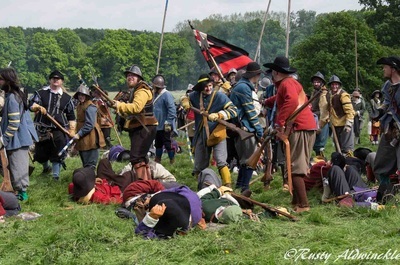 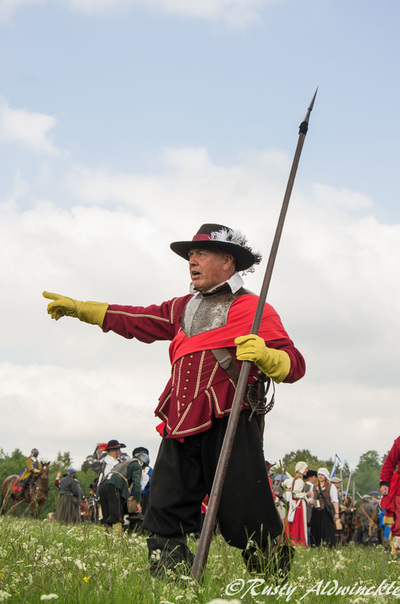 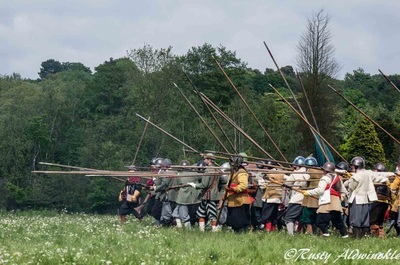 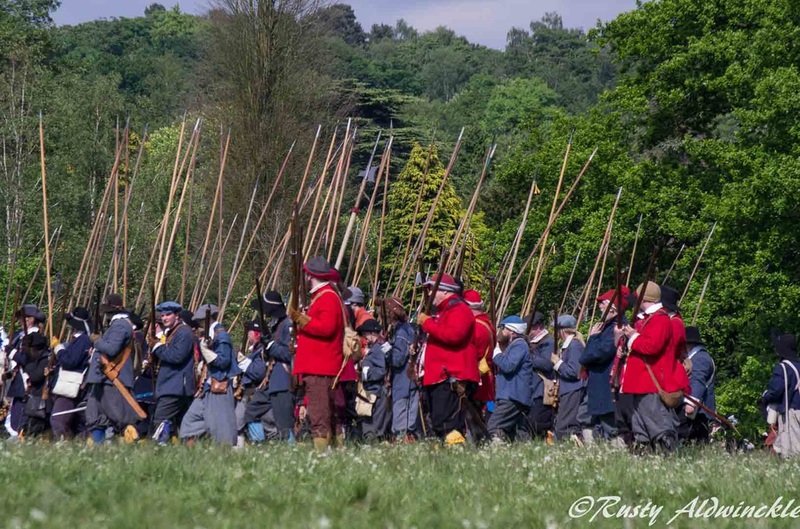 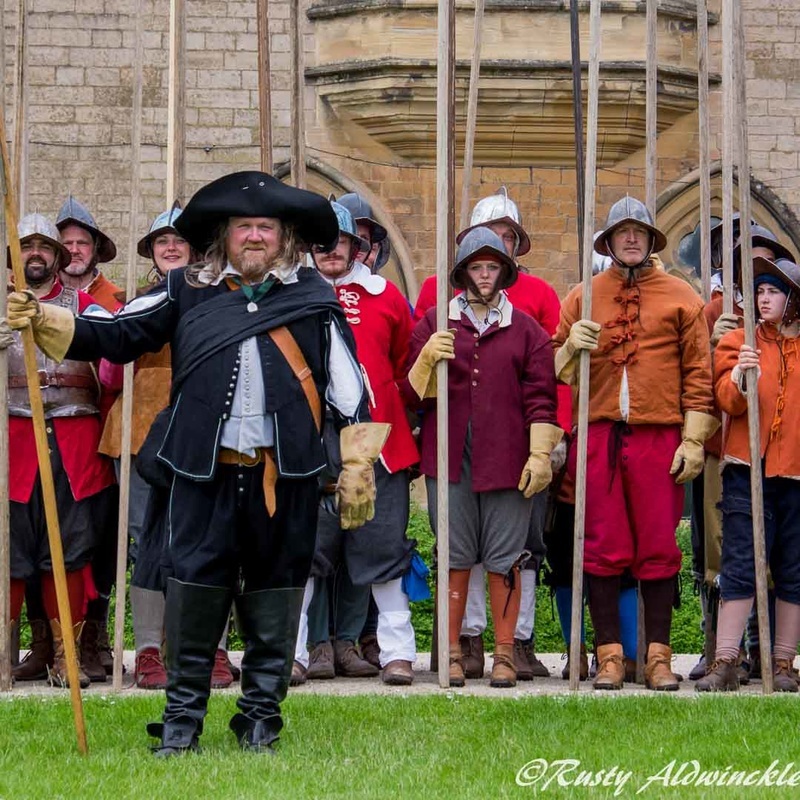 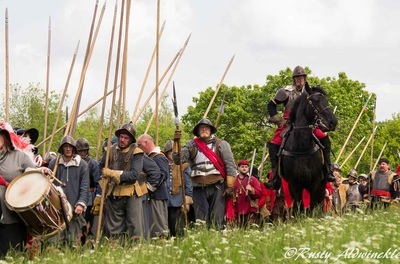 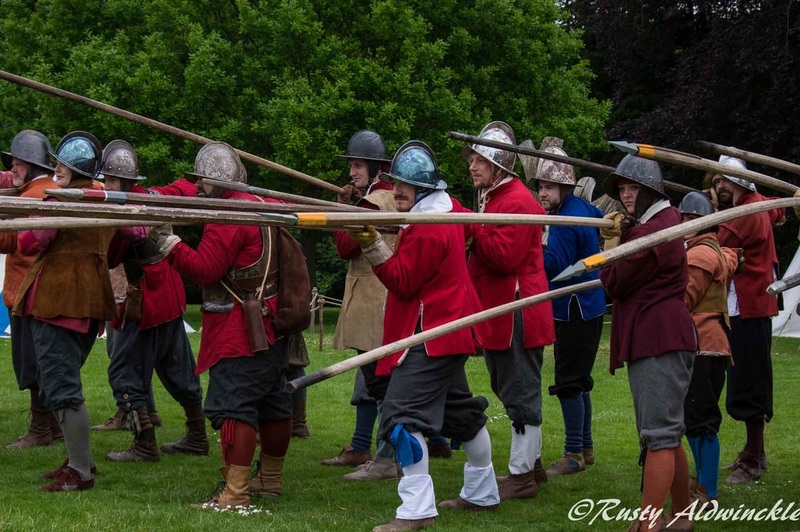 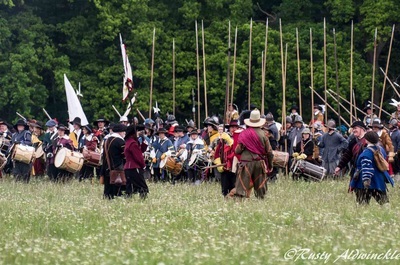 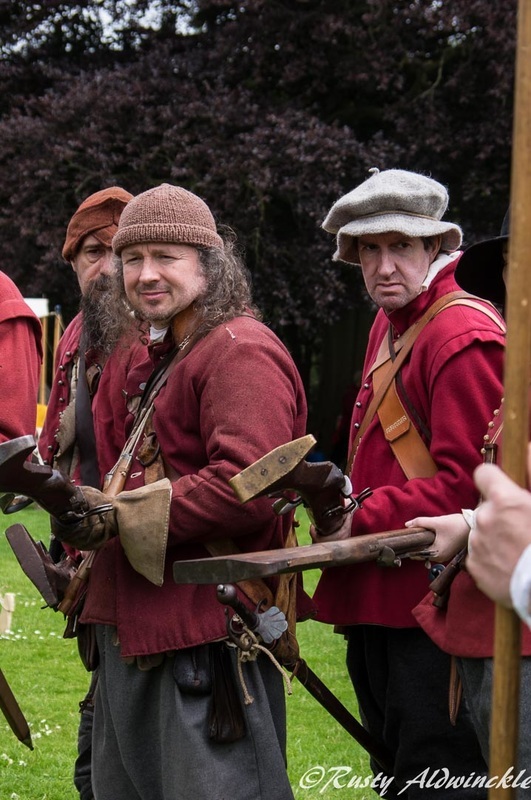 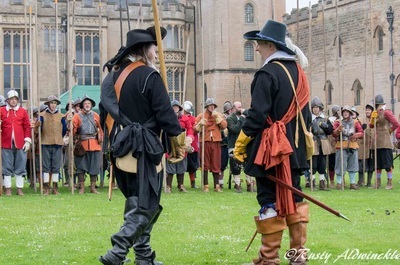 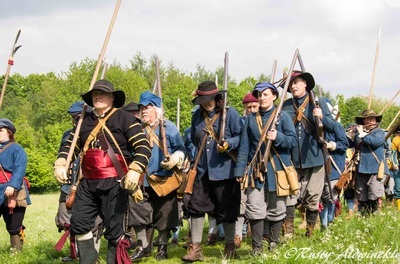 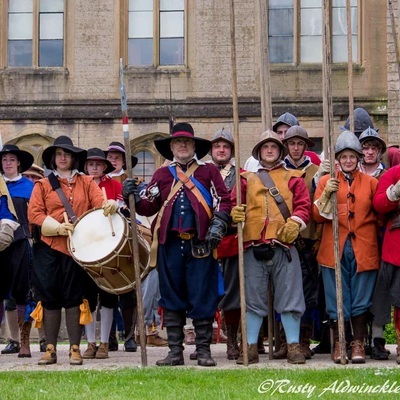 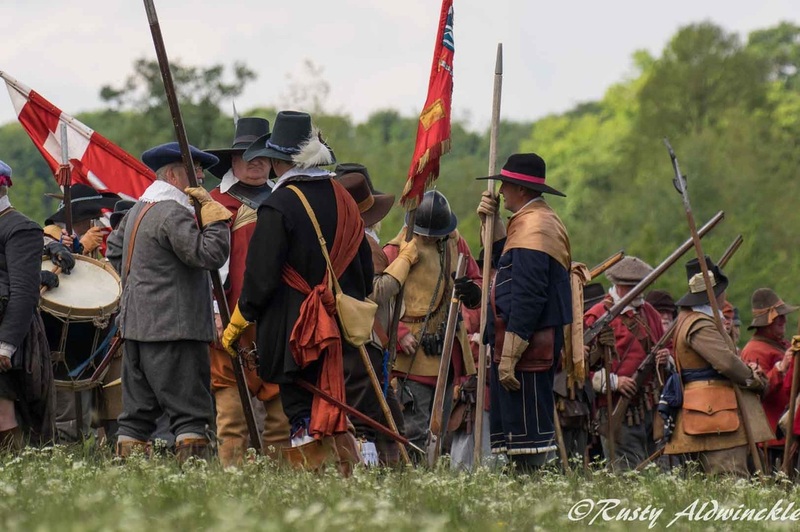 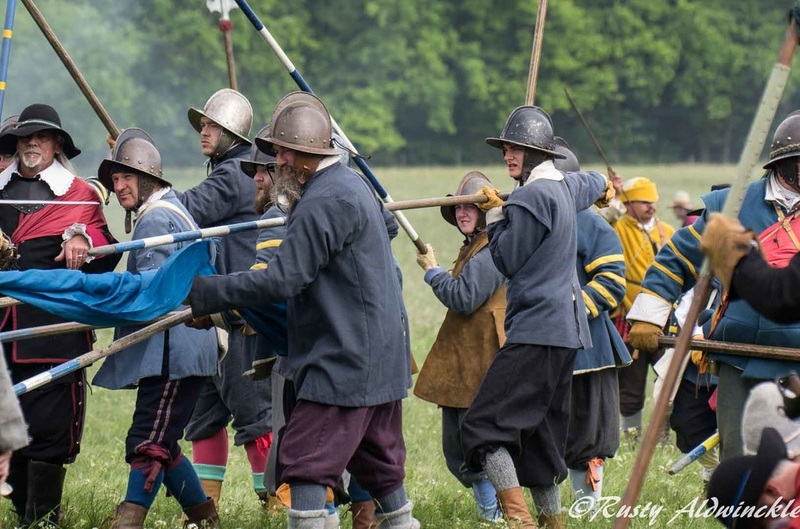 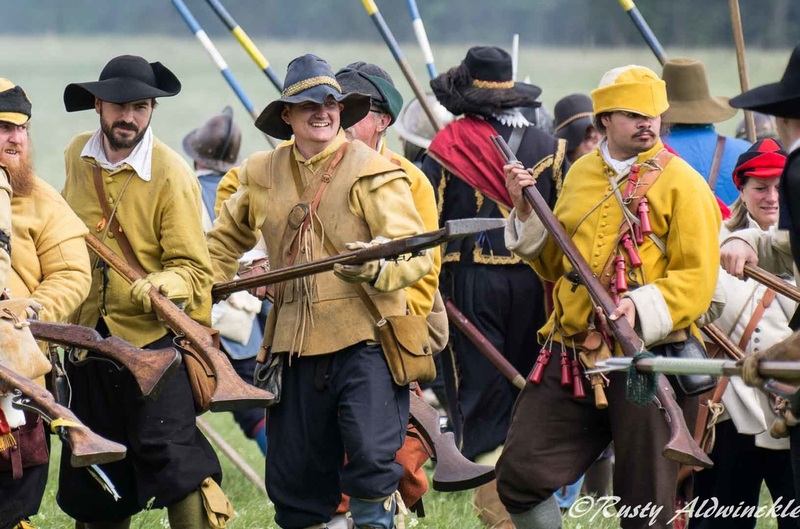 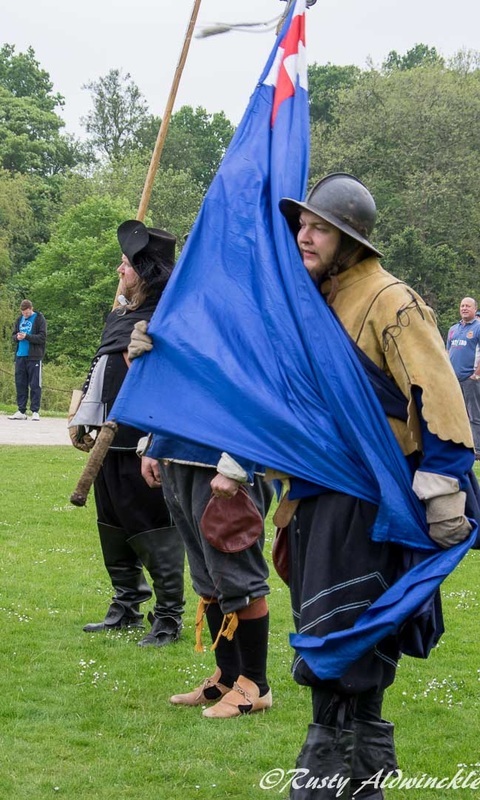 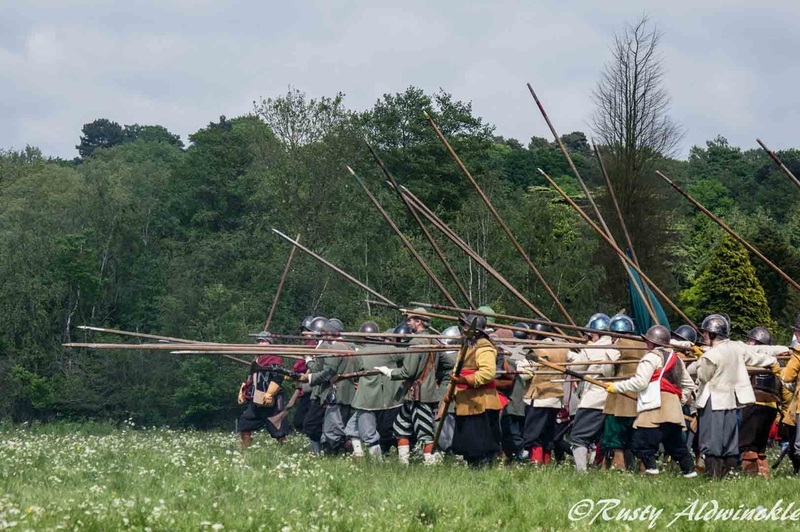 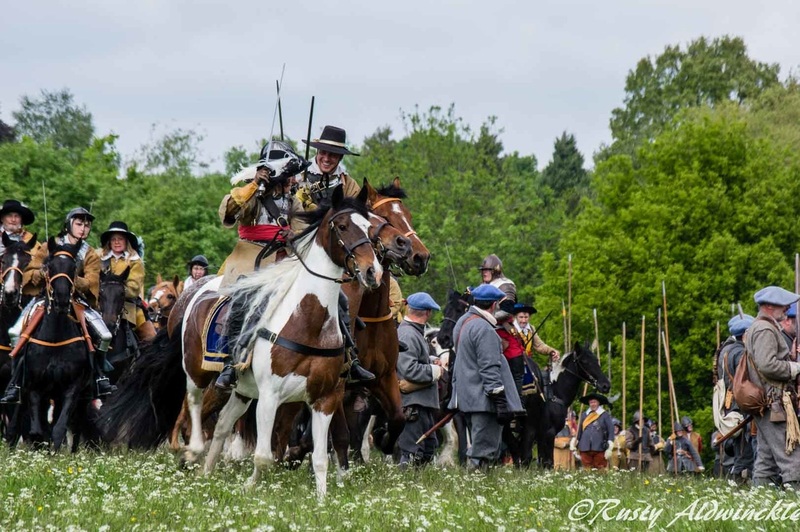 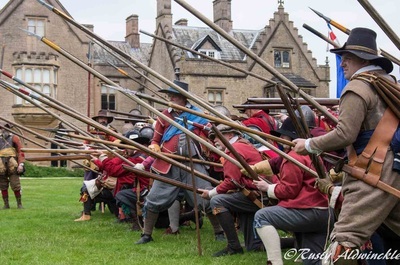 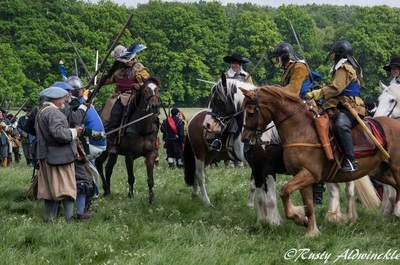 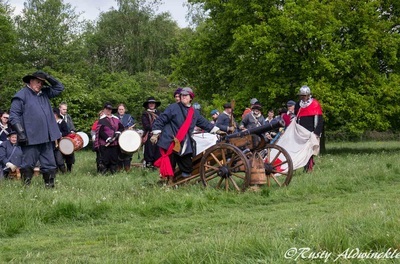 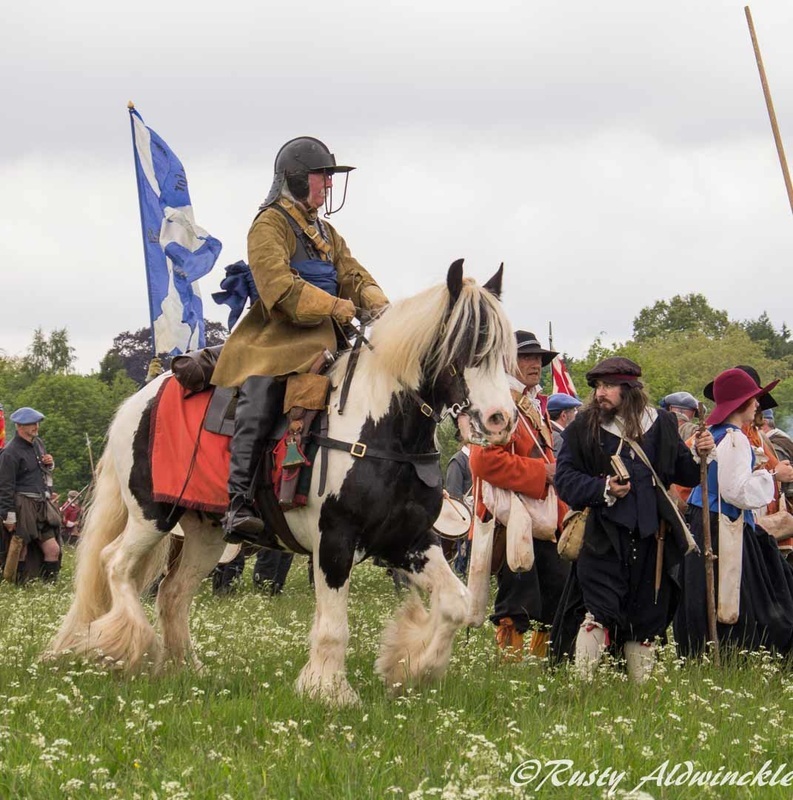 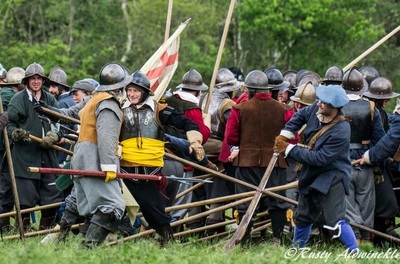 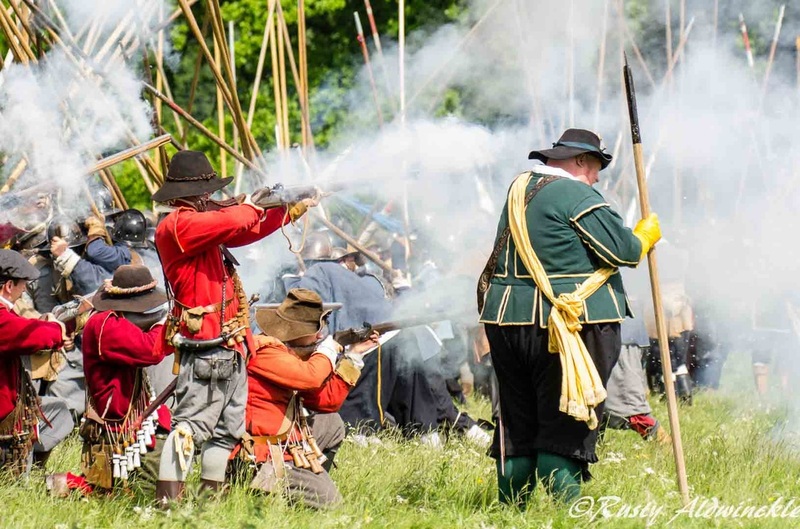 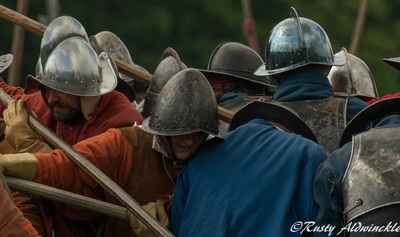 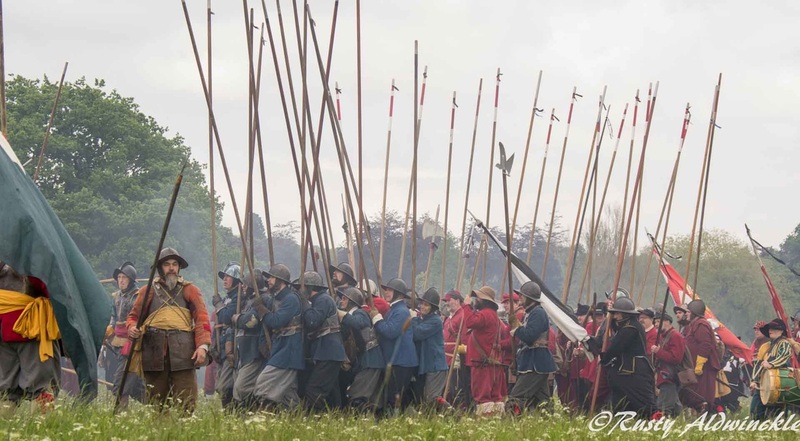 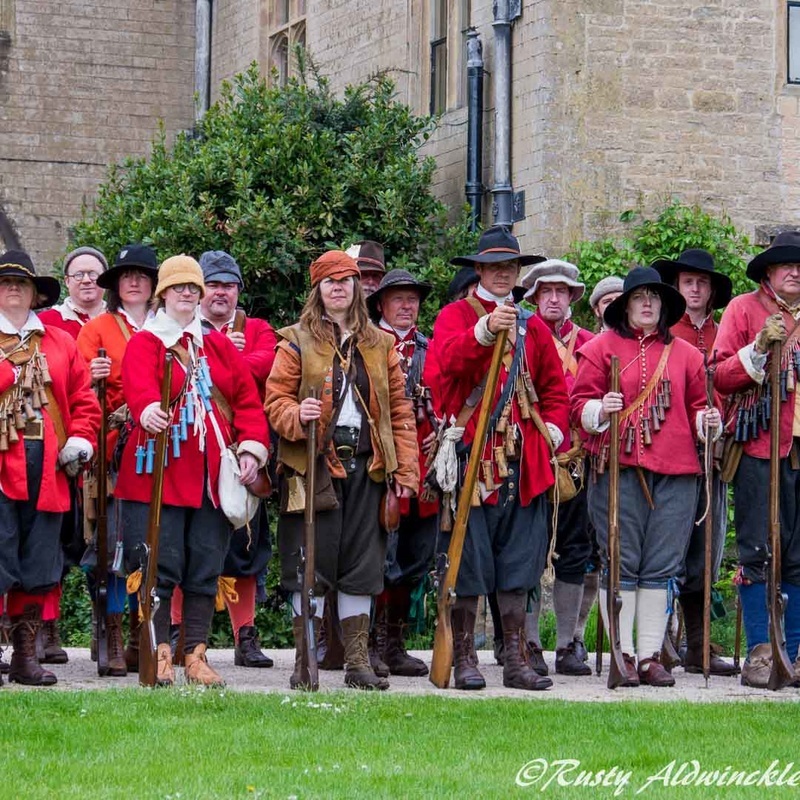 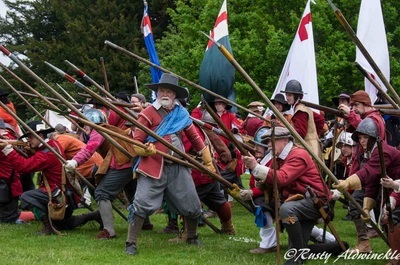 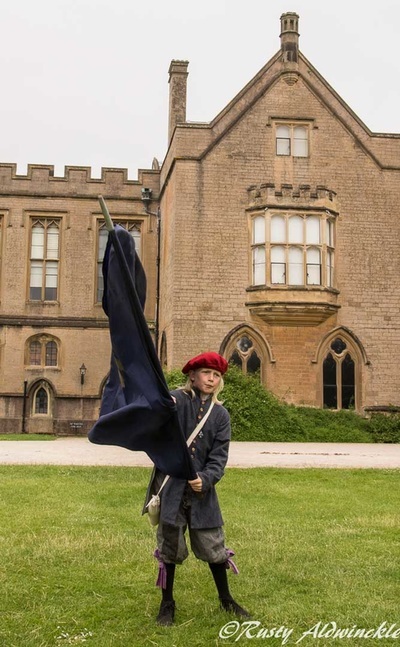 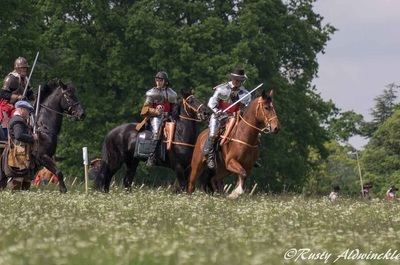 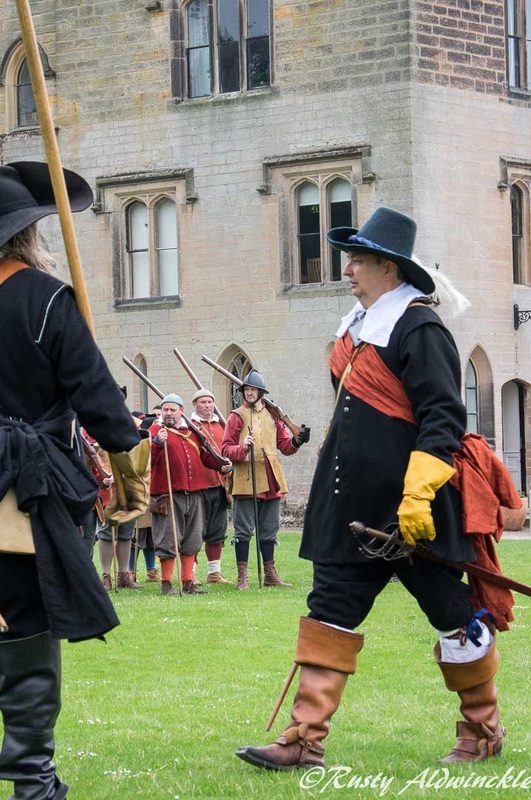 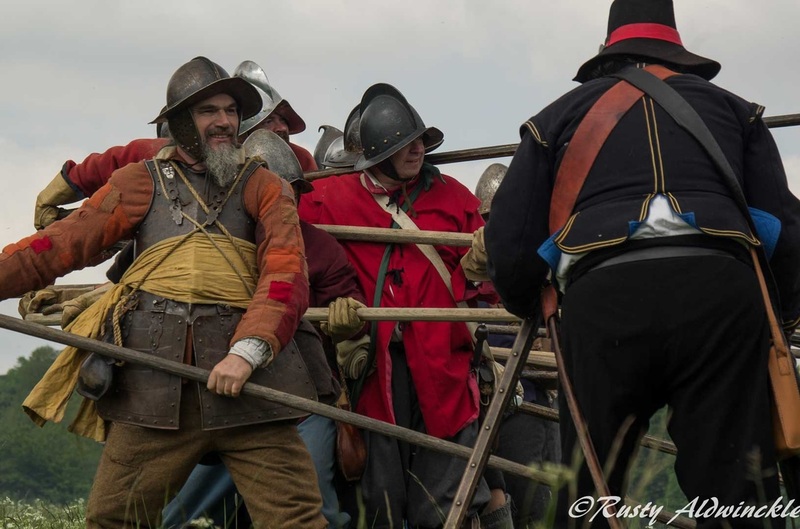 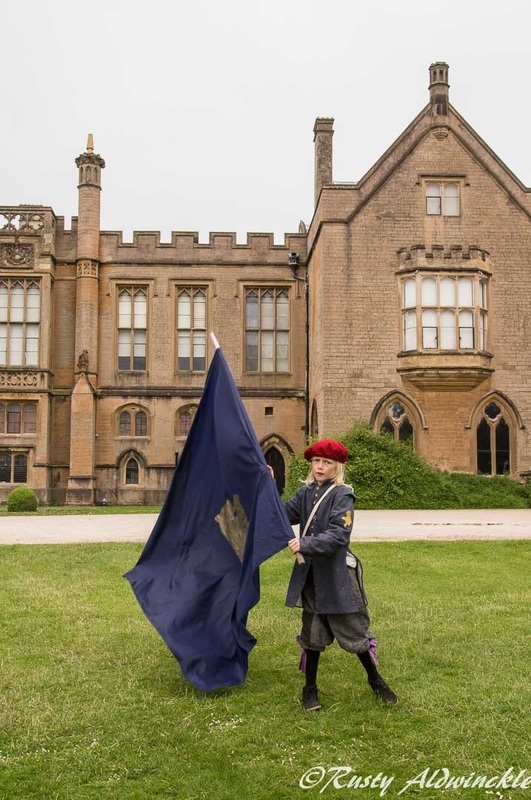 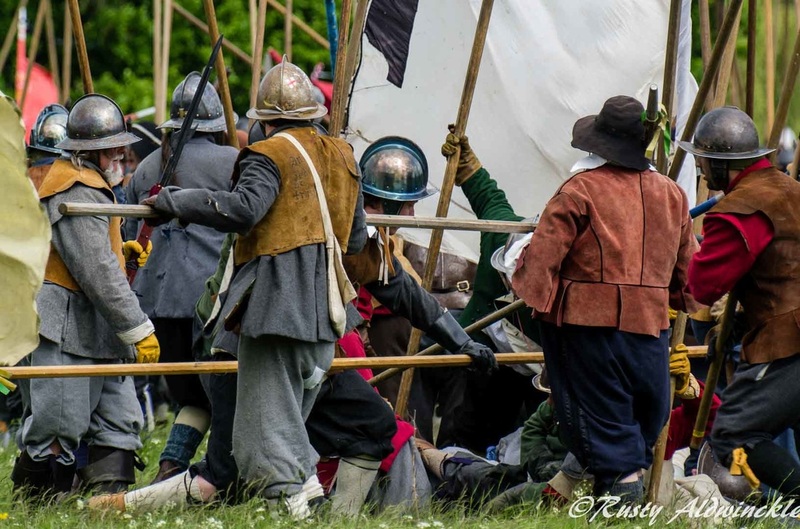 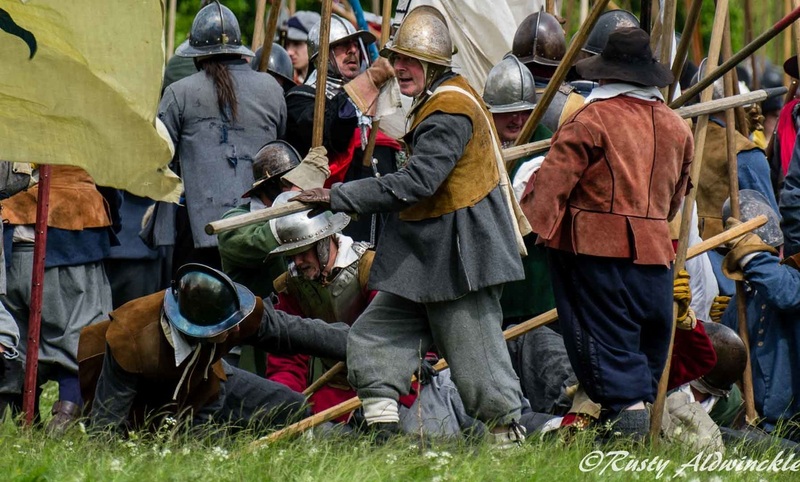 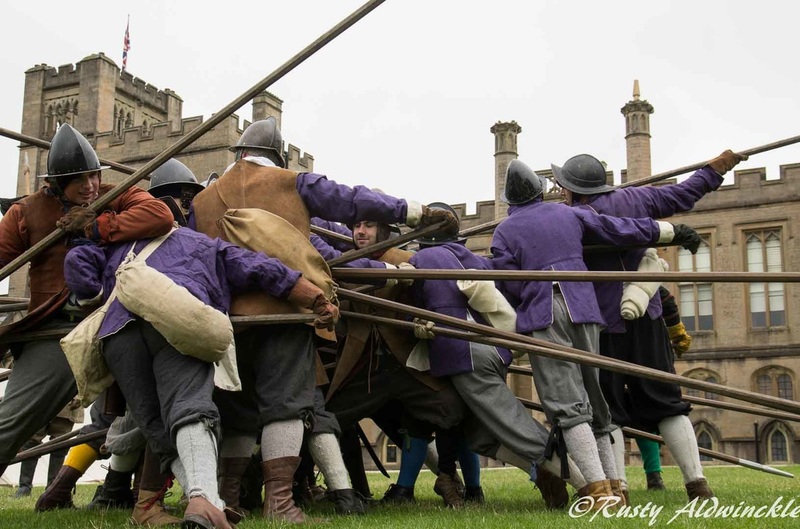 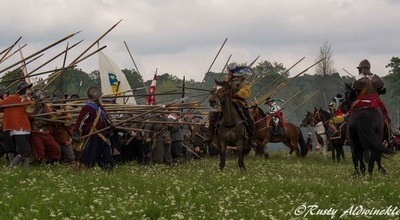 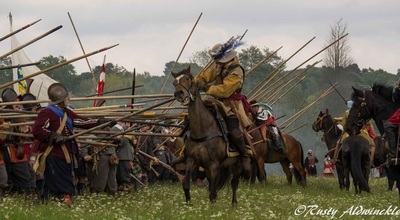 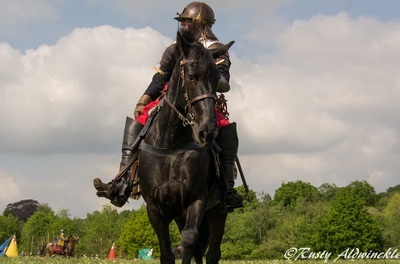 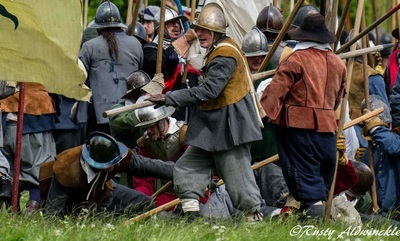 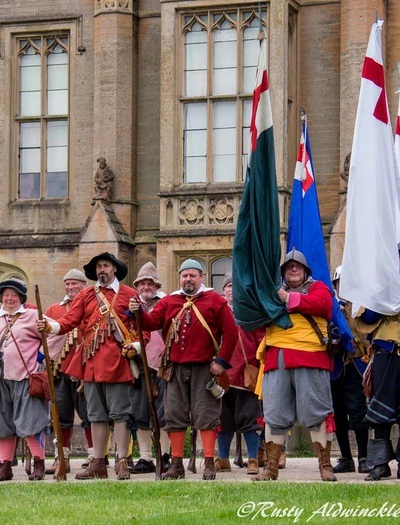 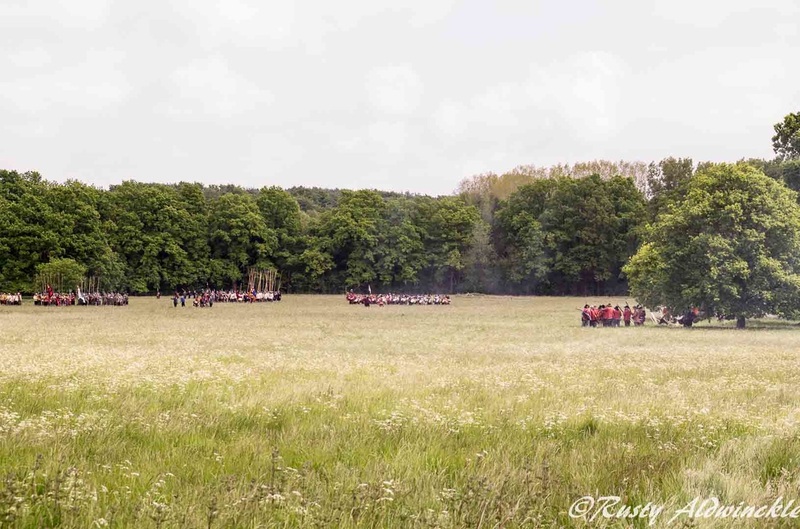 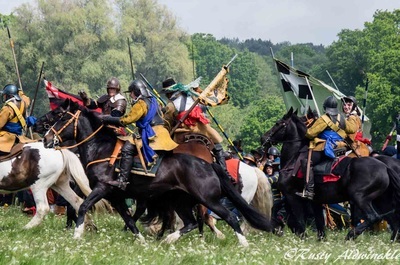 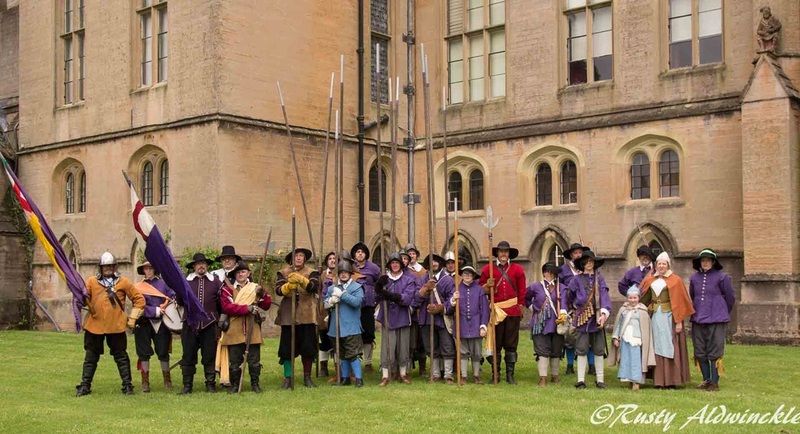 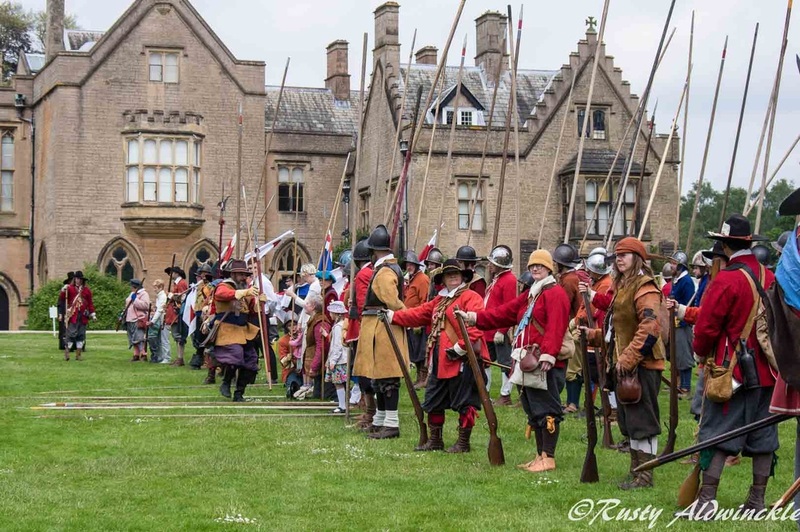 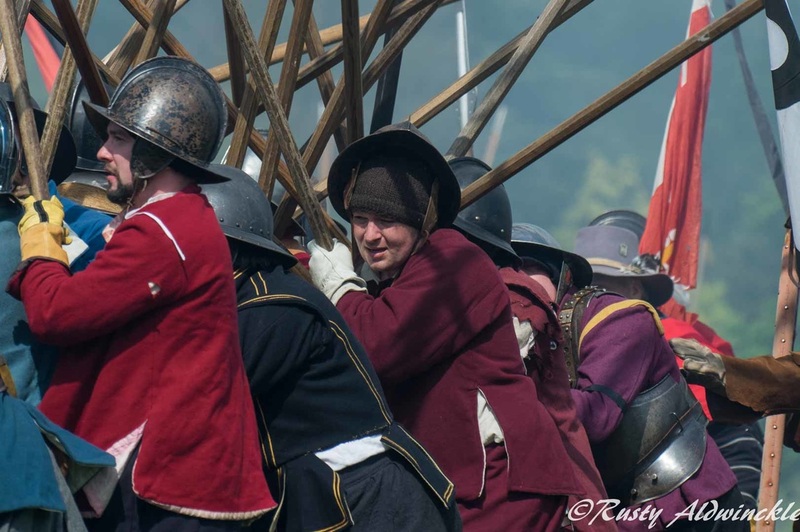 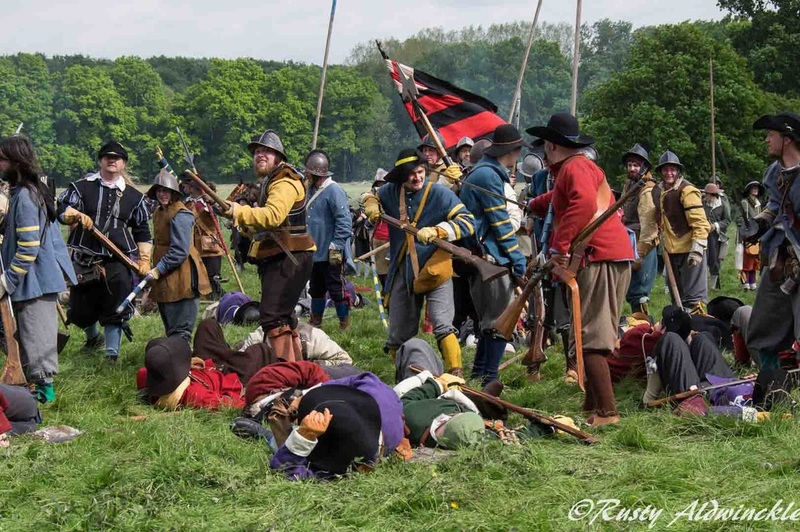 ​Then there was the Battles over a huge natural meadow, wow the sight of hundreds of Royalists marching forward to attack the Parliament position with drums beating, flags flying and cannons roaring. 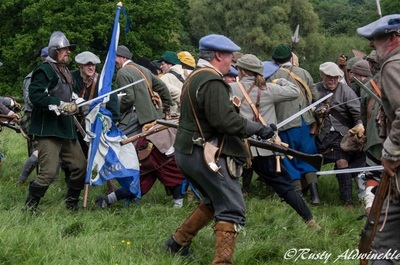 The Scots Brigade fighting everybody, so it seemed. 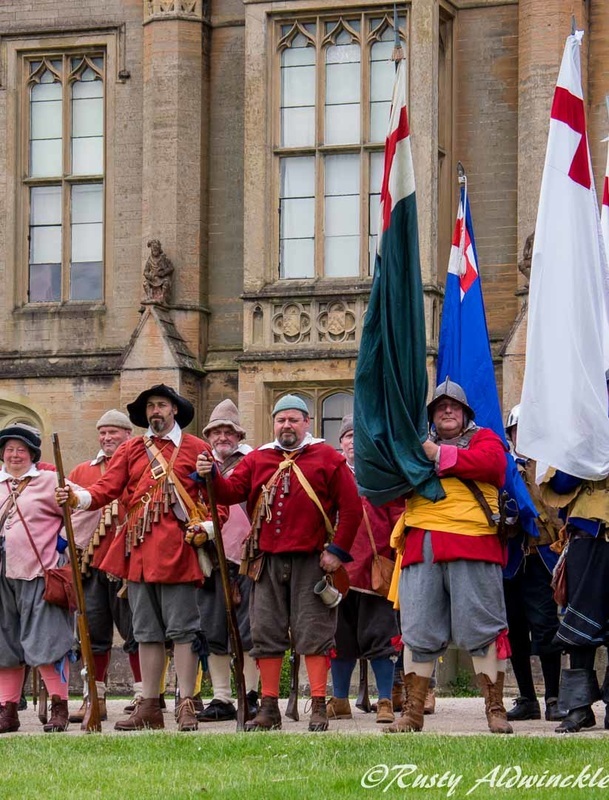 Parliament numbers matched those of the Royalists and the action flowed backwards and forwards cheered on by a very large crowd.